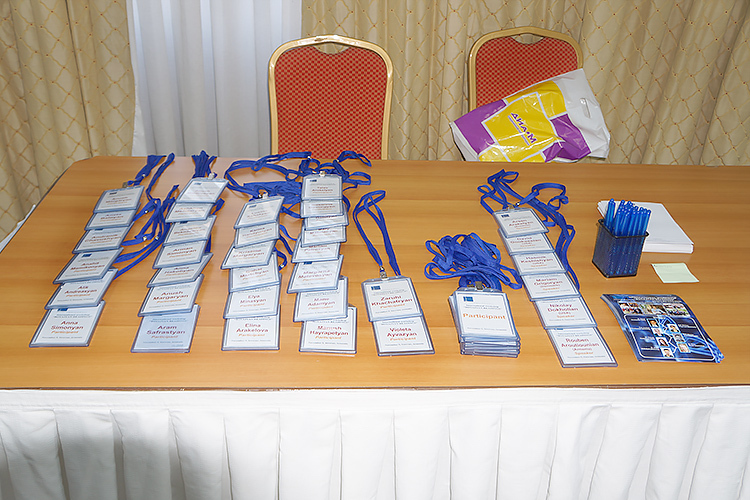 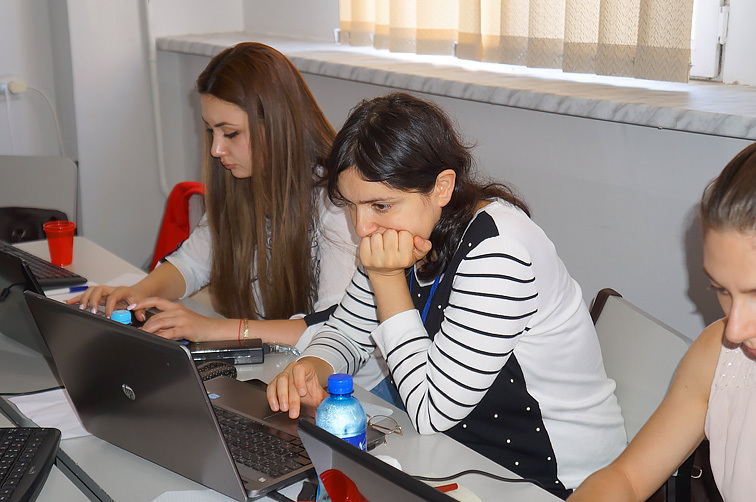 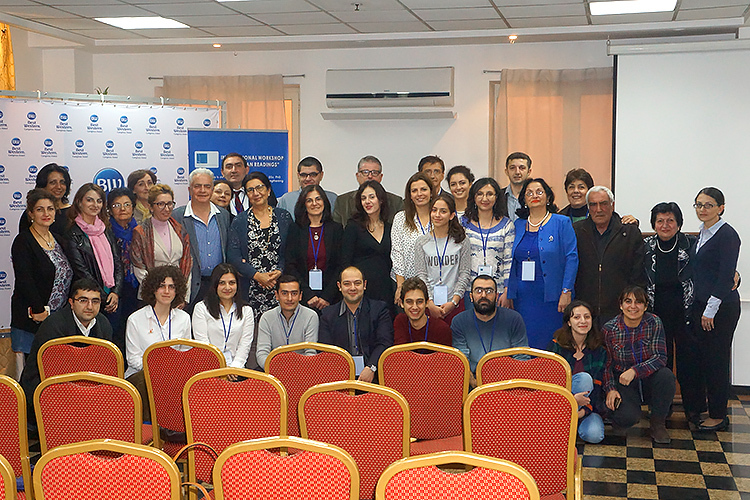 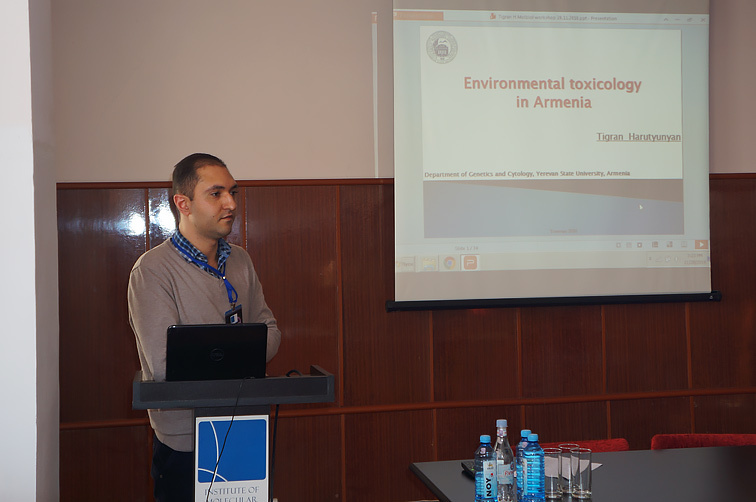 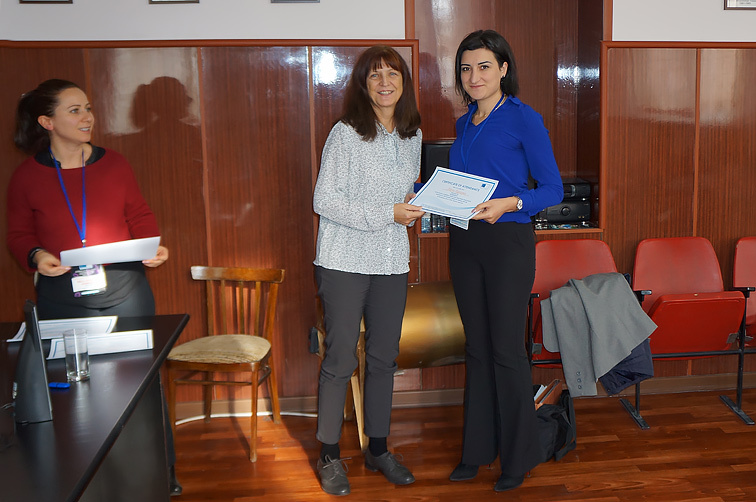 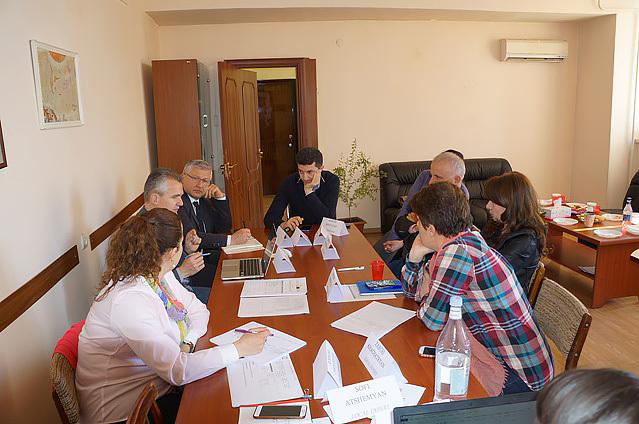 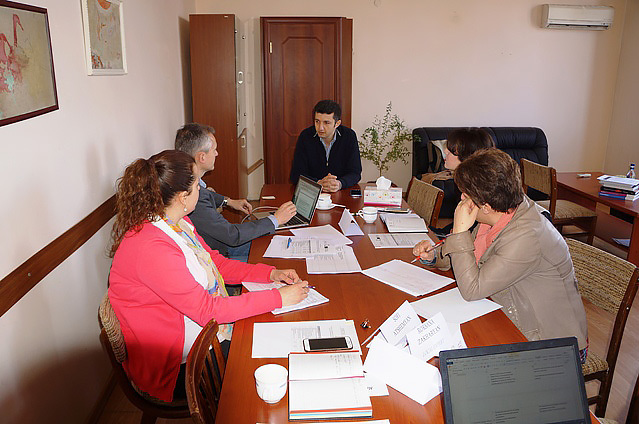 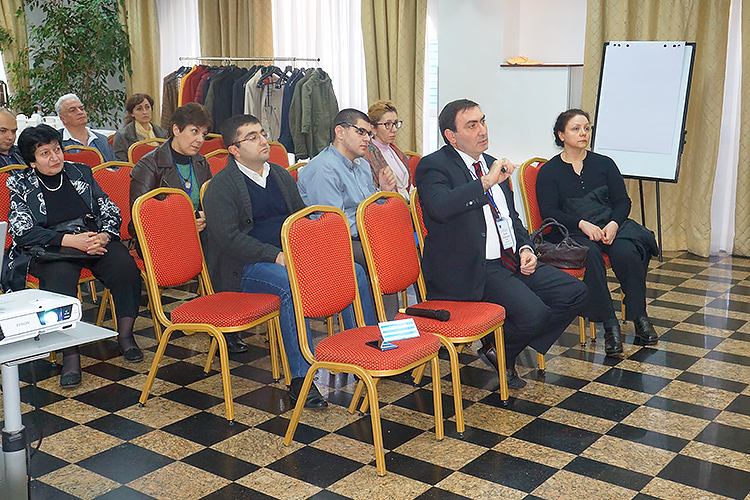 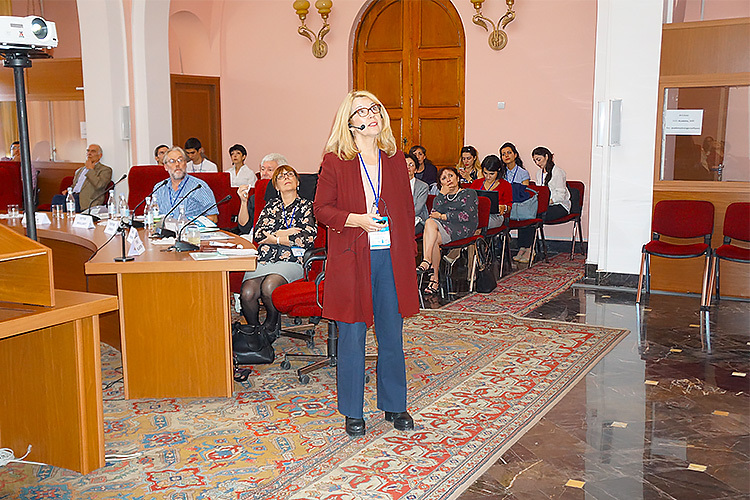 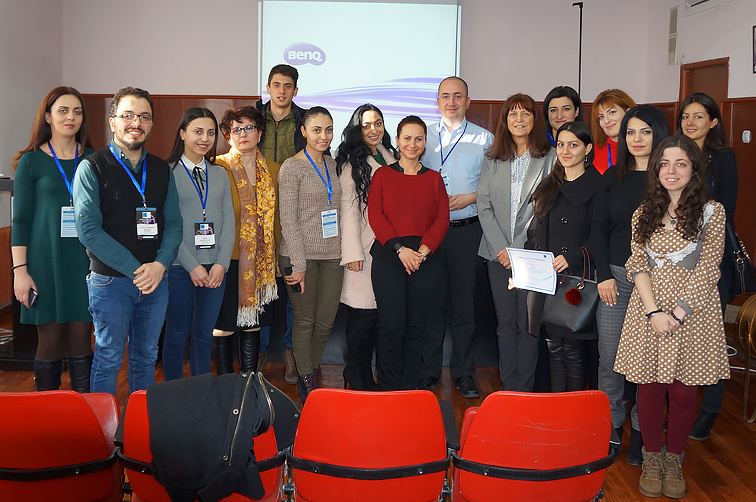 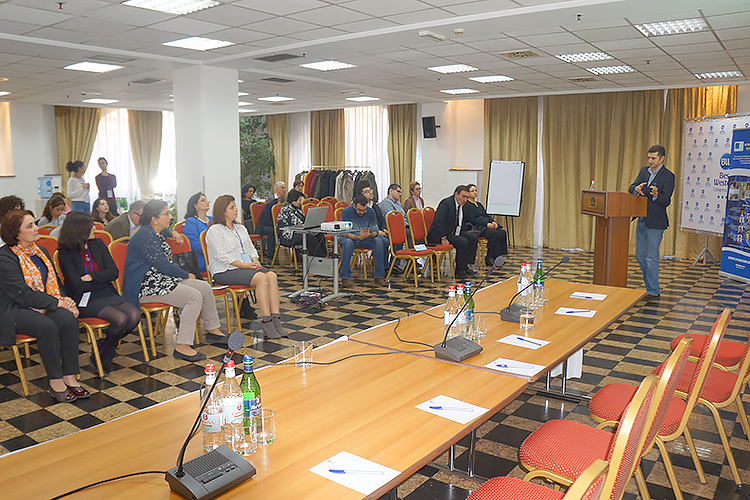 WORKSHOP "TOXICOLOGY: SCIENTIFIC NEEDS AND STRUCTURED EDUCATION"
November 28-29, 2018, Institute of Molecular Biology, Yerevan, Armenia. 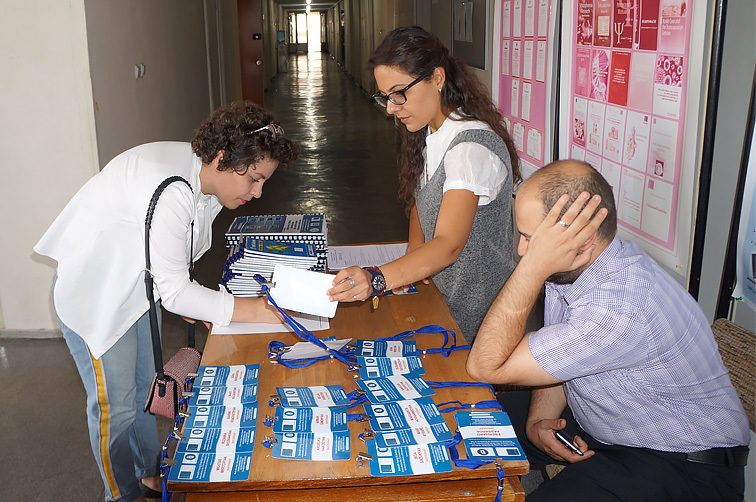 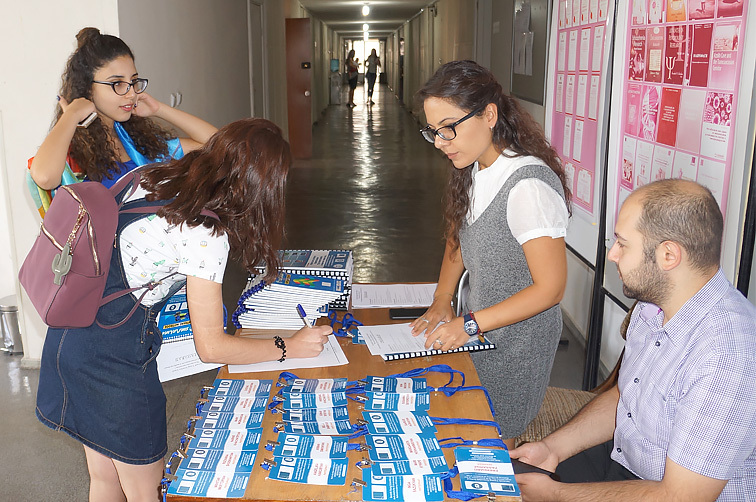 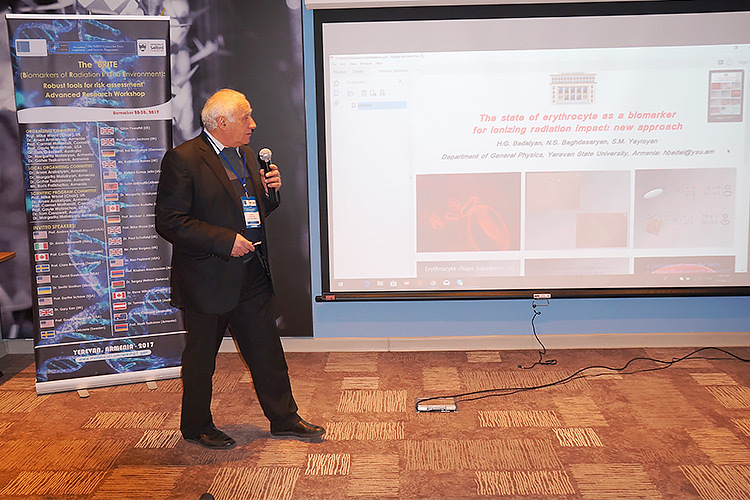 September 24-28, 2018, Institute of Molecular Biology, Yerevan, Armenia. 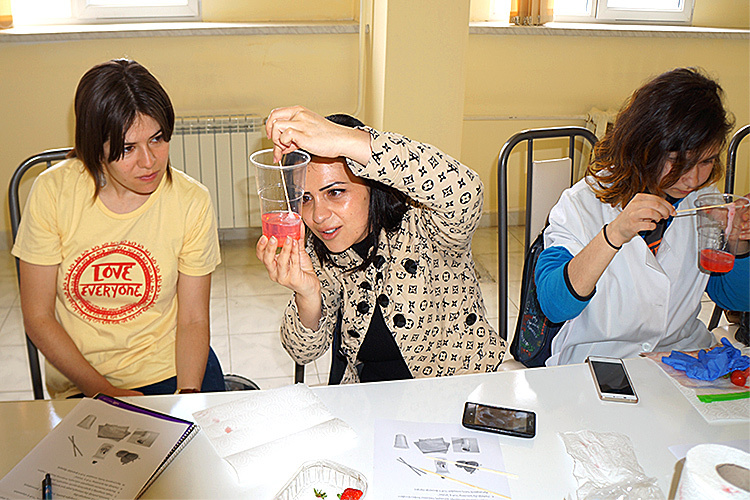 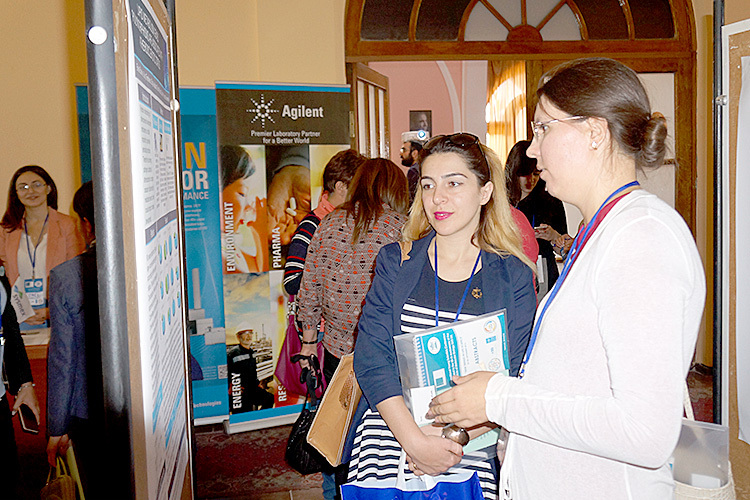 "SEVENTH YOUNG SCIENTISTS SCHOOL. 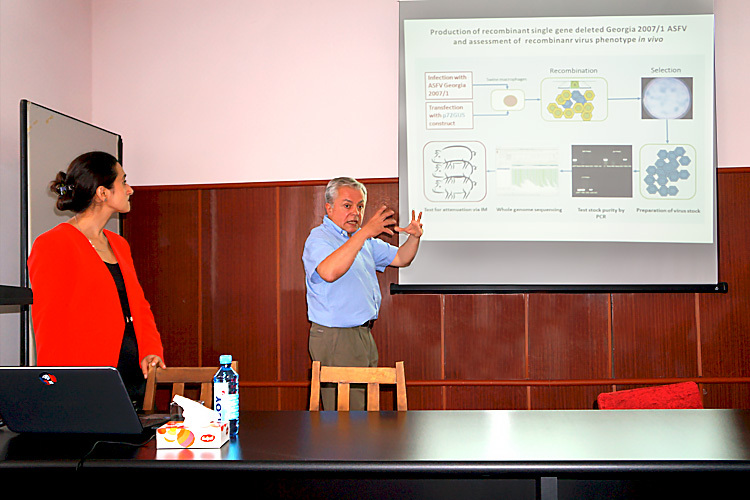 "HOST-MICROBES INTERACTIONS-7. 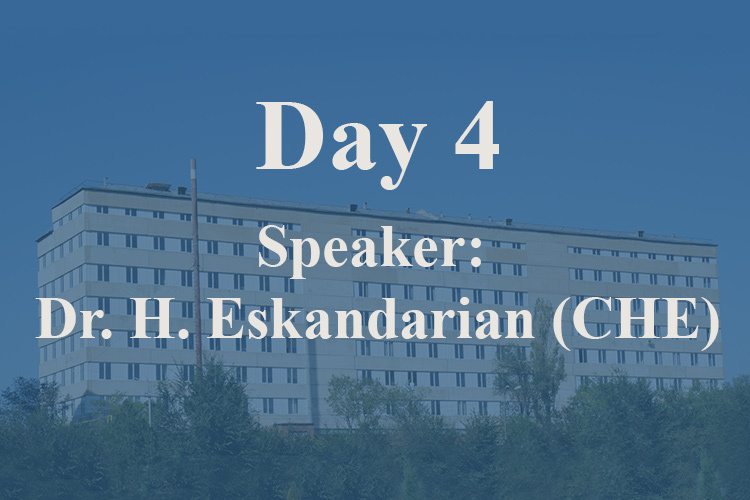 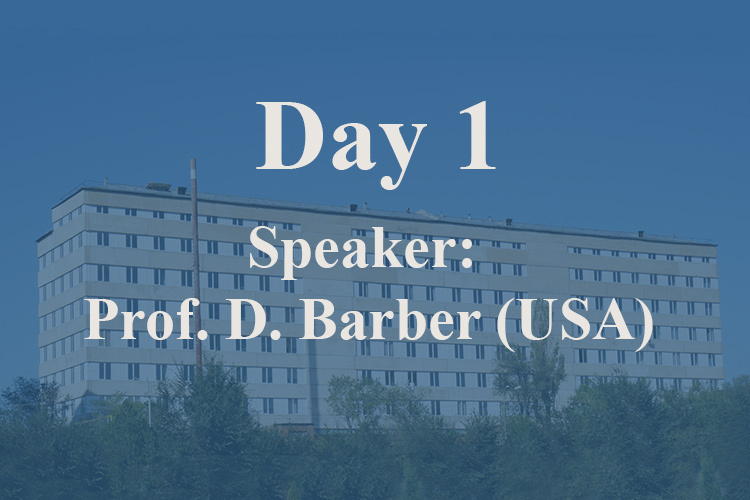 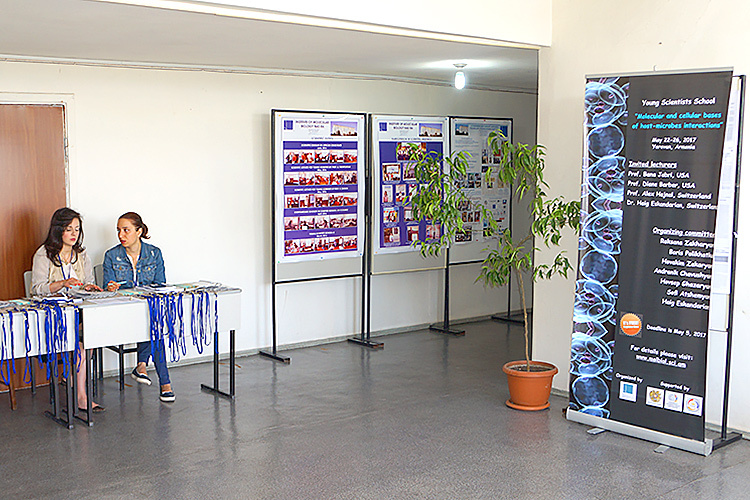 UNDERSTANDING CELL MORPHOGENESIS IN HEALTH AND DISEASE"
September 10-13, 2018, IMB, Yerevan, Armenia. 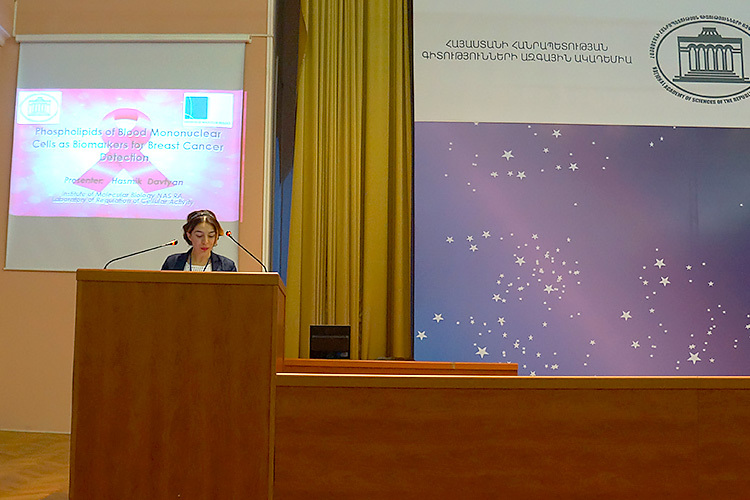 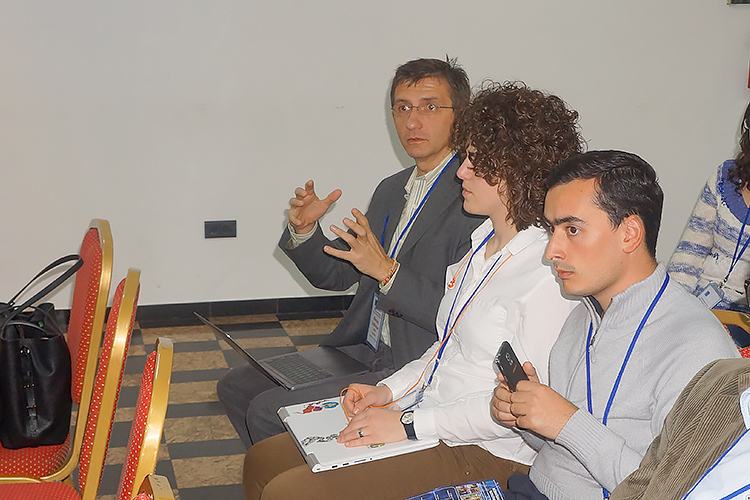 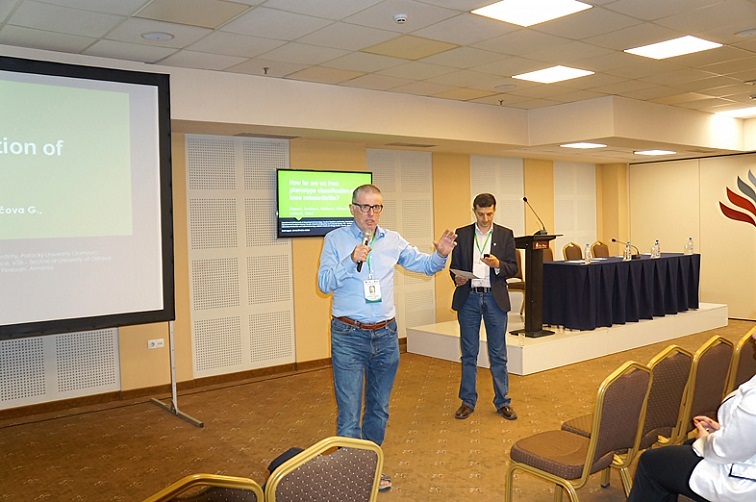 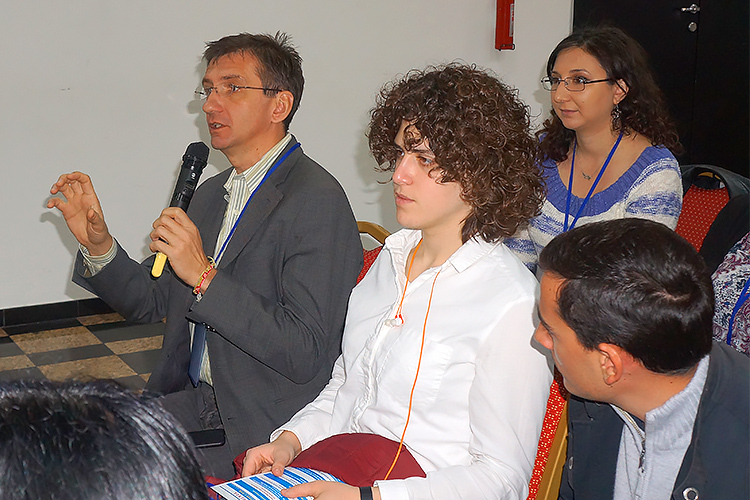 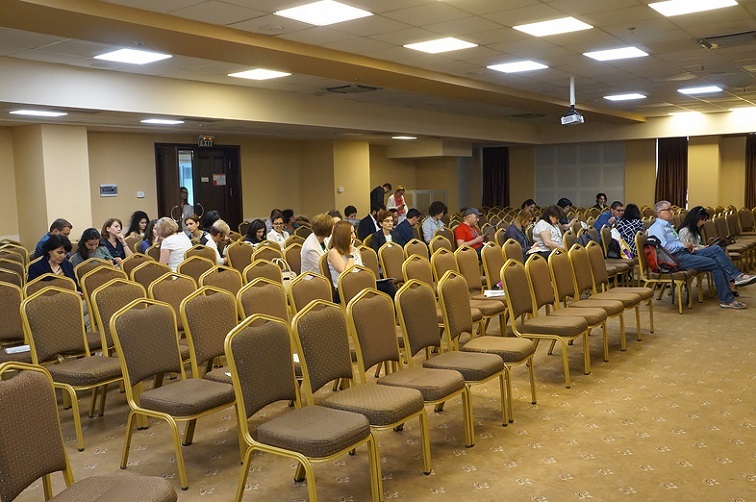 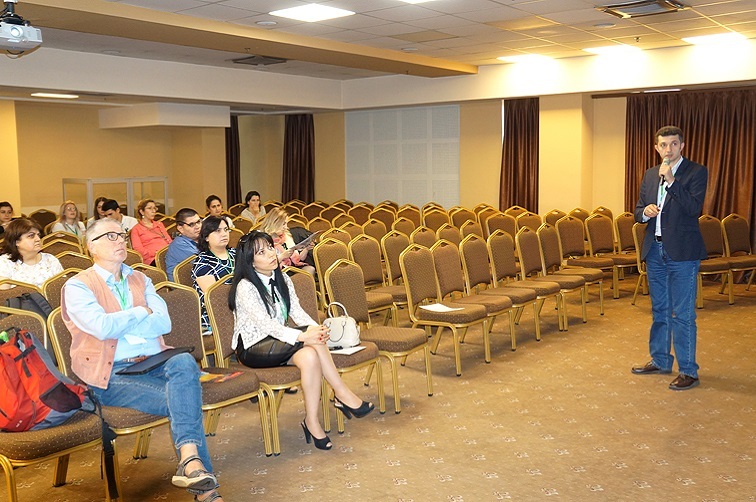 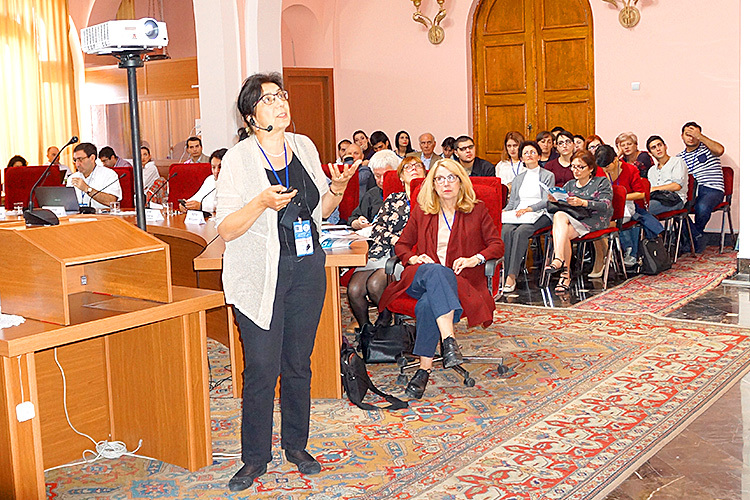 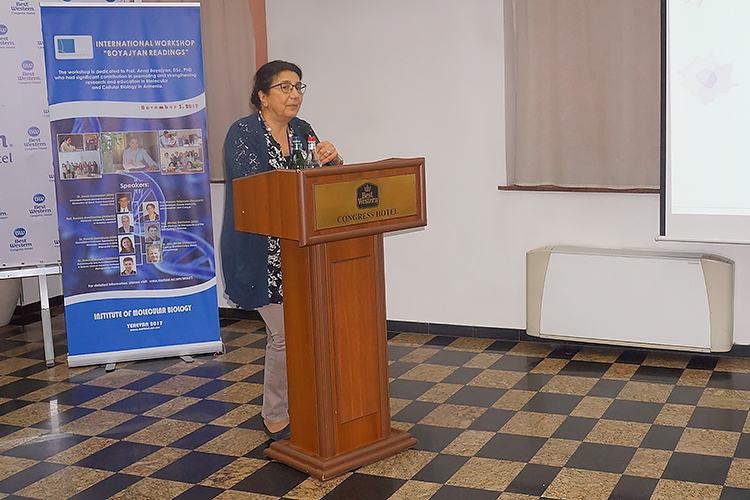 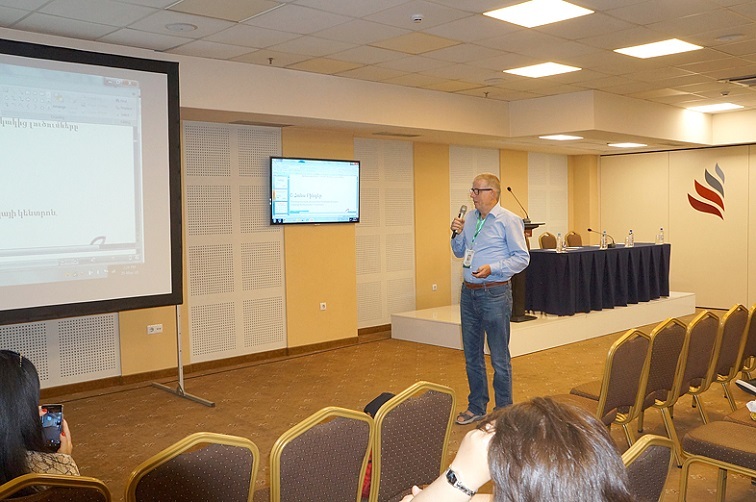 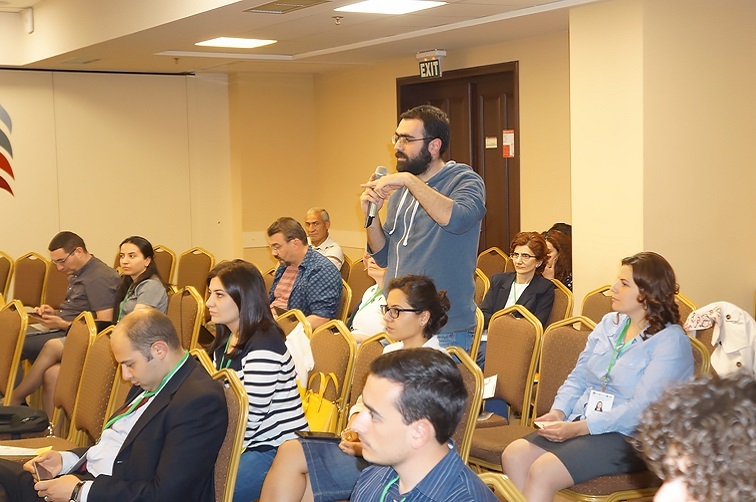 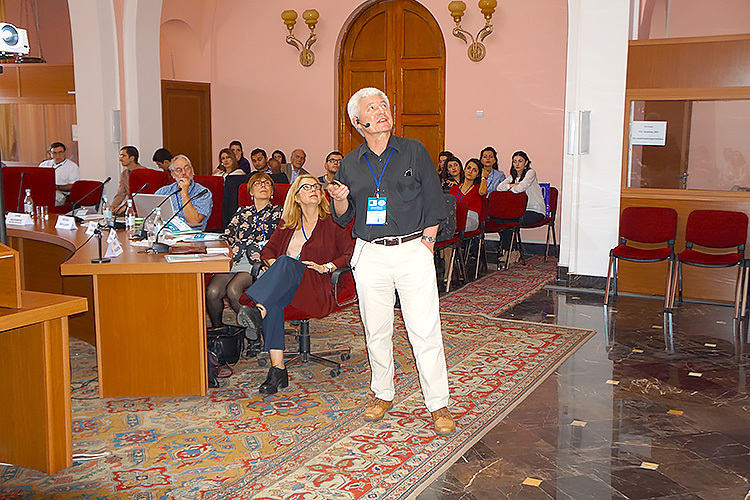 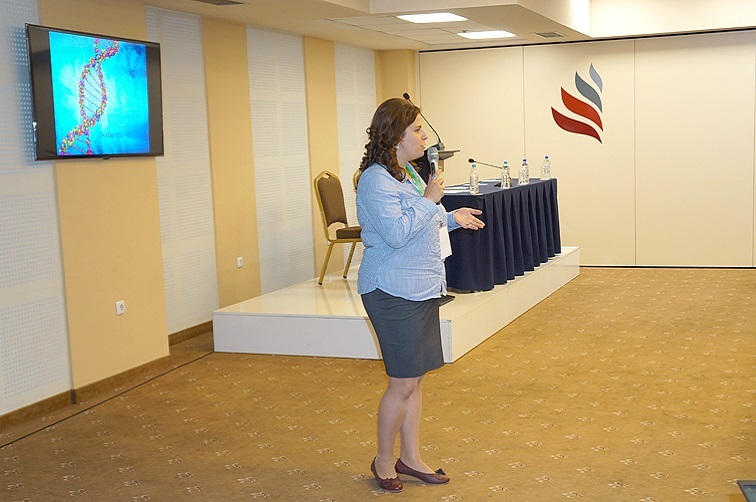 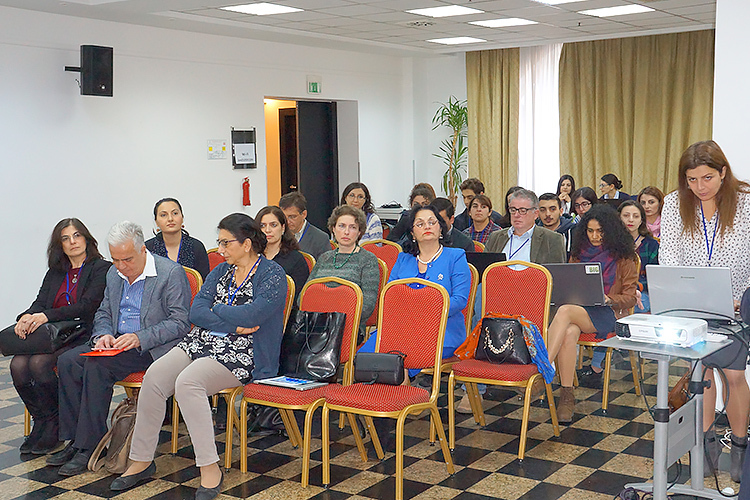 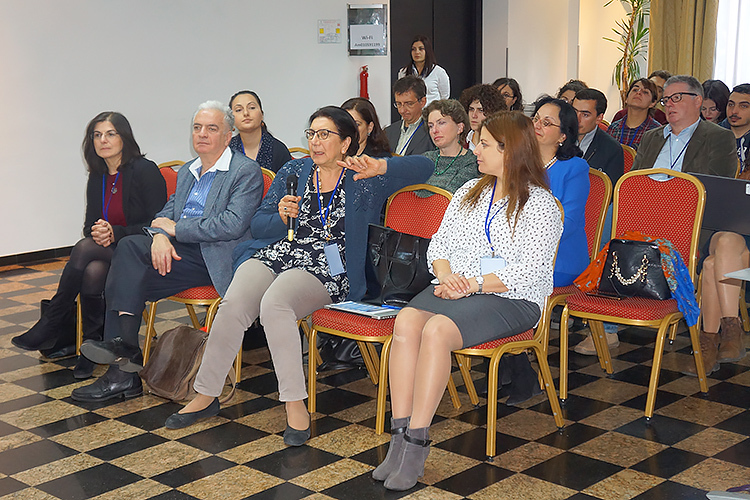 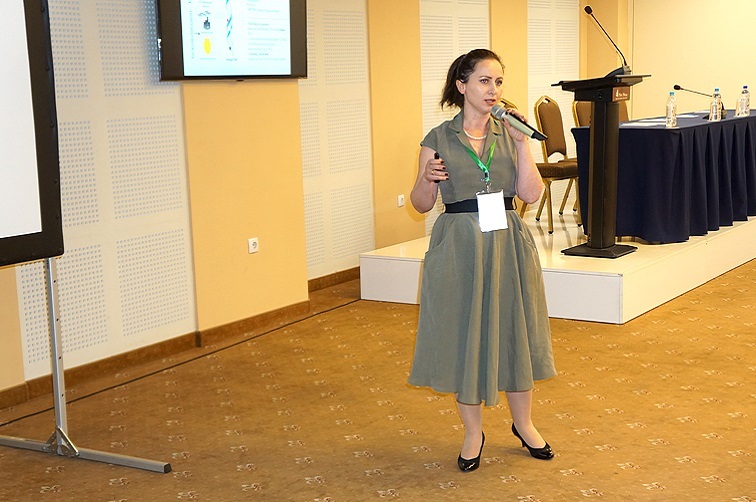 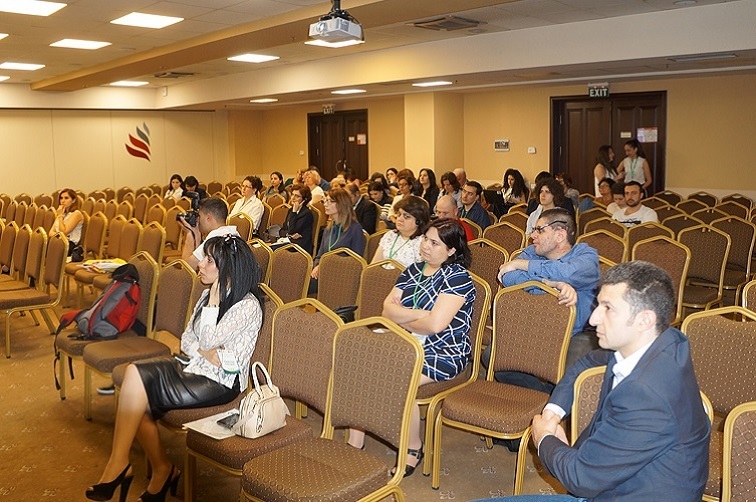 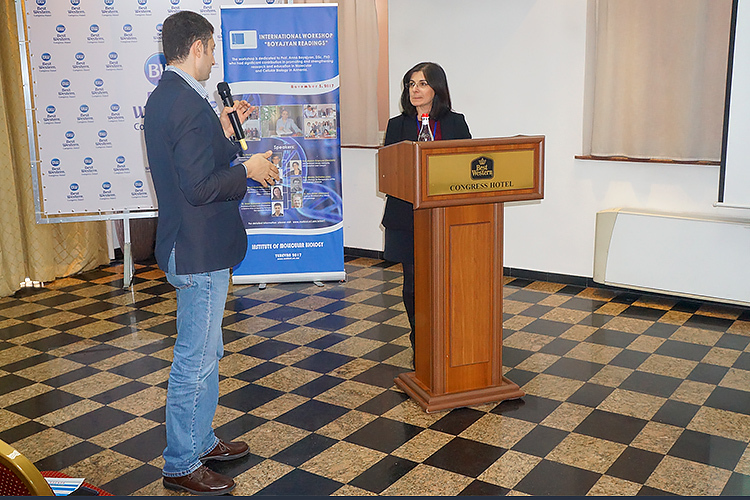 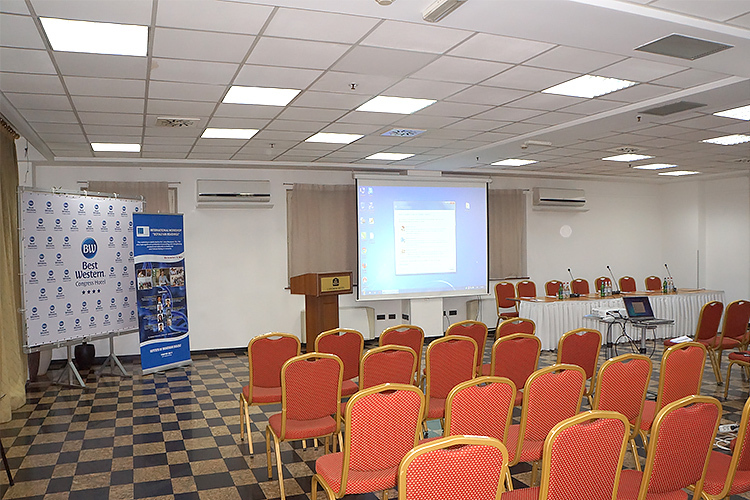 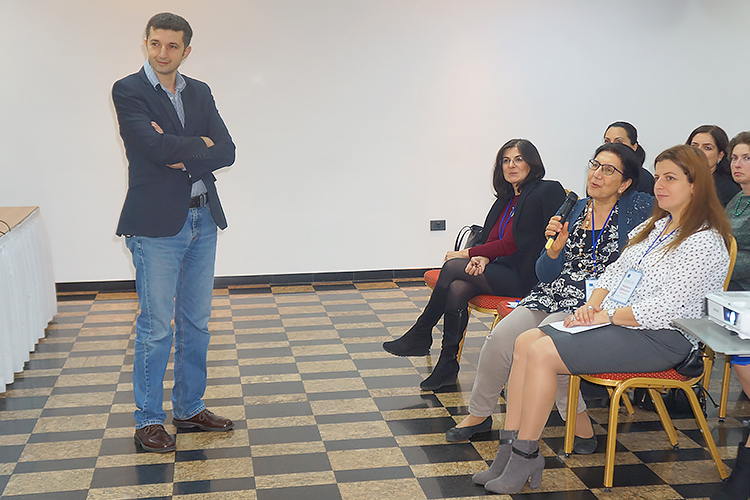 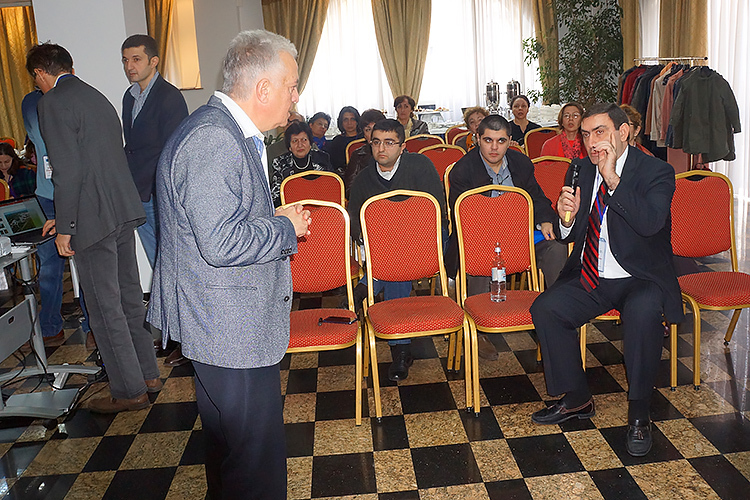 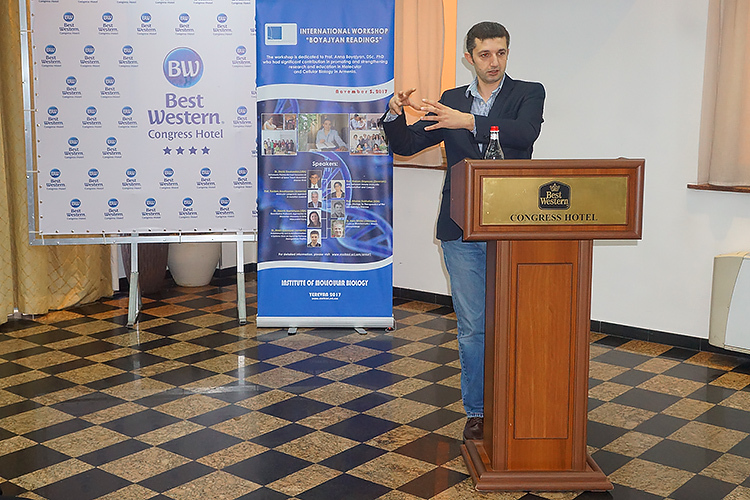 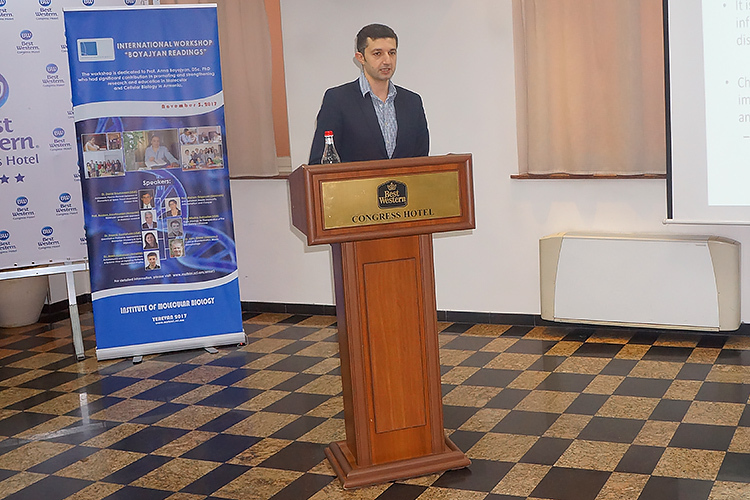 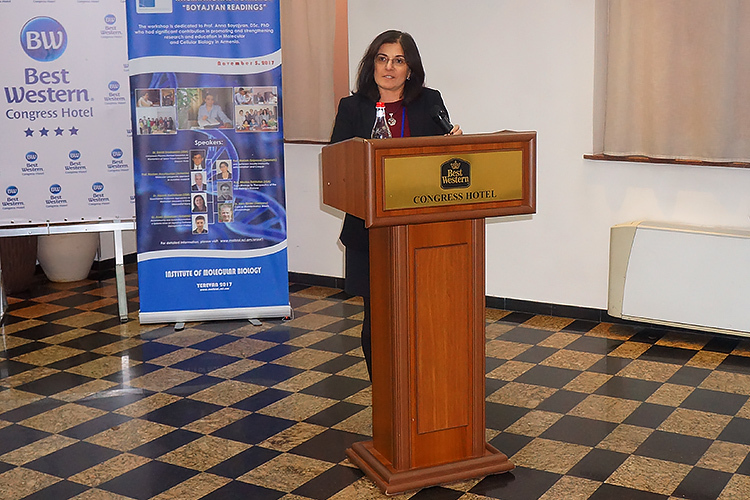 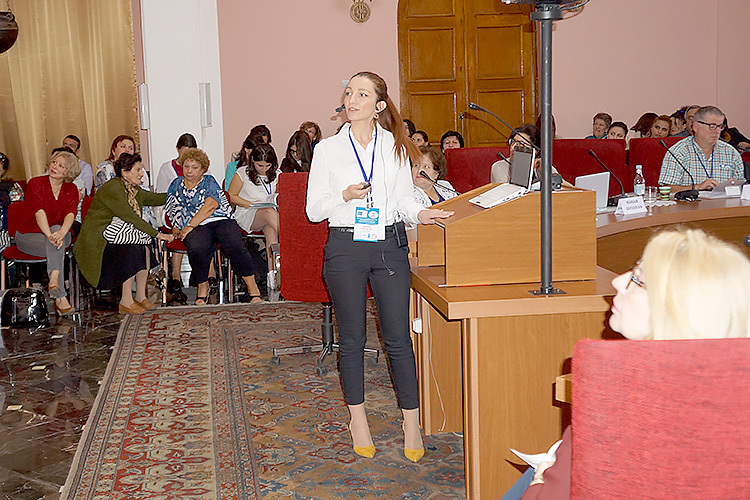 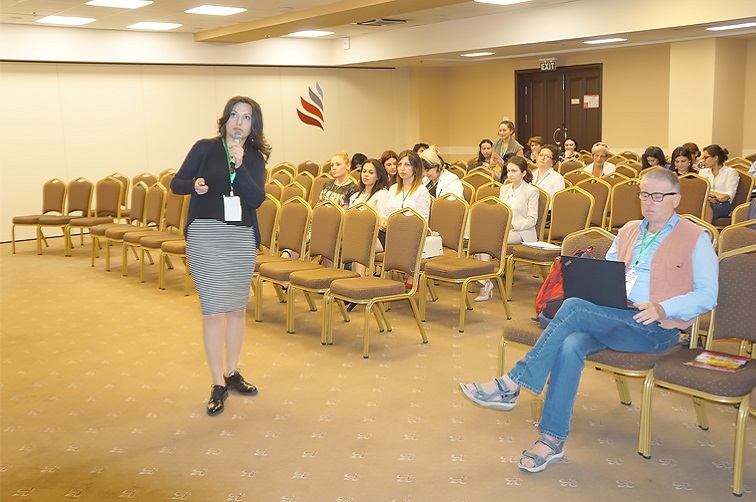 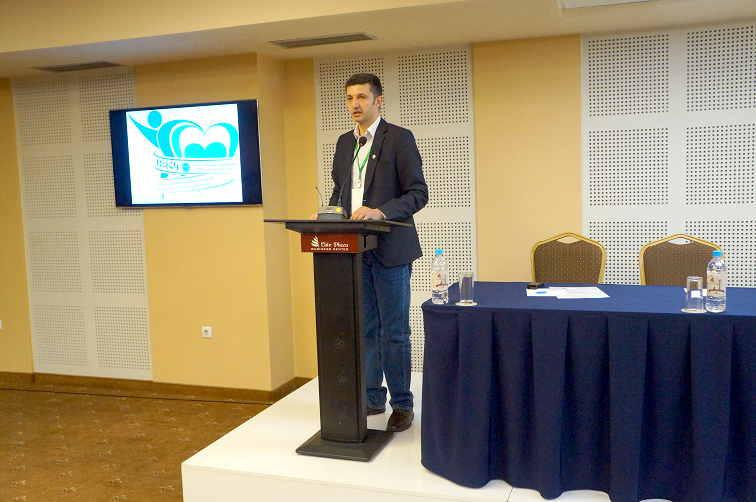 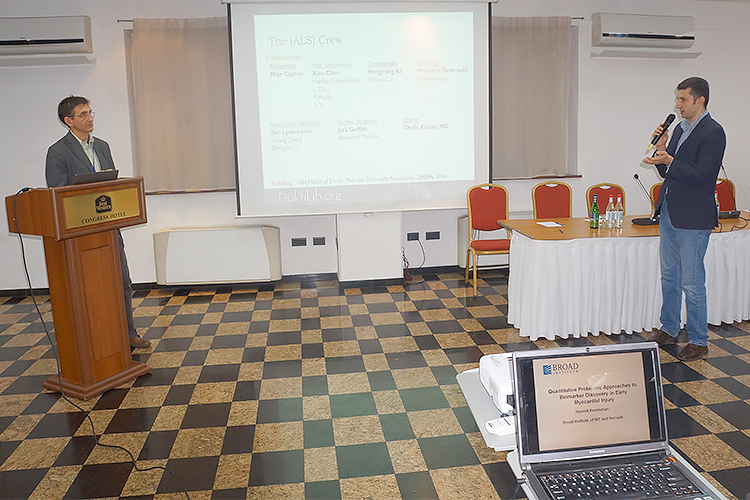 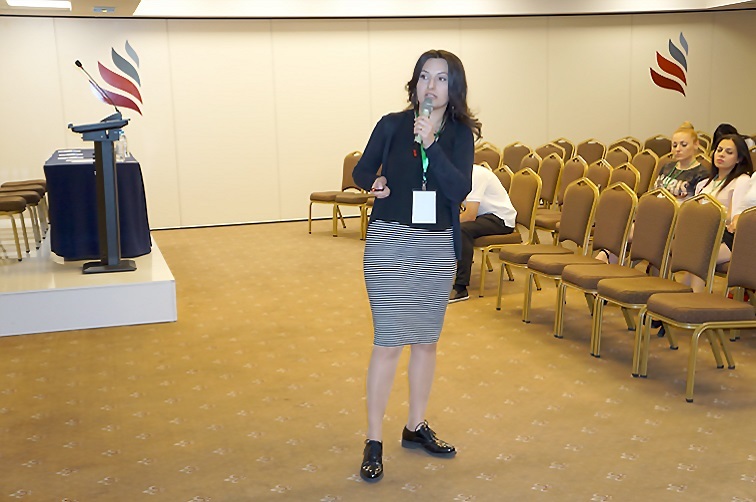 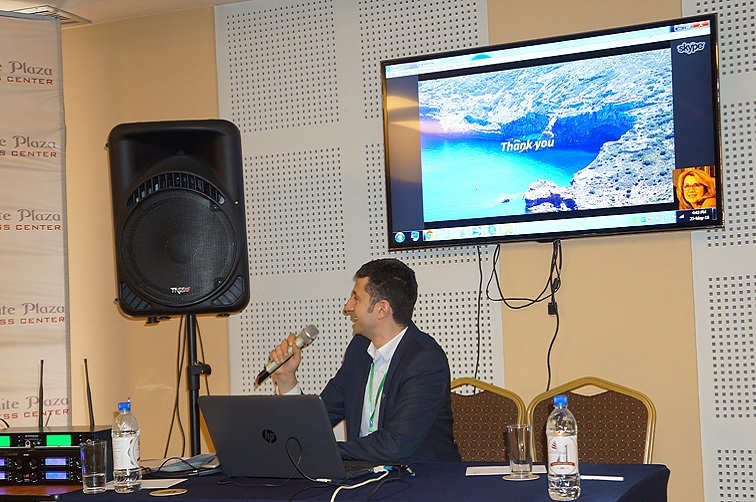 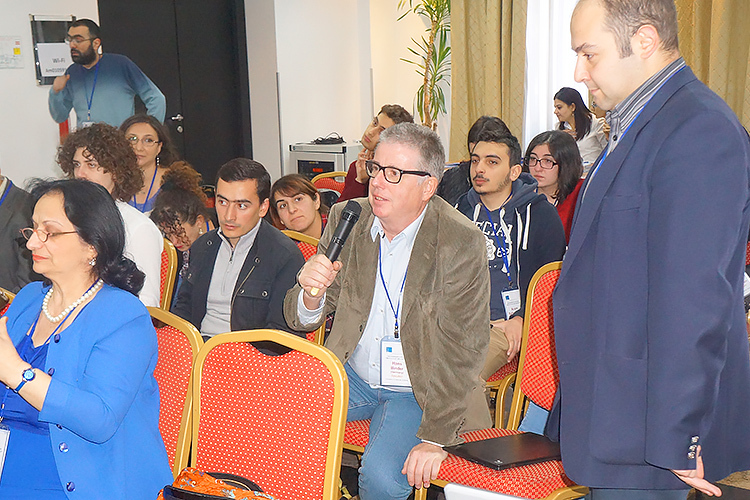 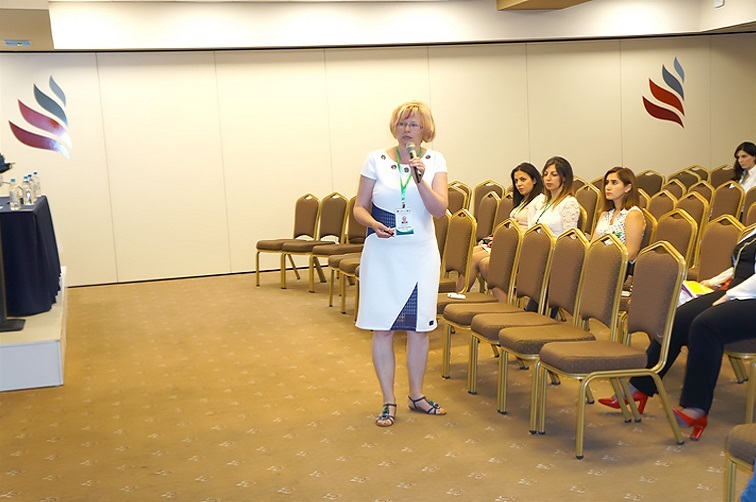 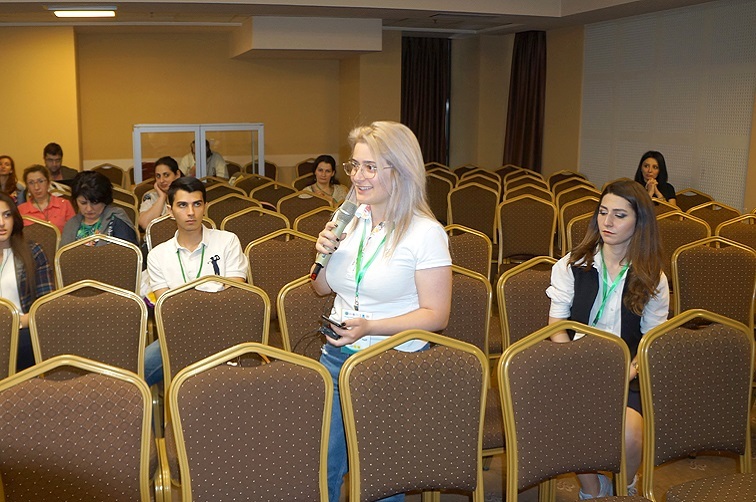 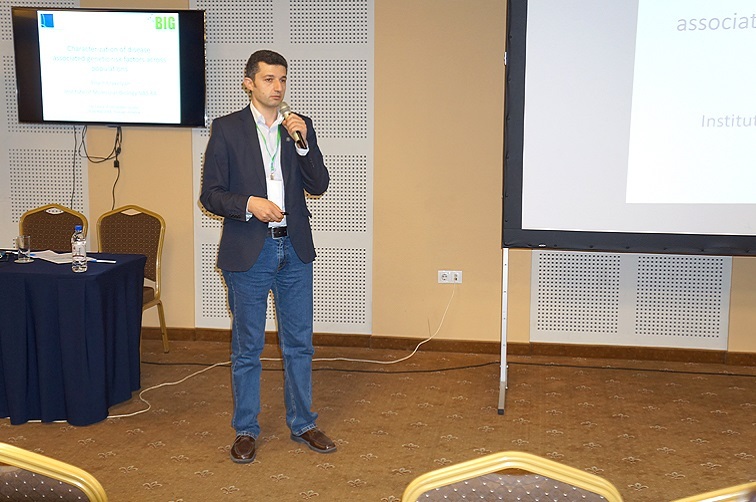 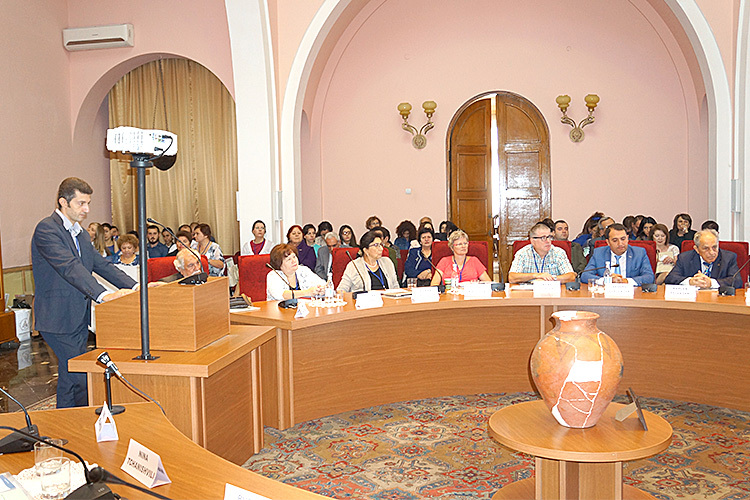 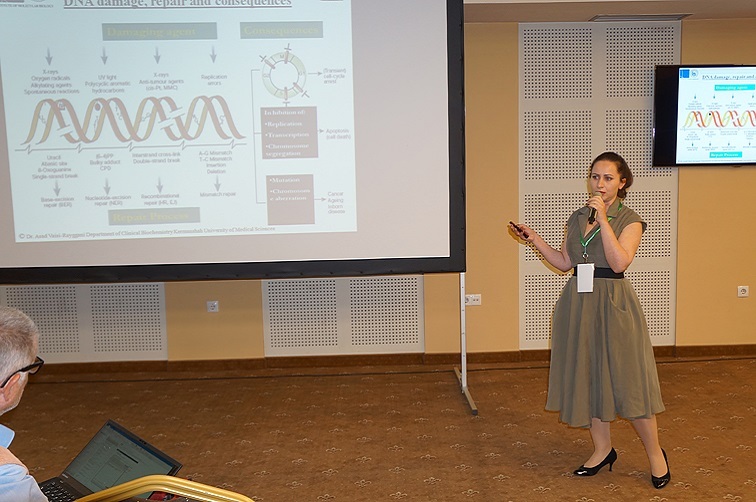 "BIOMEDICAL SCIENCES" PROFESSIONAL SESSION AT THE FIRST ANNUAL CONGRESS: "THE FUTURE OF THE HEALTHY SOCIETY"
May 25, 2018, ELITE PLAZA Hotel, Yerevan, Armenia. 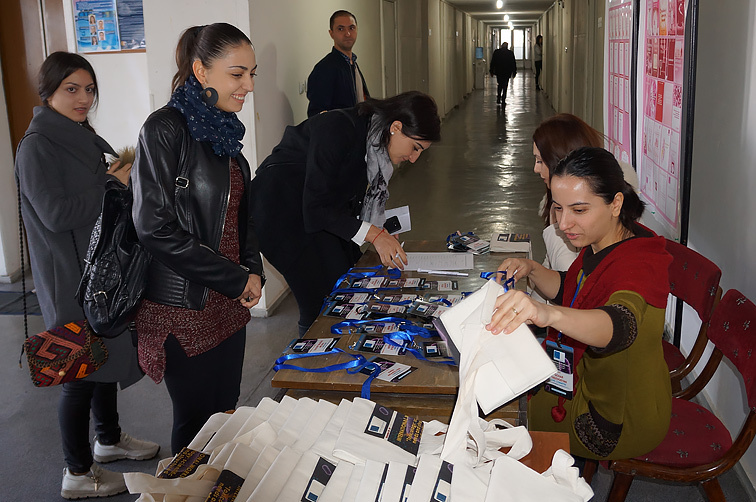 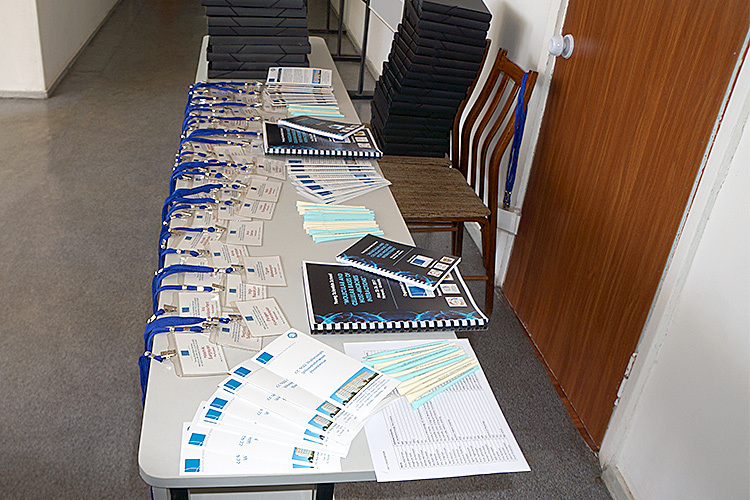 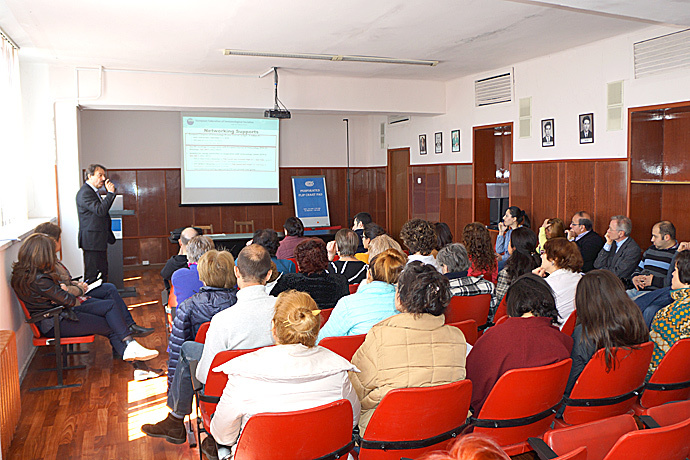 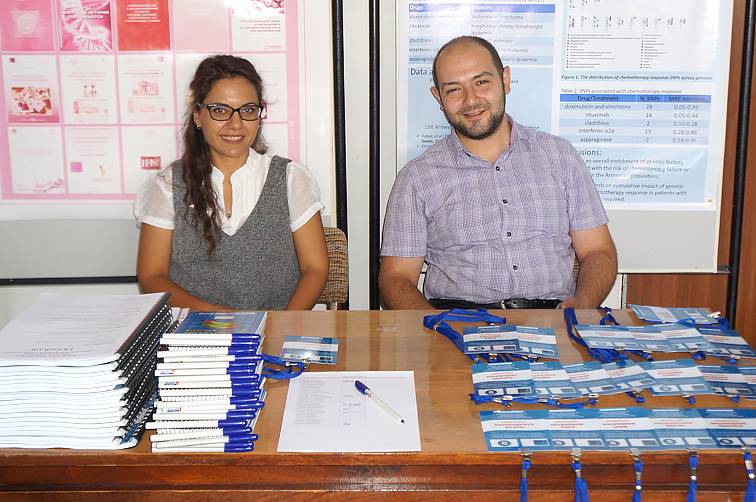 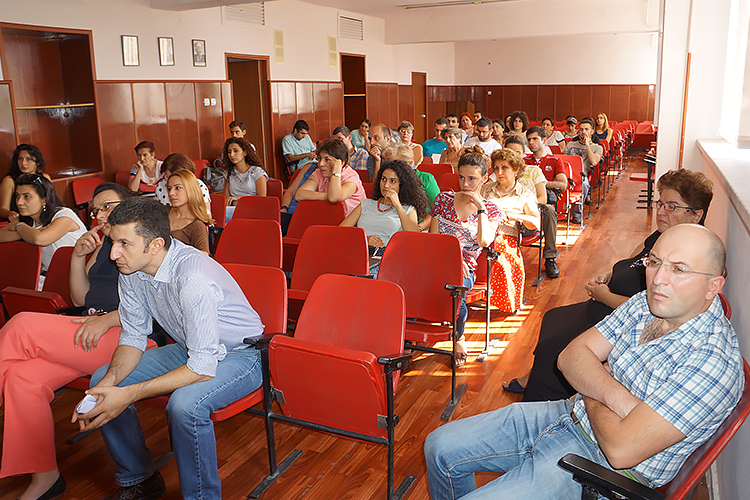 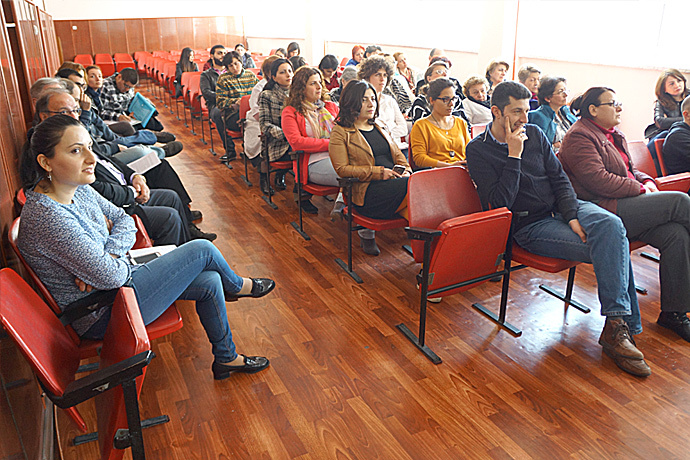 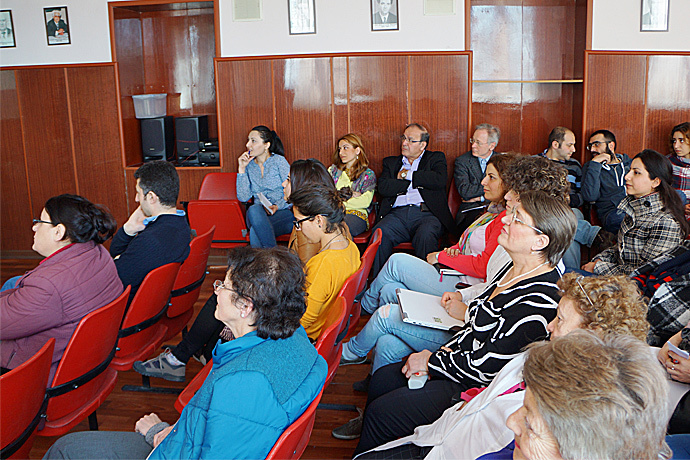 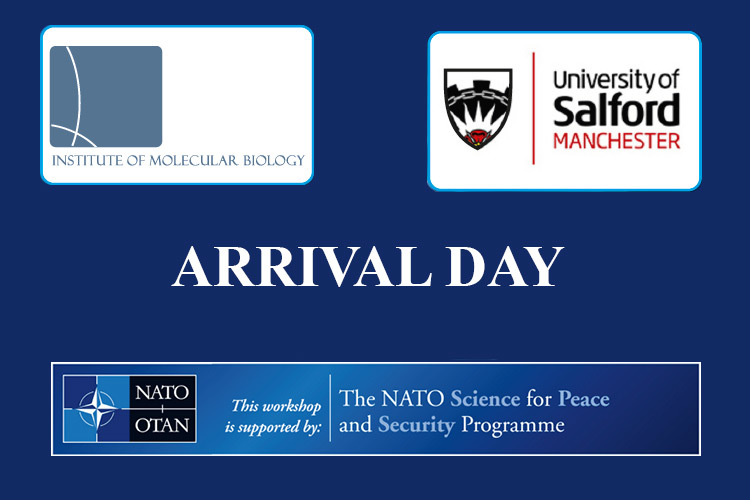 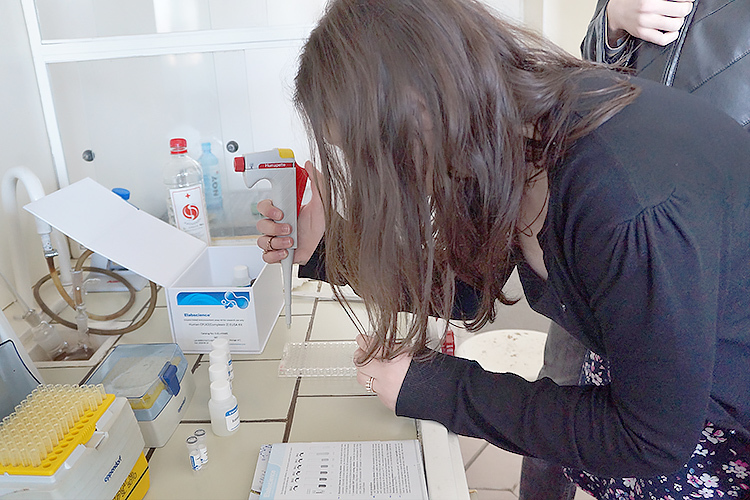 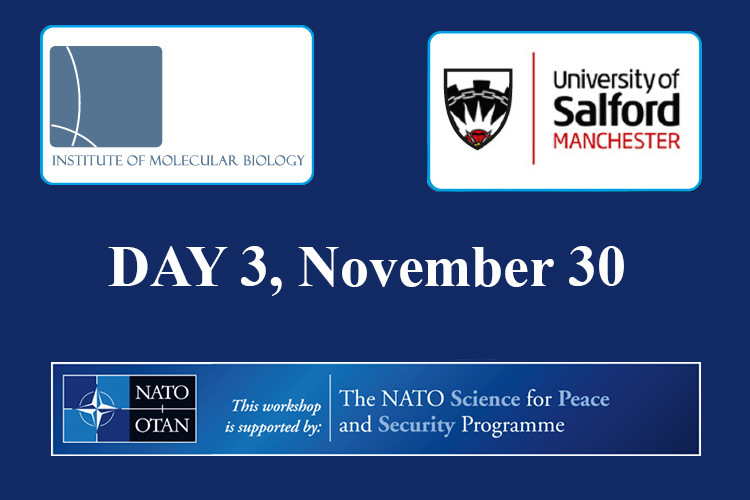 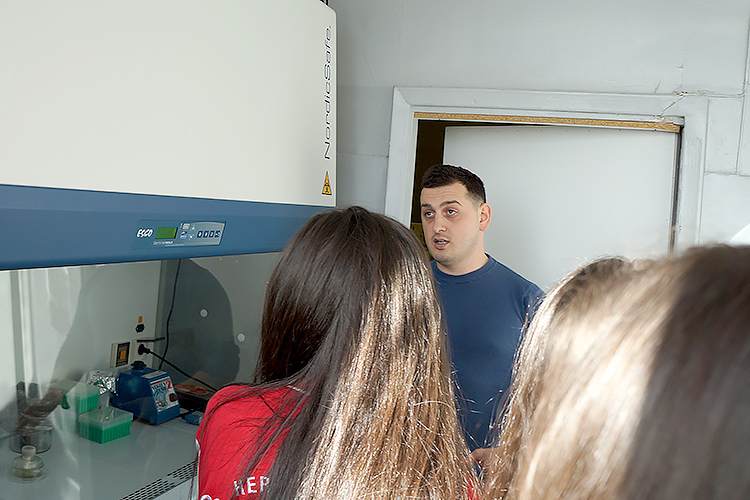 OPEN DAY AT THE INSTITUTE OF MOLECULAR BIOLOGY NAS RA. 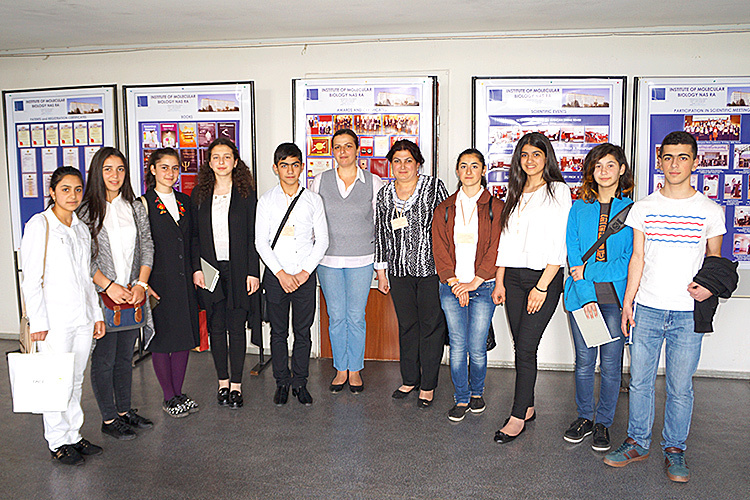 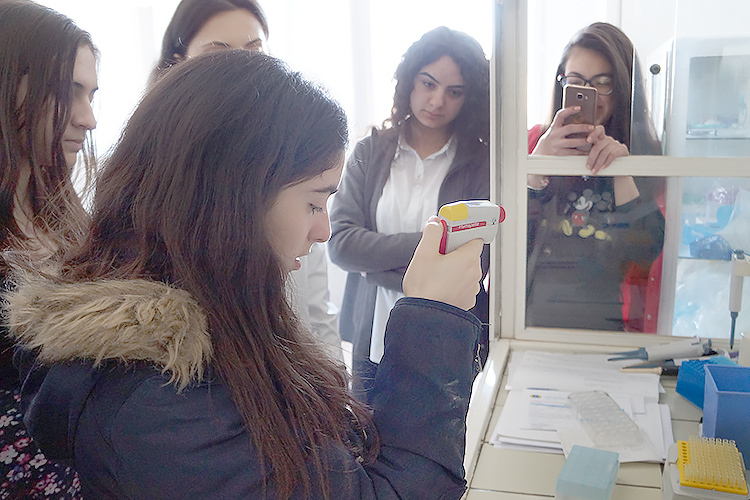 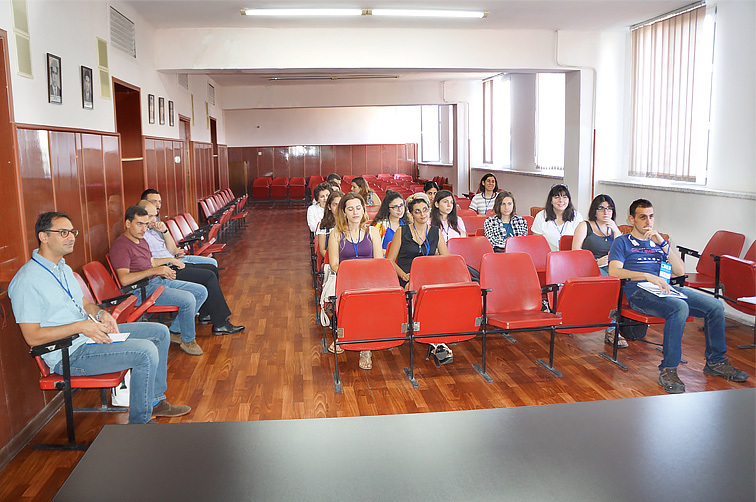 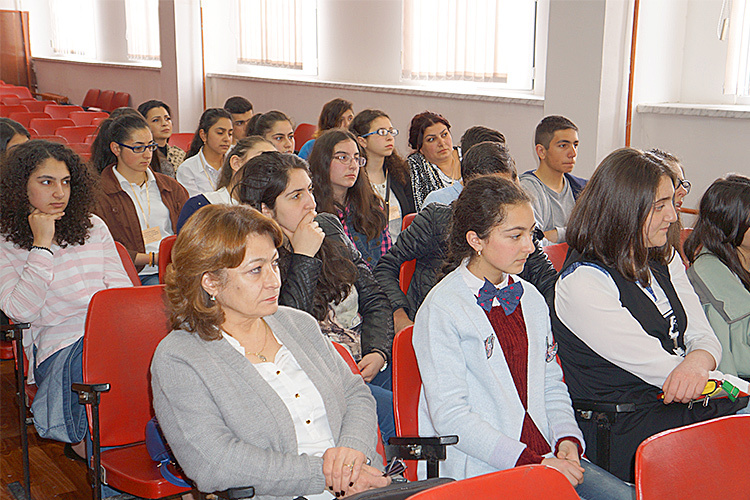 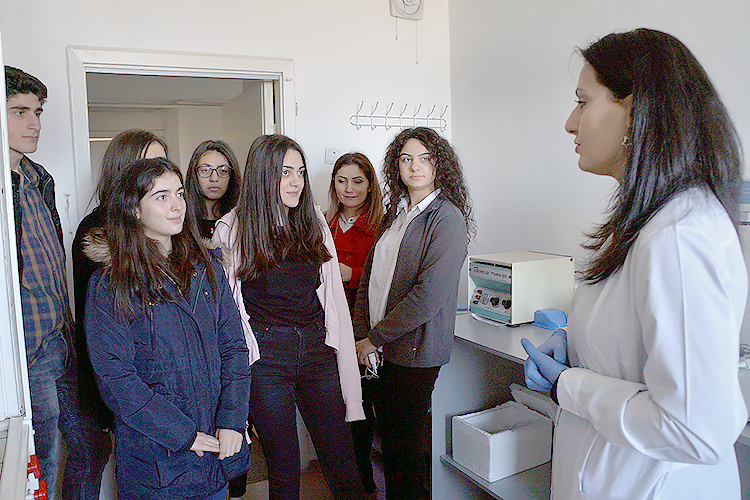 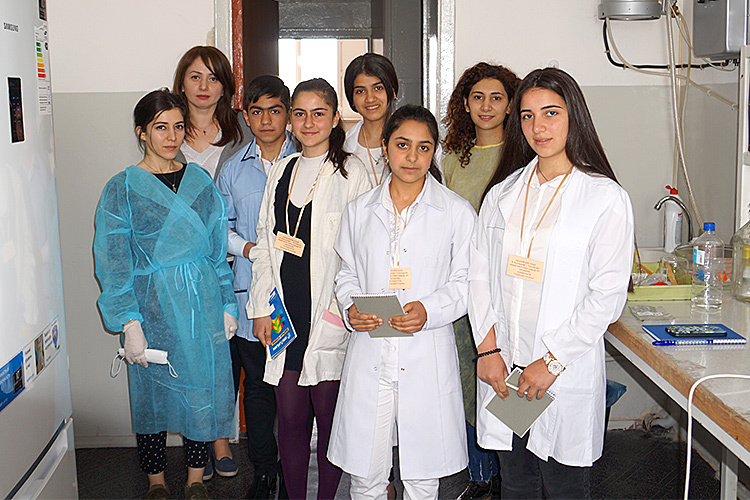 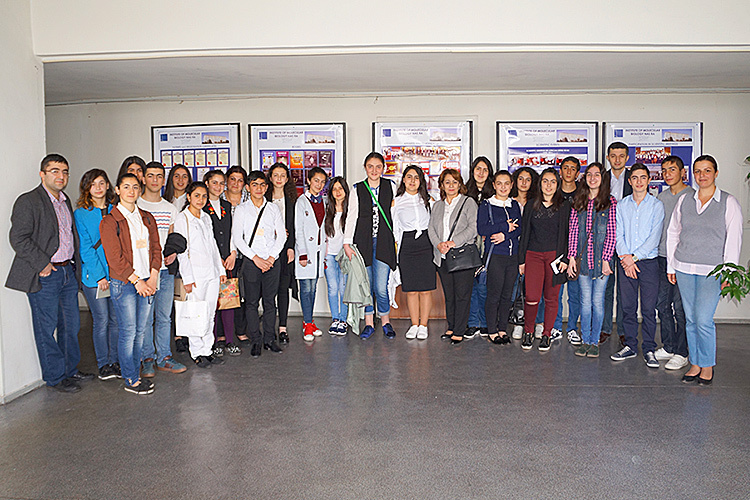 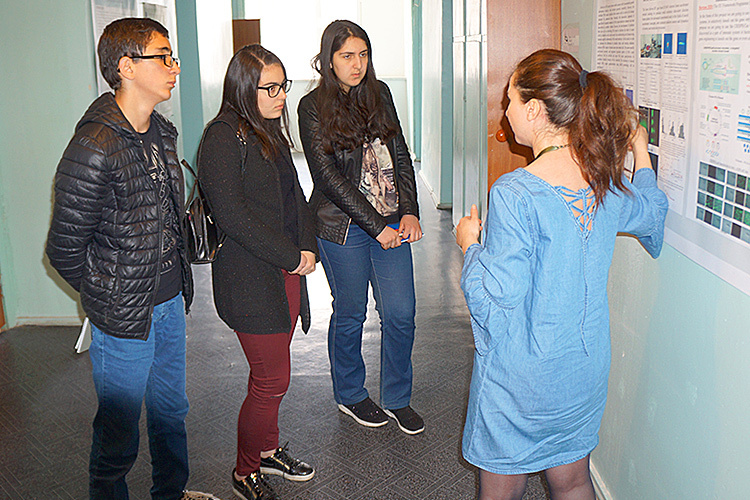 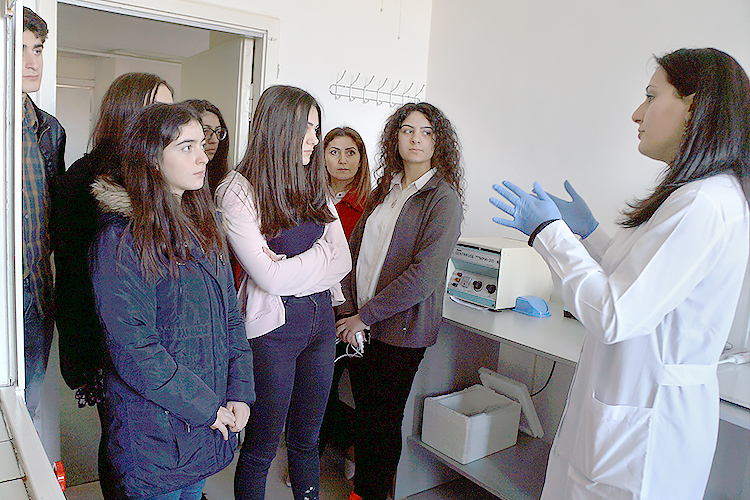 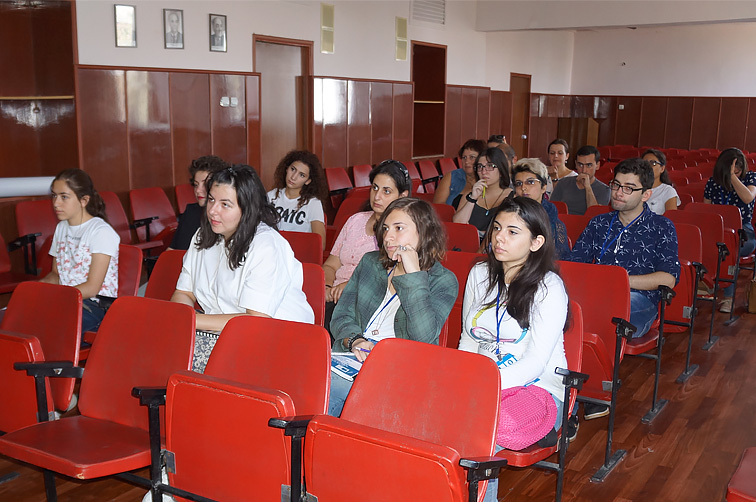 THE STUDENTS OF AYB SCHOOL ARE VISITING THE INSTITUTE. 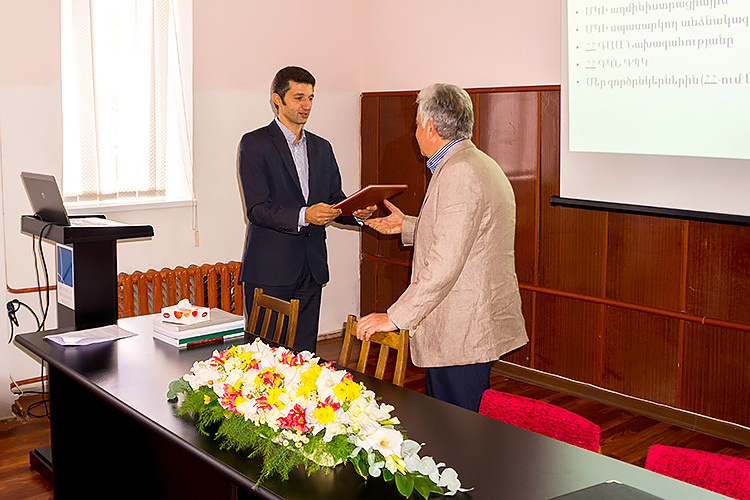 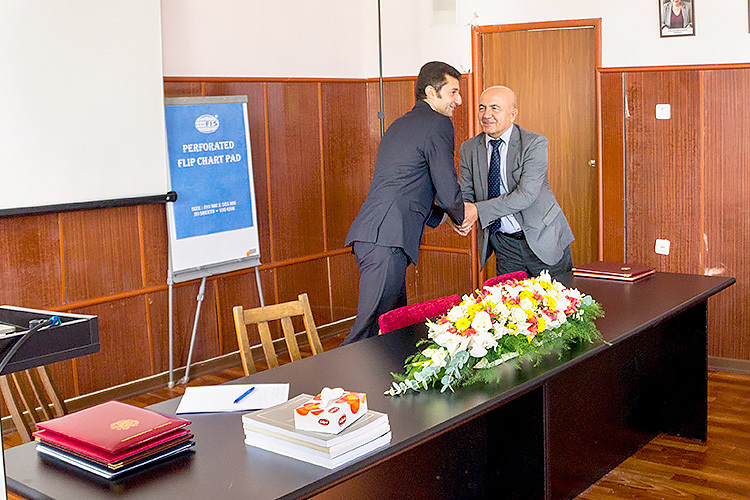 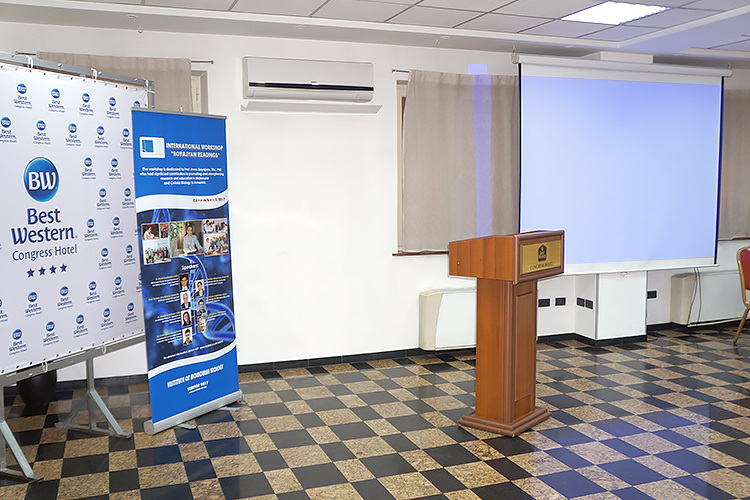 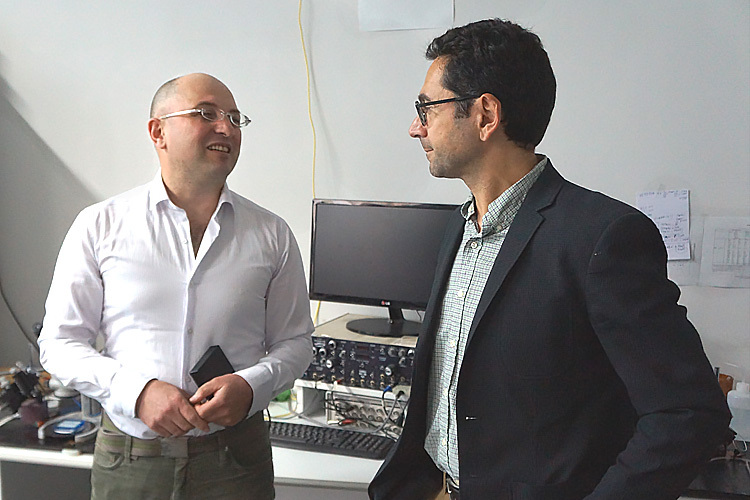 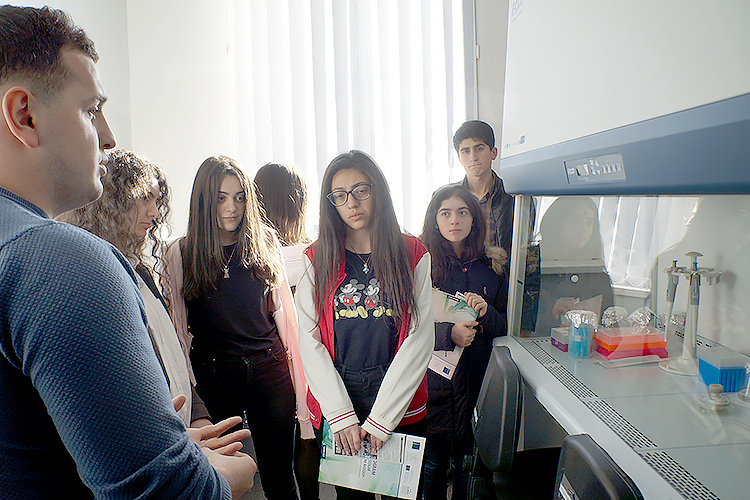 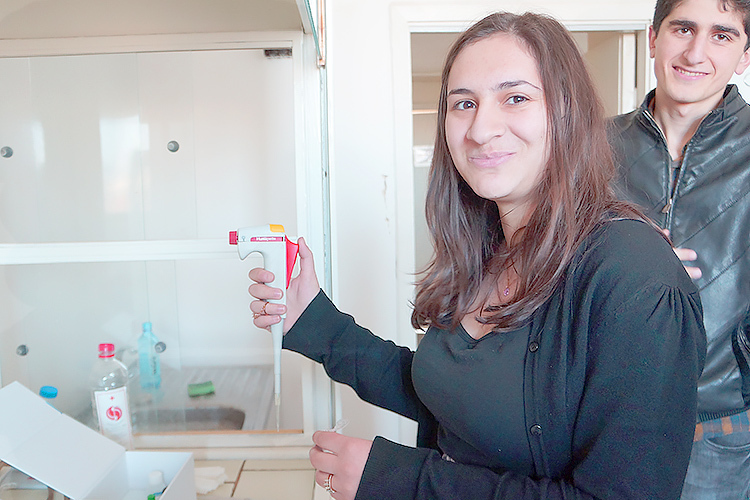 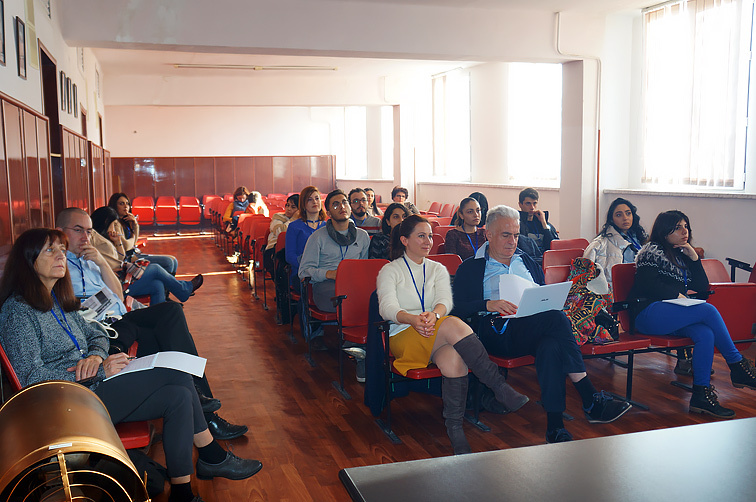 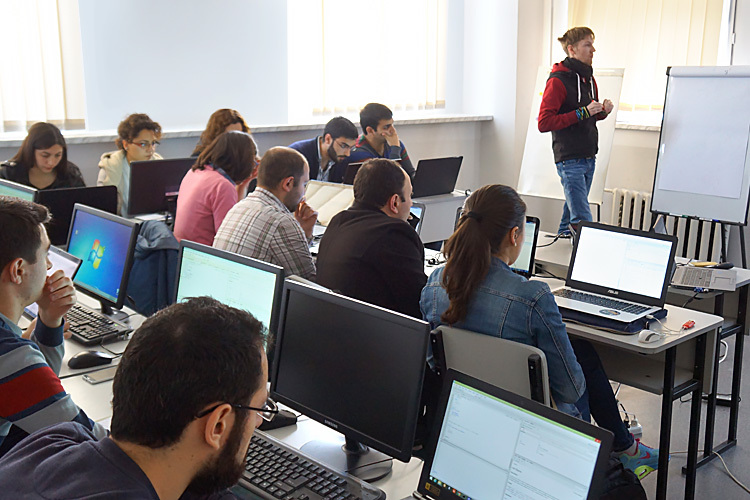 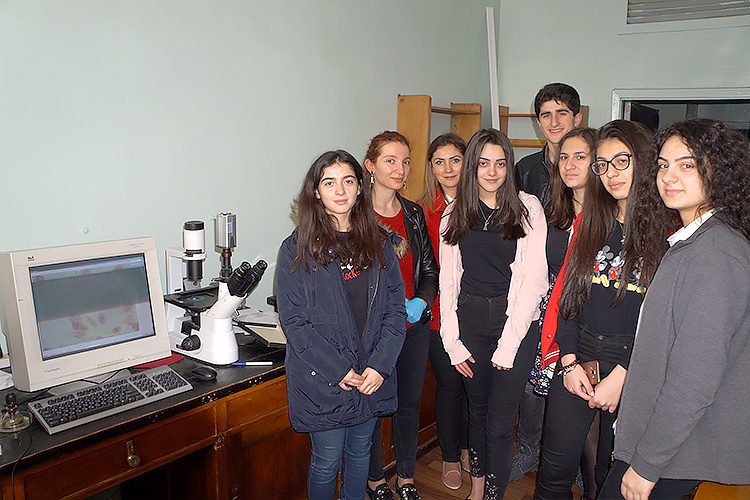 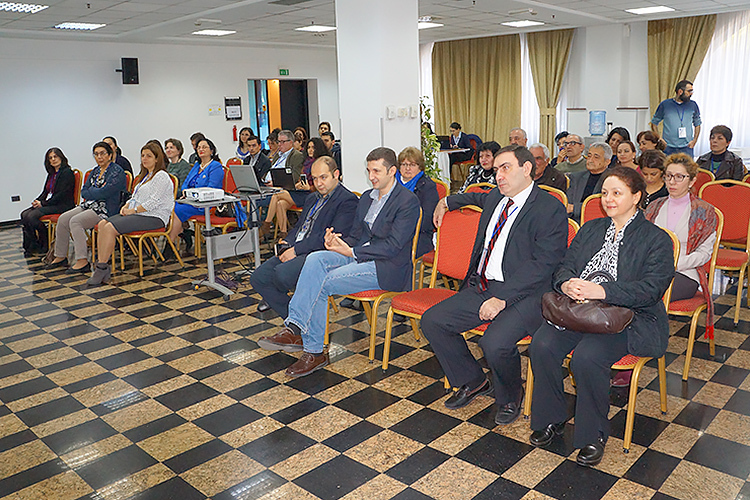 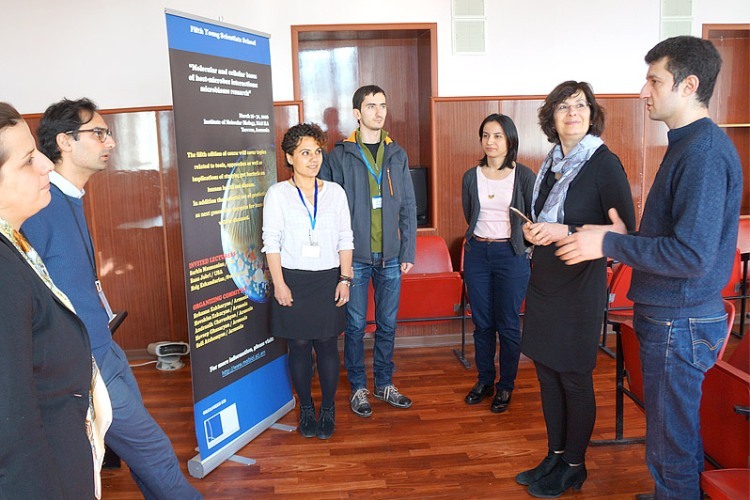 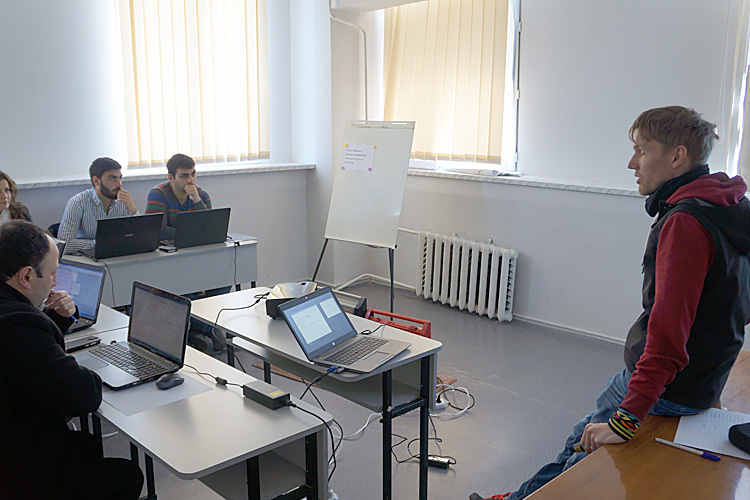 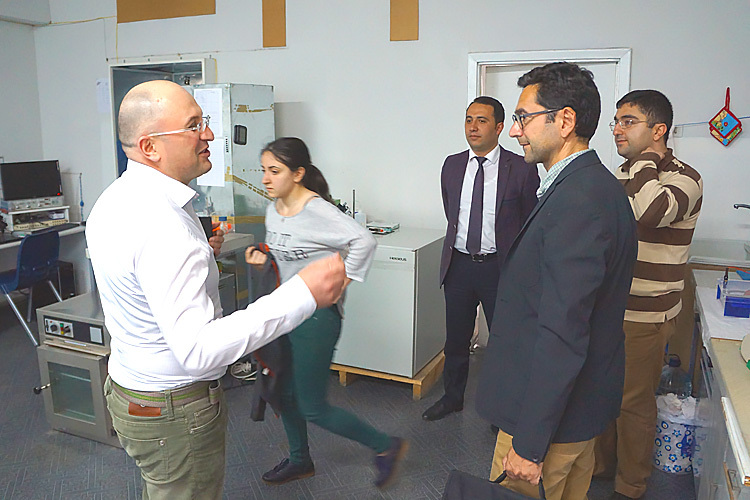 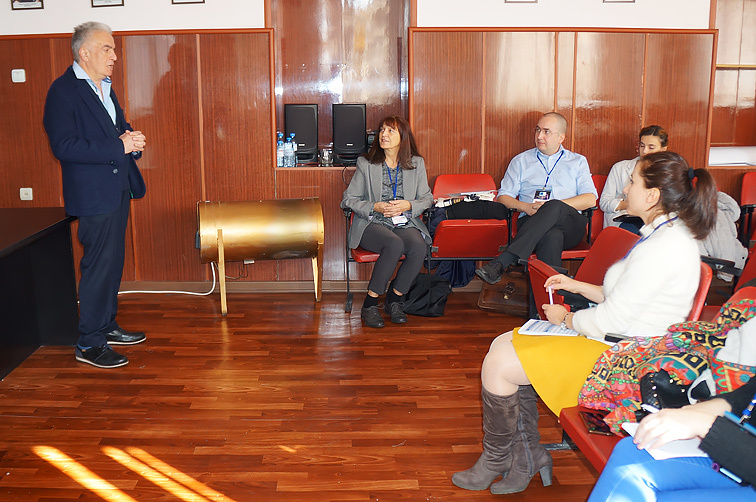 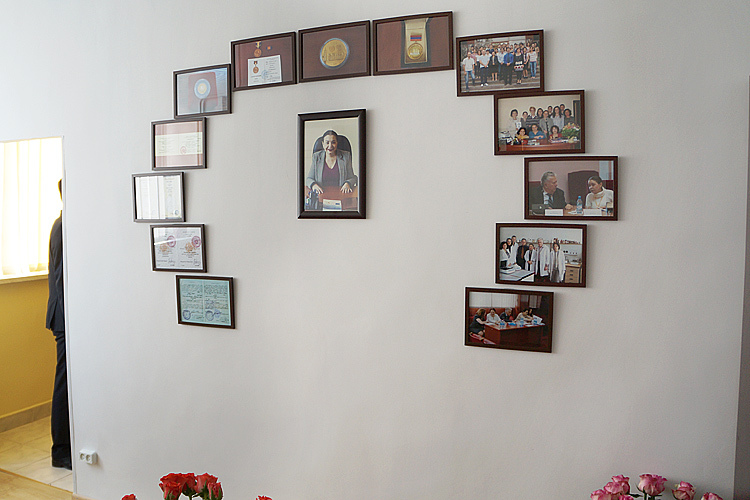 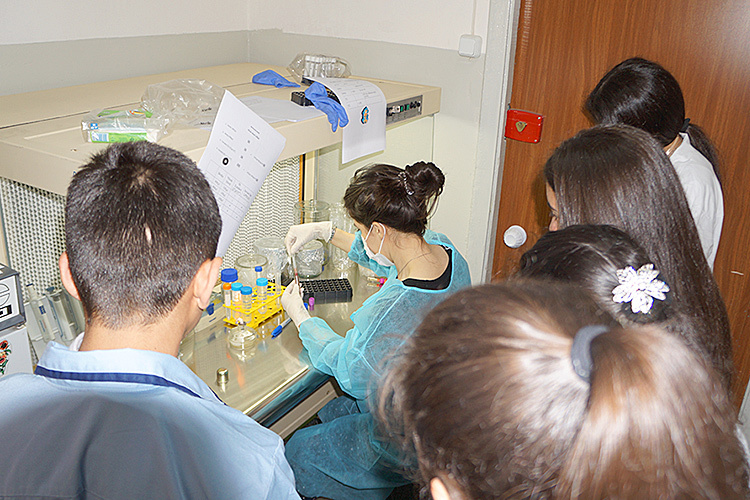 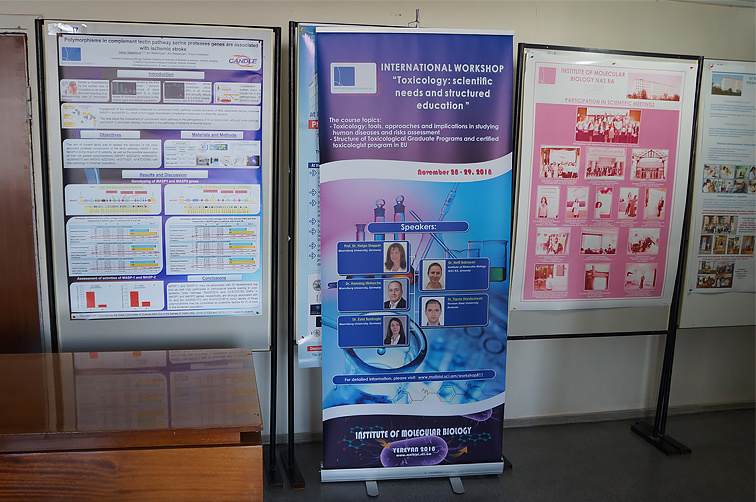 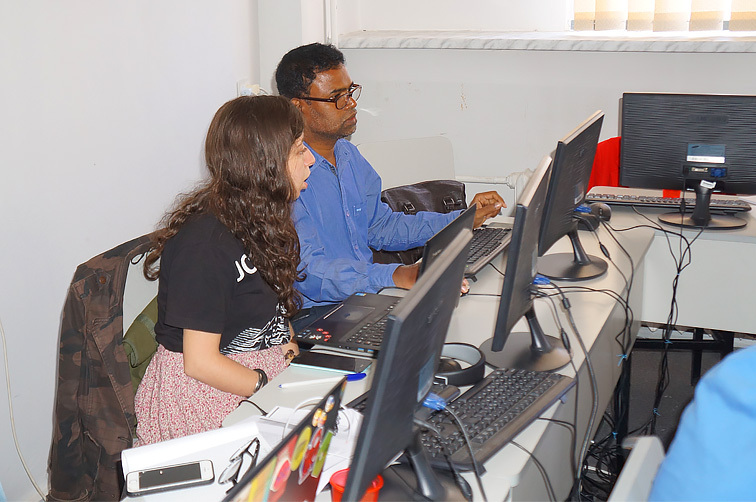 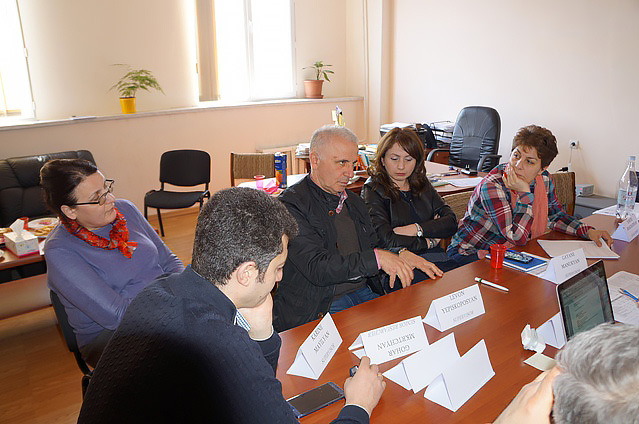 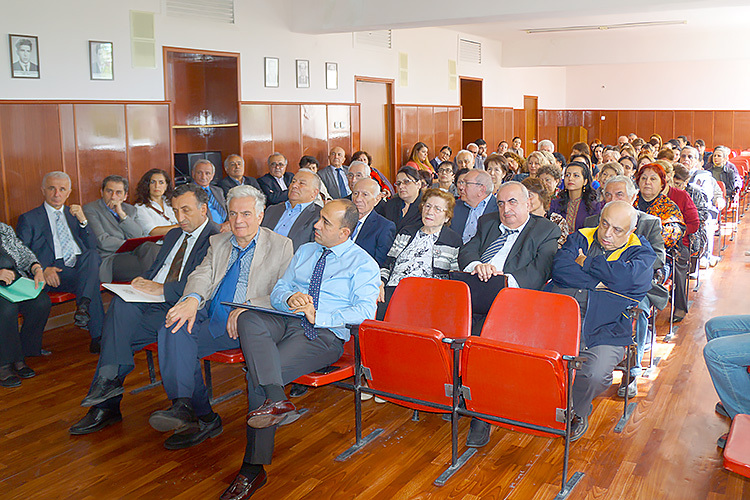 March 19, 2018, Institute of Molecular Biology NAS RA, Yerevan, Armenia. 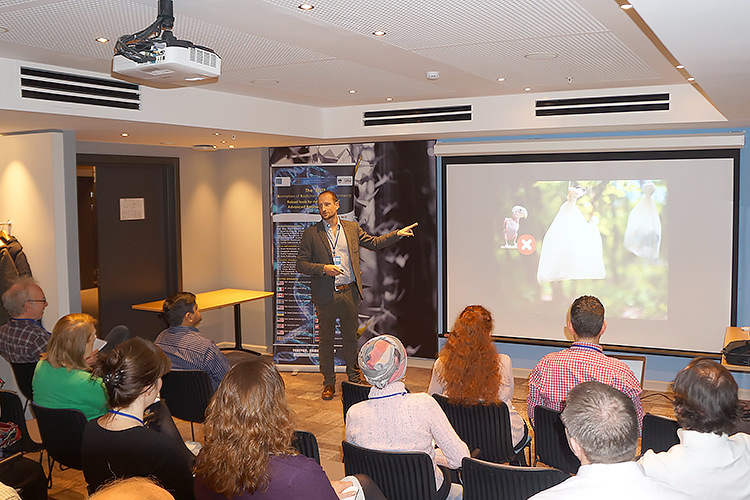 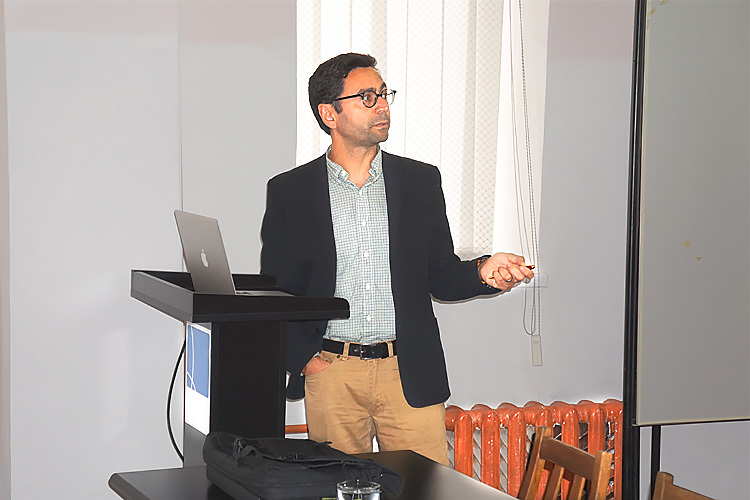 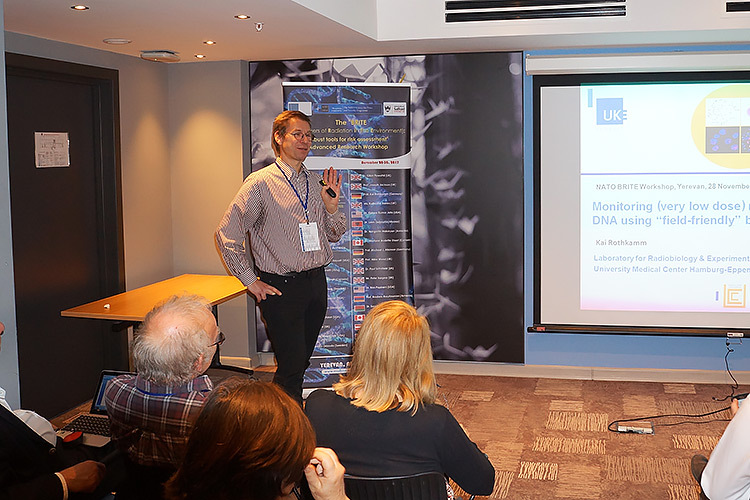 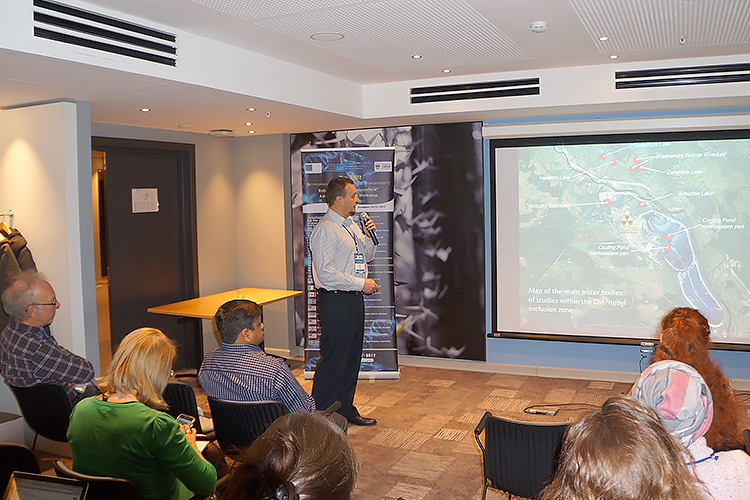 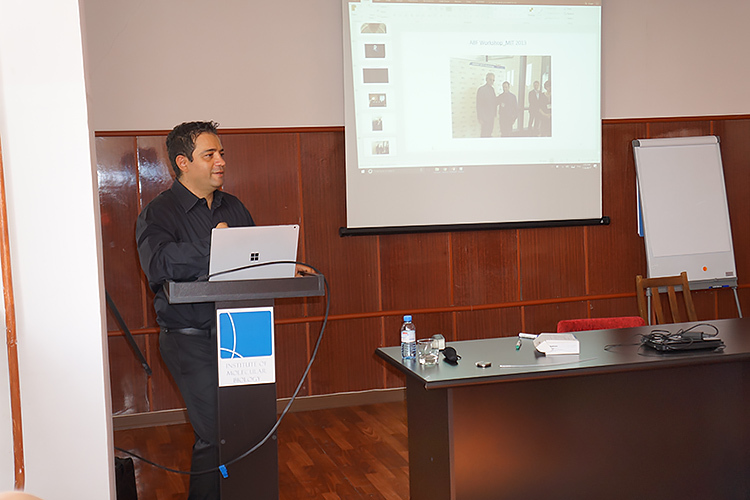 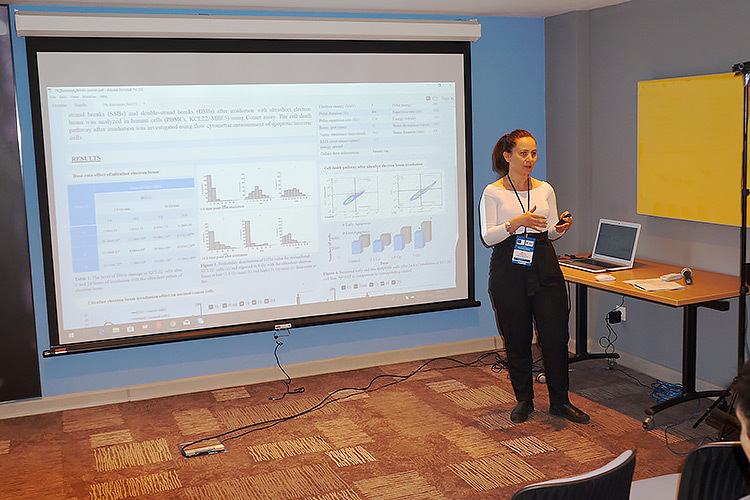 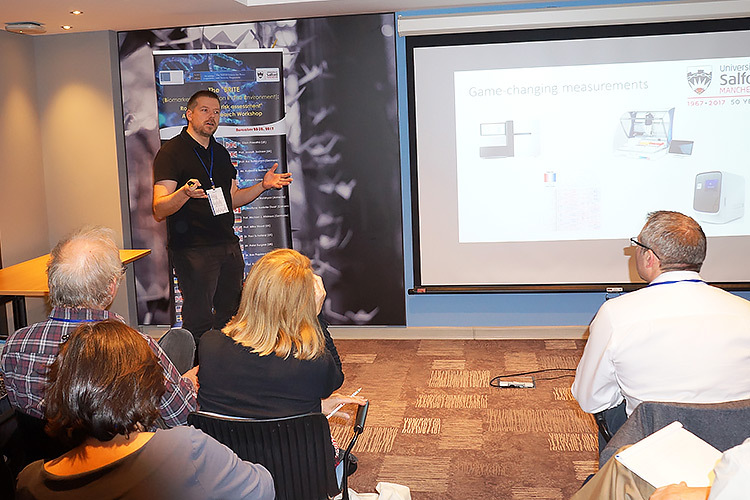 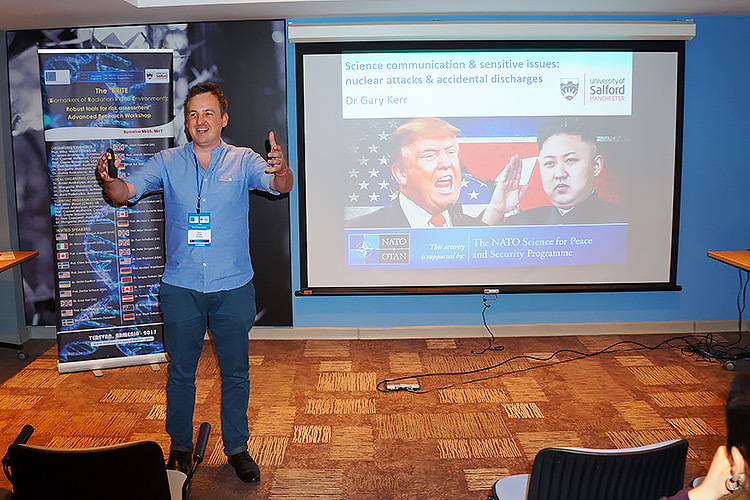 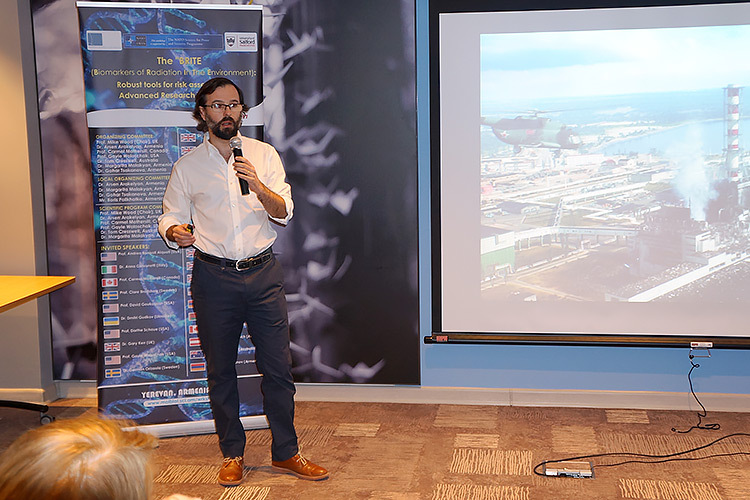 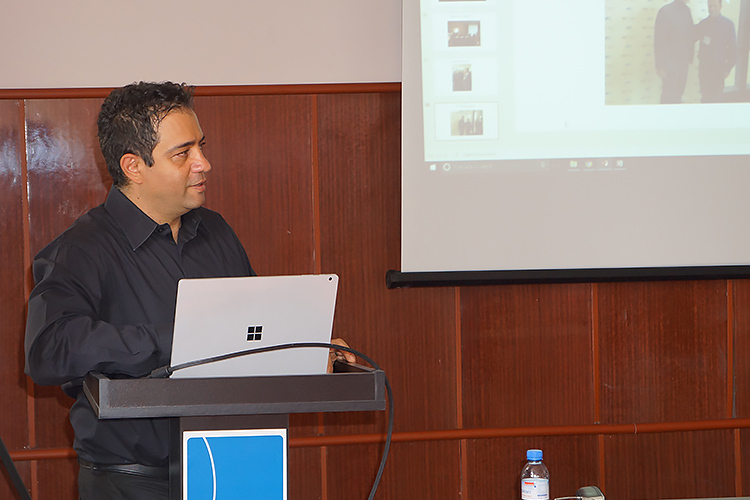 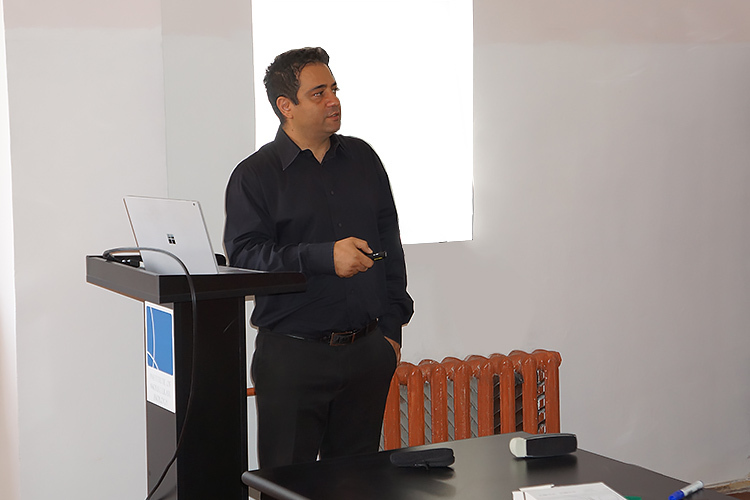 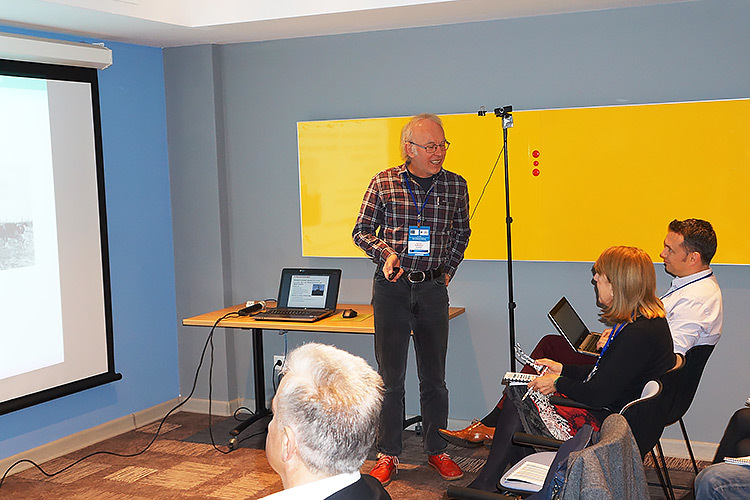 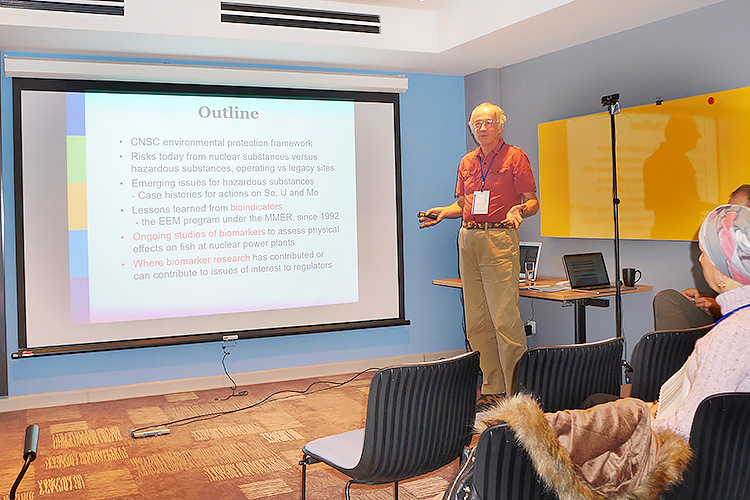 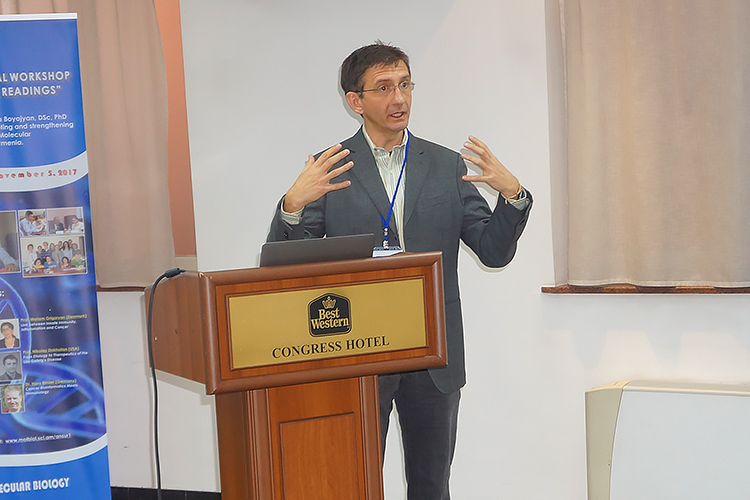 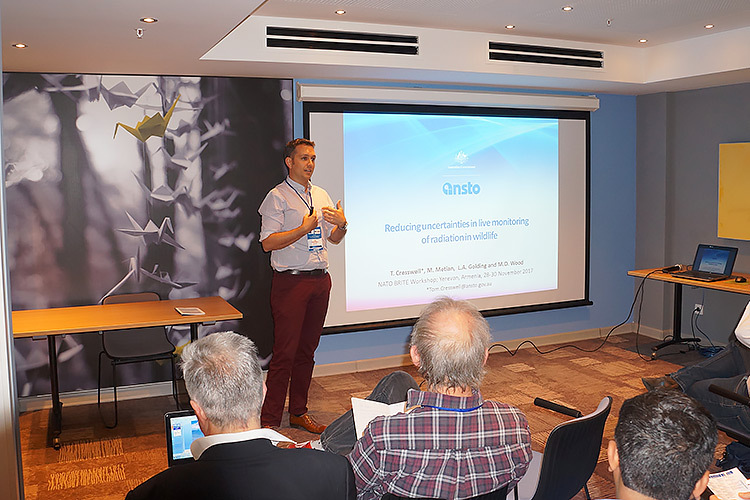 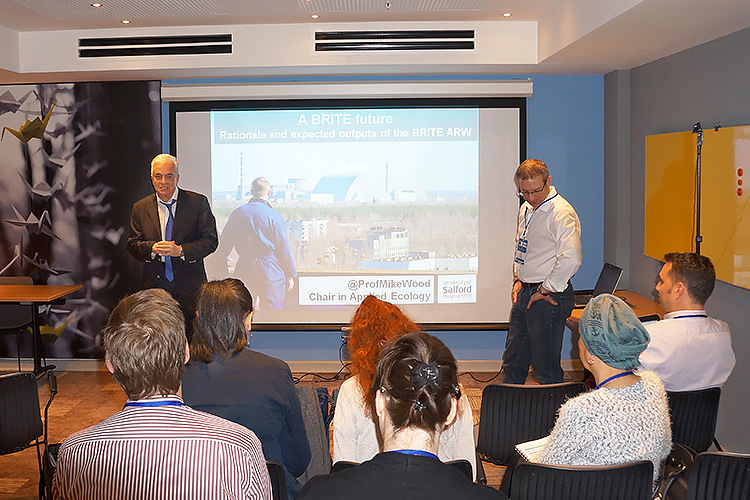 The "BRITE (Biomarkers of Radiation In The Environment): Robust tools for risk assessment"
Seminar by Dr. Artin Petrossians, PhD. 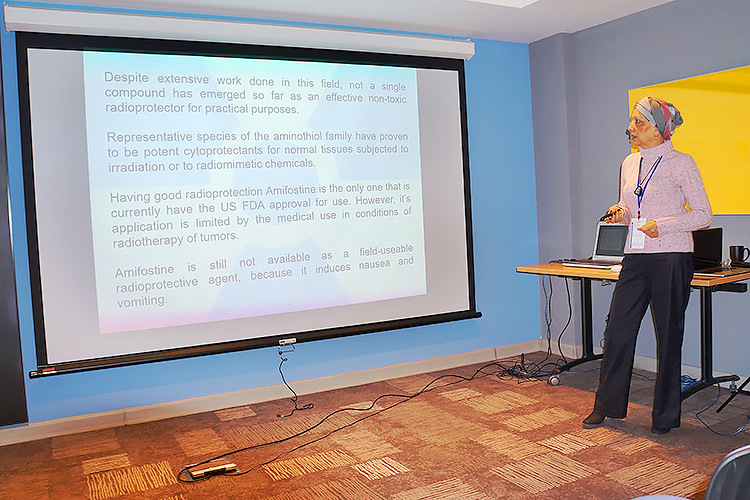 Platinum Group Coatings, LLC. 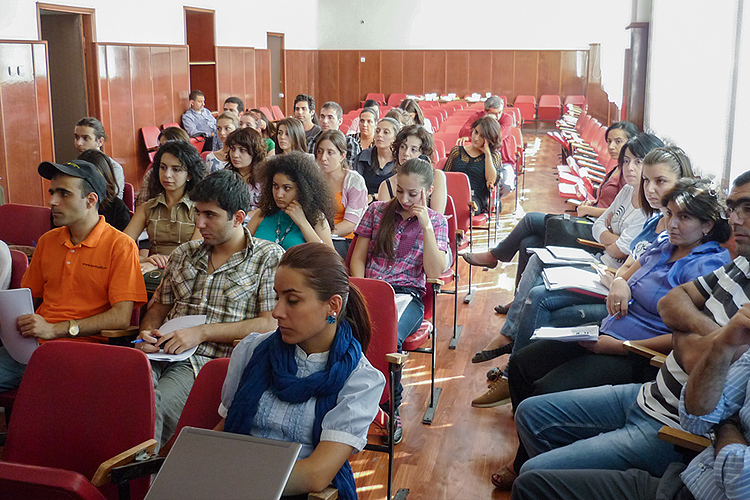 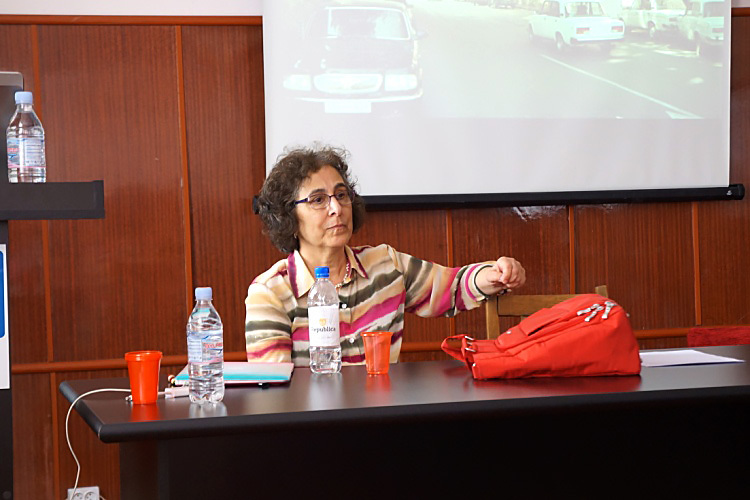 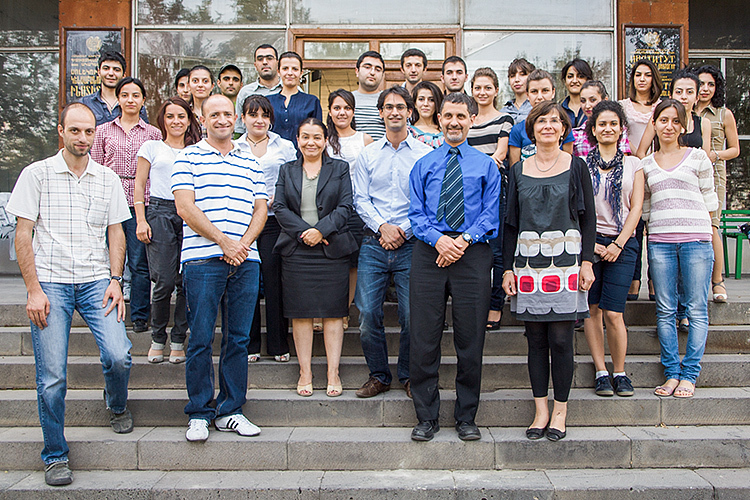 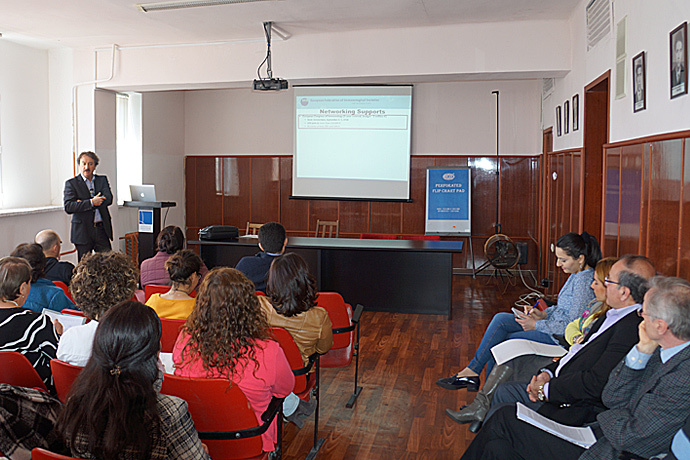 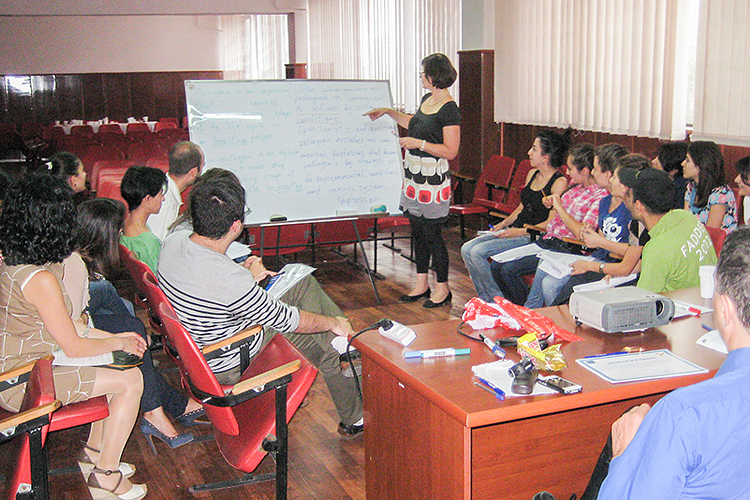 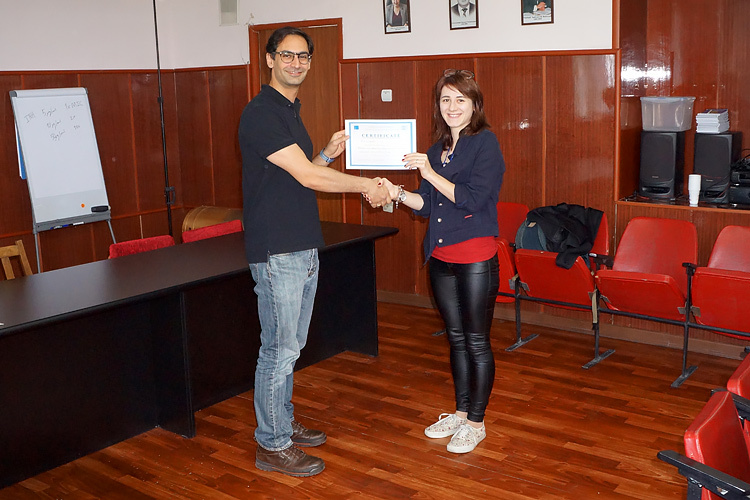 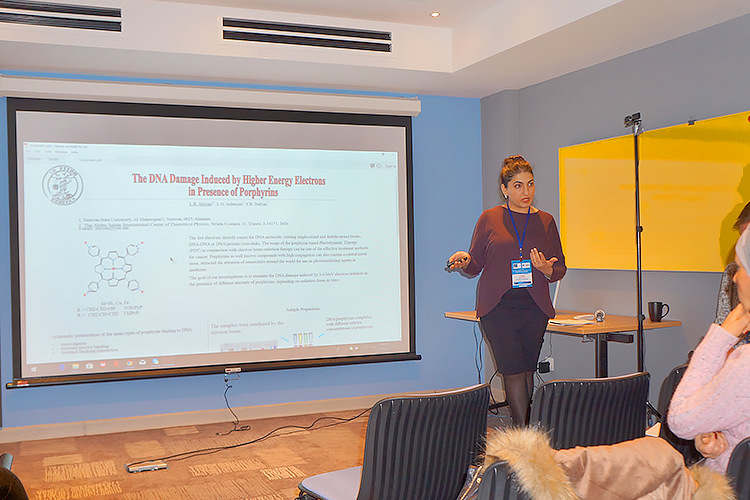 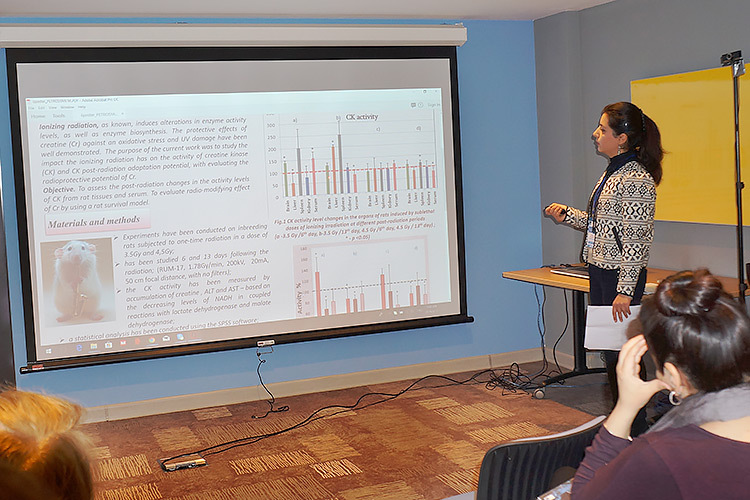 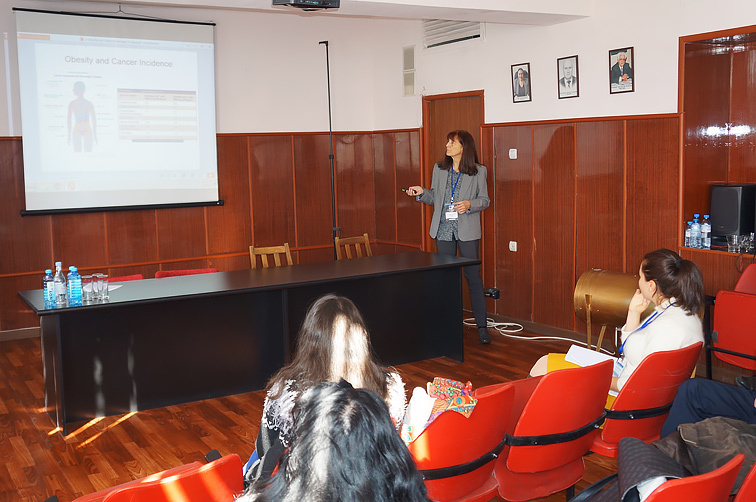 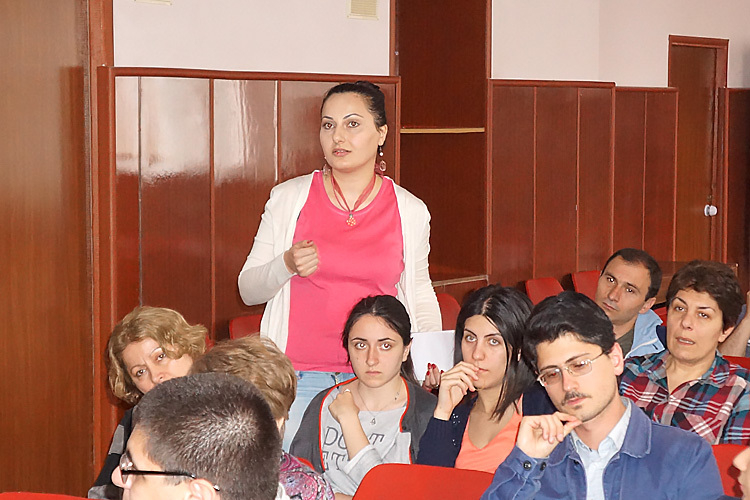 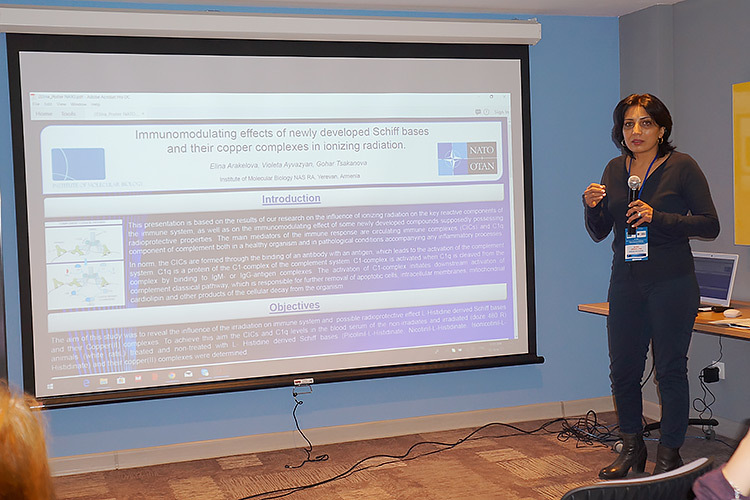 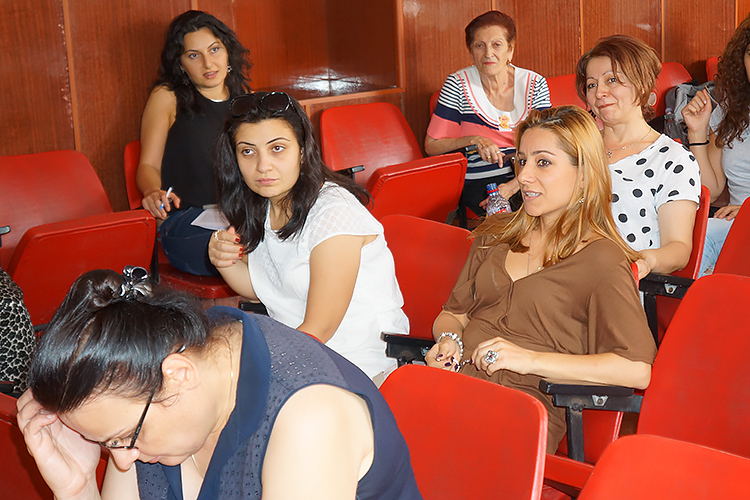 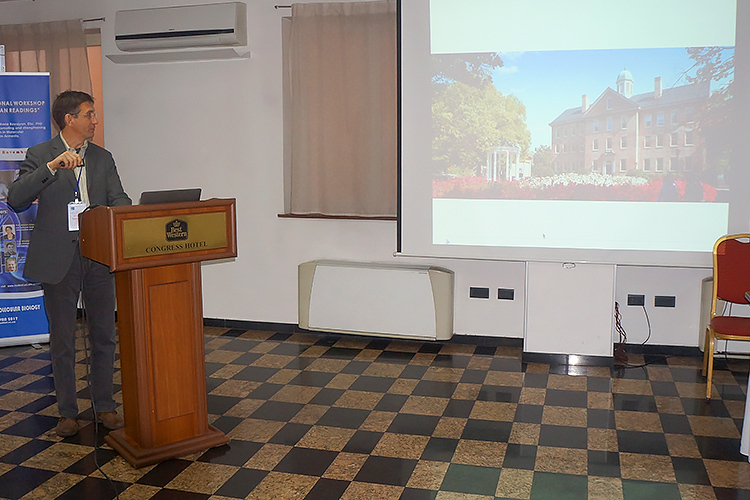 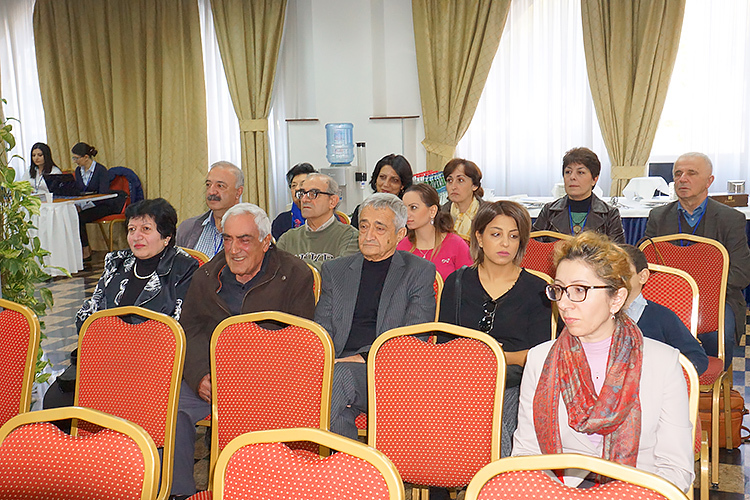 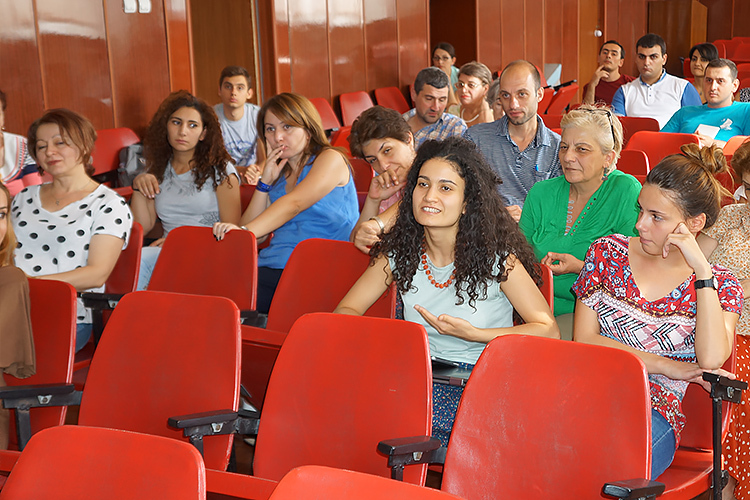 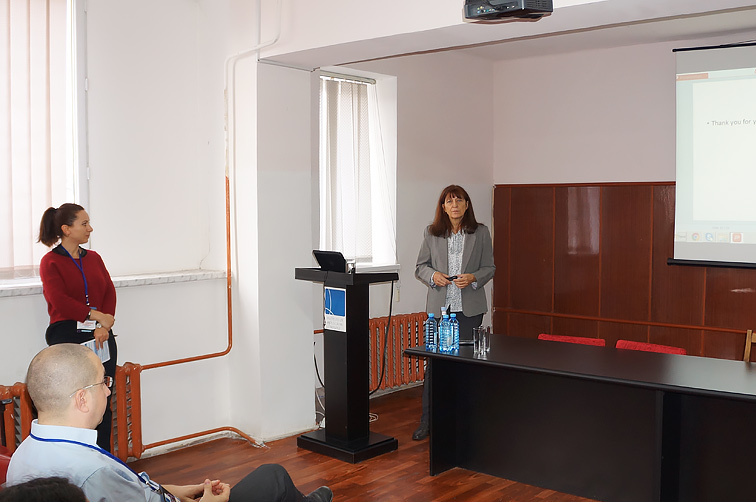 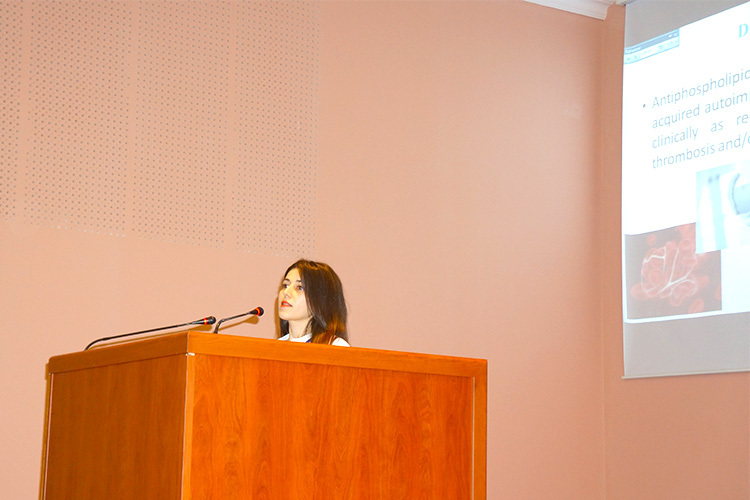 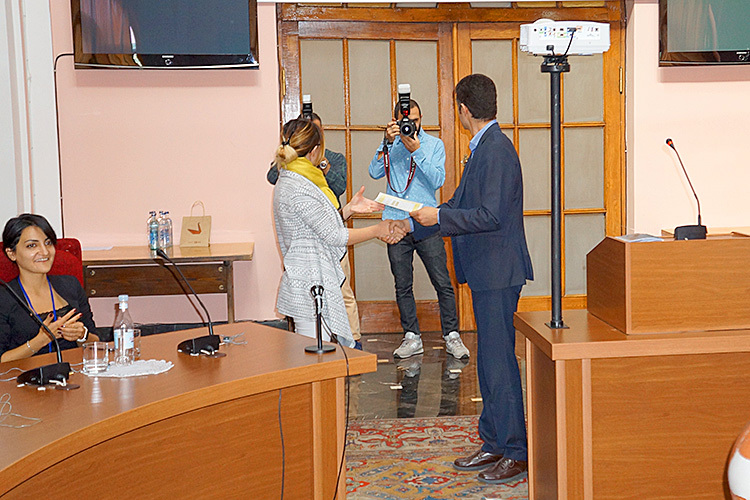 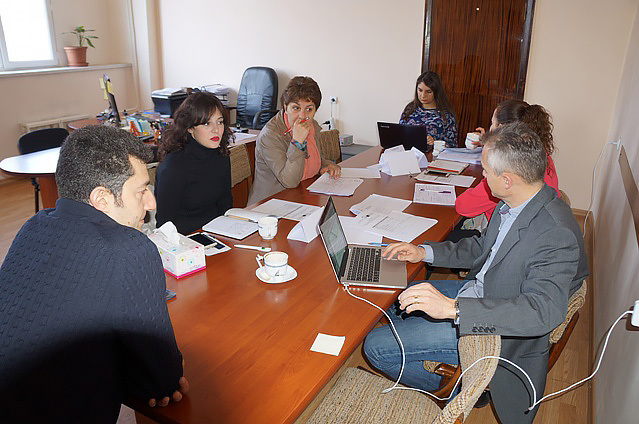 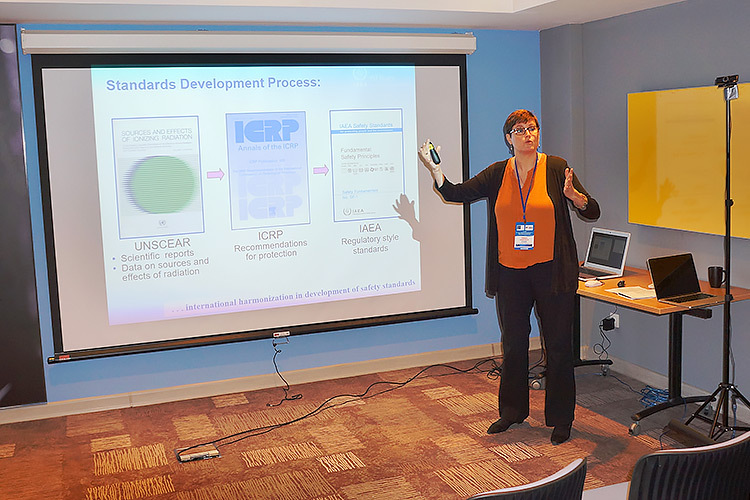 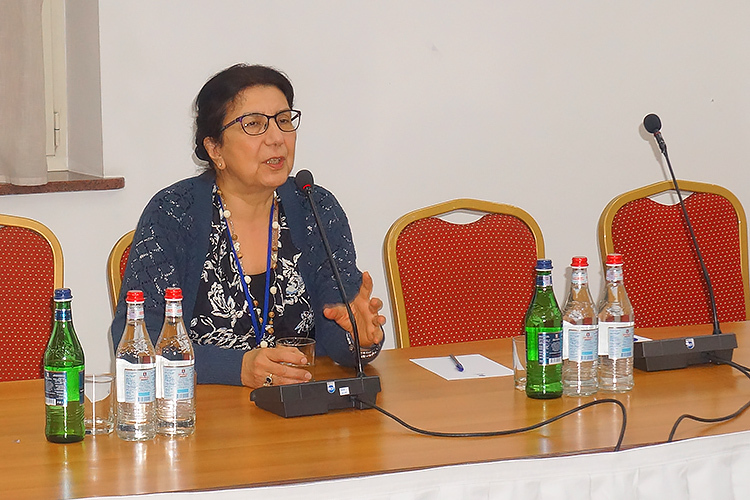 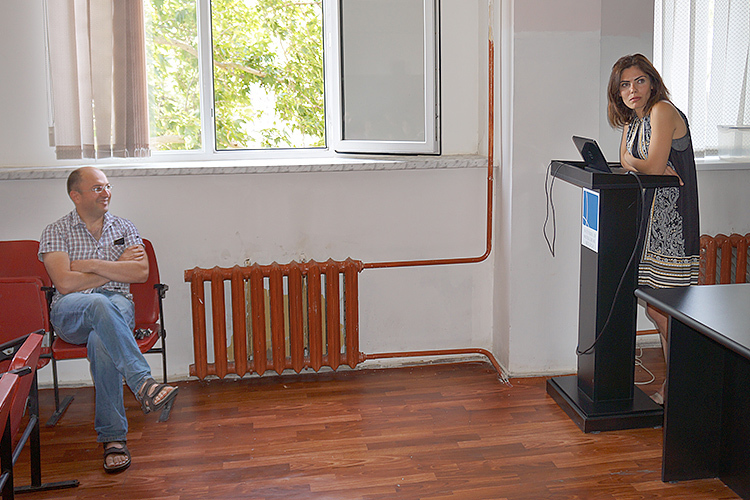 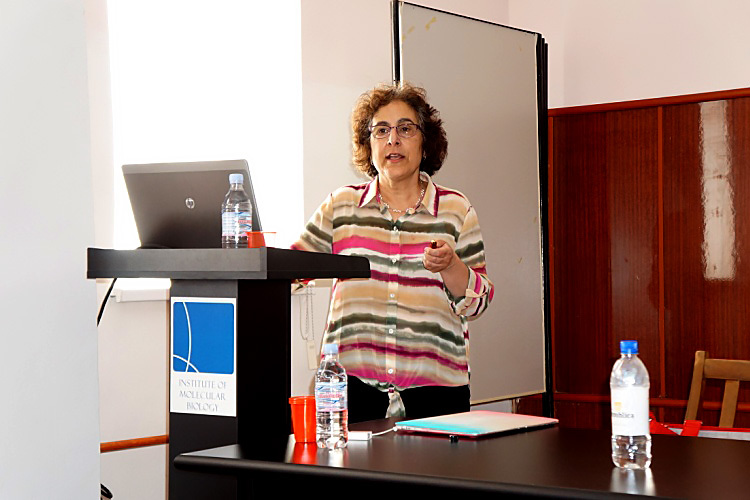 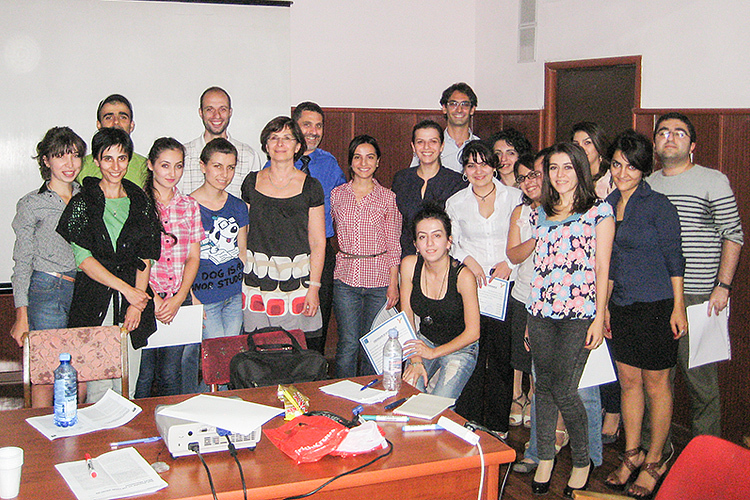 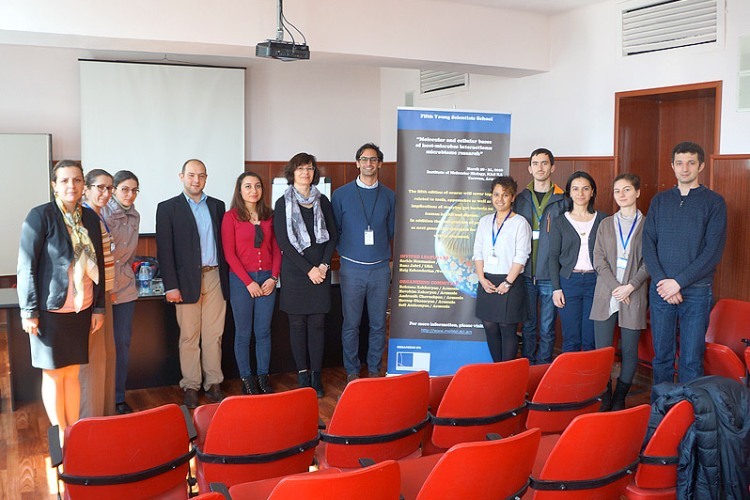 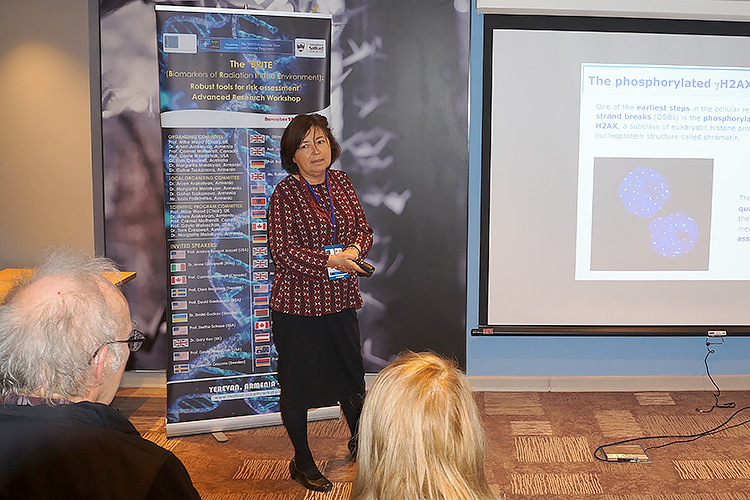 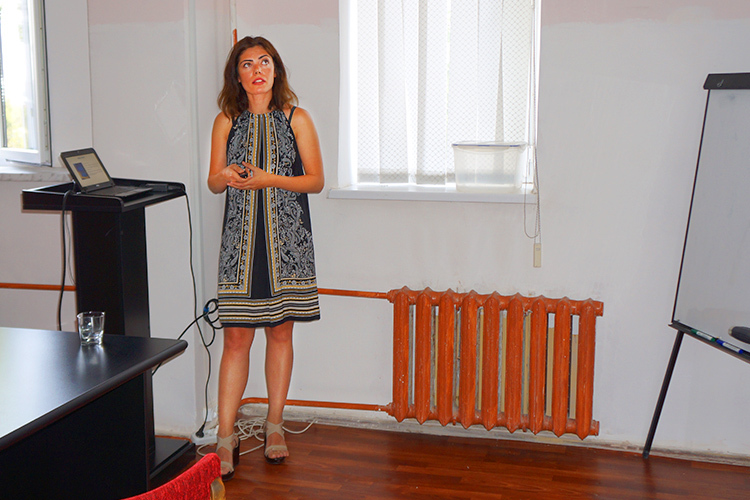 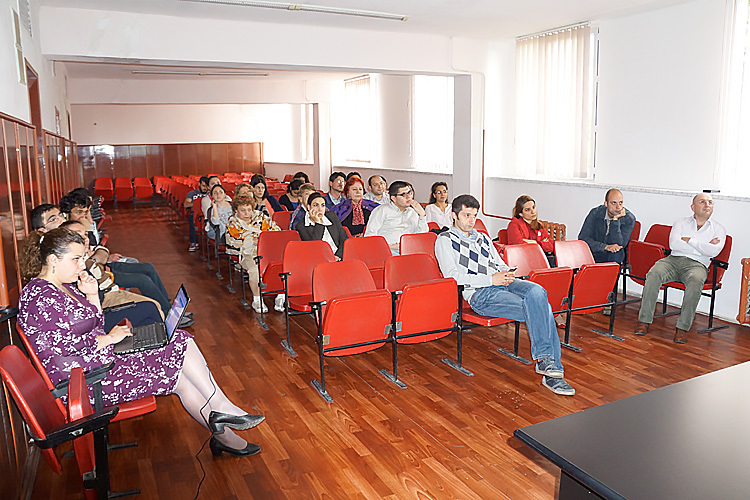 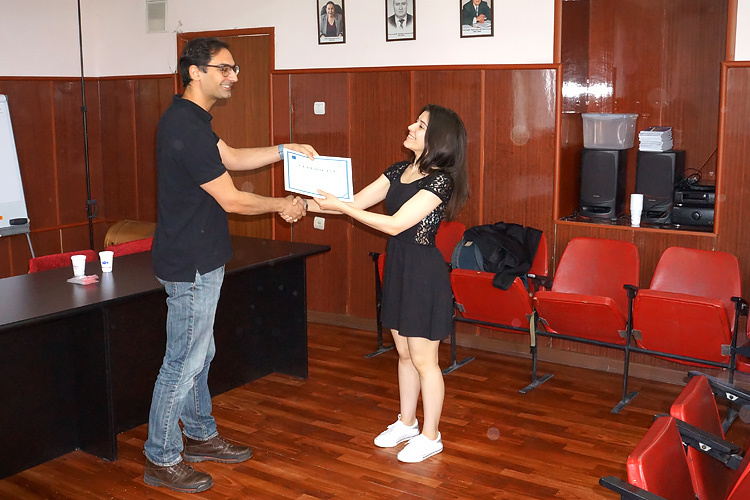 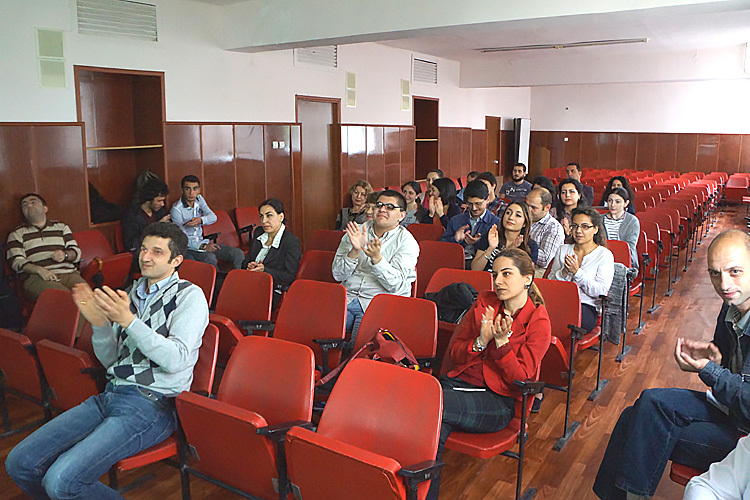 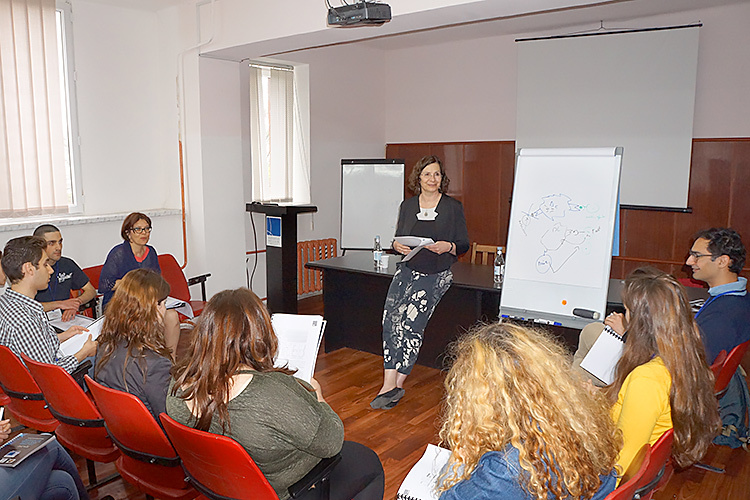 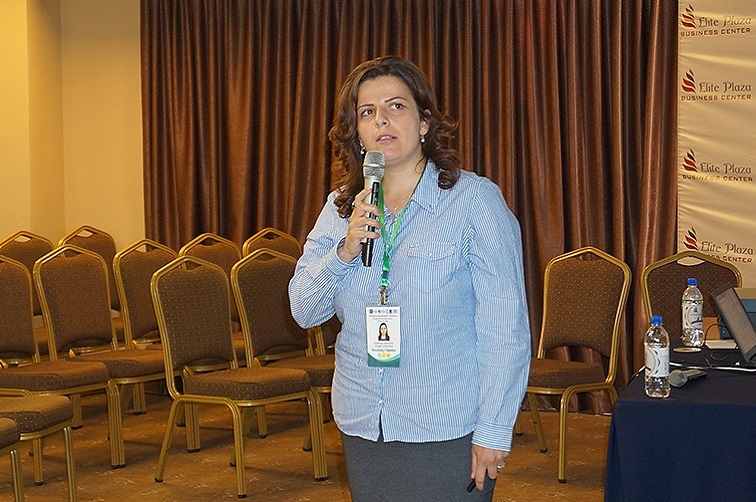 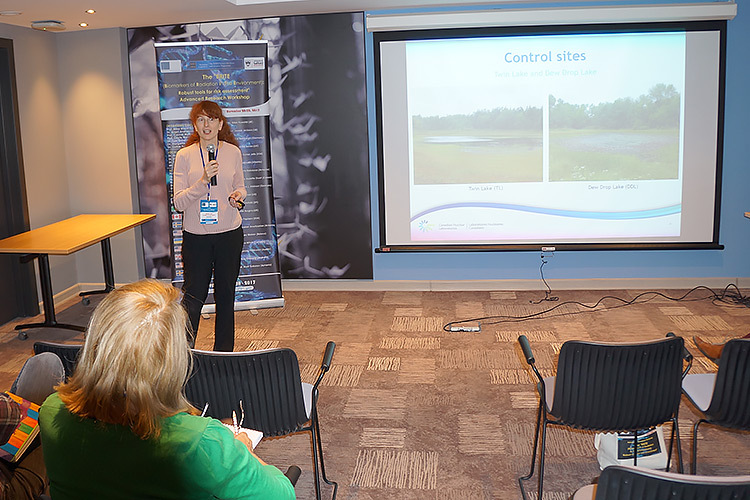 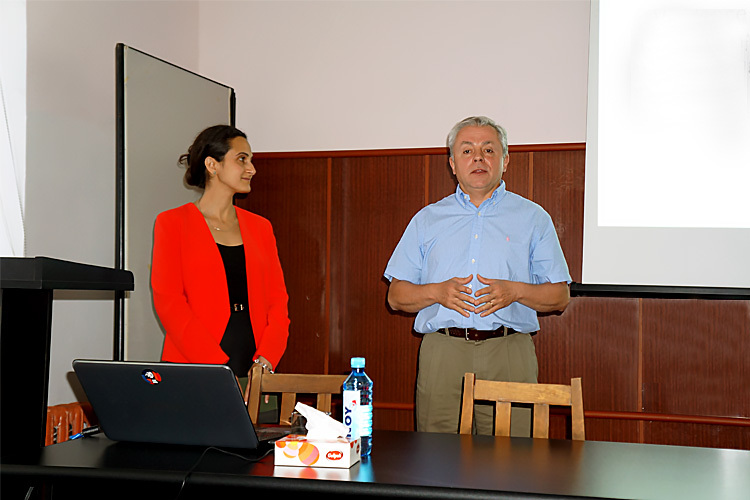 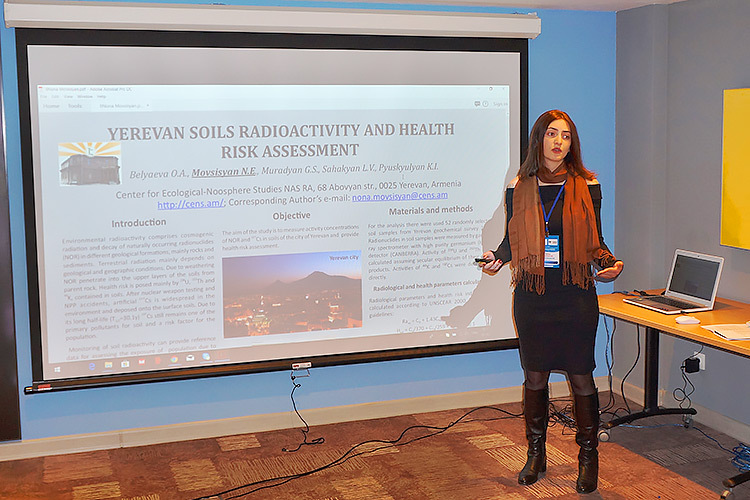 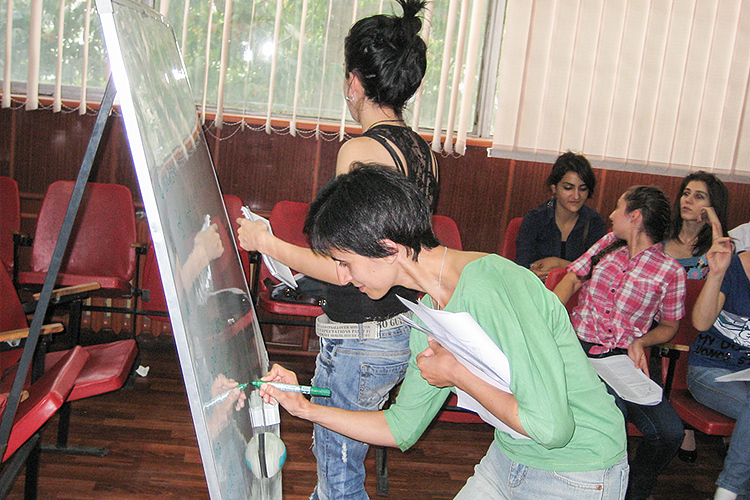 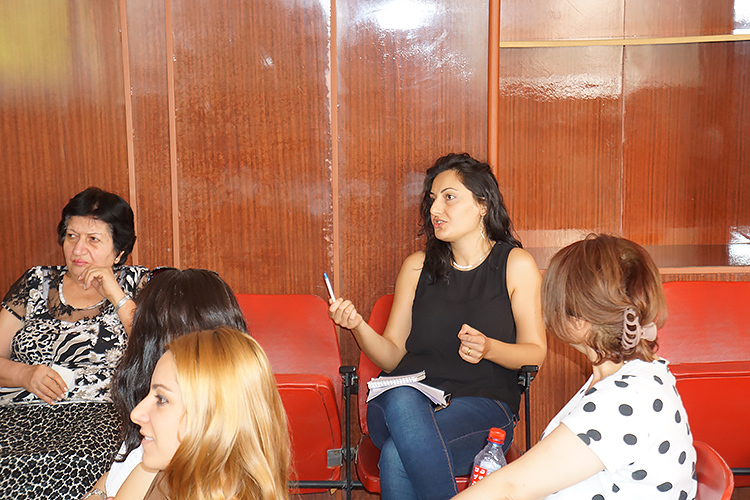 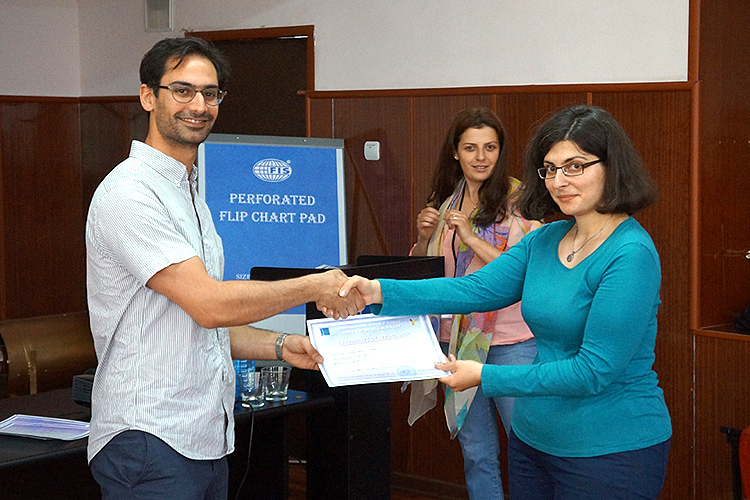 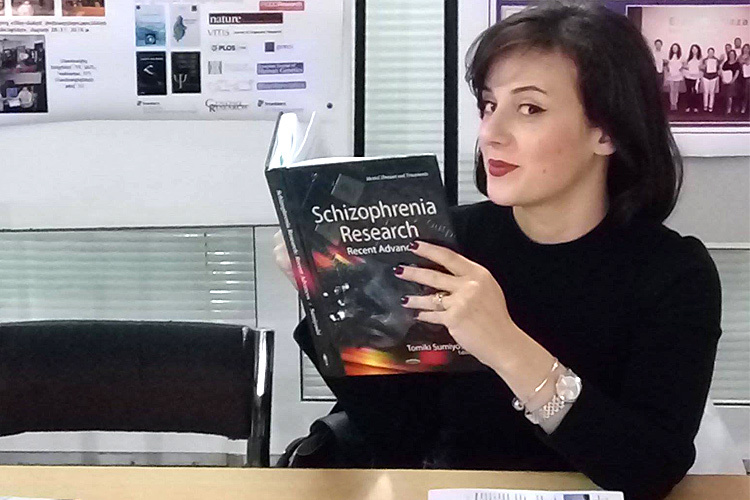 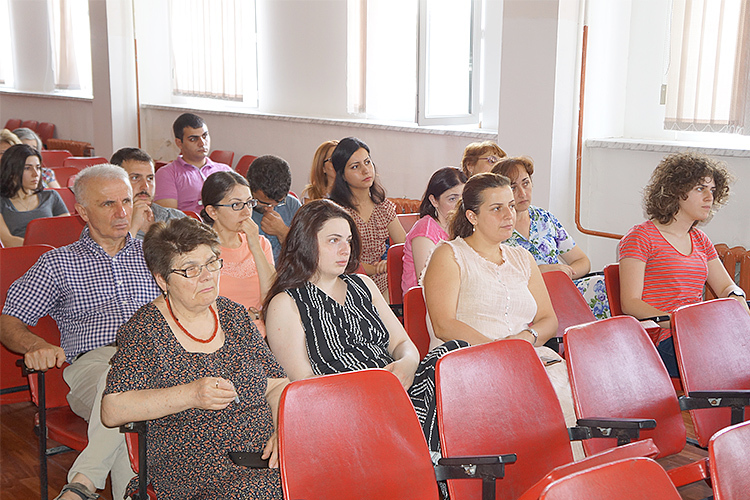 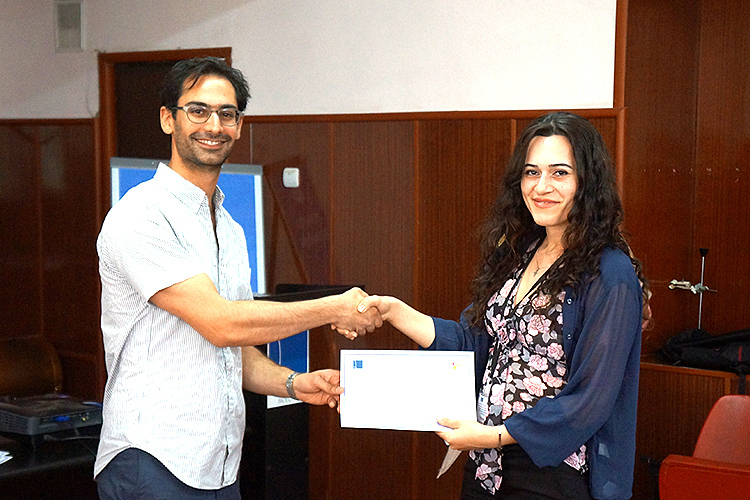 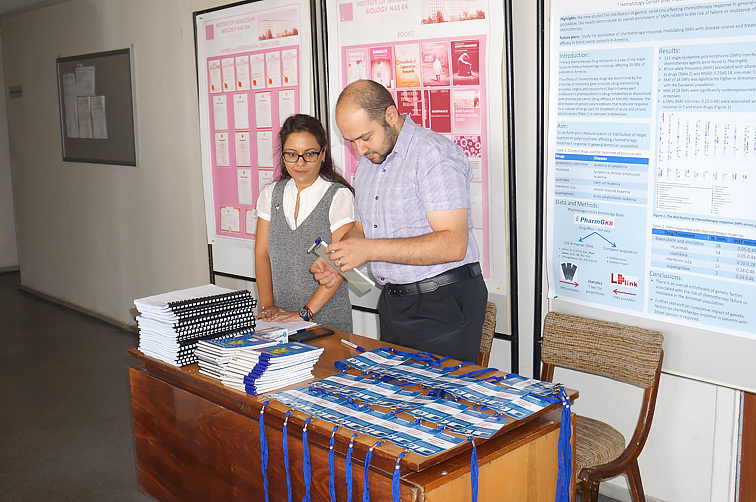 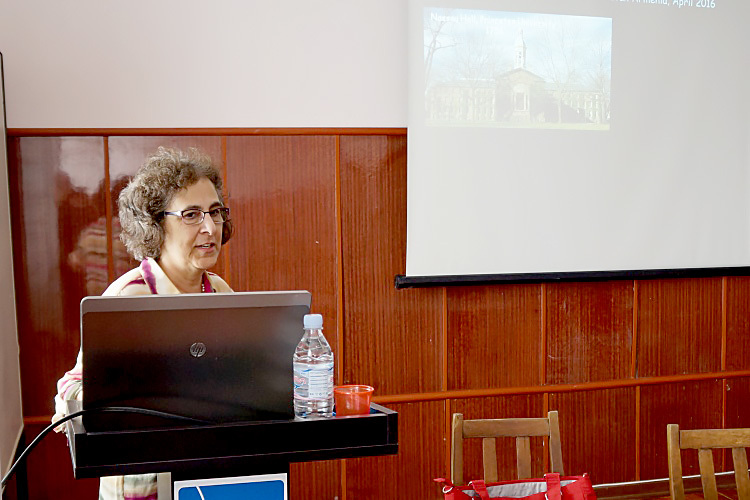 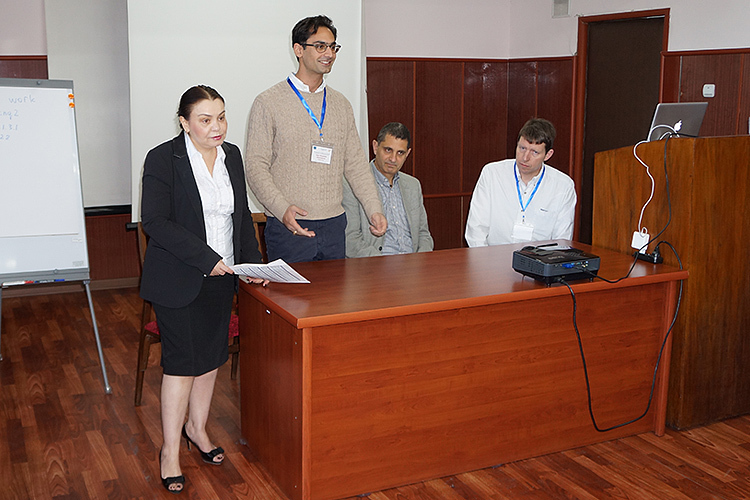 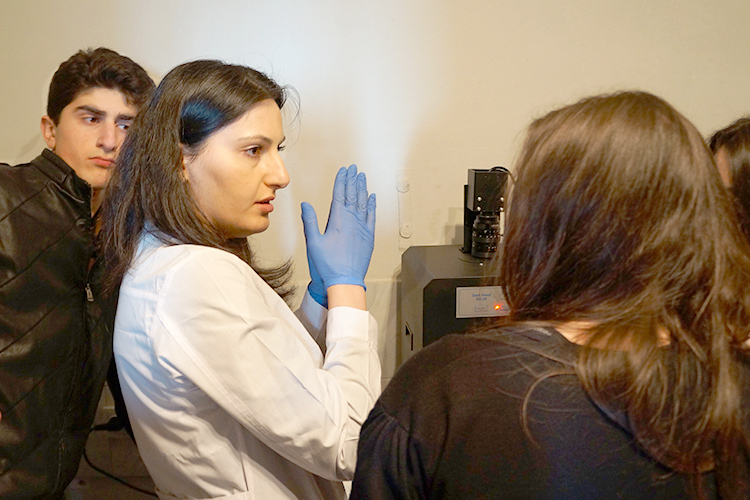 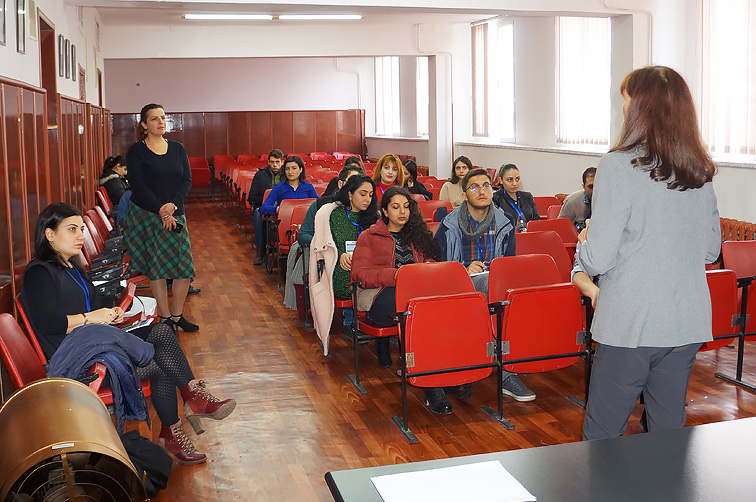 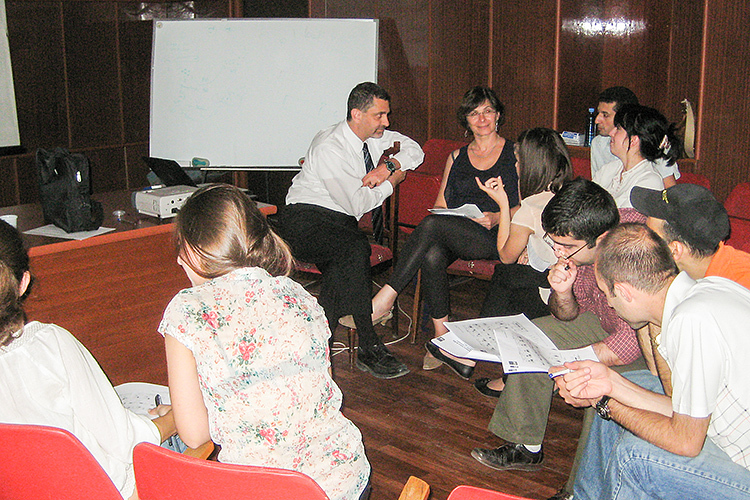 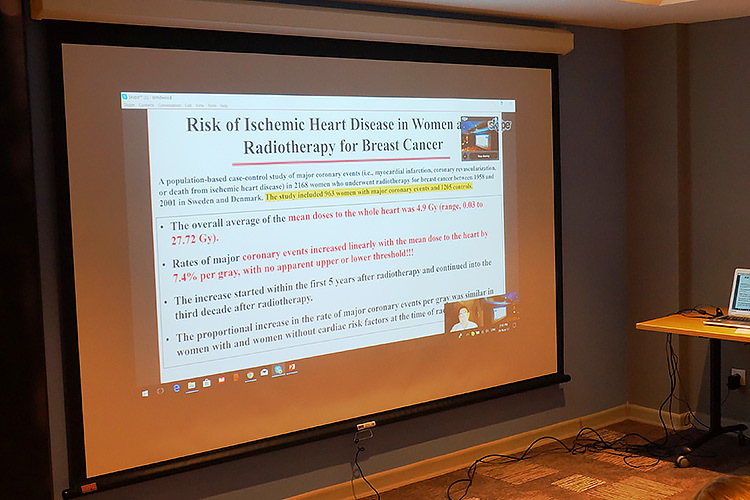 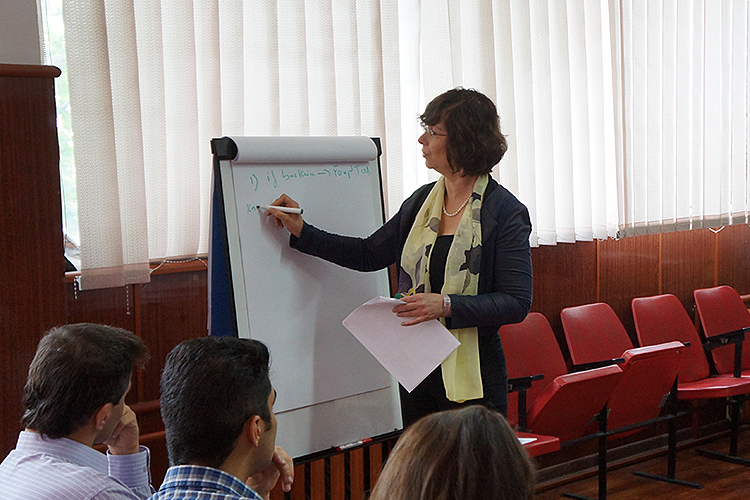 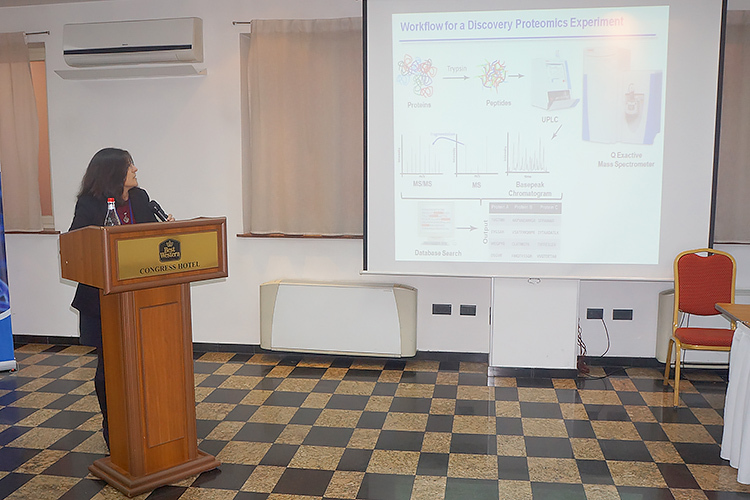 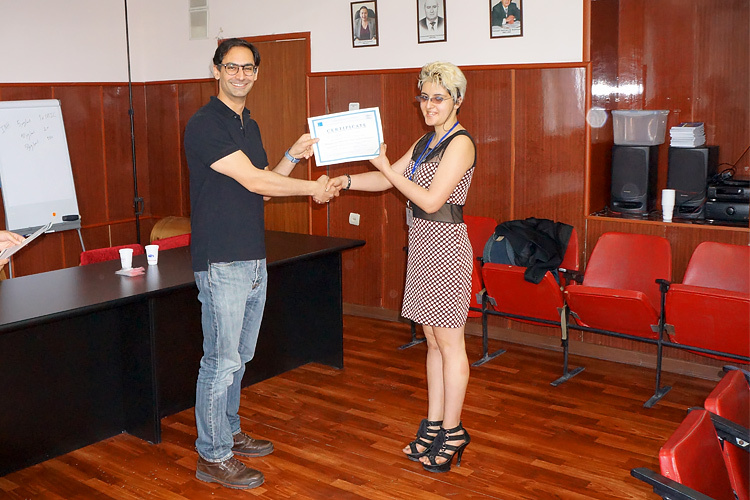 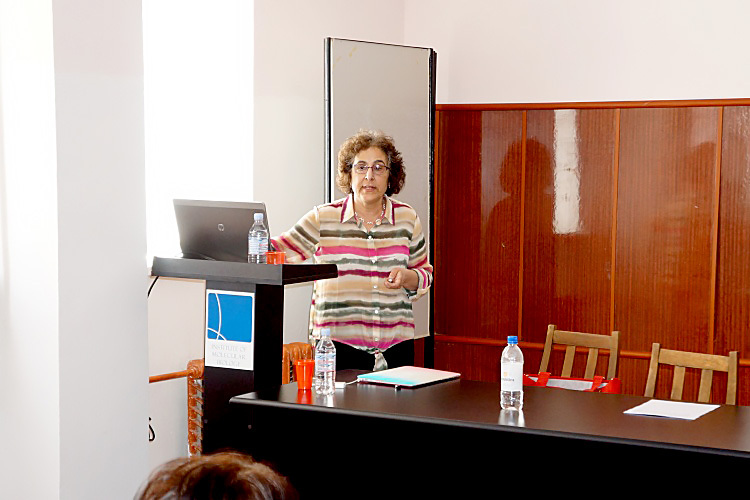 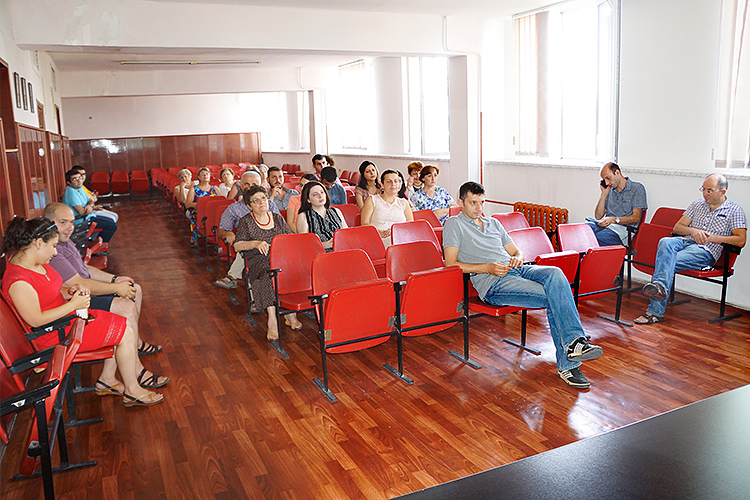 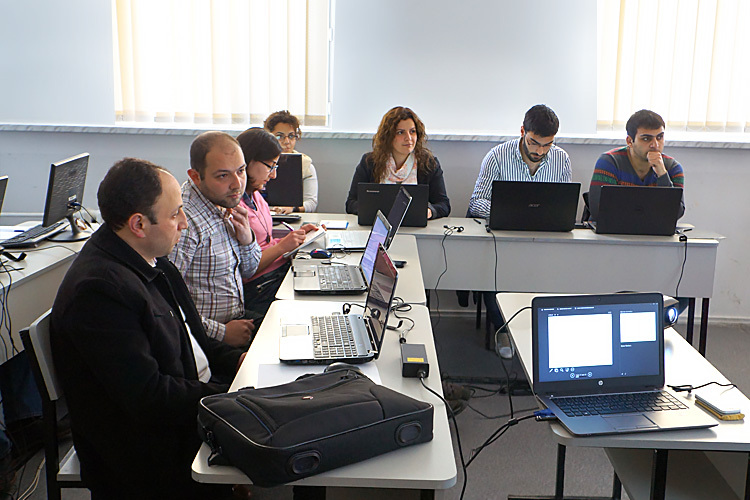 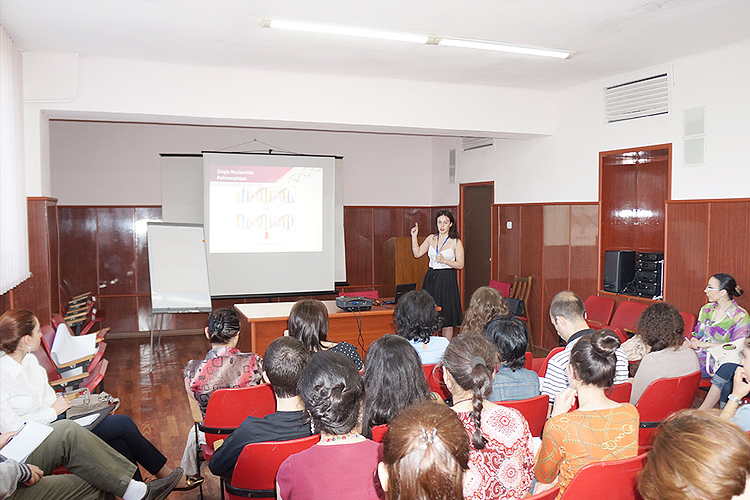 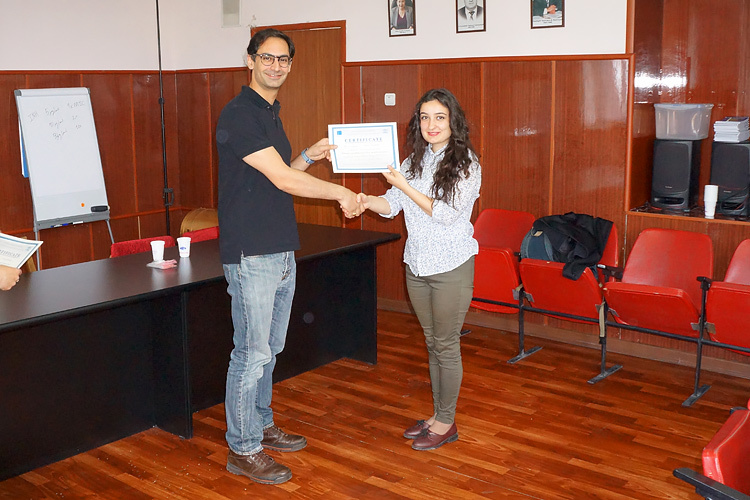 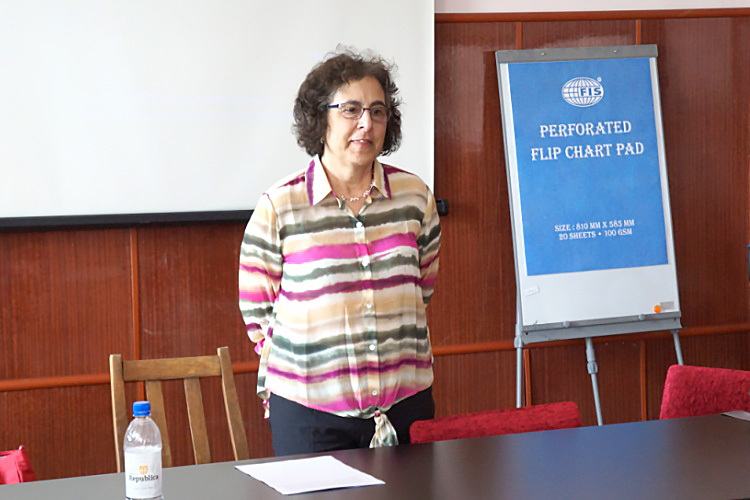 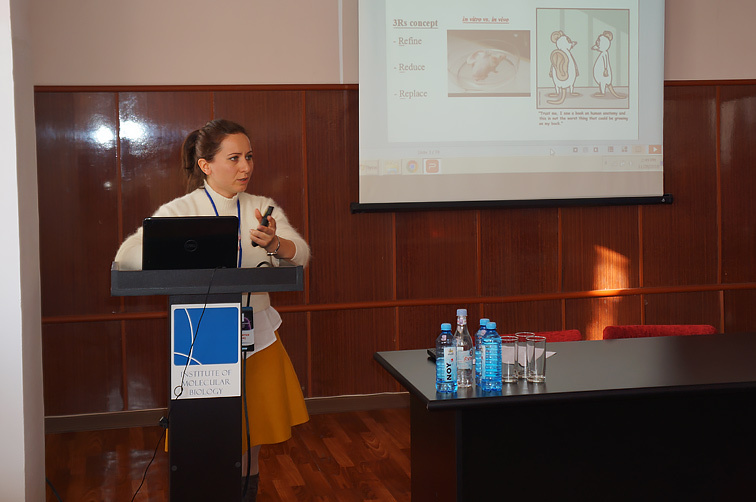 Seminar by Dr. Margaret Shirinyan, PhD, Assistant Professor. 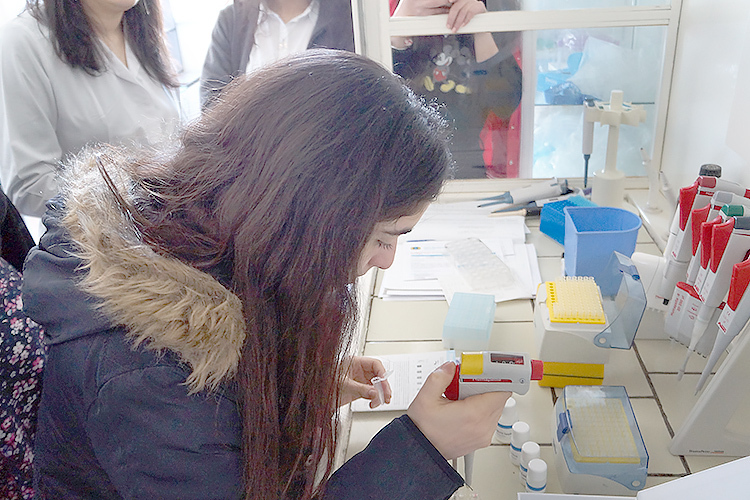 Depatrment of Experimental Pathology, Immunology and Microbiology, Faculty of Medicine University of Beirut. 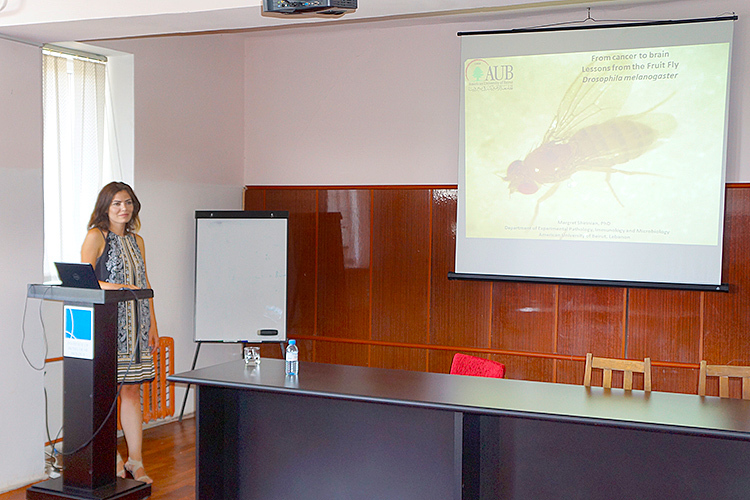 "FROM CANCER TO BRAIN, LESSONS FROM THE FRUIT FLY DROSOPHILA MELANOGASTER"
"Molecular and cellular bases of host-microbes interactions-2017". 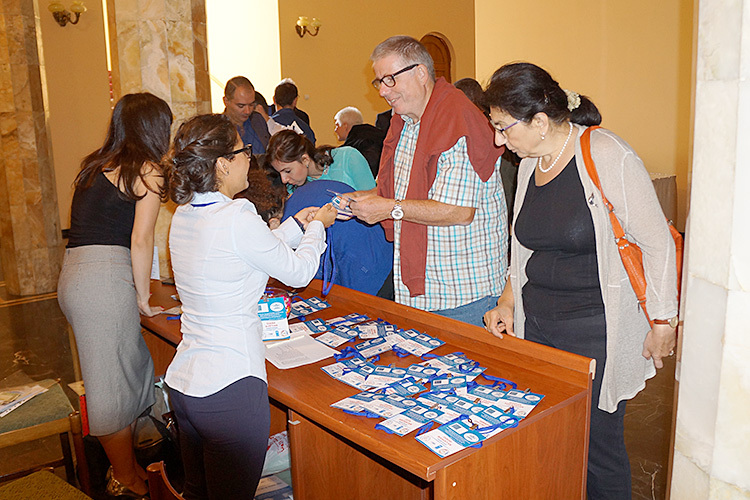 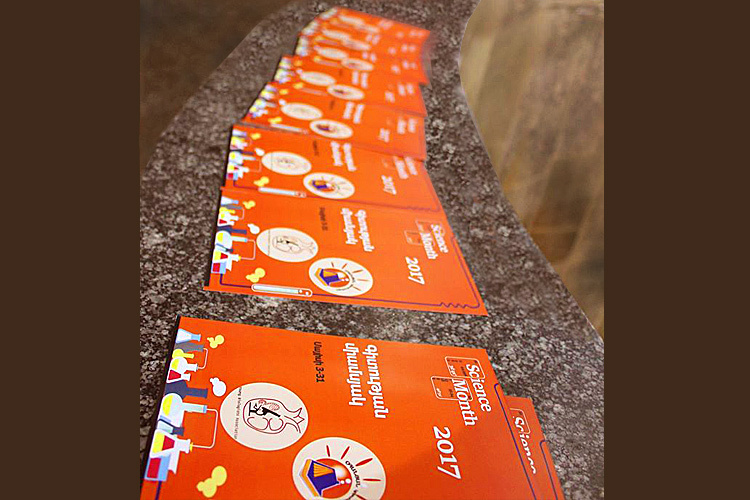 May 22-26, 2017, IMB, Yerevan, Armenia. 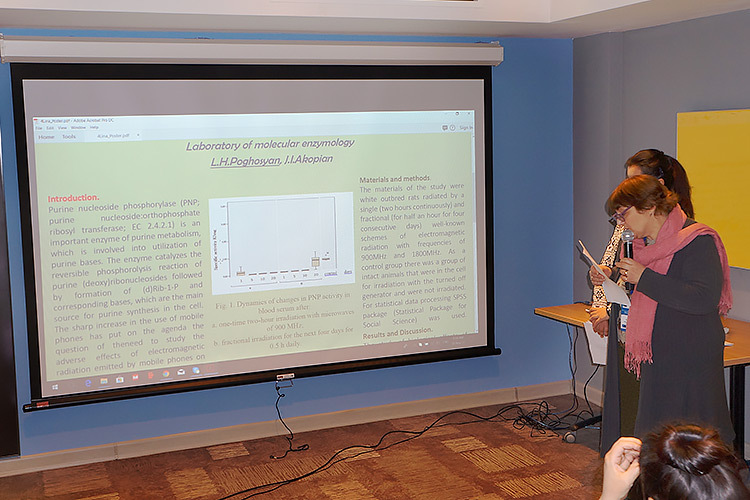 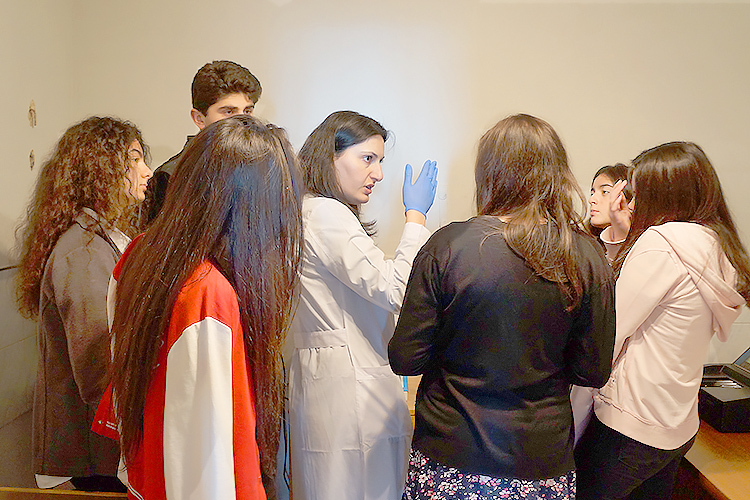 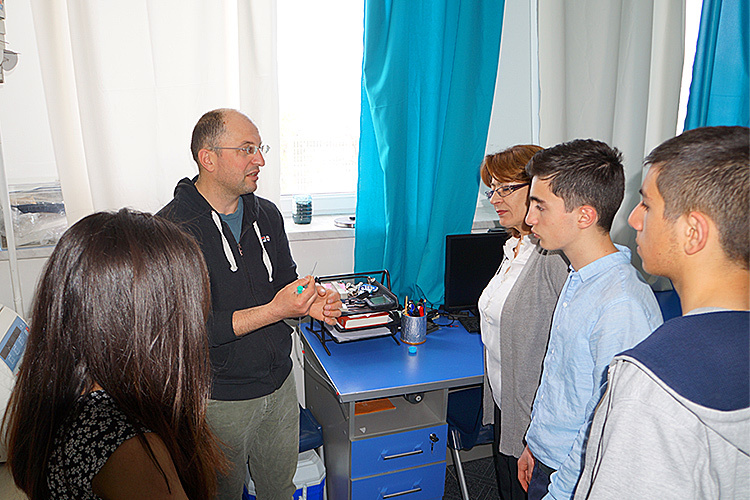 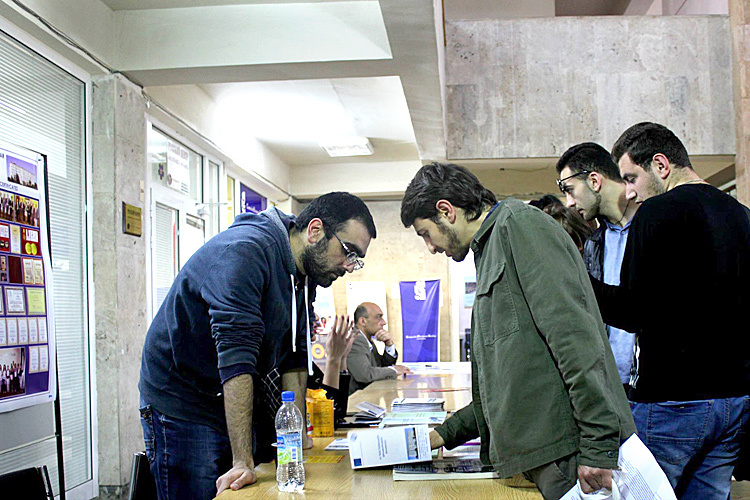 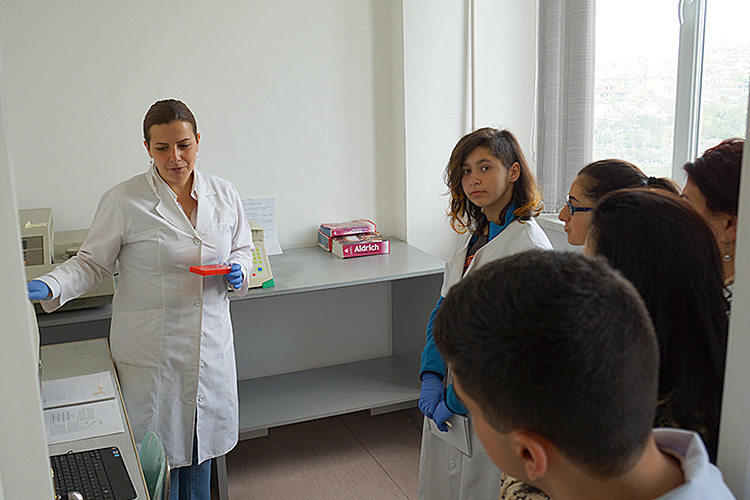 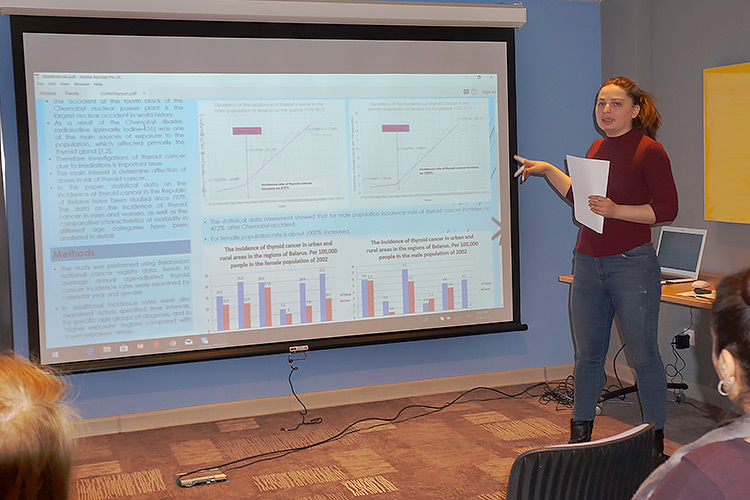 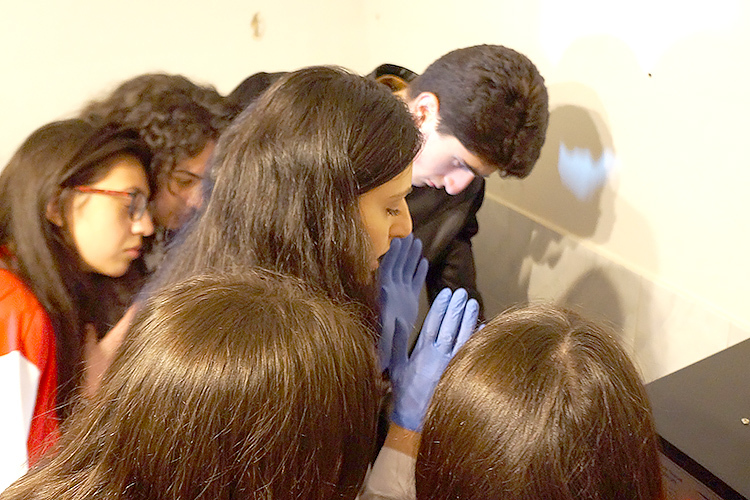 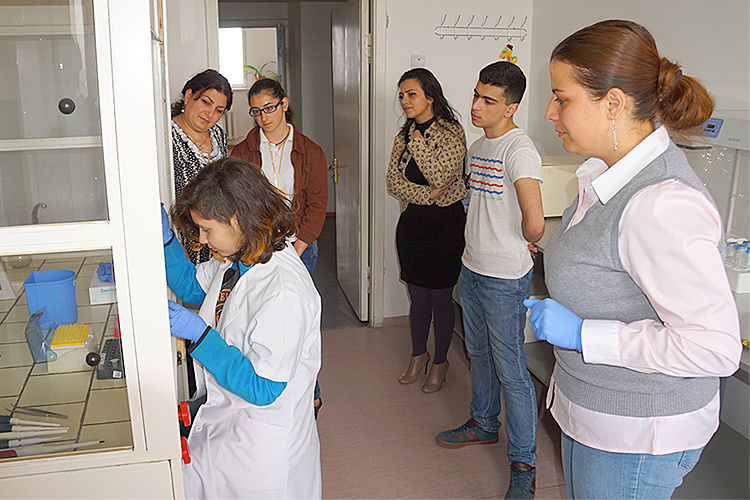 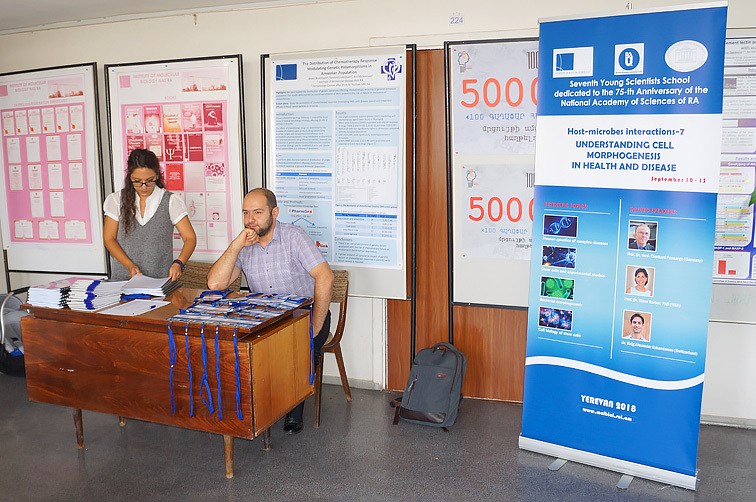 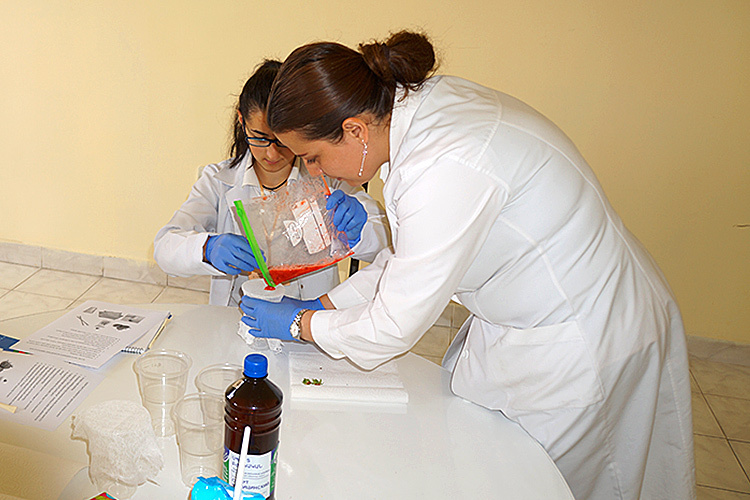 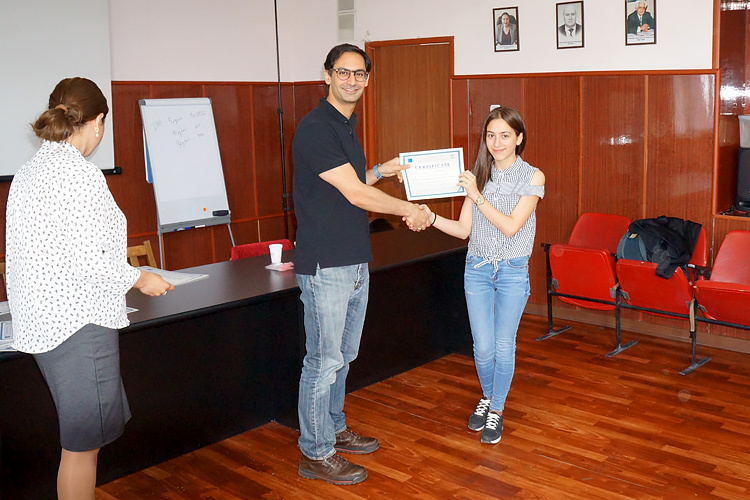 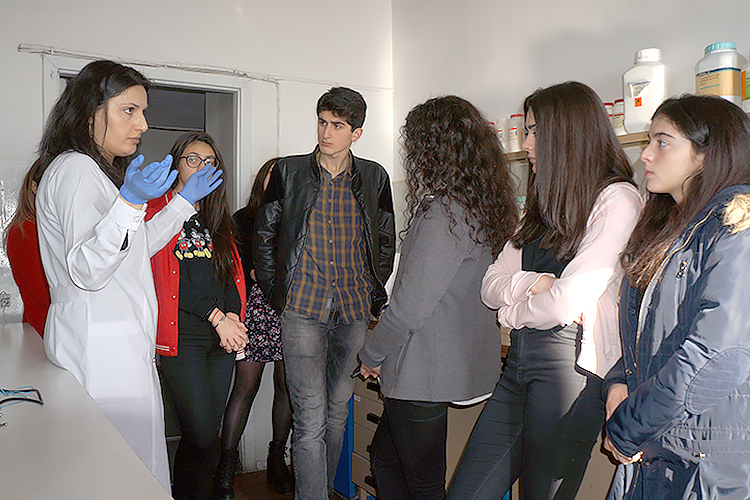 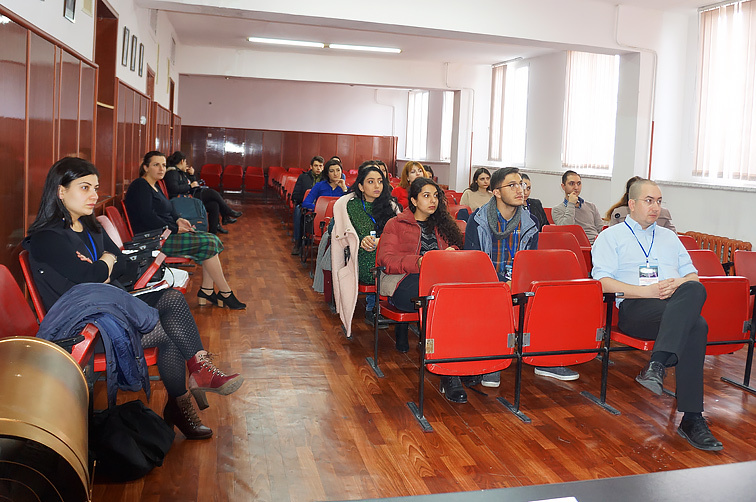 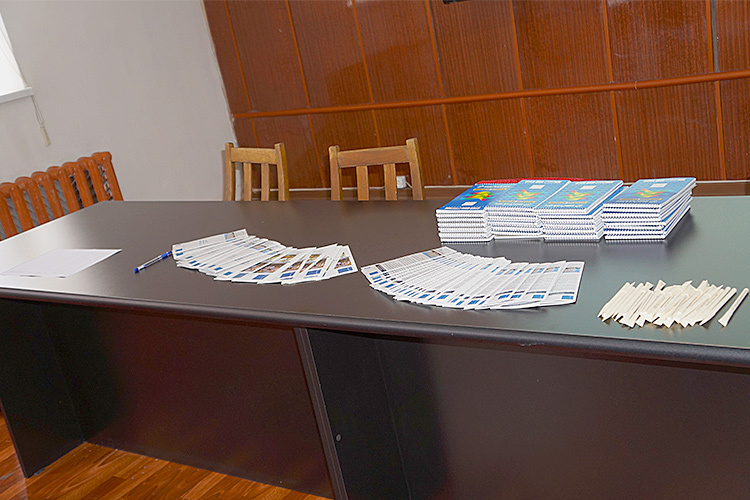 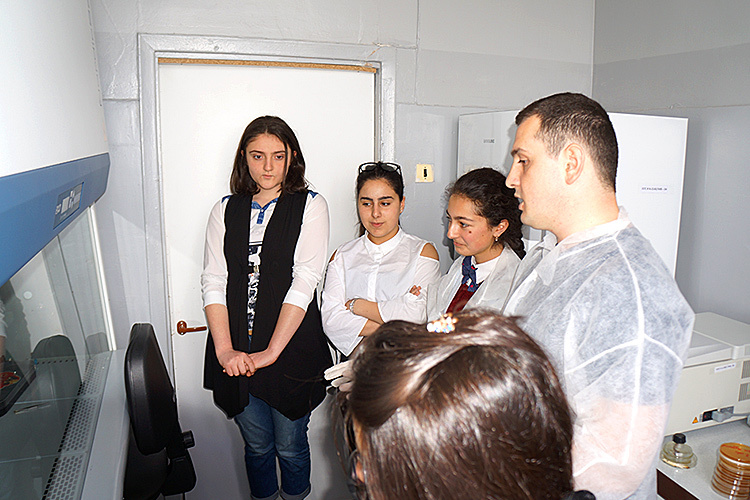 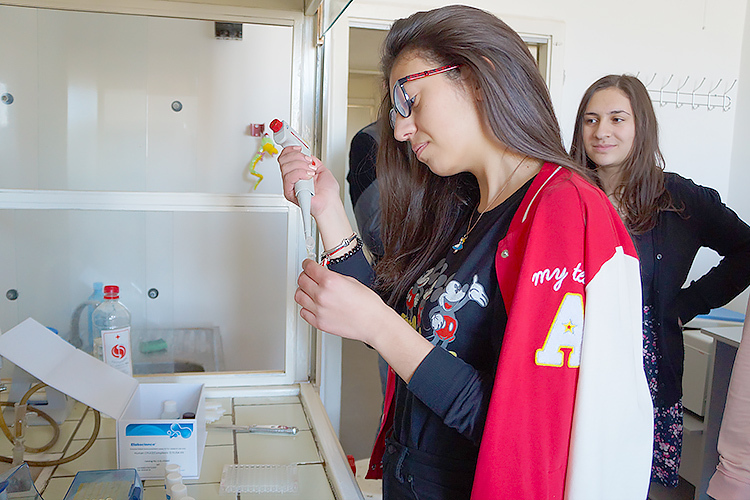 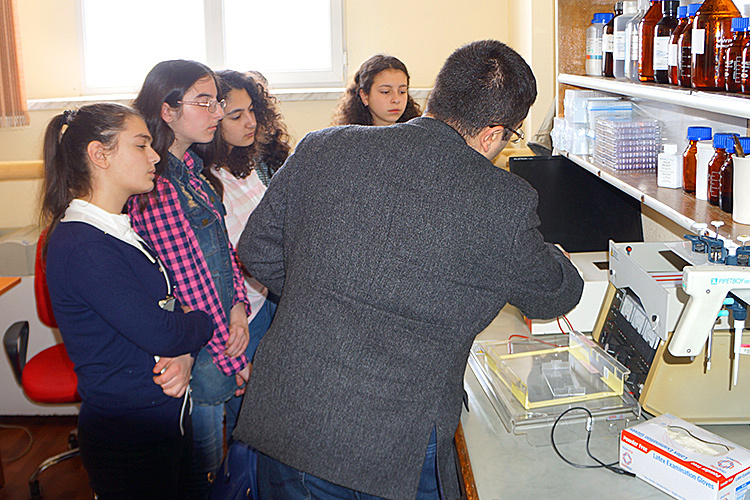 INSTITUTE OF MOLECULAR BIOLOGY AT "SCIENCE FAIR-2017"
OPEN DAY AT THE INSTITUTE OF MOLECULAR BIOLOGY NAS RA. 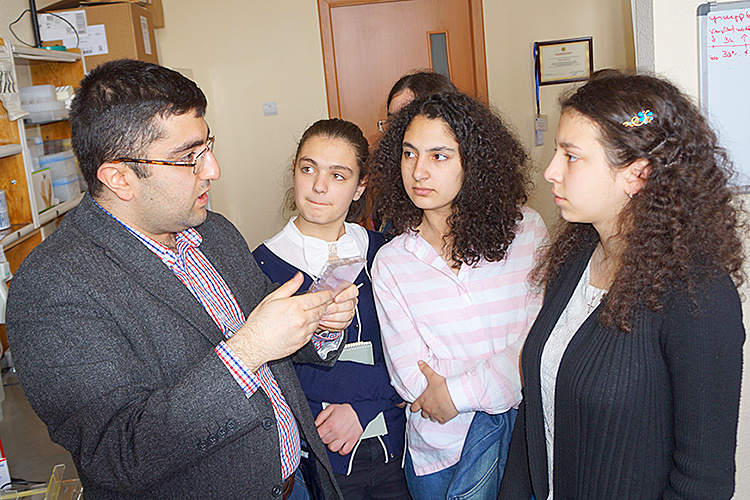 SCHOOL STUDENTS ARE VISITING THE INSTITUTE. 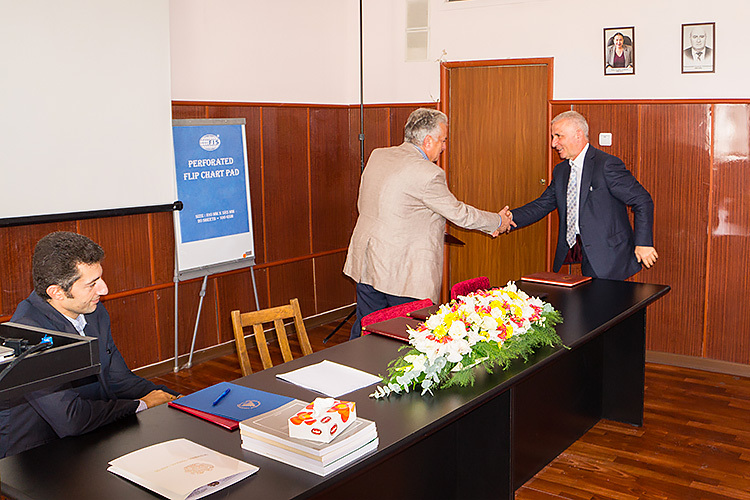 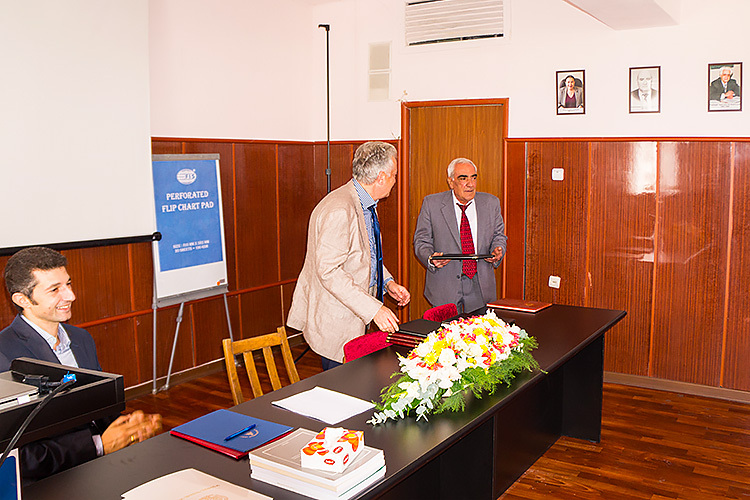 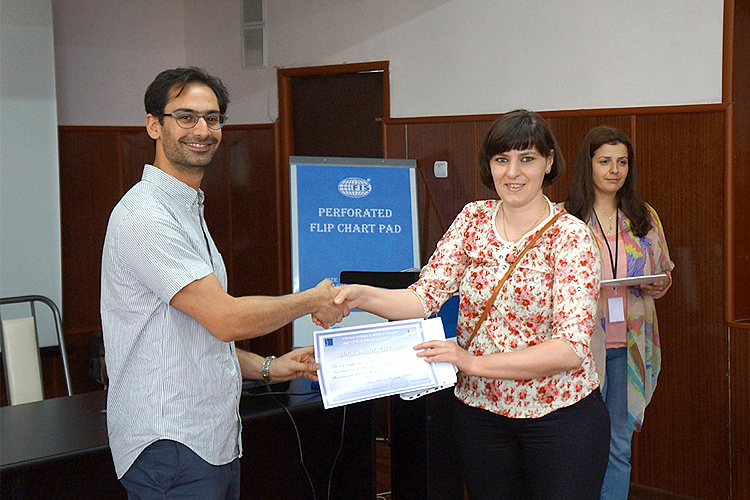 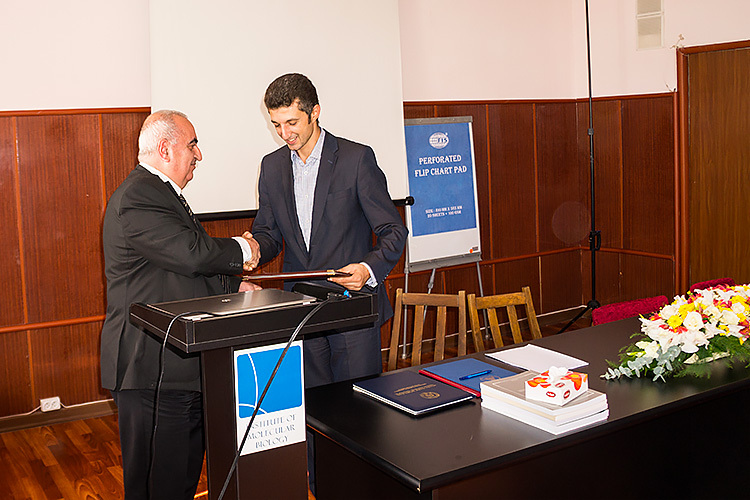 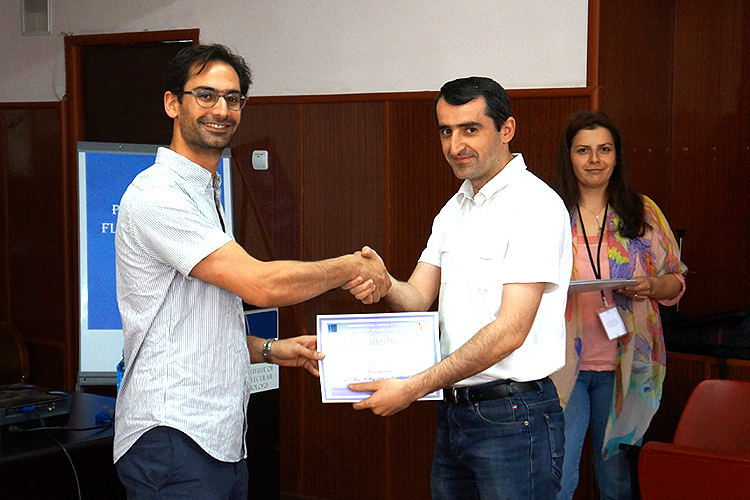 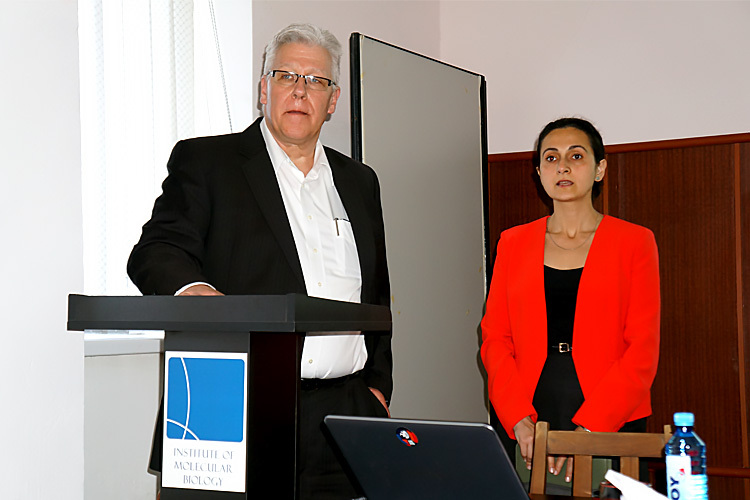 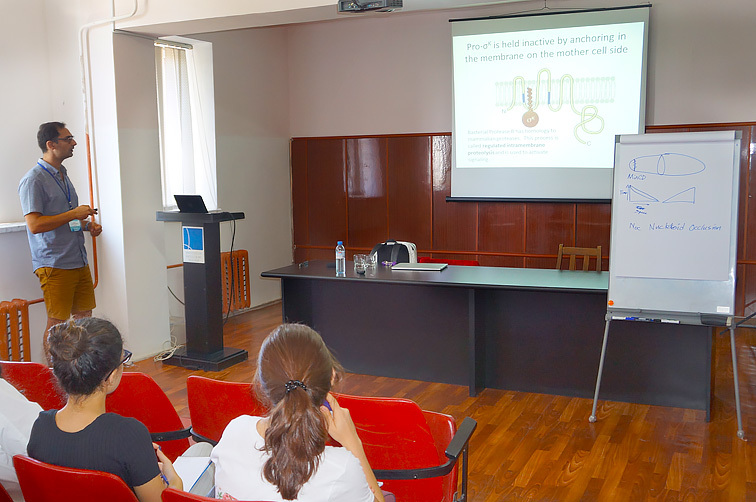 May 3, 2017, Institute of Molecular Biology NAS RA, Yerevan, Armenia. 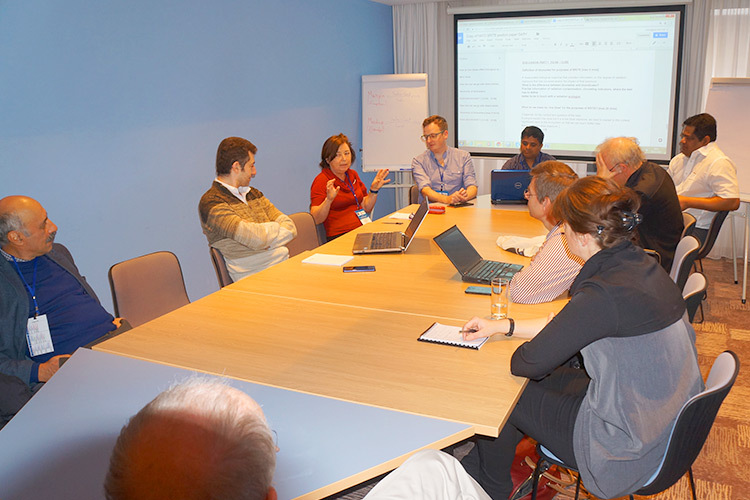 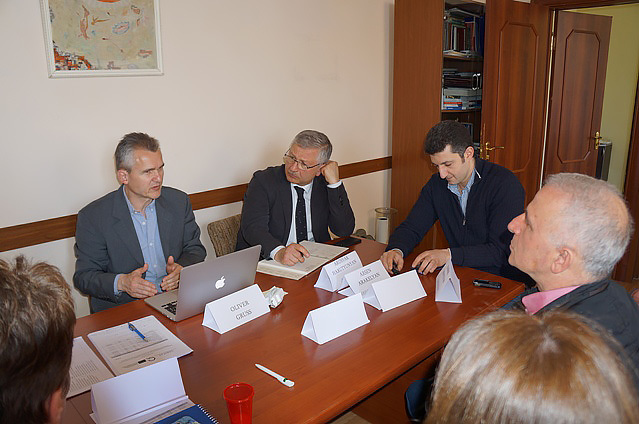 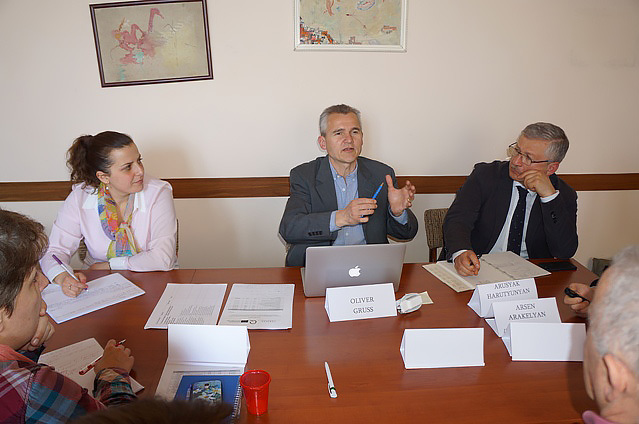 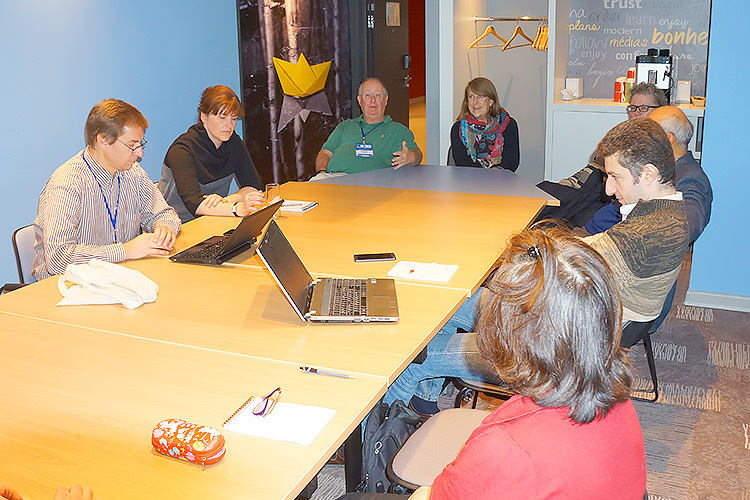 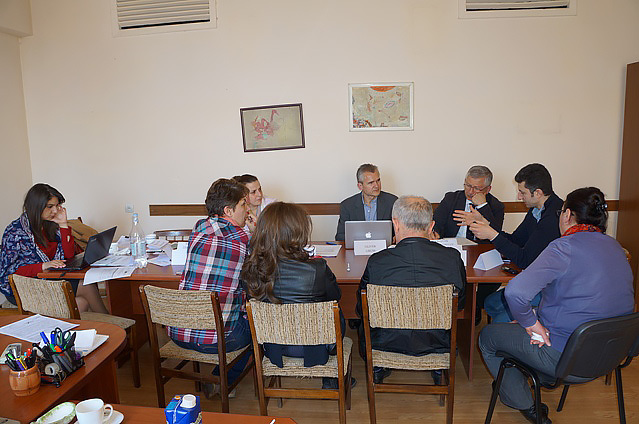 MEETING WITH EXTERNAL REVIEWERS FOR ASSESSMENT OF PhD PROGRAMS UNDER VERITAS PROJECTS. 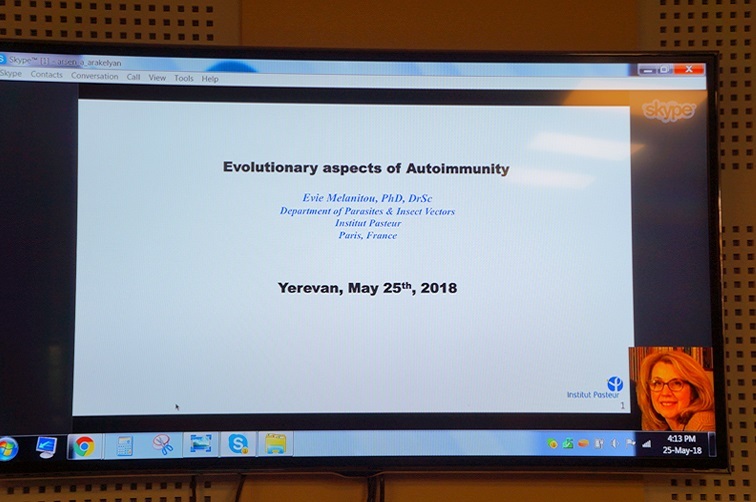 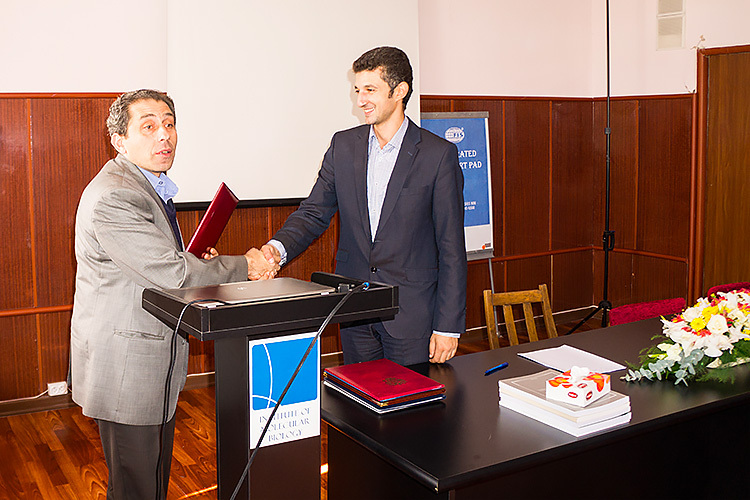 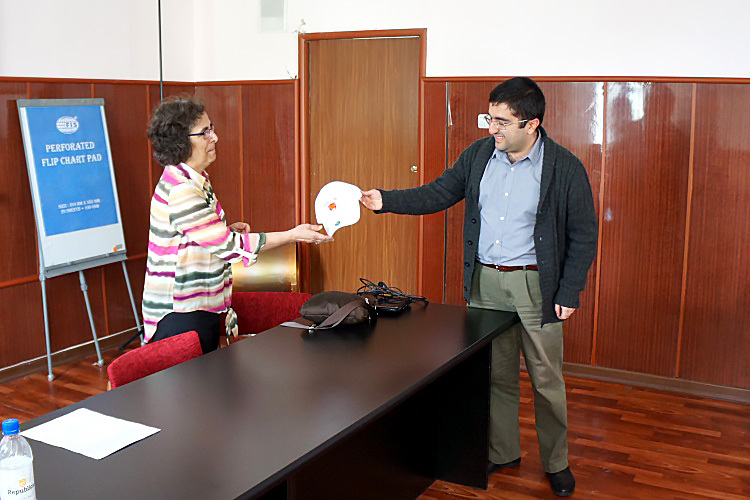 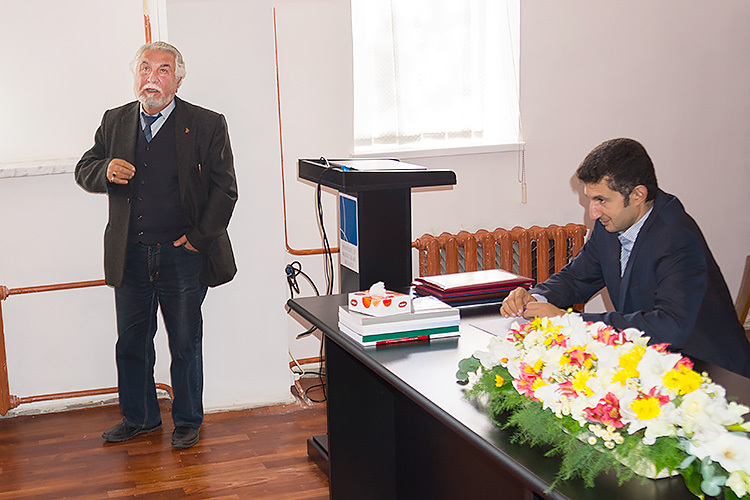 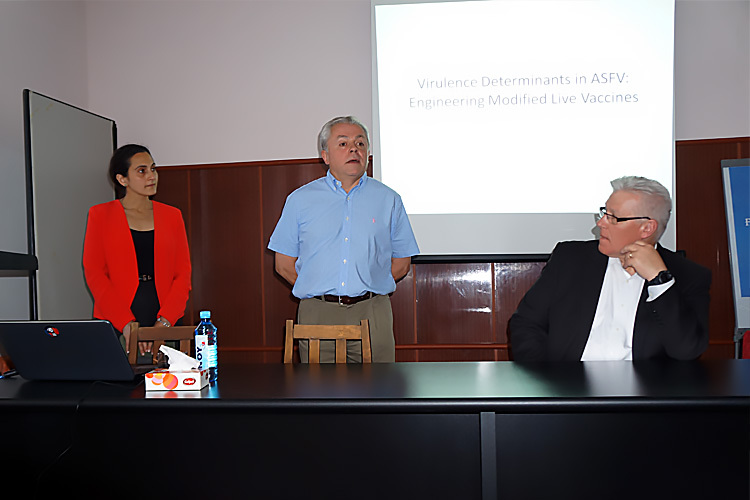 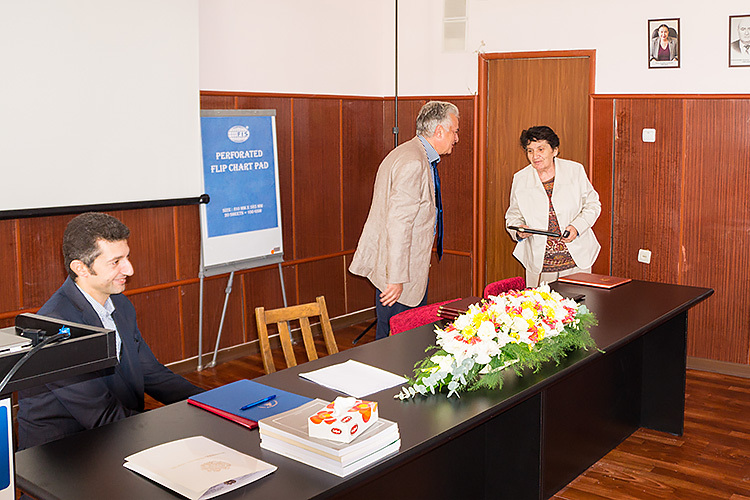 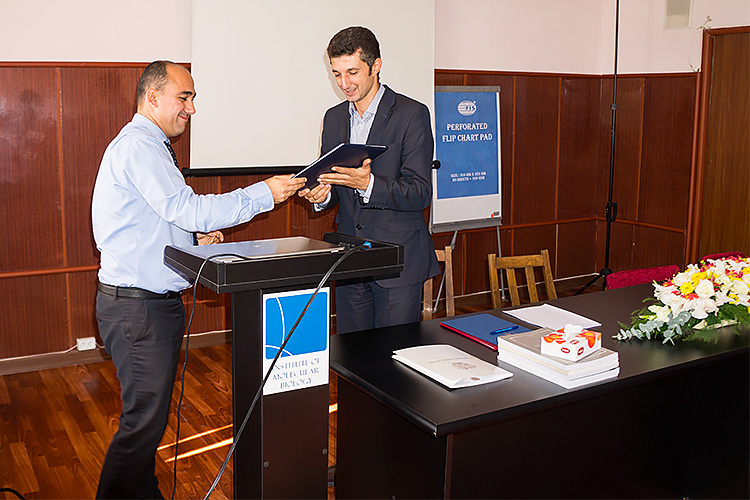 April 3, 2017, Institute of Molecular Biology NAS RA, Yerevan, Armenia. 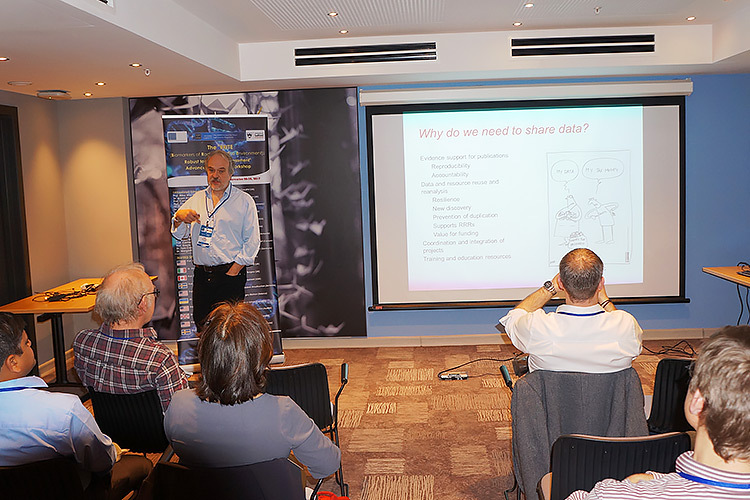 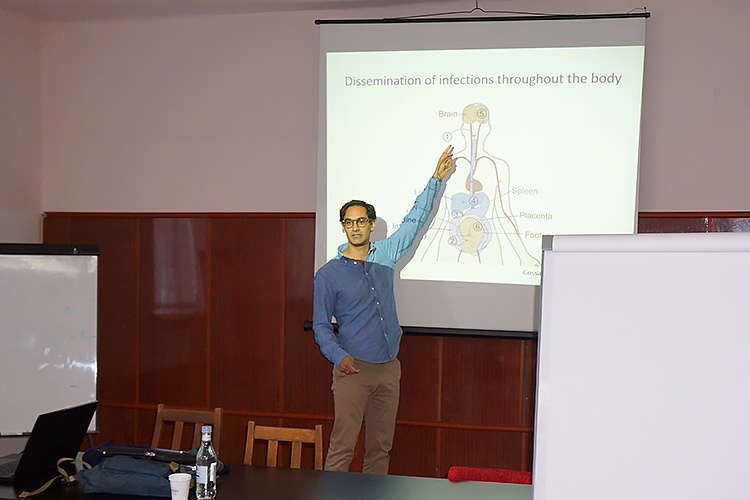 SEMINAR BY PROFESSOR HANNES STOCKINGER, PhD, INSTITUTE FOR HYGIENE AND APPLIED IMMUNOLOGY, AUSTRIA. 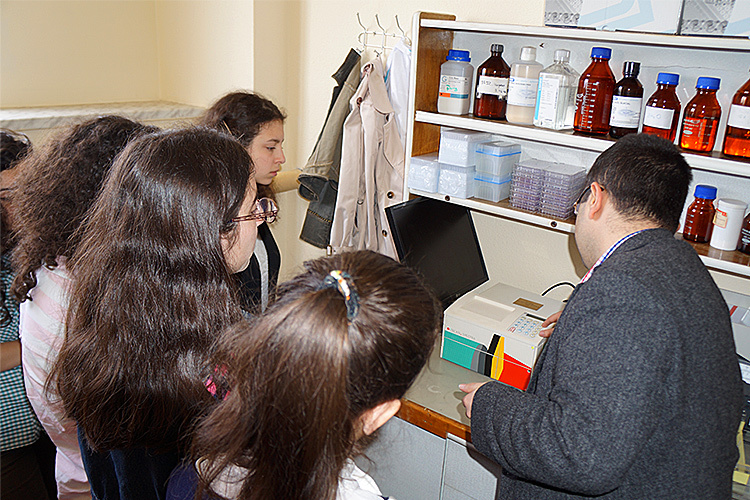 March 30, 2017, Institute of Molecular Biology NAS RA, Yerevan, Armenia. 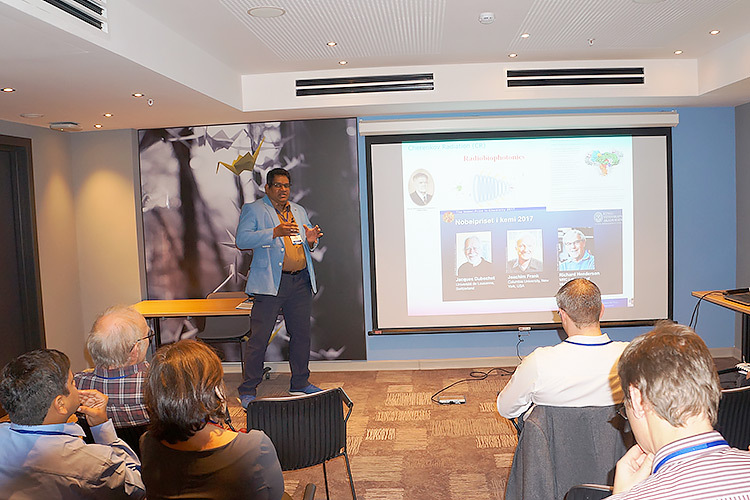 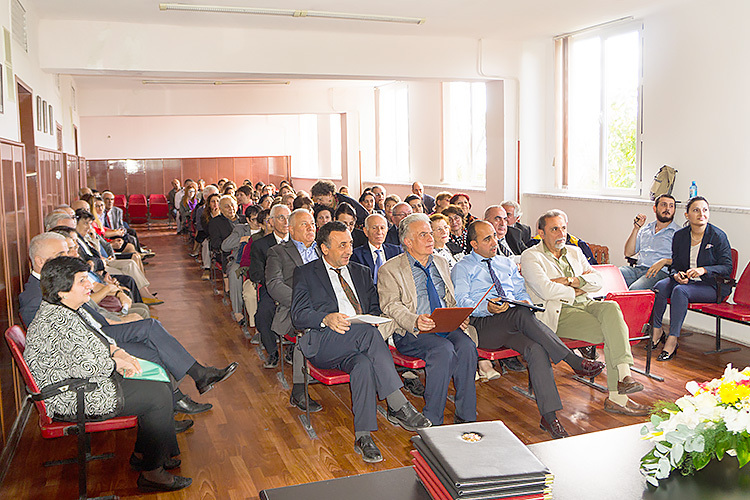 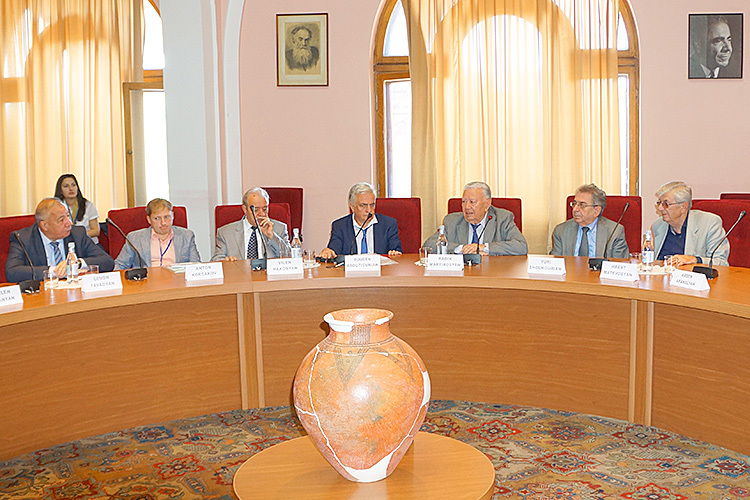 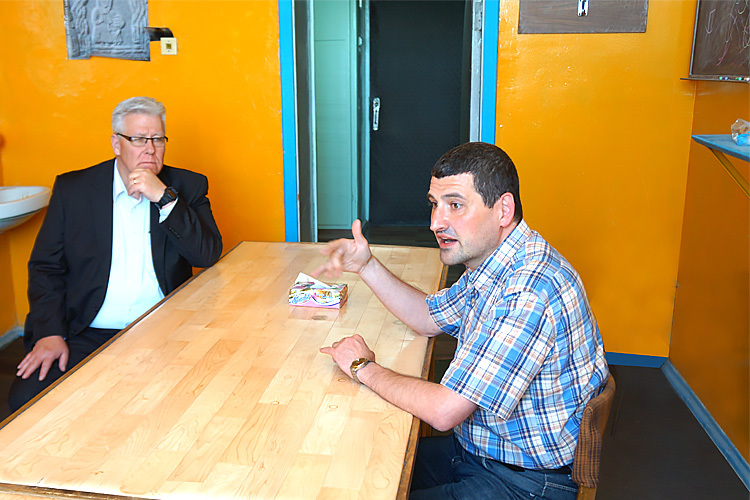 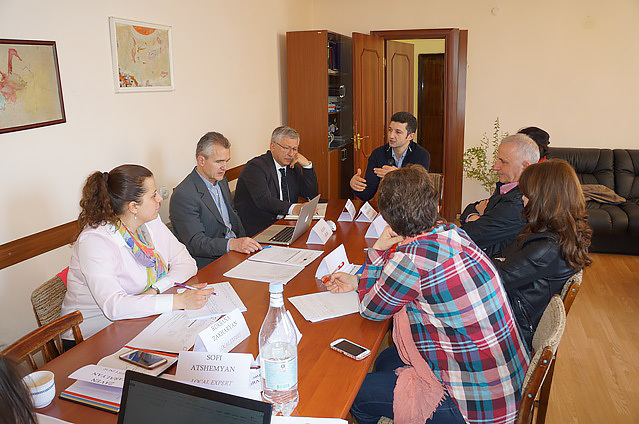 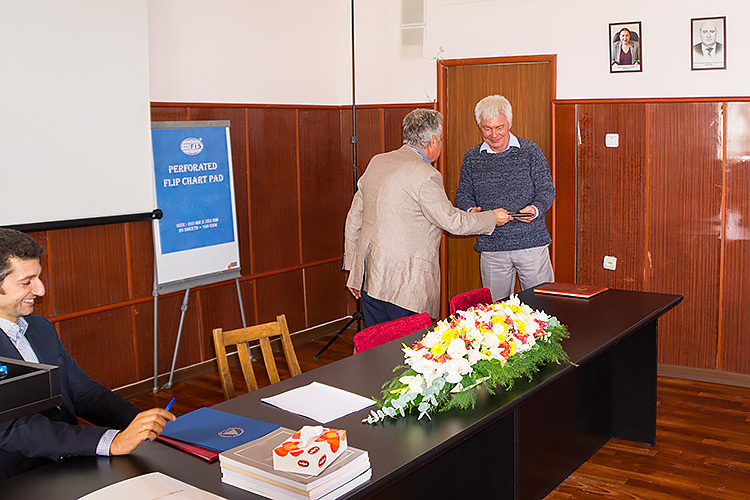 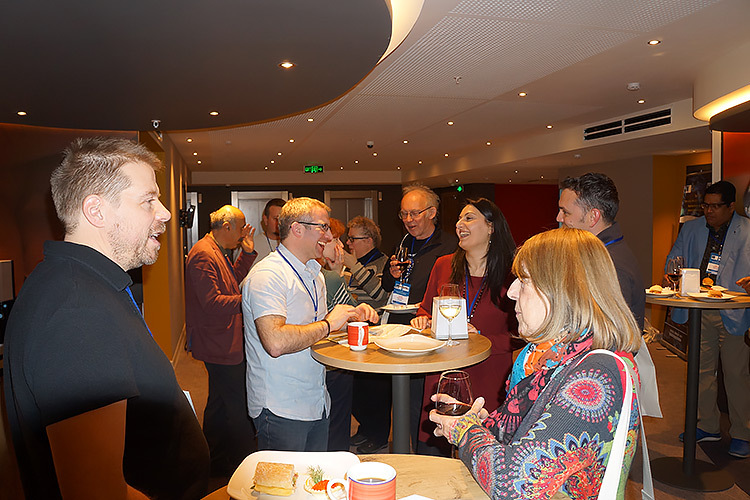 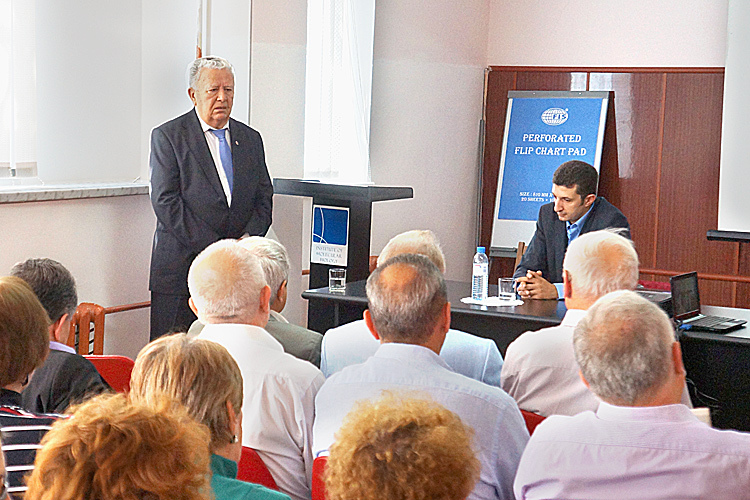 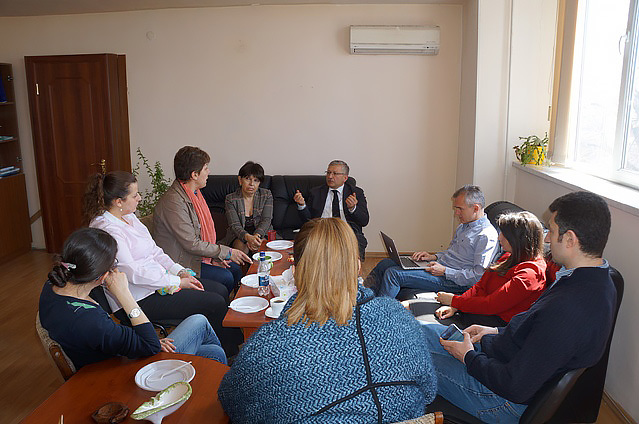 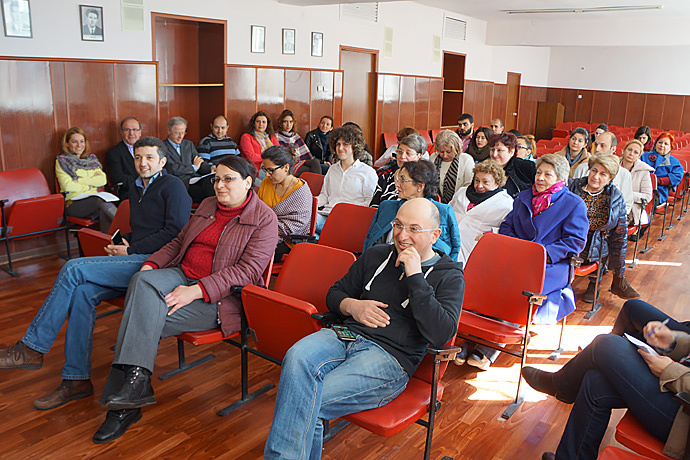 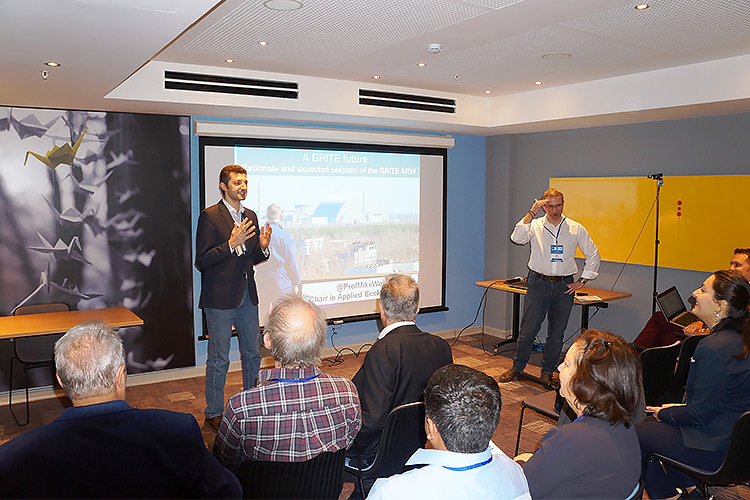 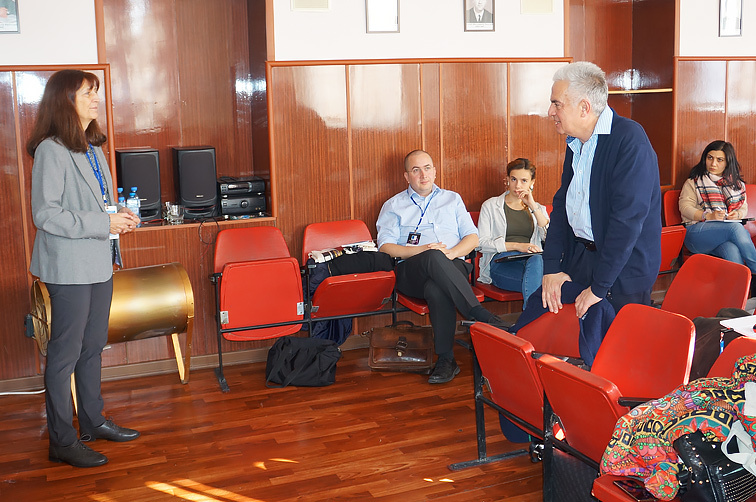 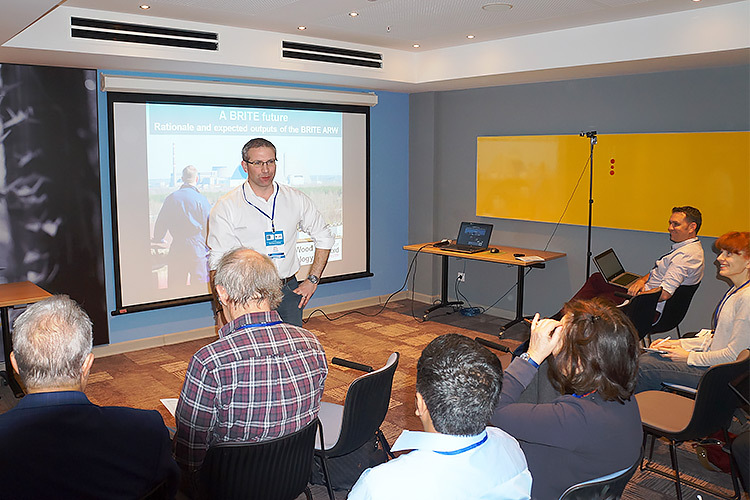 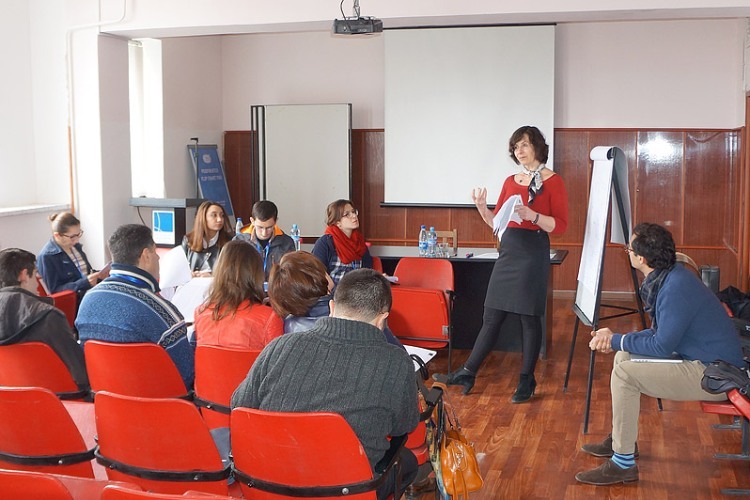 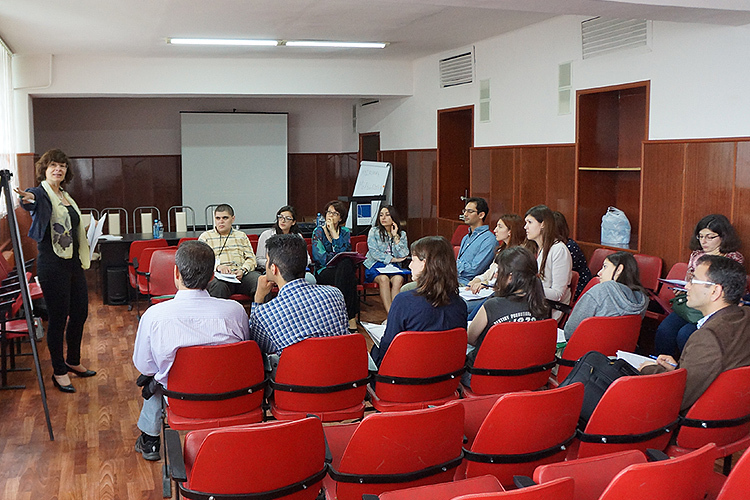 MEETING DEDICATED TO THE 50th ANNIVERSARY OF THE IMB NAS RA. 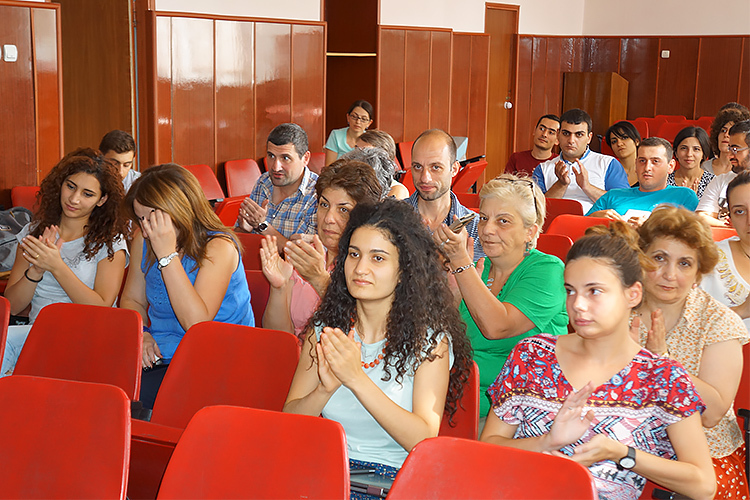 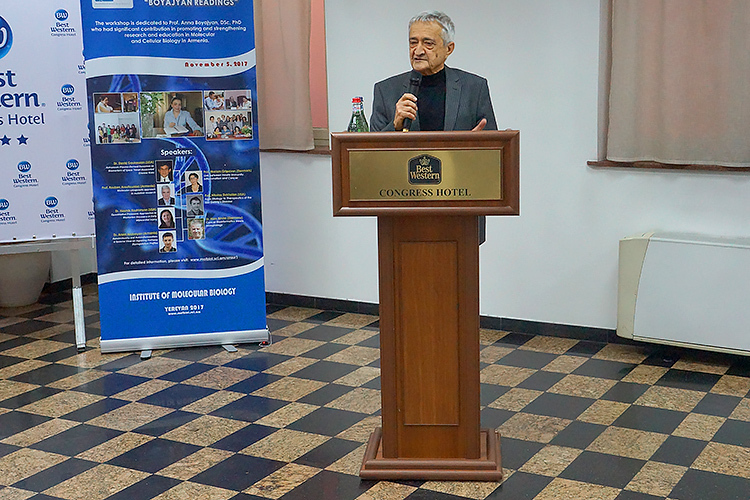 "Celebration of the 50th Anniversary of the IMB NAS RA"
September 29, 2016, Yerevan, Armenia. 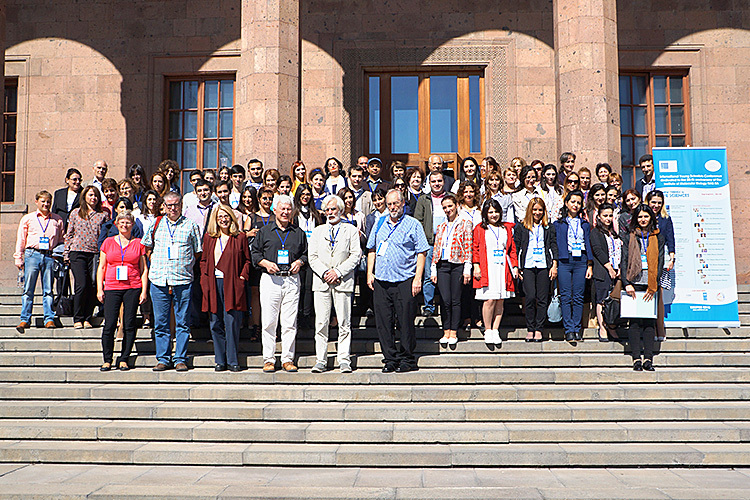 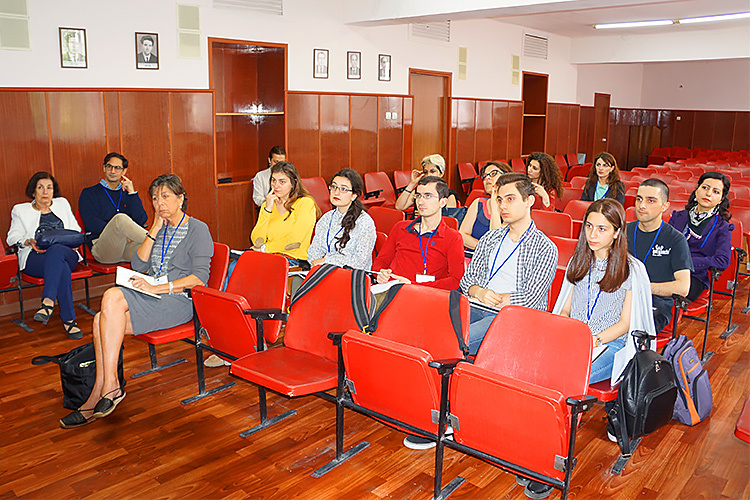 "Young Scientists Conference 'New trends in life sciences' dedicated to the 50th Anniversary of the IMB NAS RA"
September 26-28, 2016, Yerevan, Armenia. 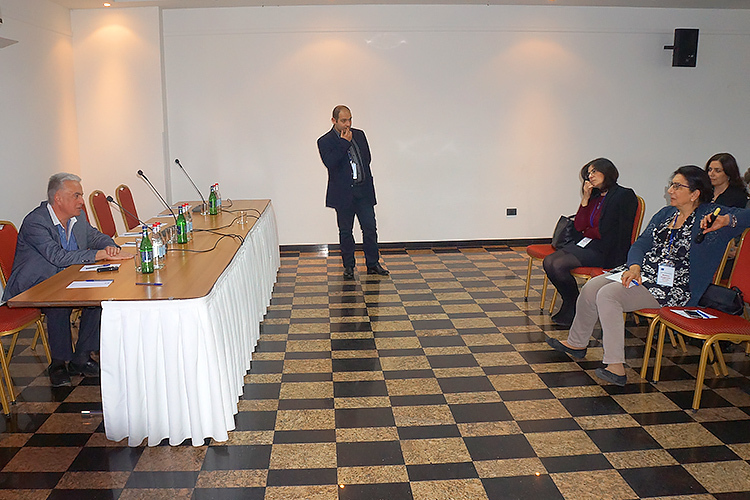 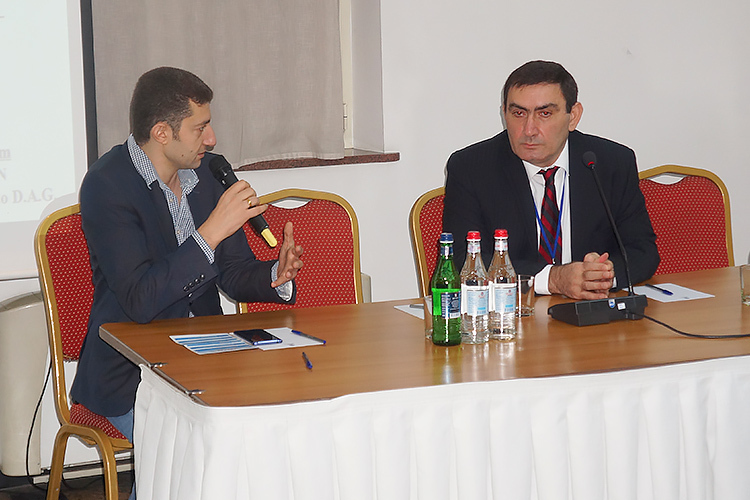 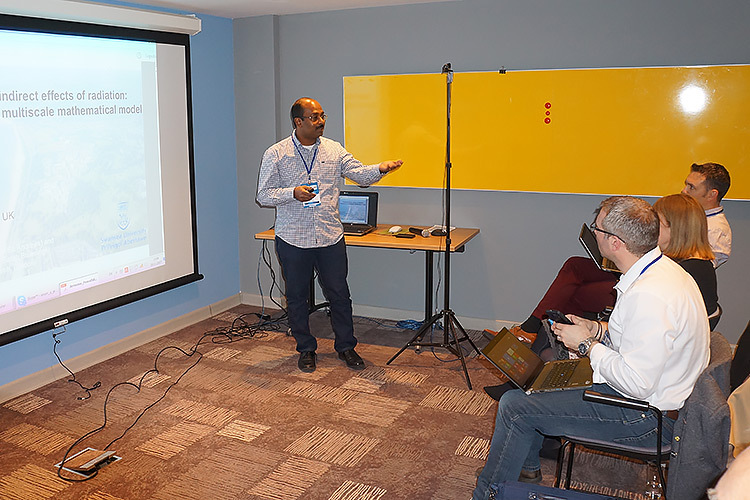 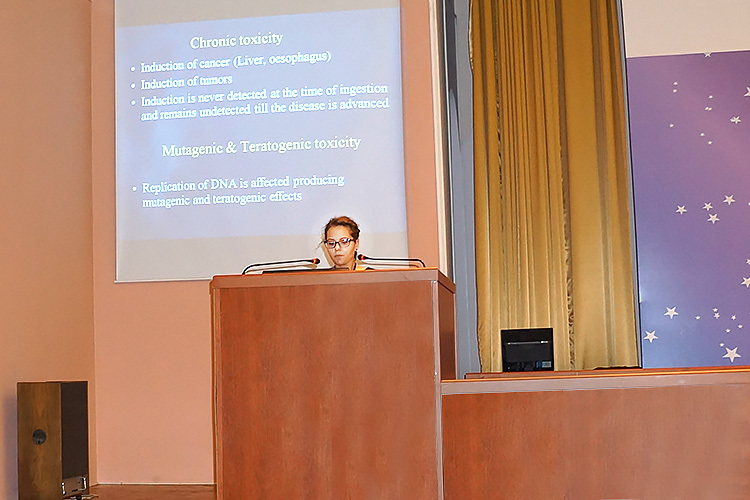 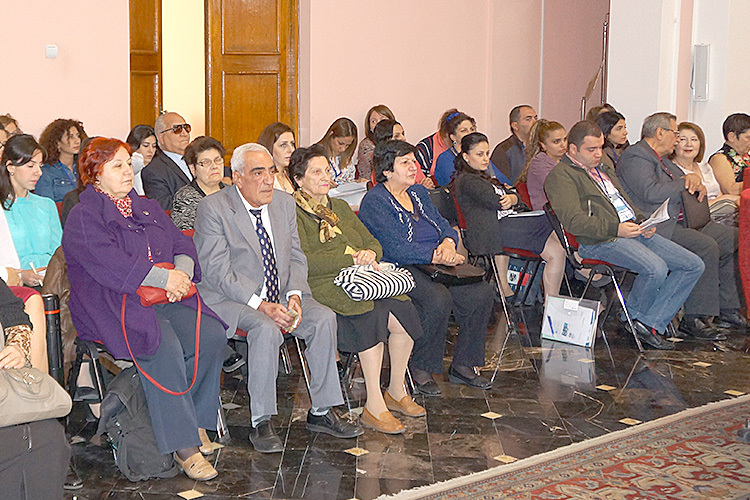 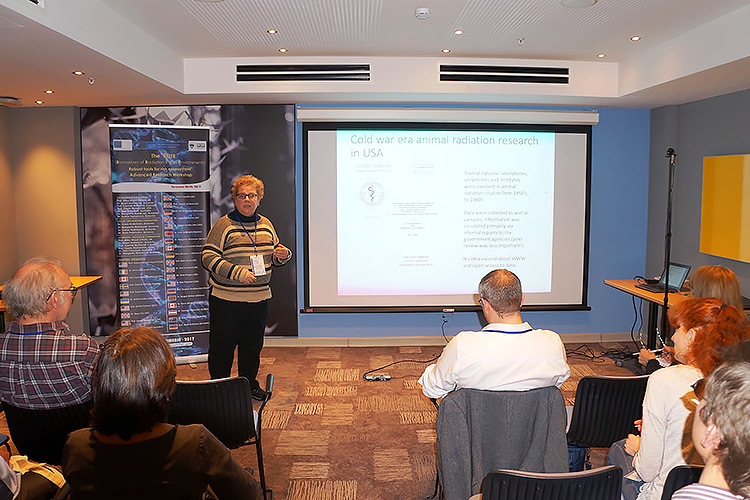 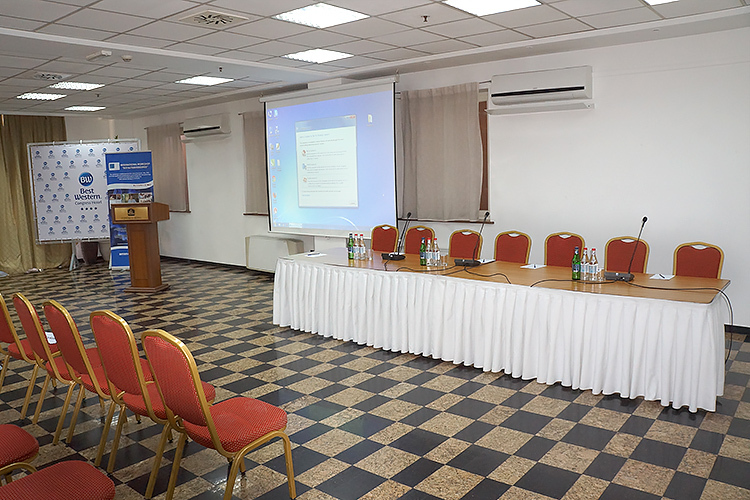 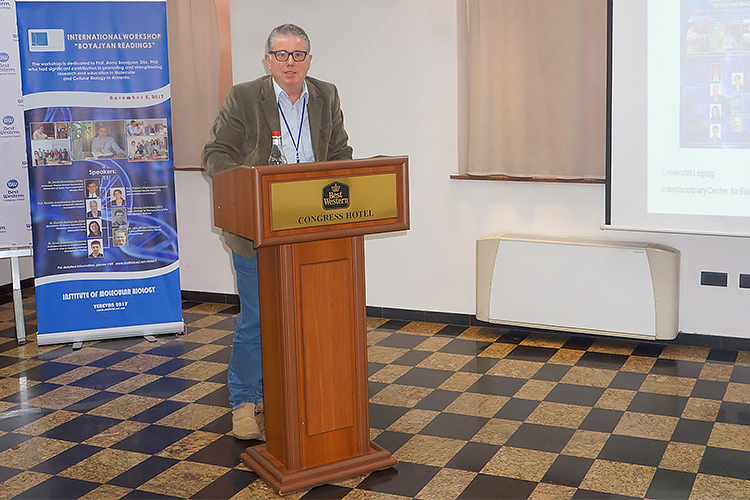 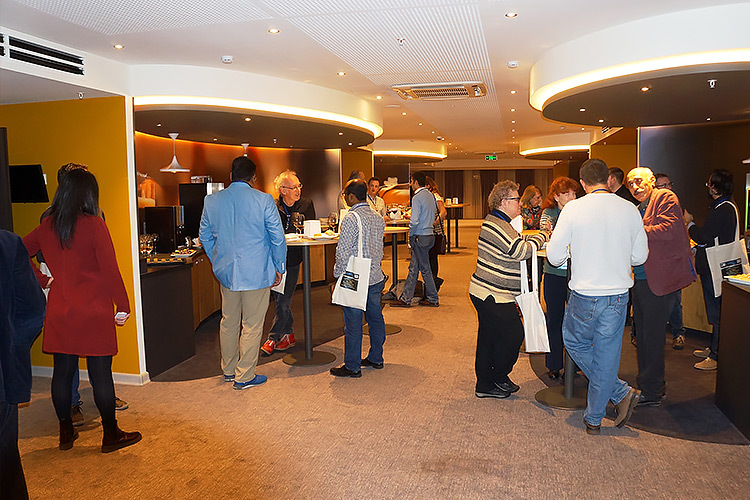 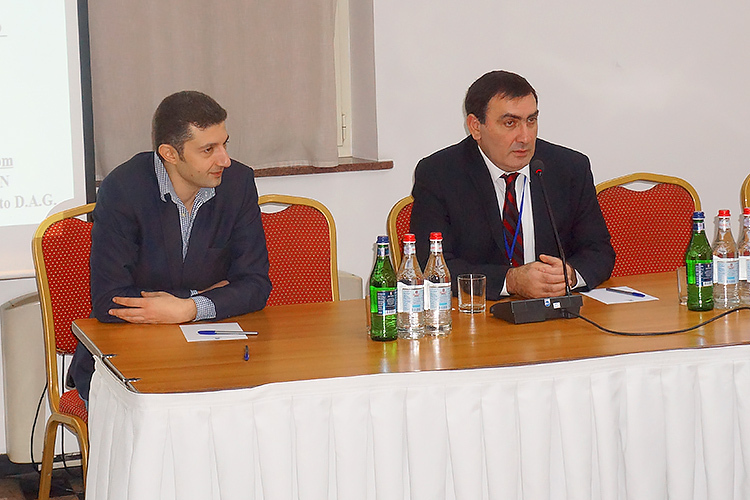 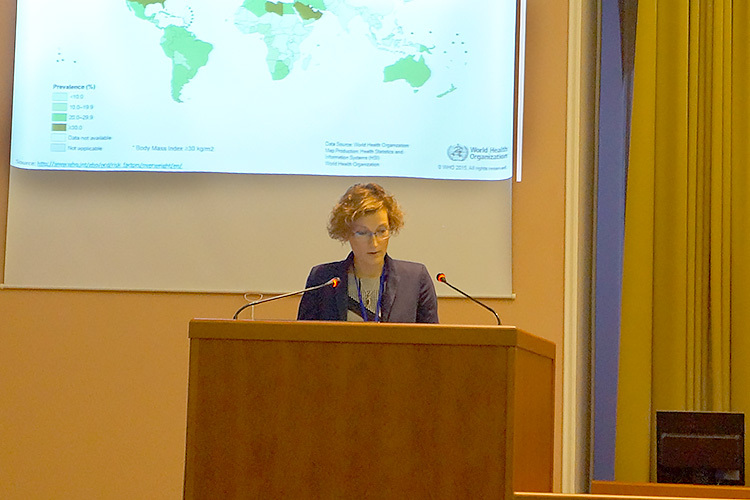 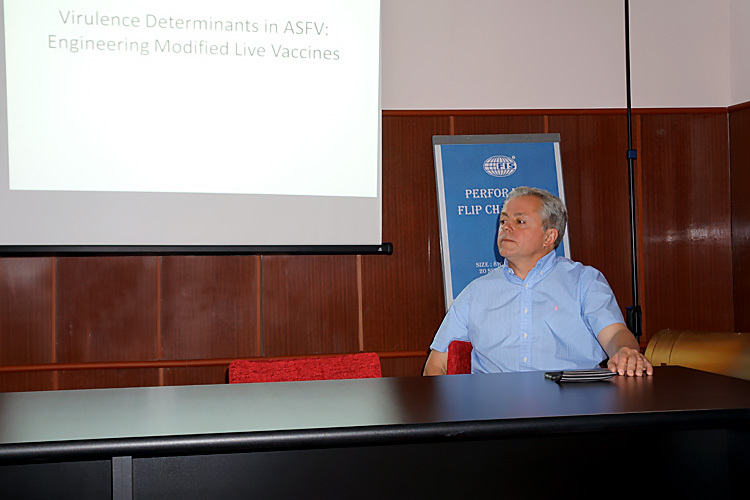 "Scientific Seminar on African swine fever". 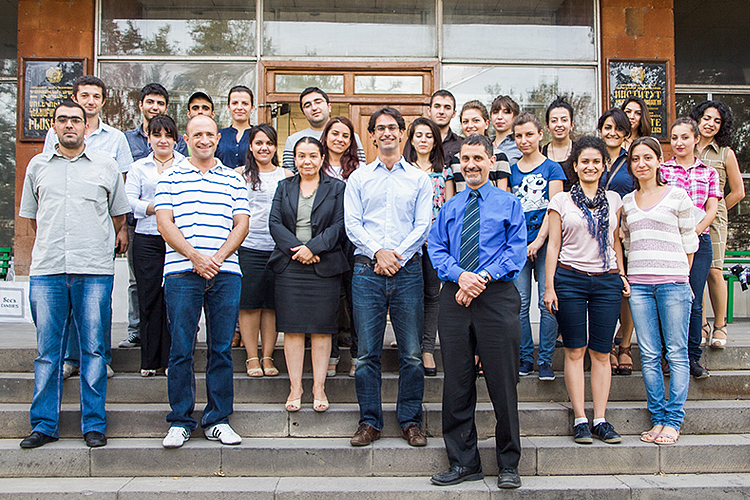 June 14, 2016, Yerevan, Armenia. 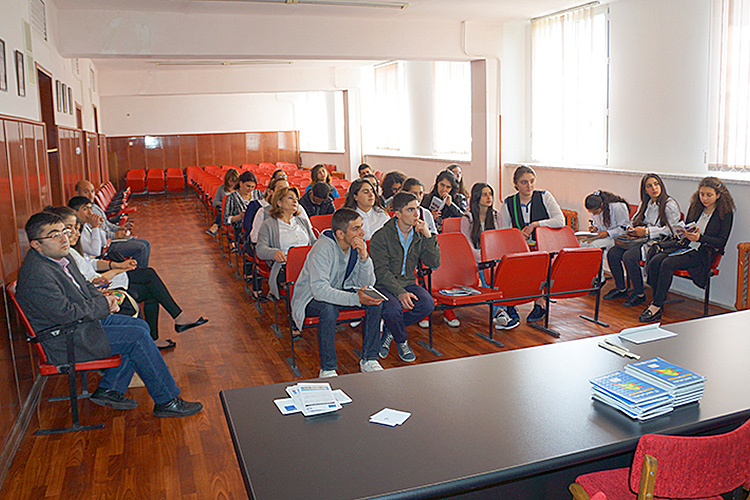 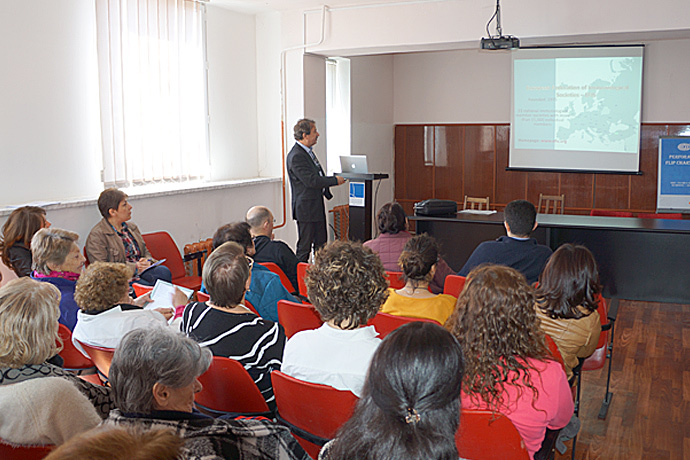 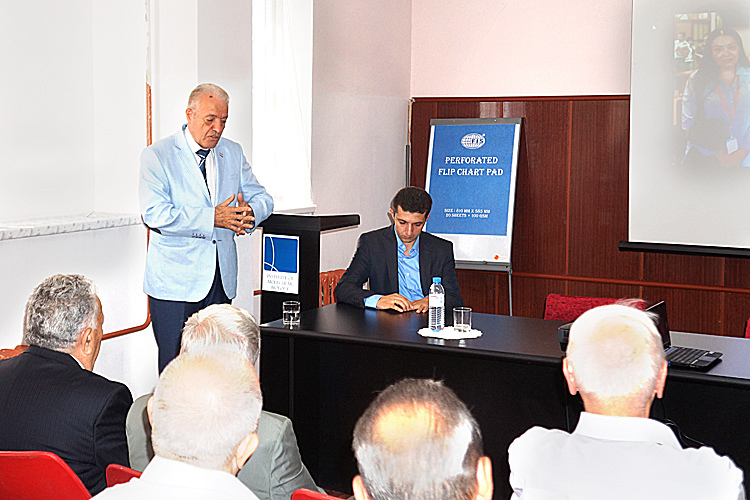 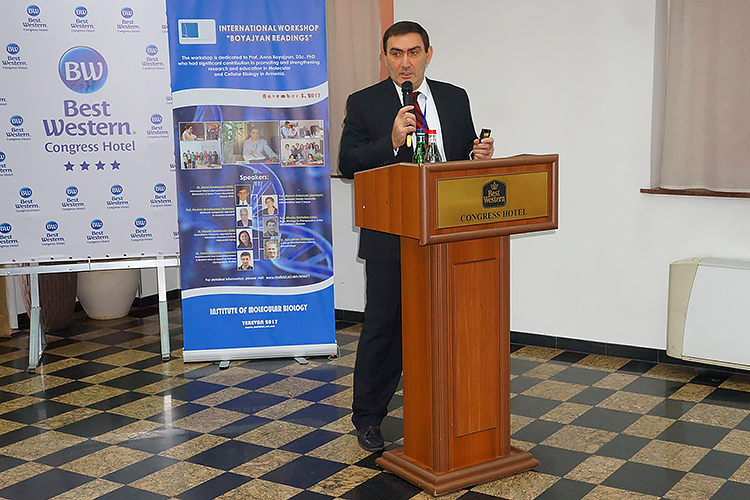 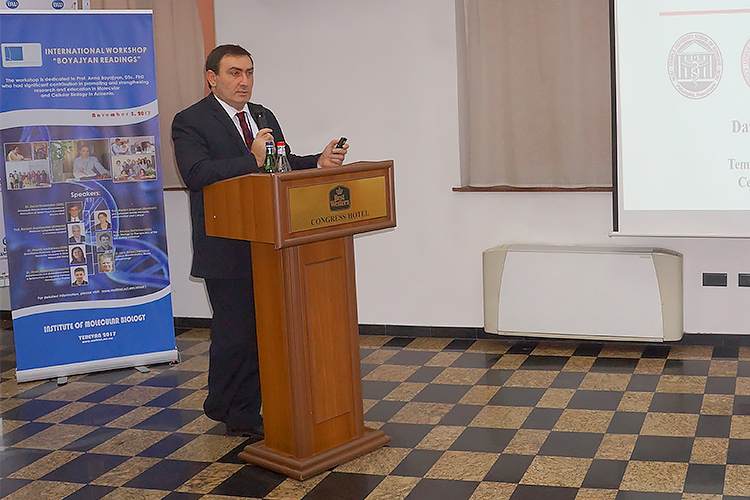 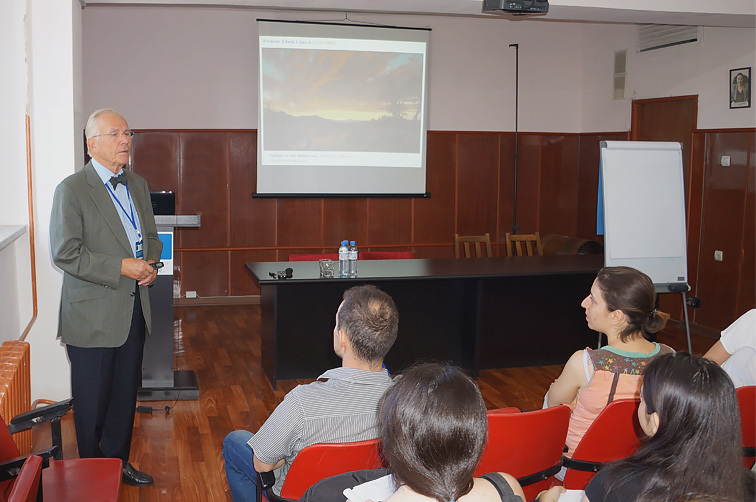 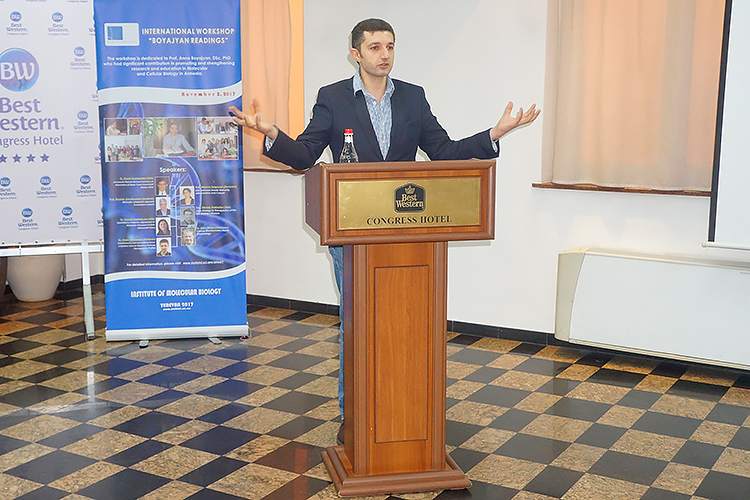 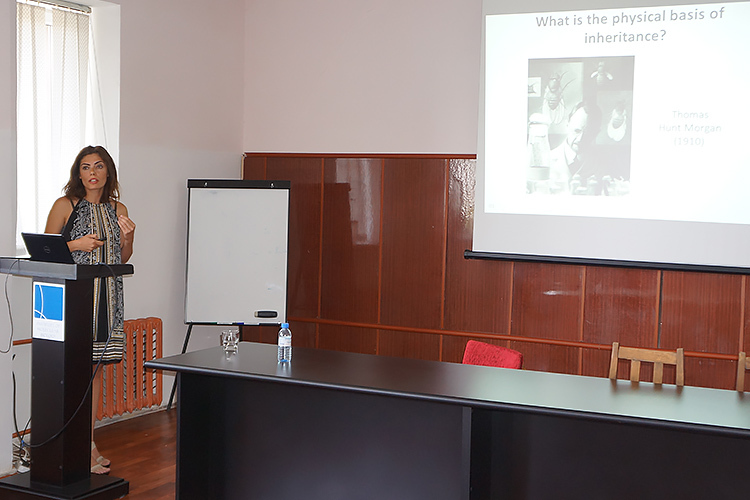 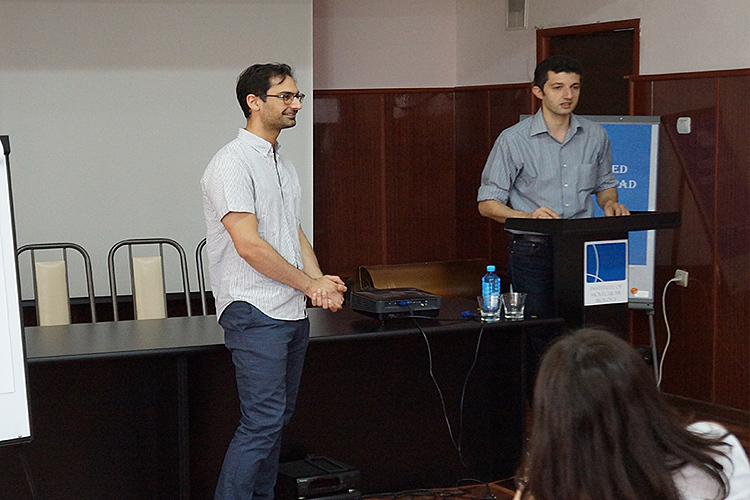 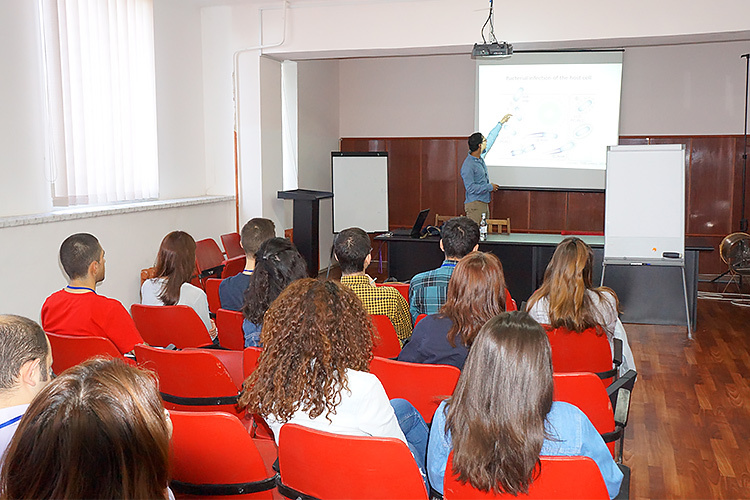 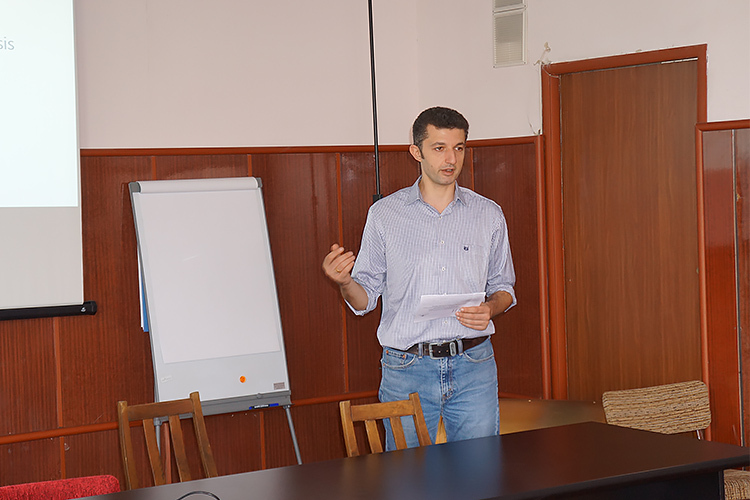 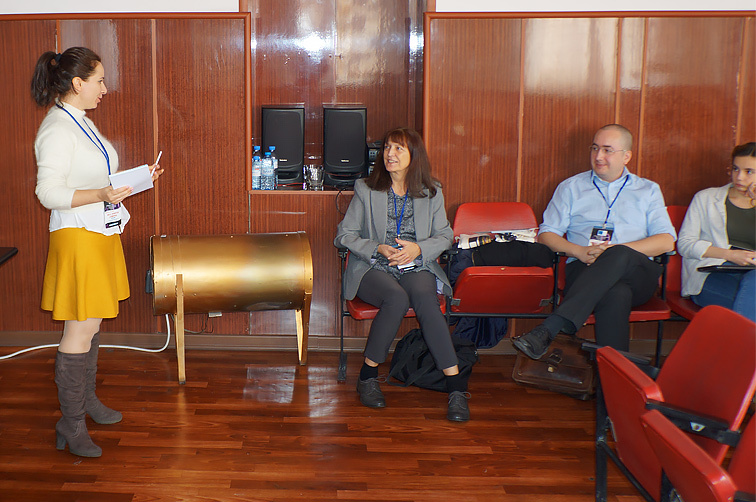 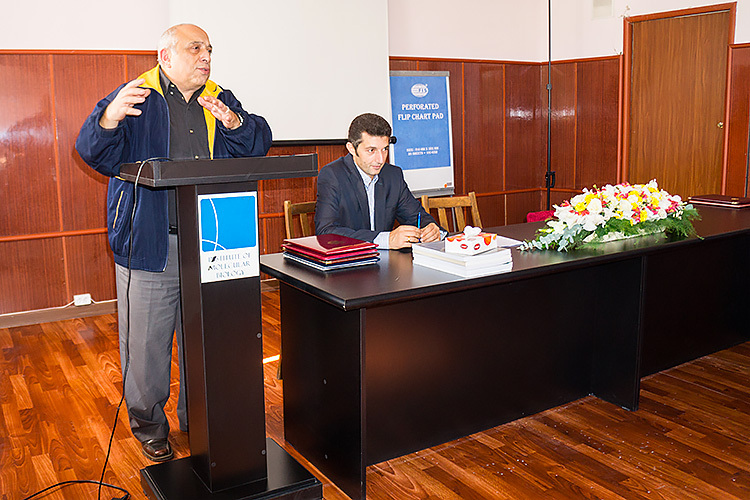 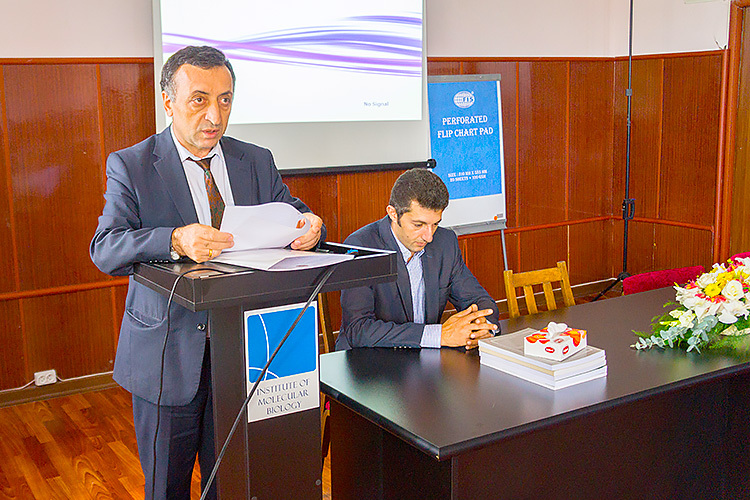 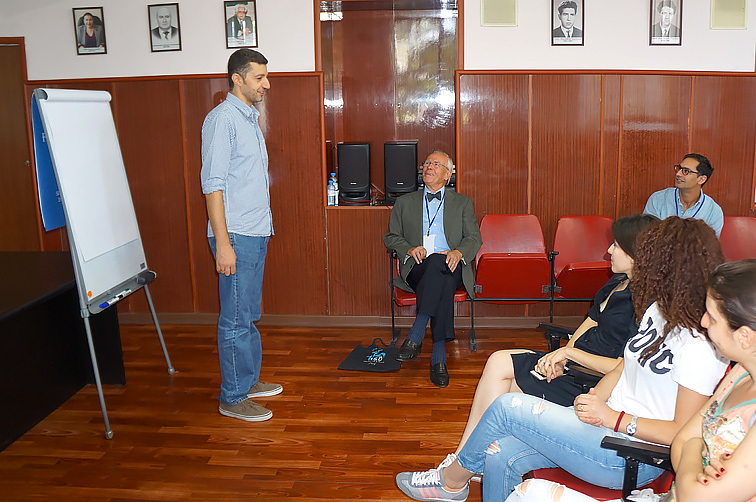 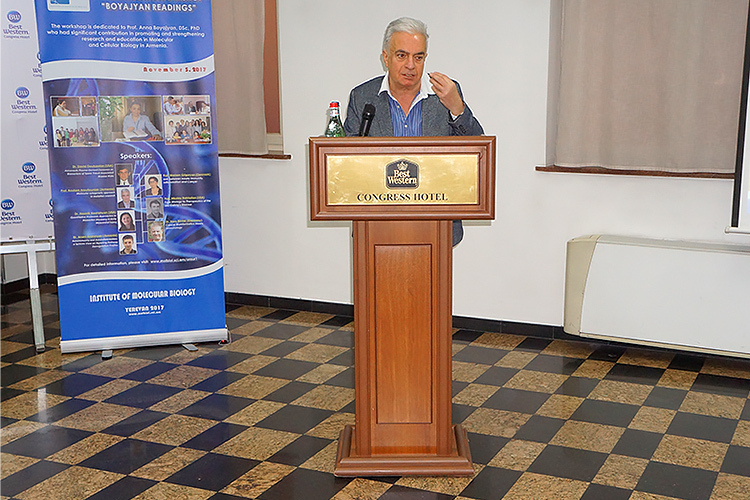 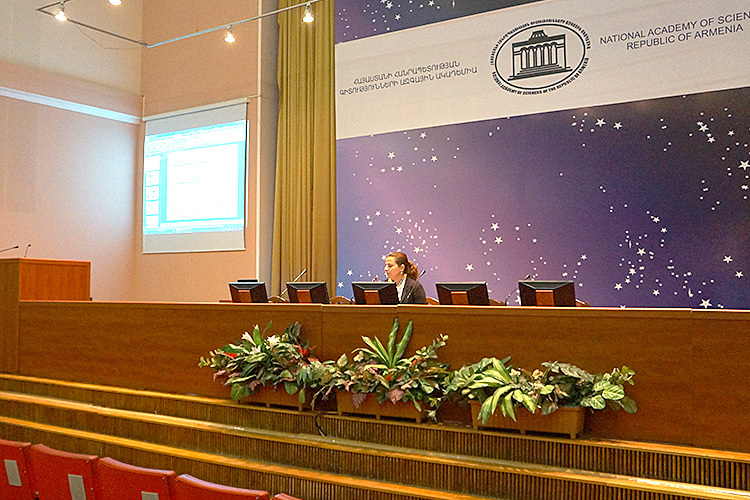 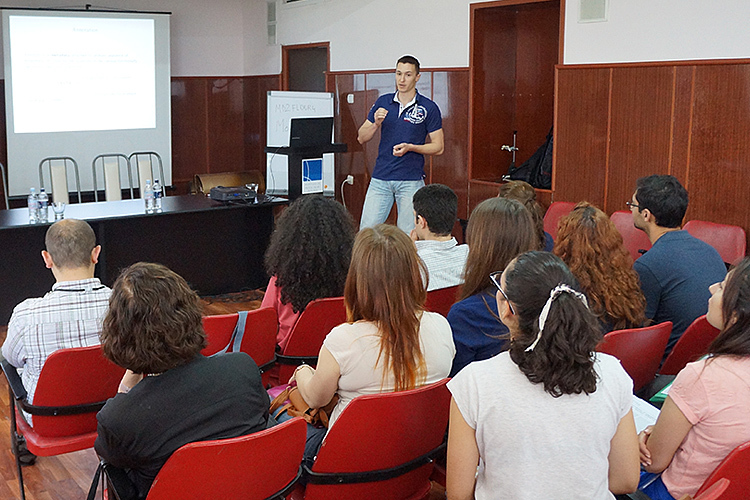 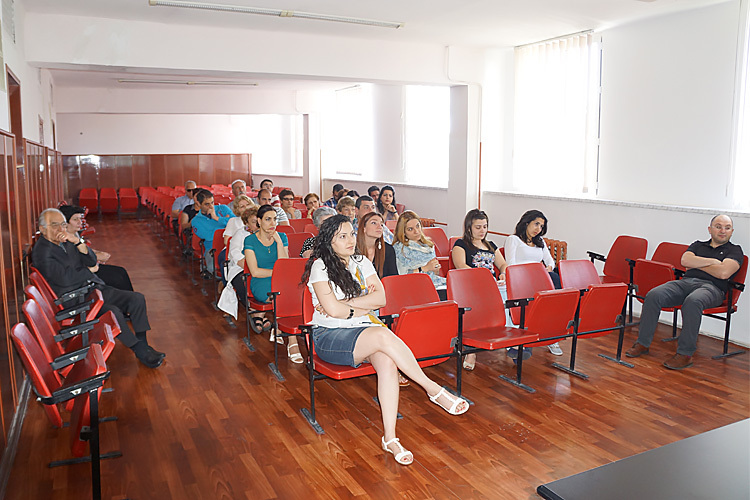 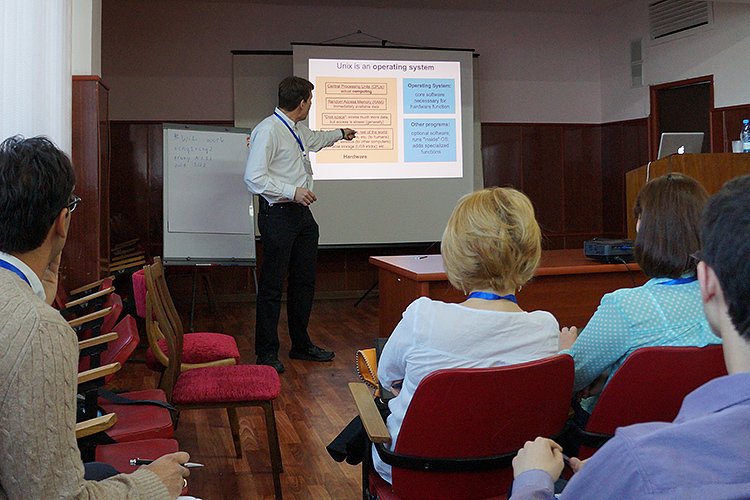 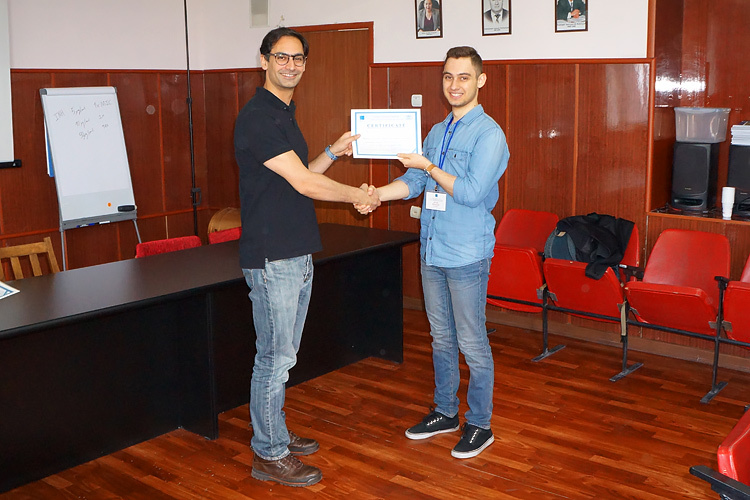 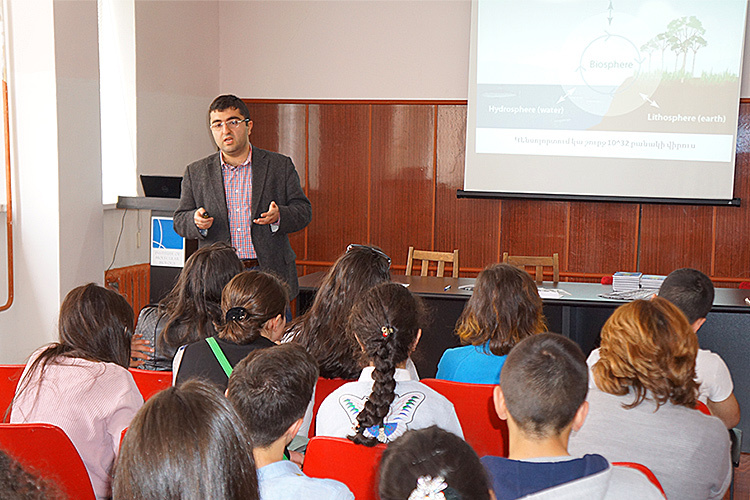 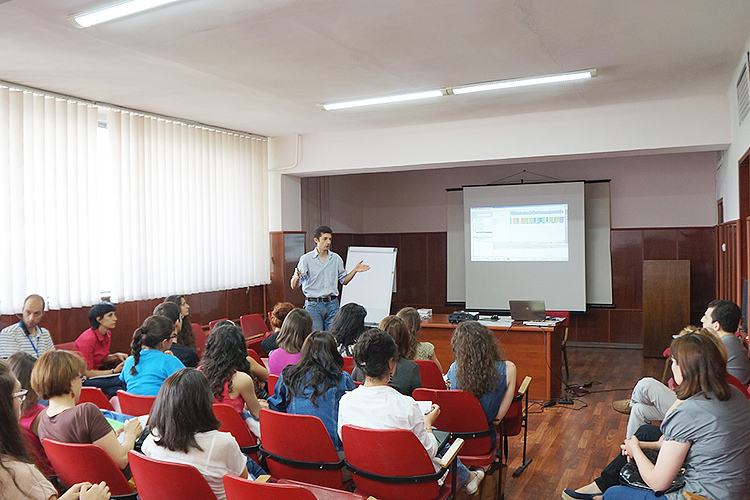 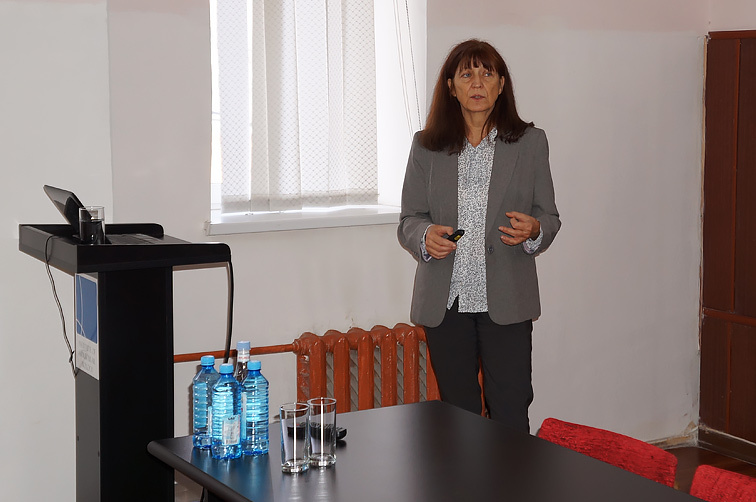 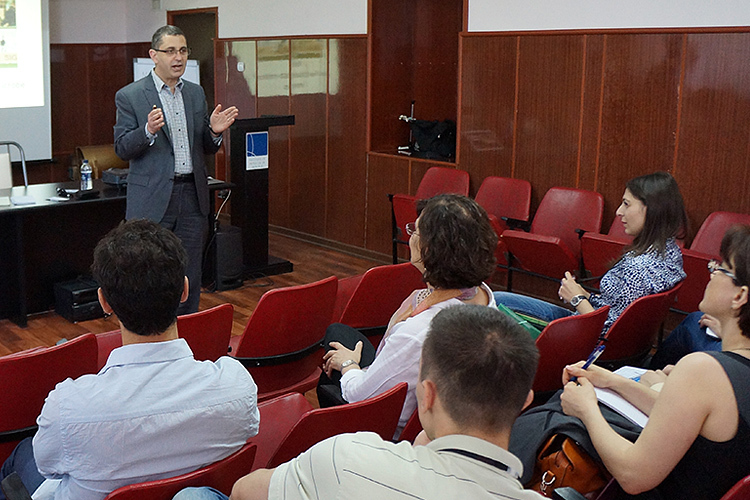 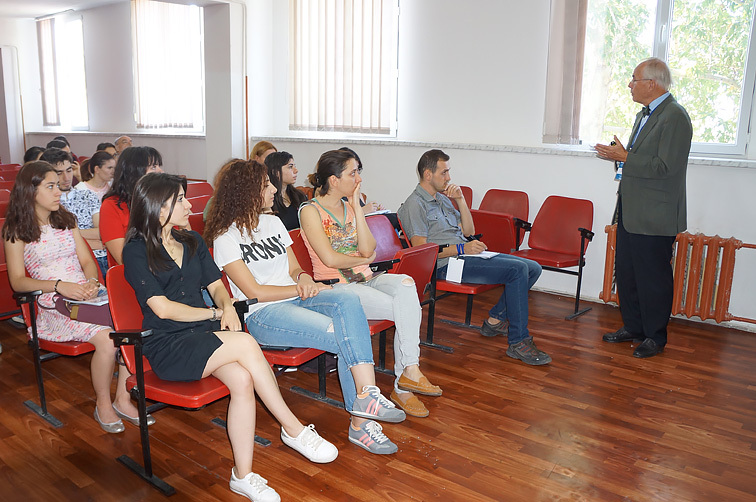 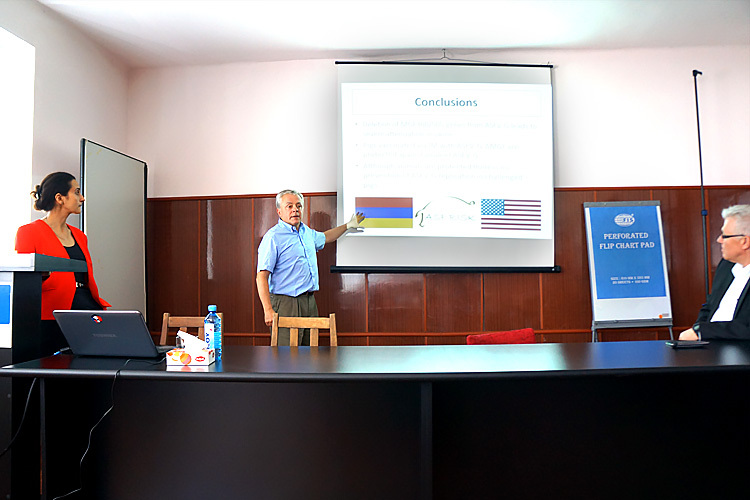 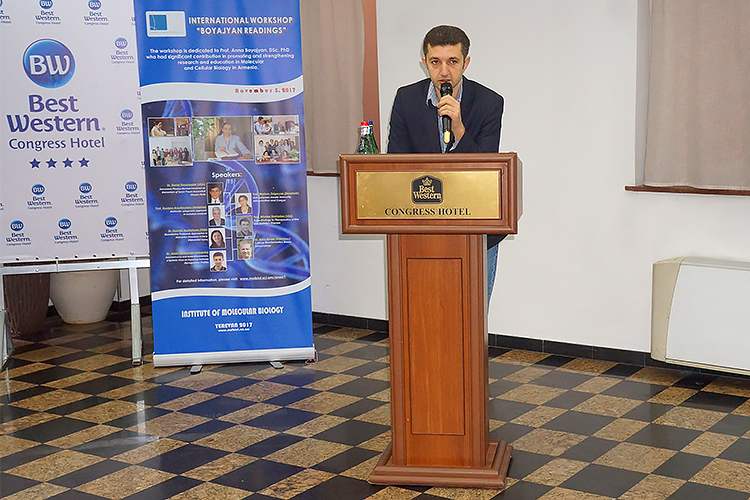 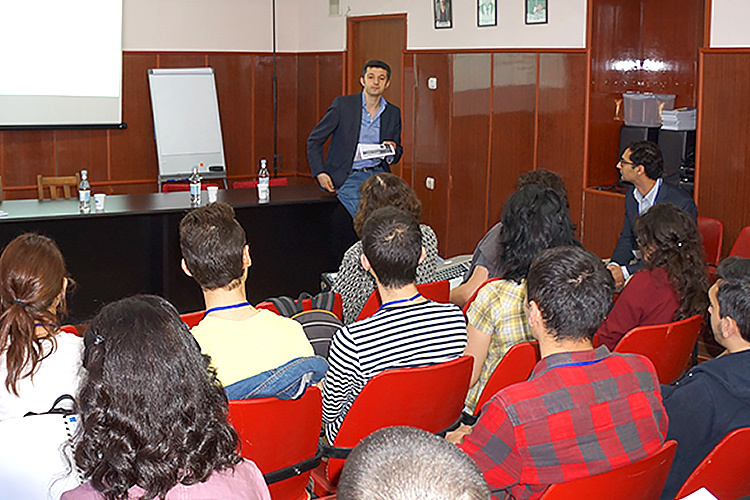 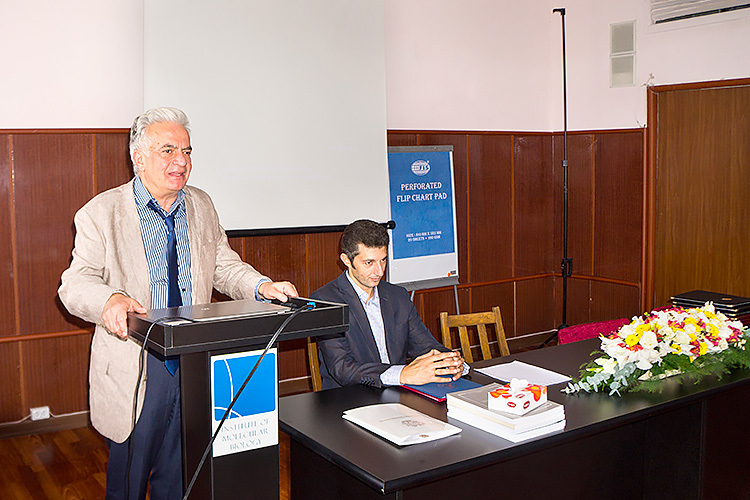 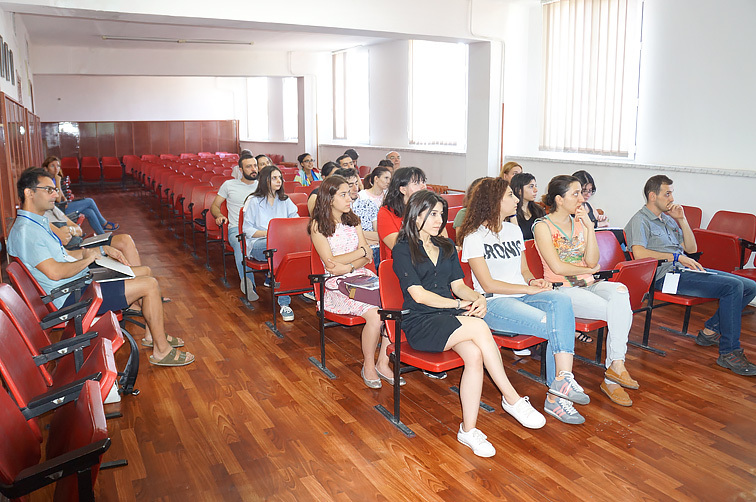 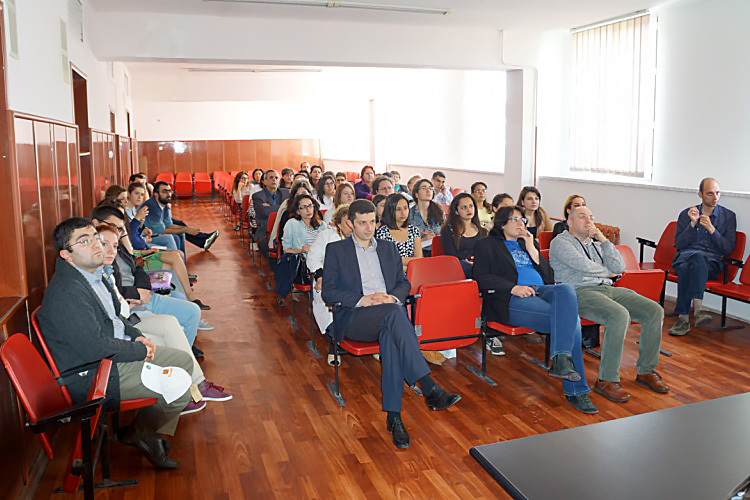 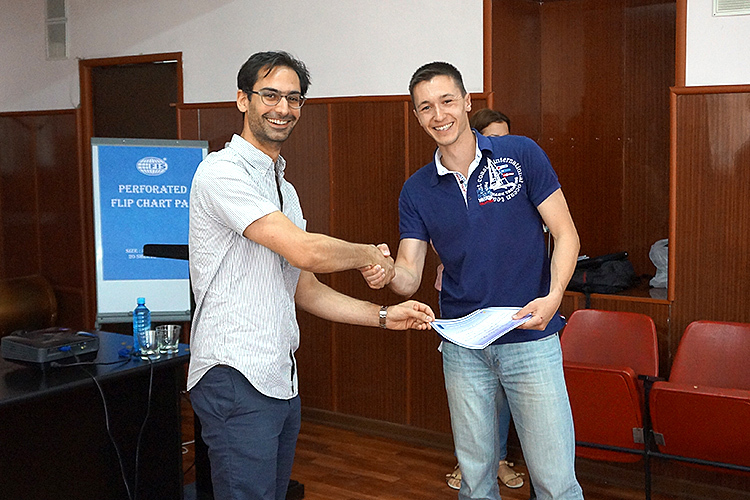 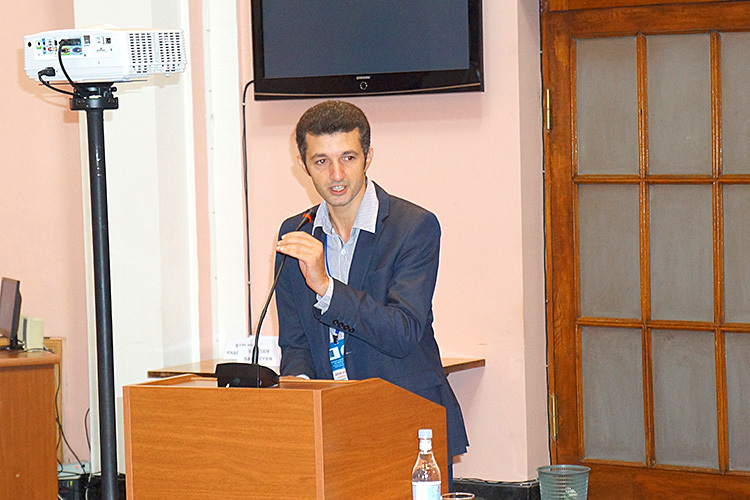 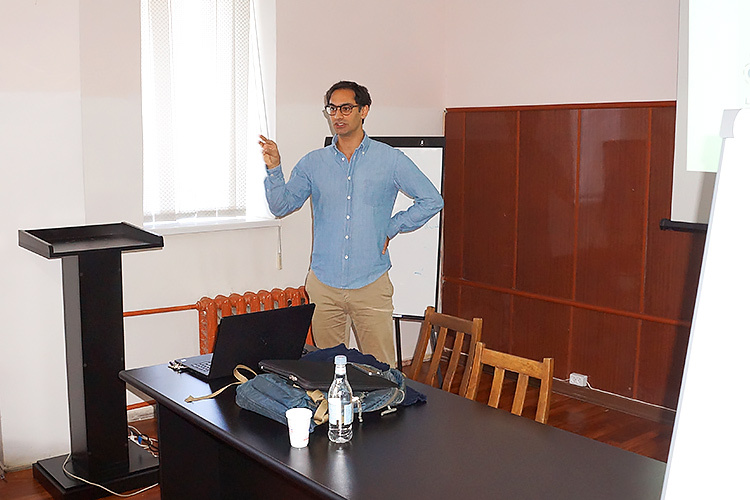 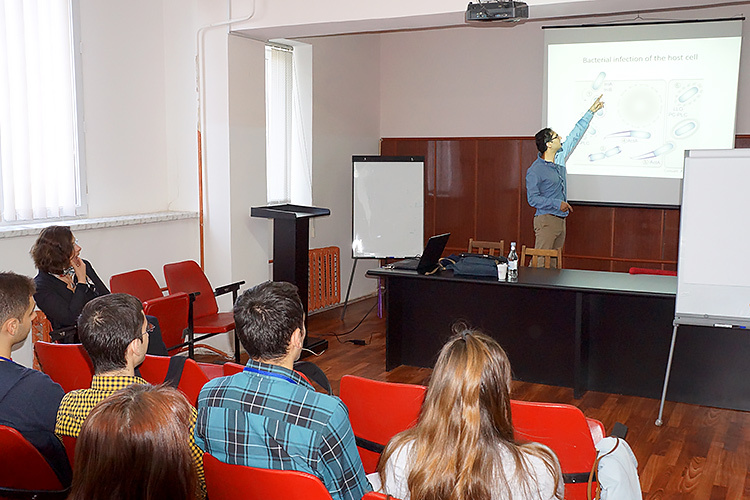 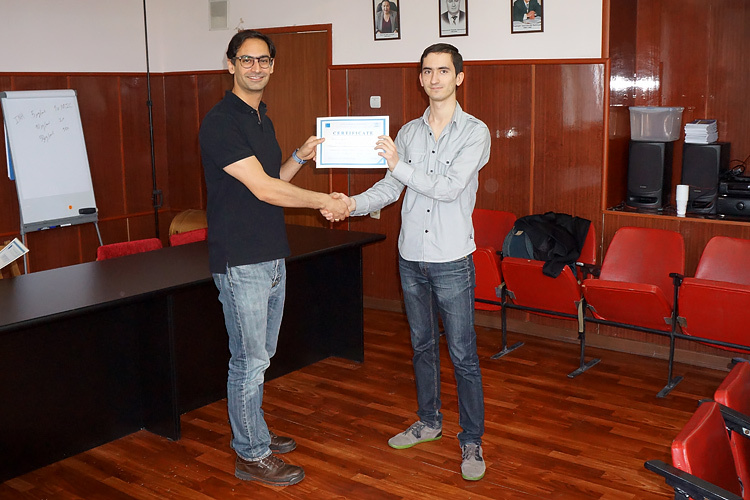 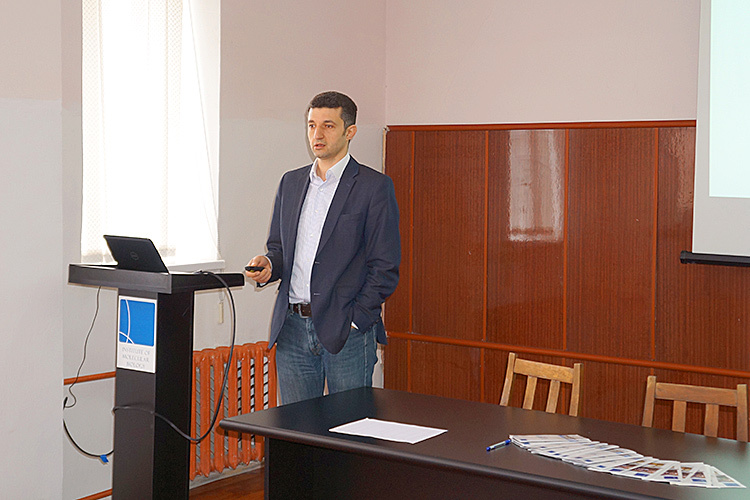 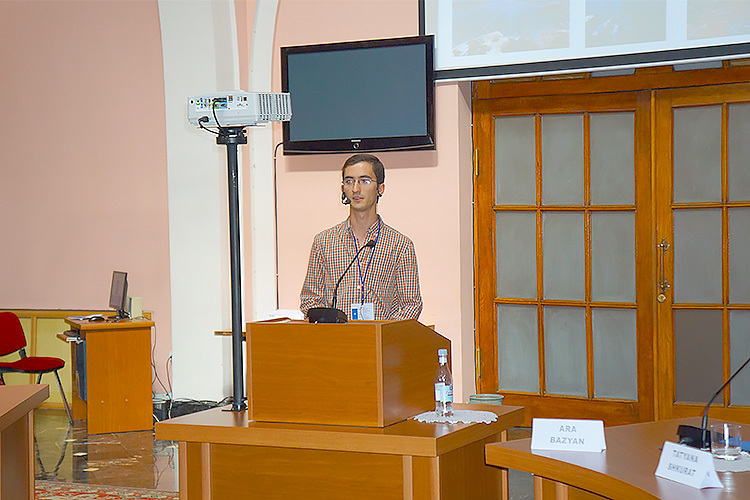 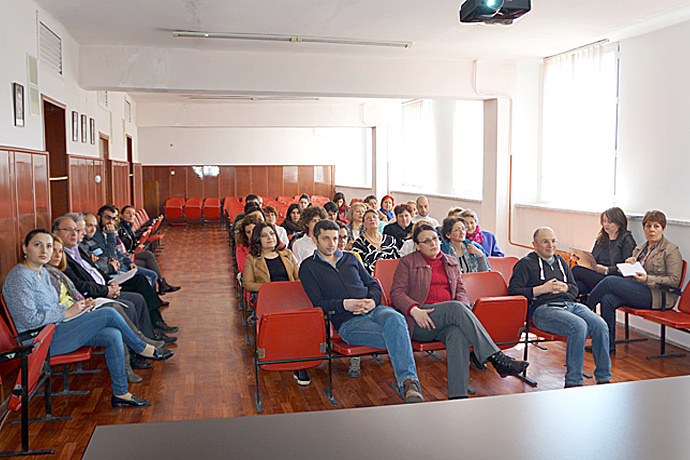 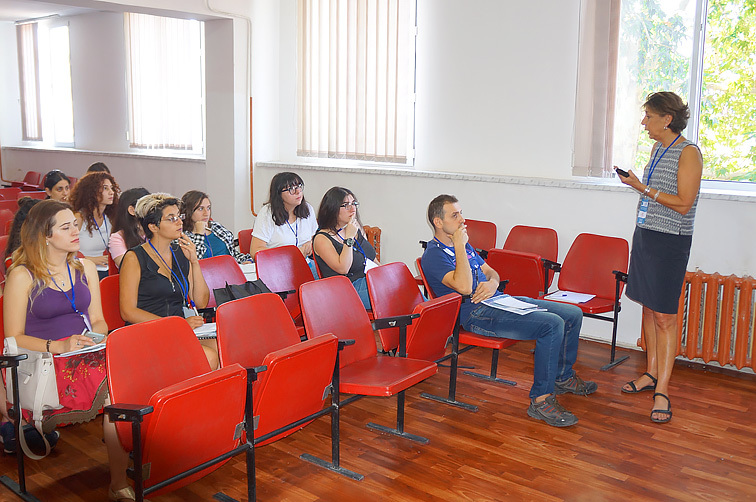 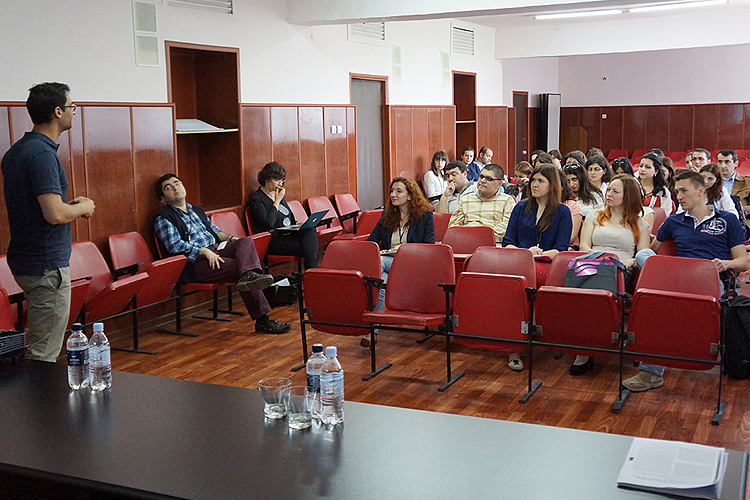 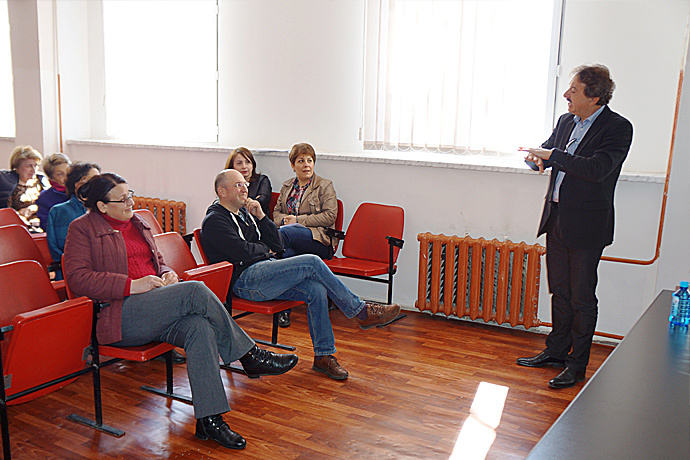 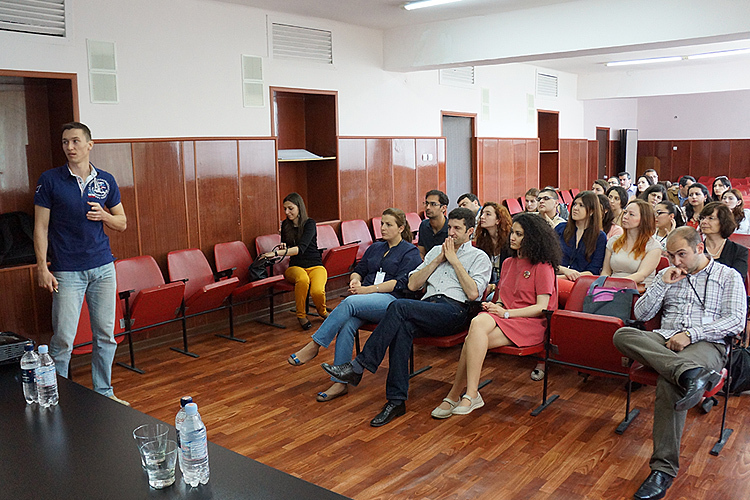 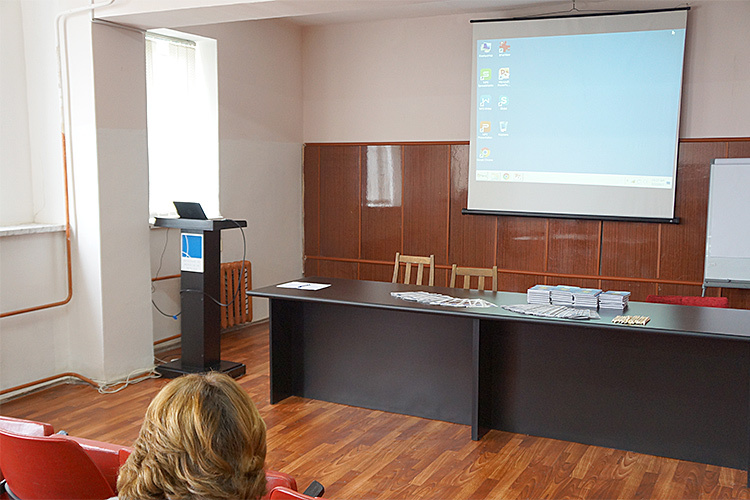 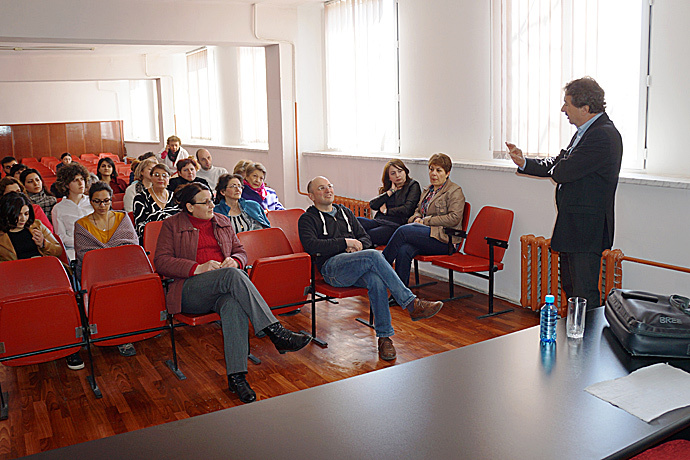 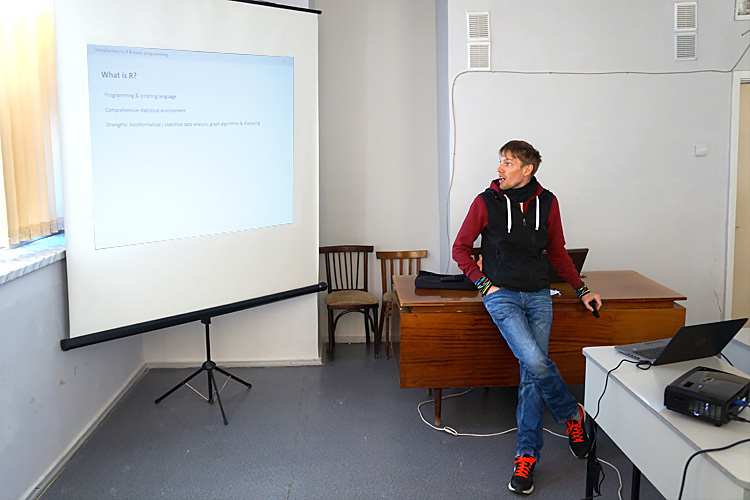 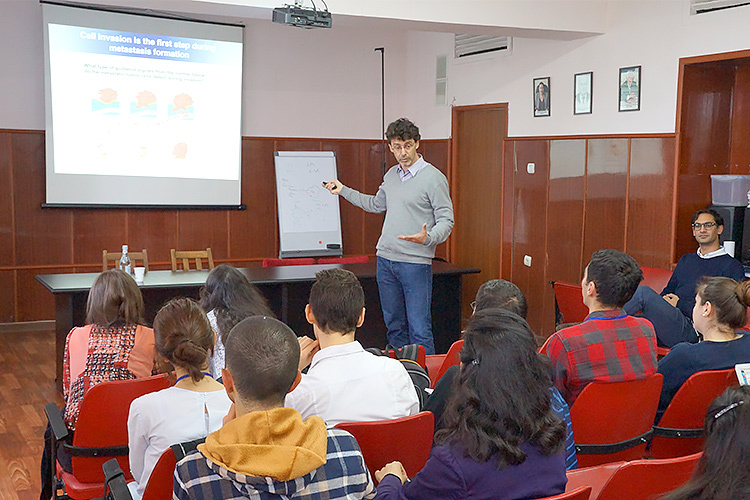 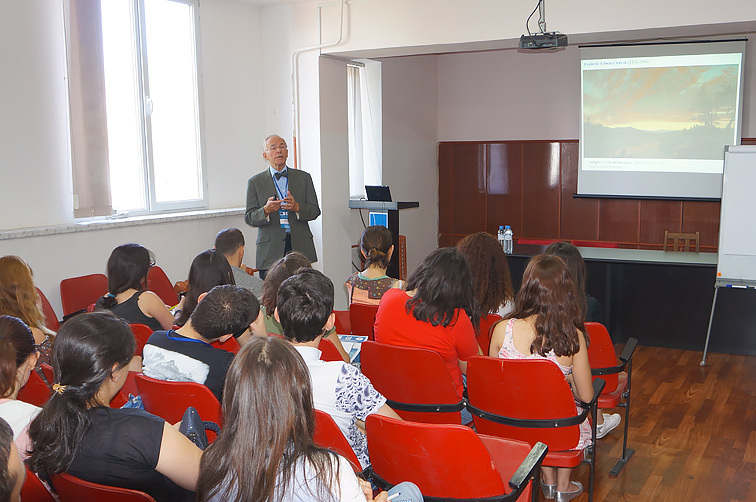 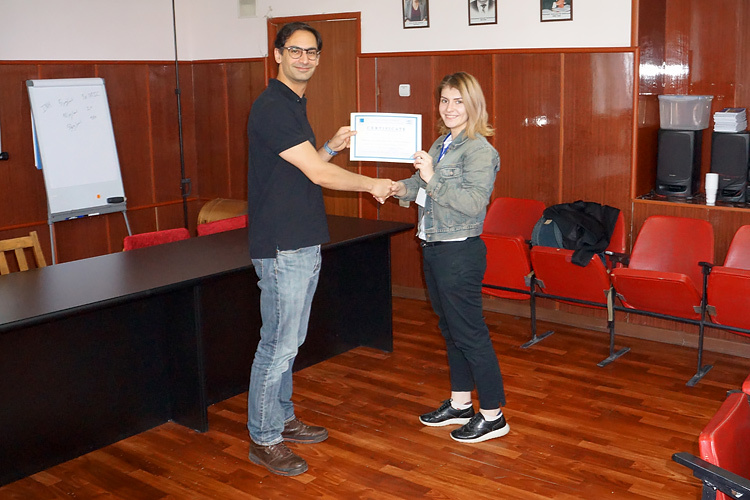 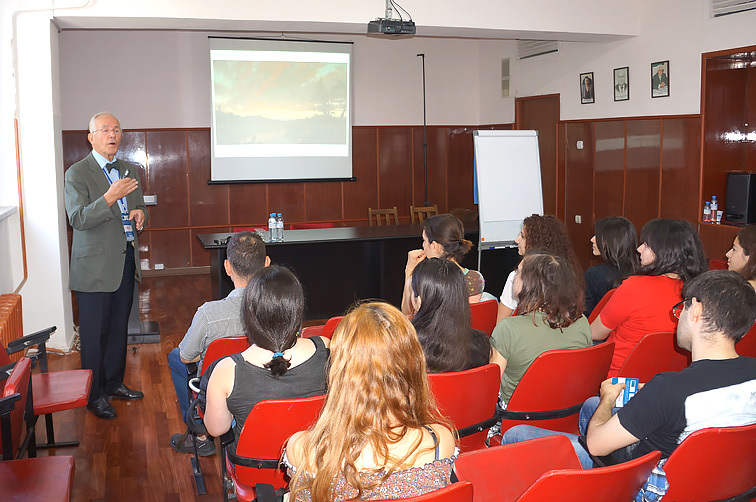 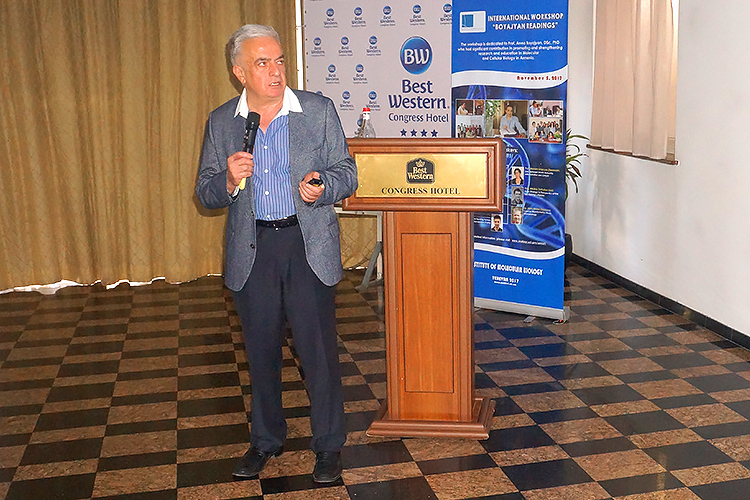 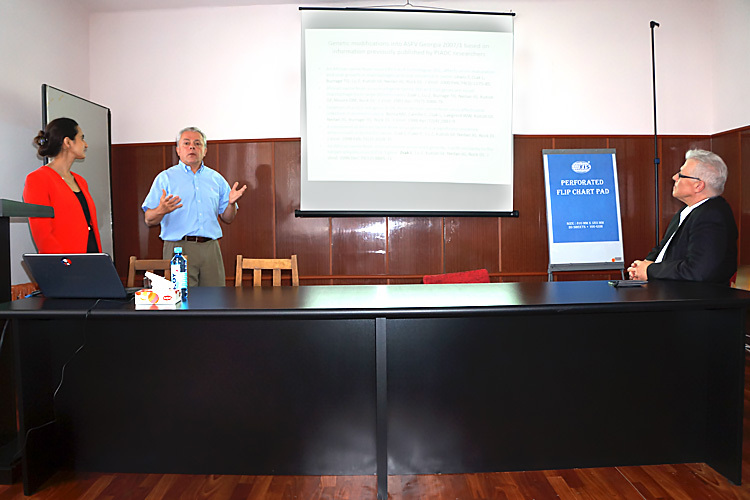 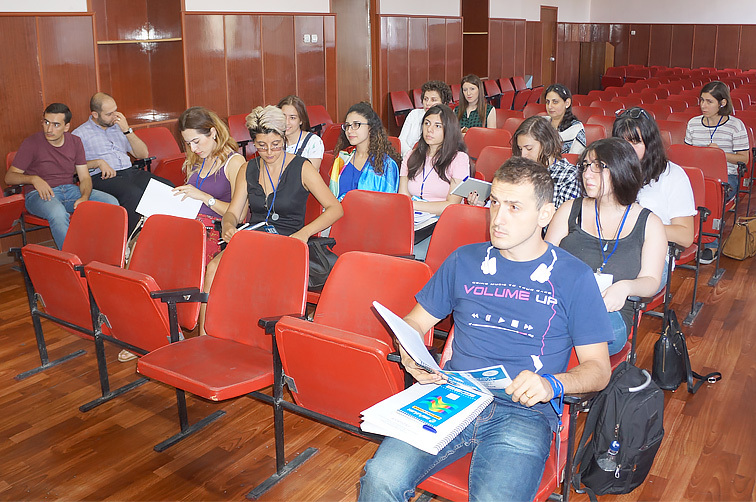 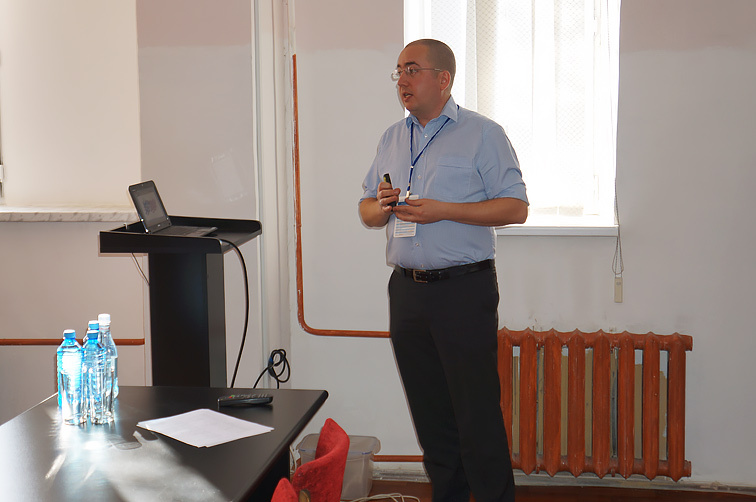 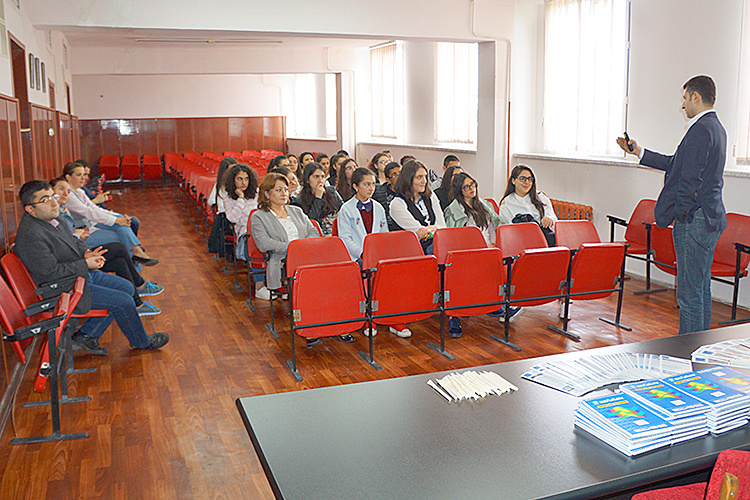 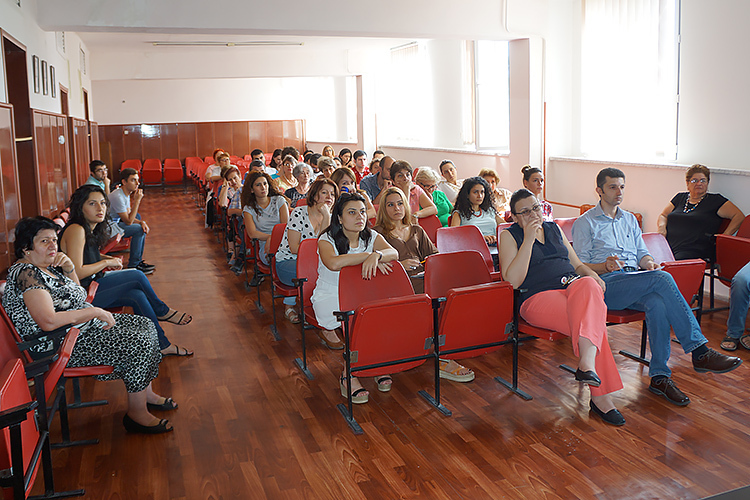 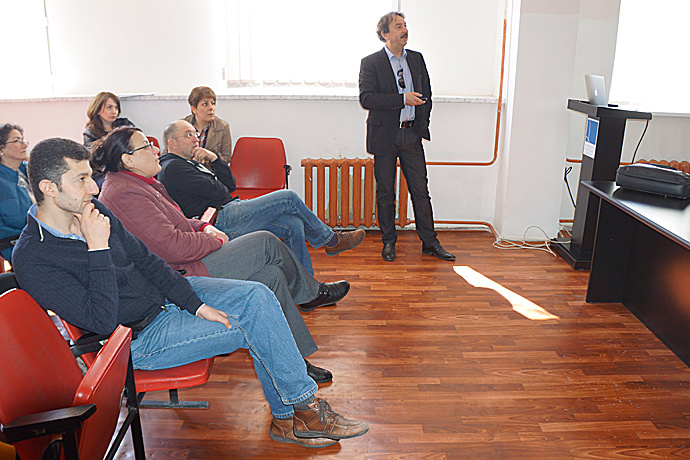 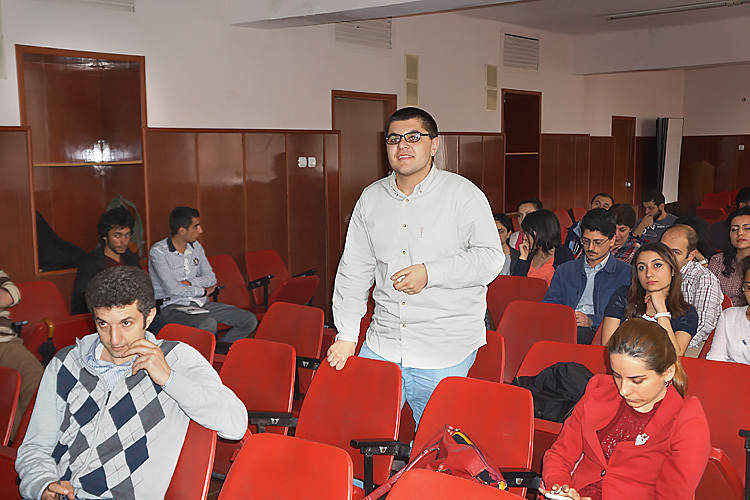 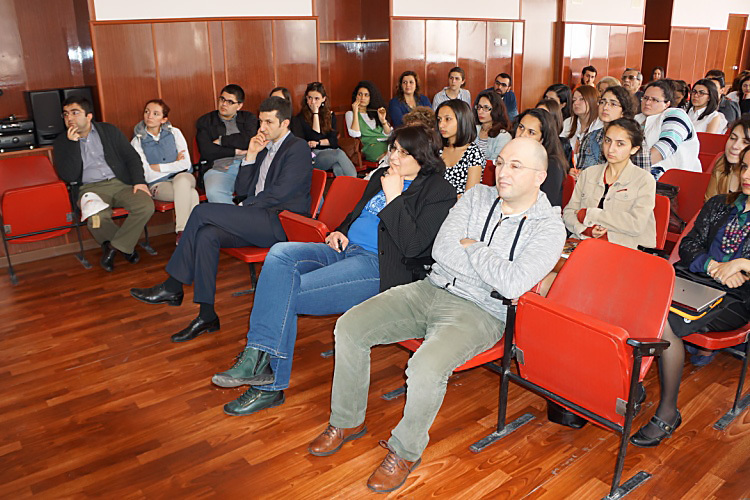 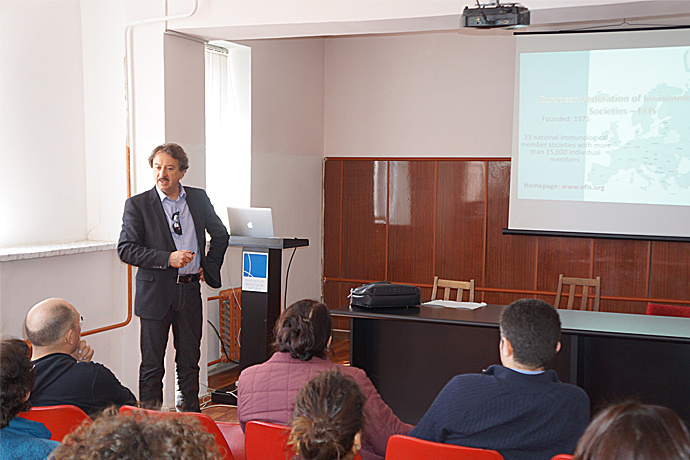 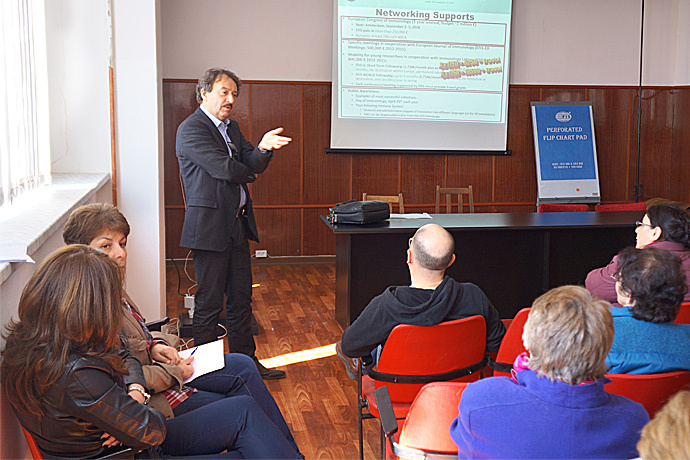 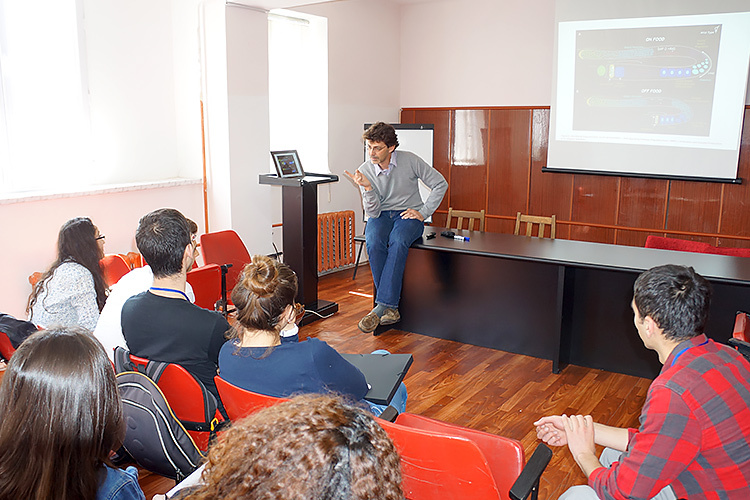 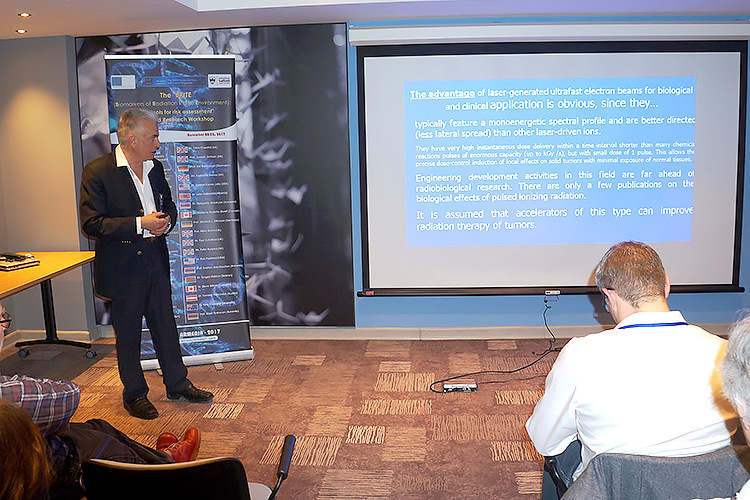 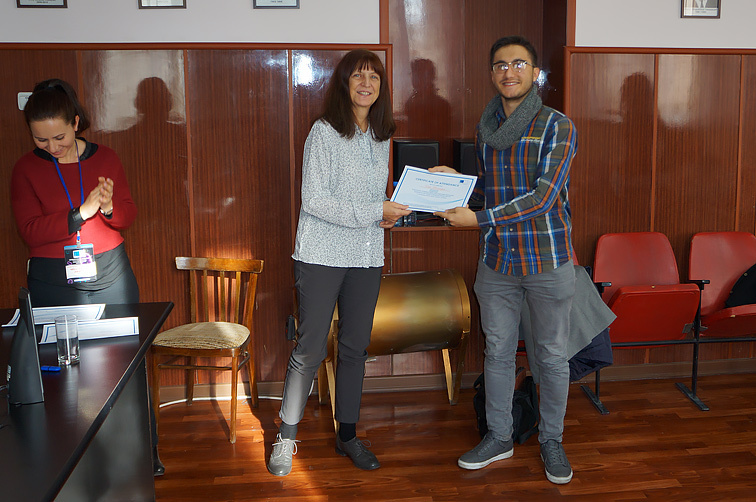 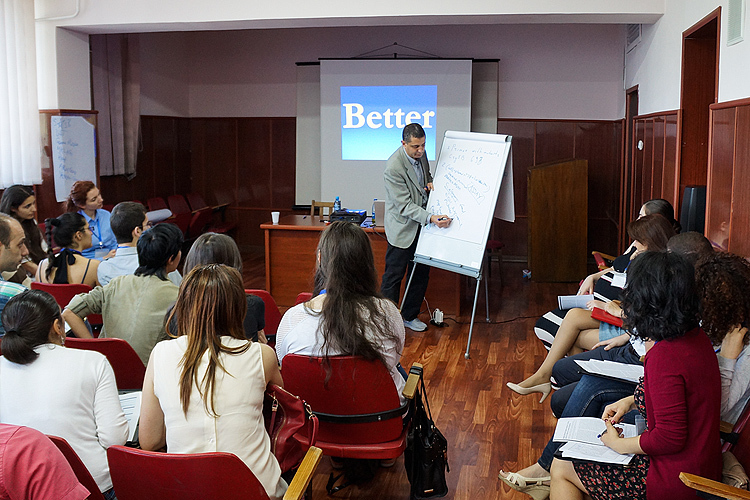 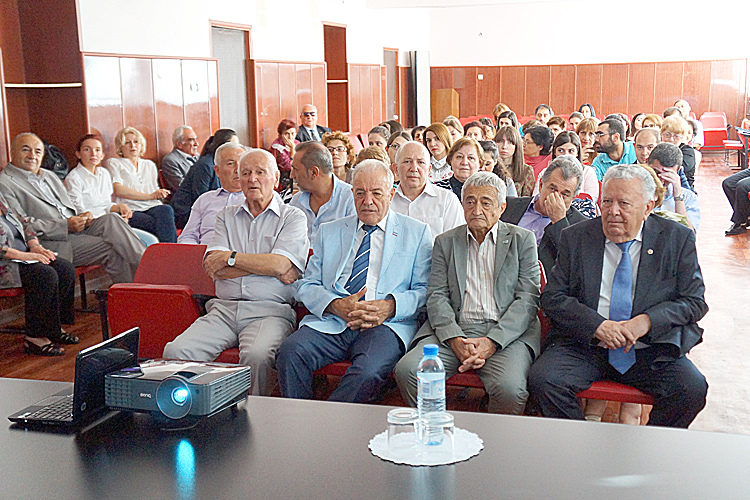 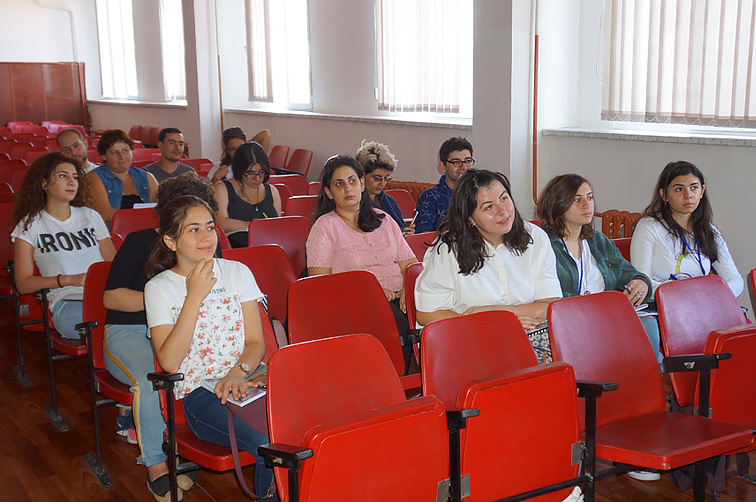 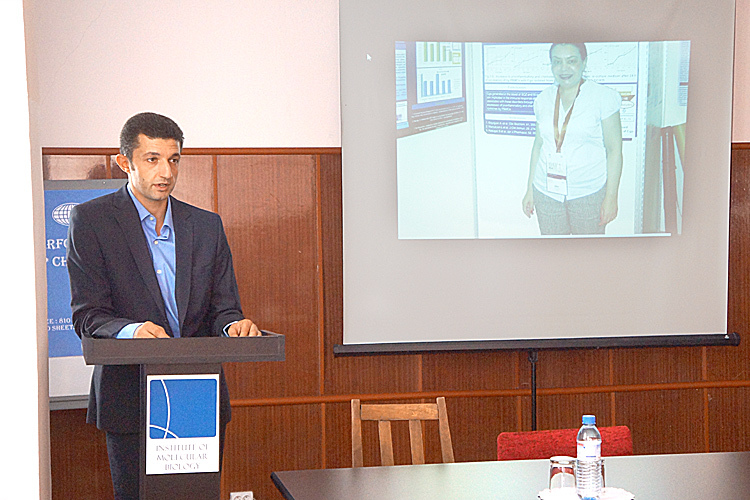 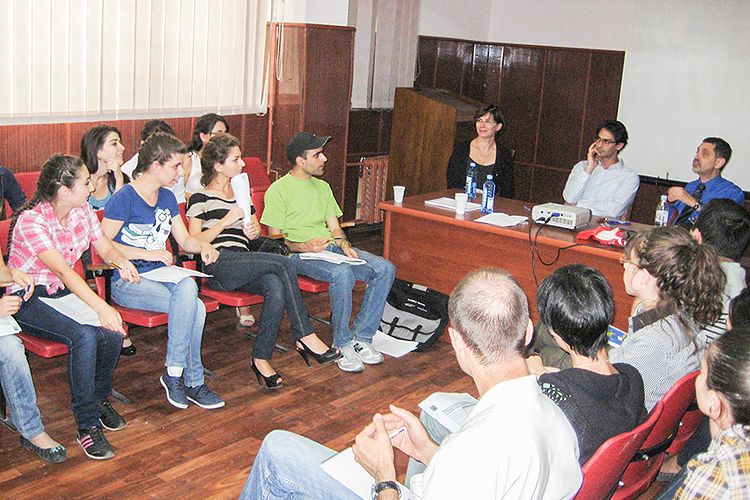 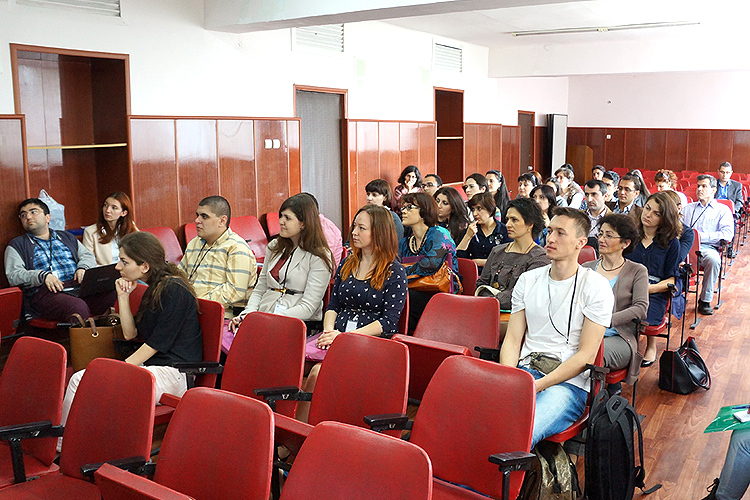 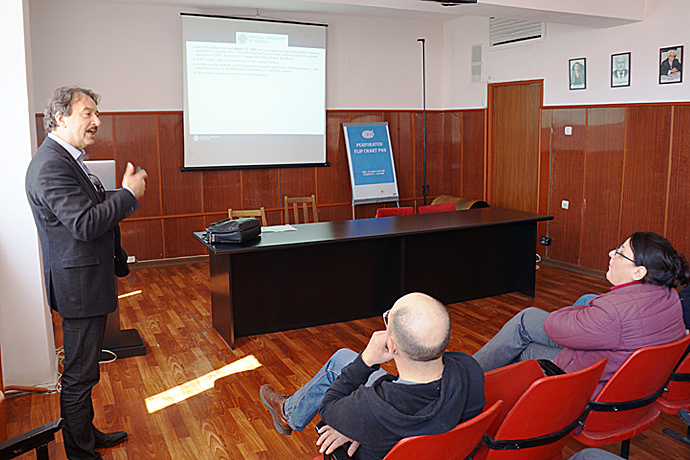 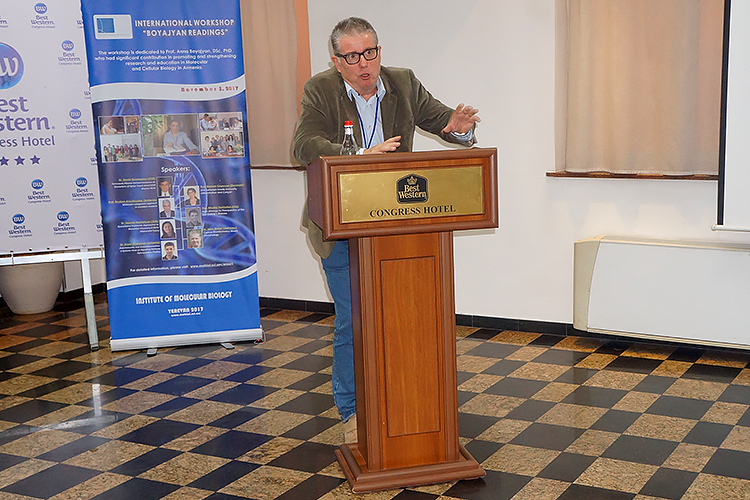 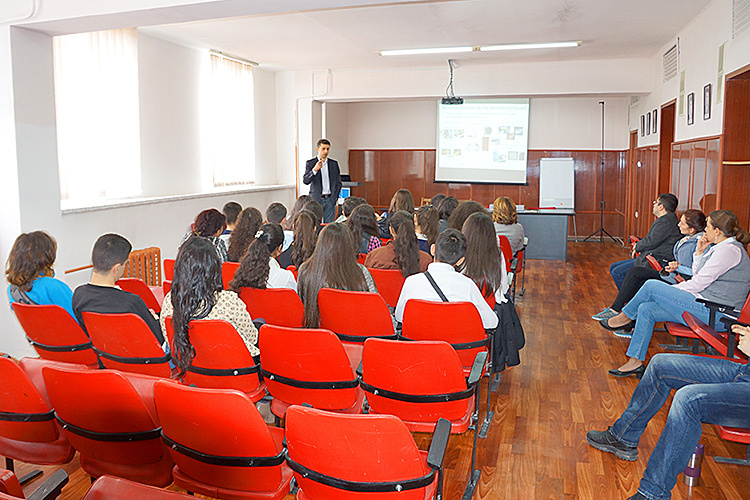 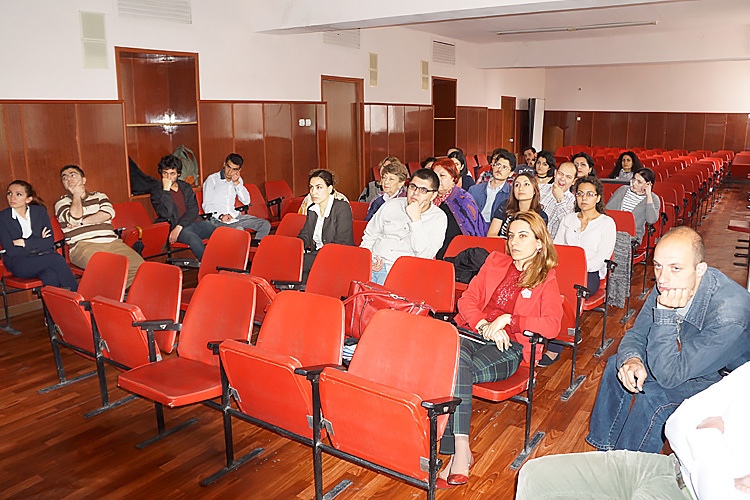 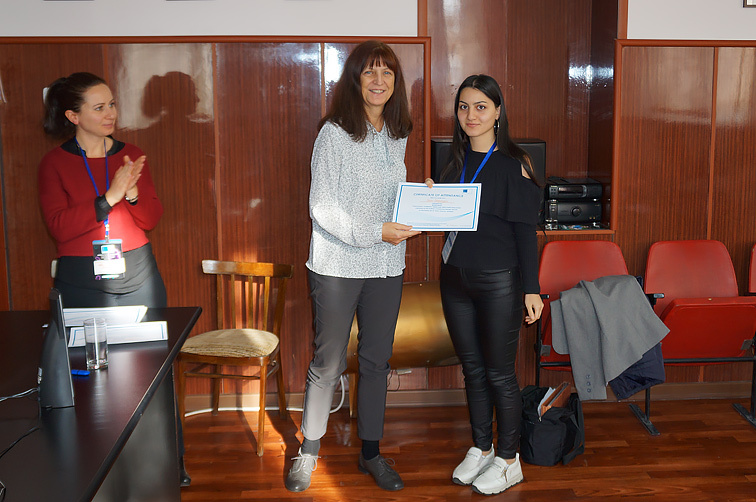 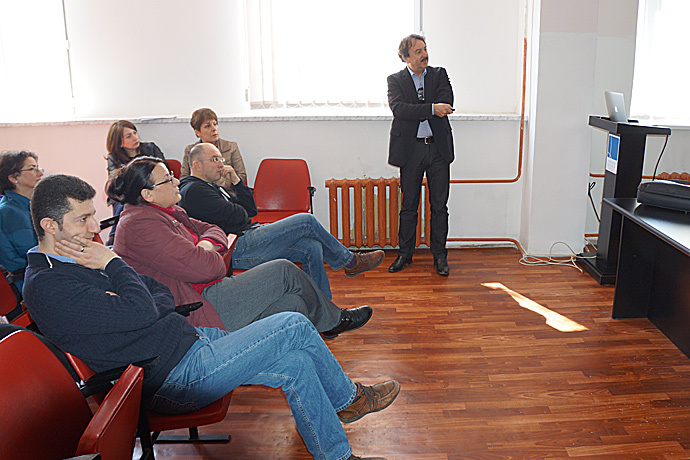 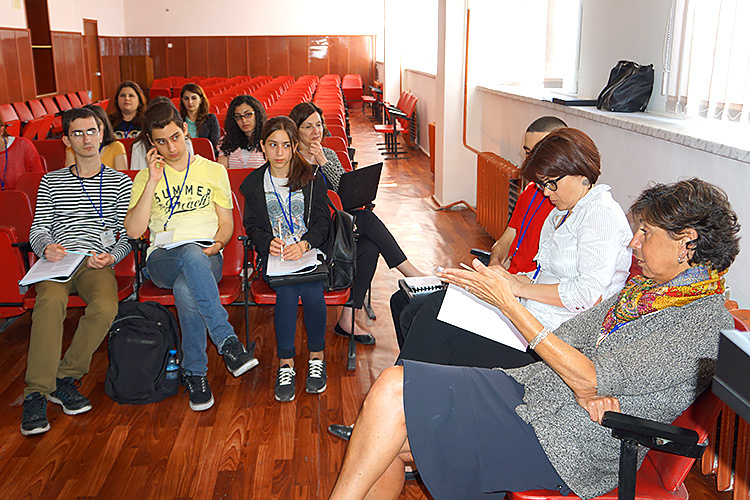 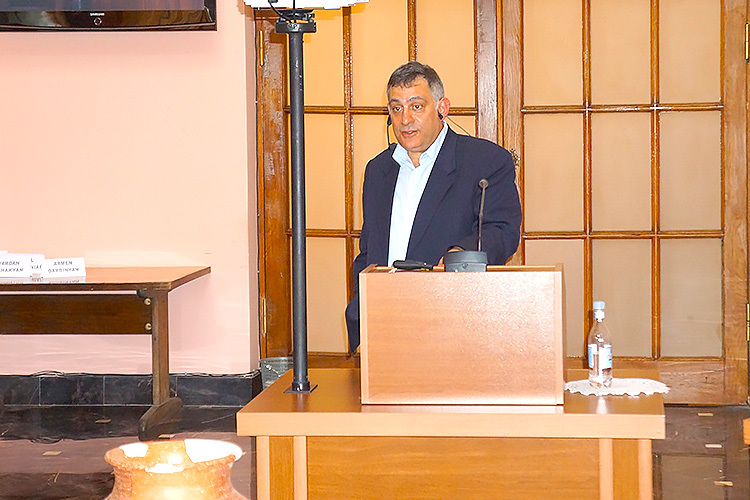 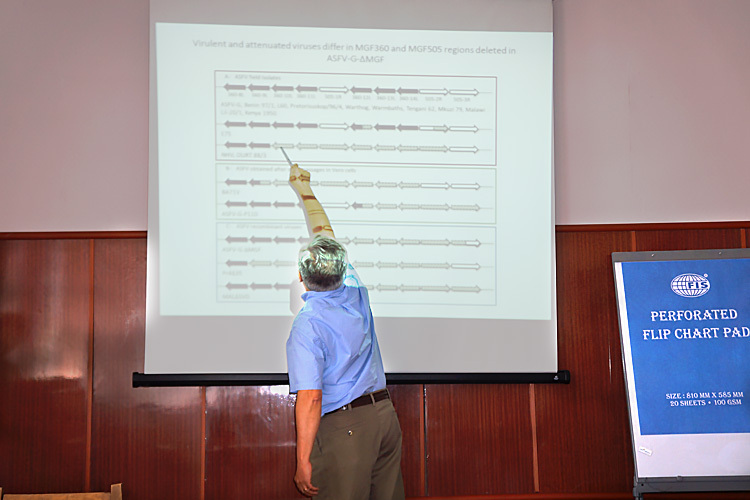 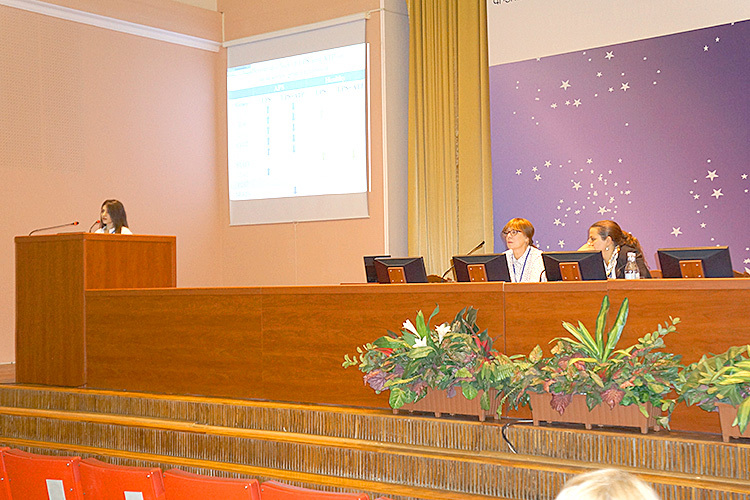 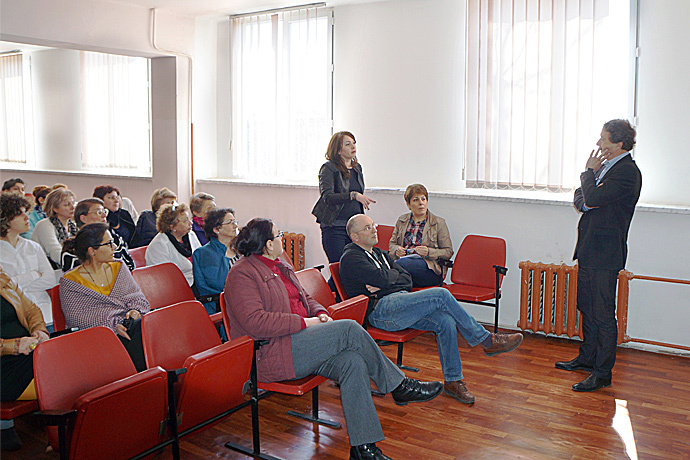 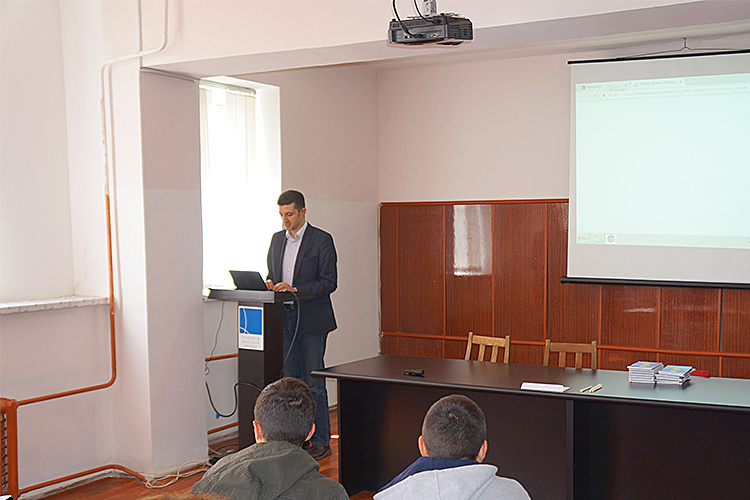 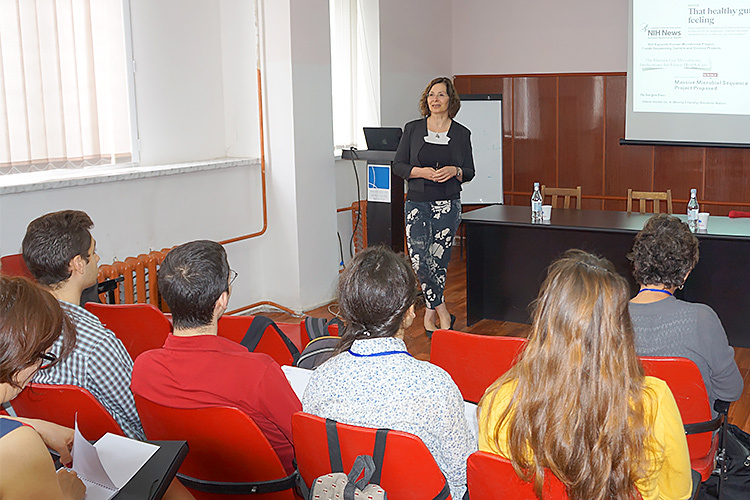 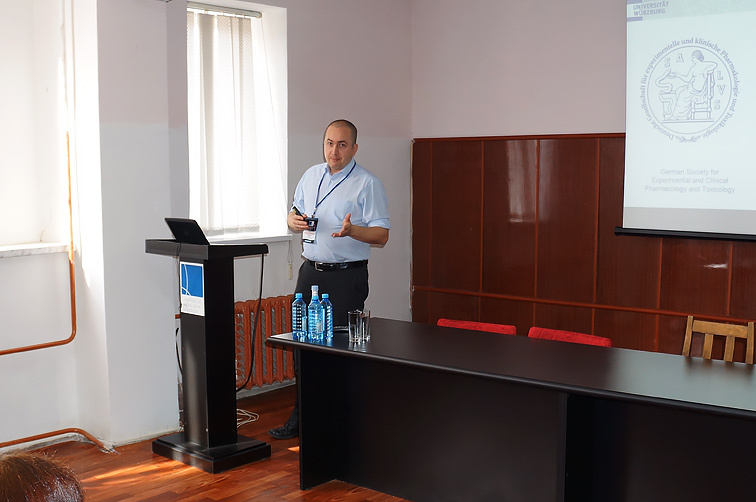 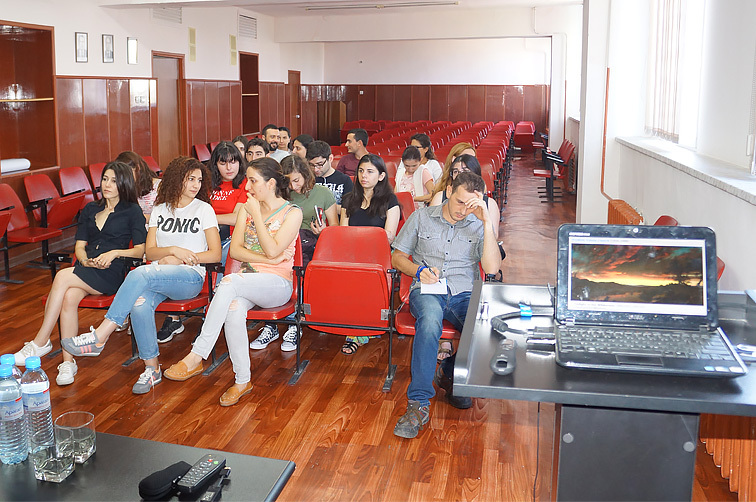 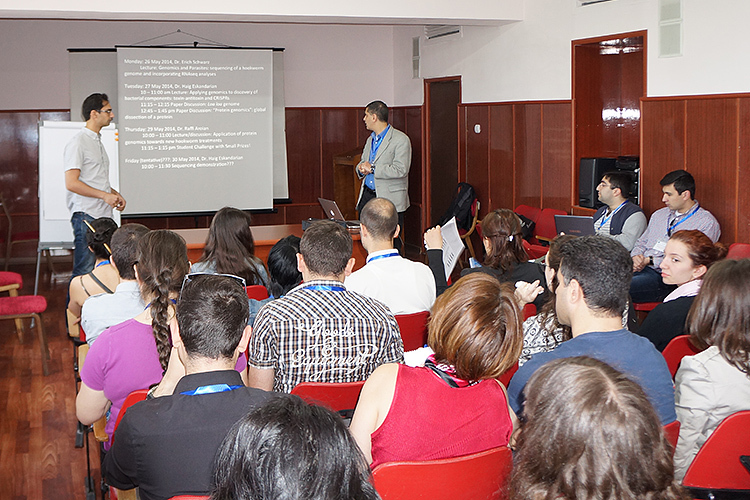 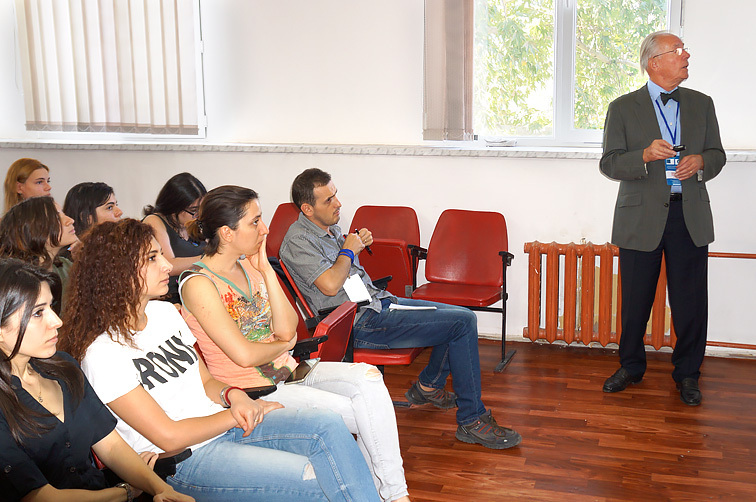 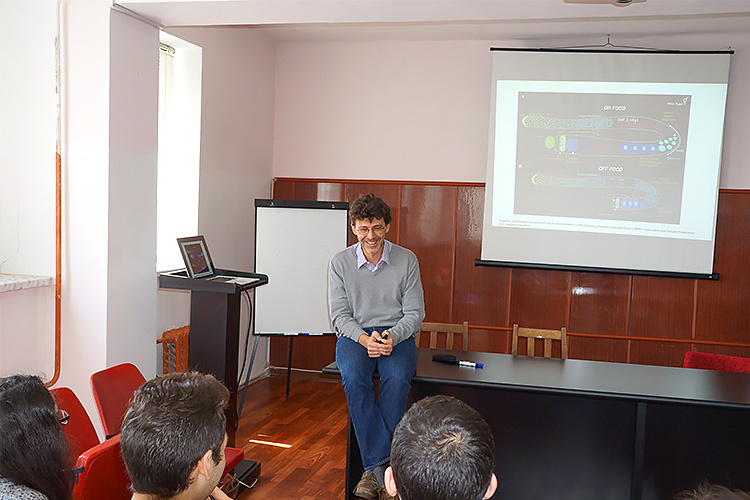 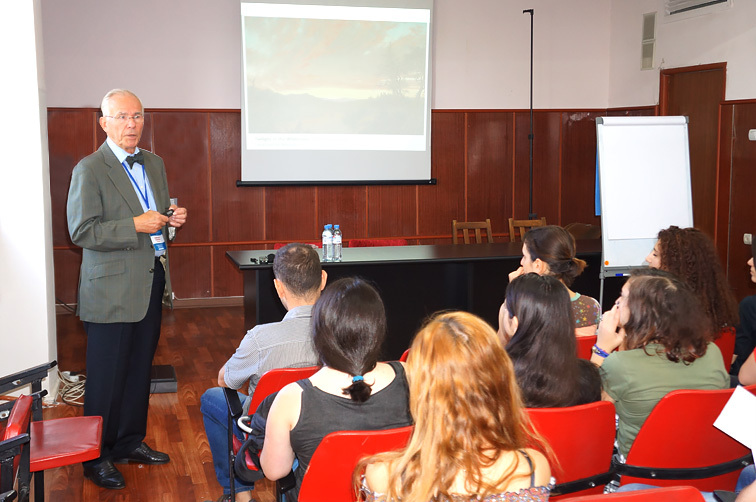 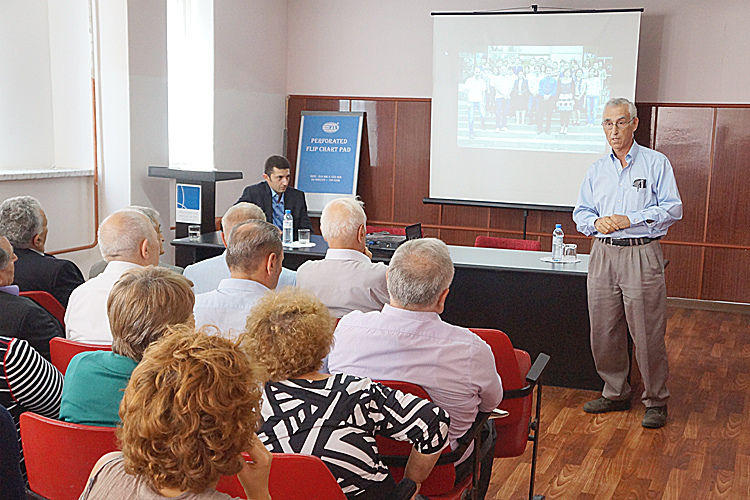 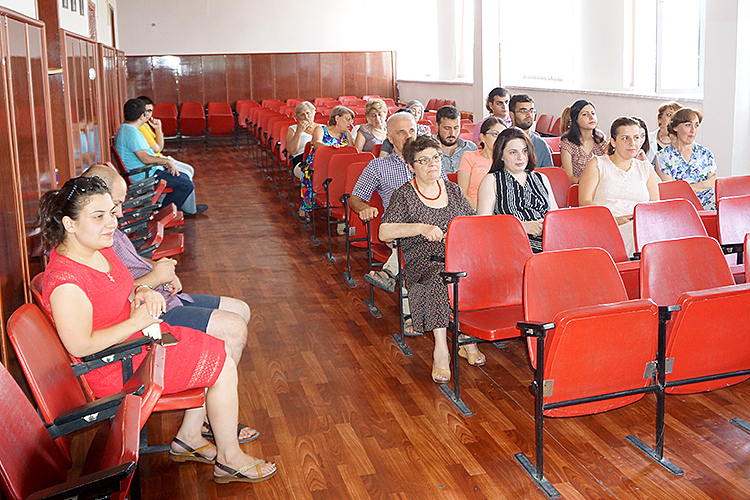 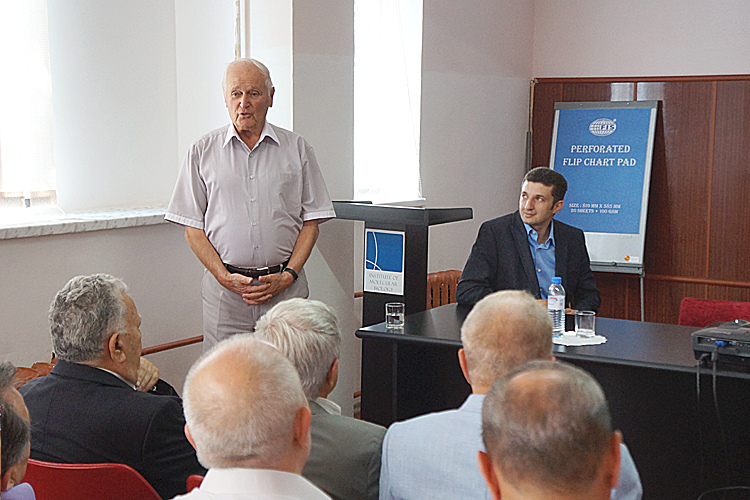 "Scientific lecture for young scientists by Prof. A. Patapoutian". 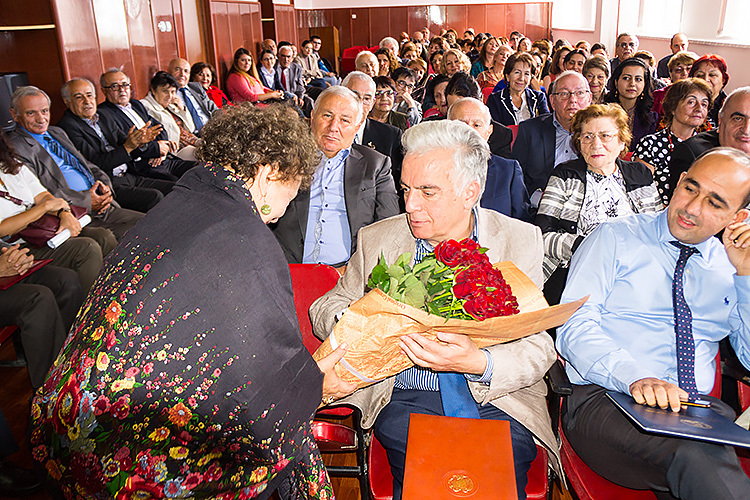 May 24, 2016, Yerevan, Armenia. 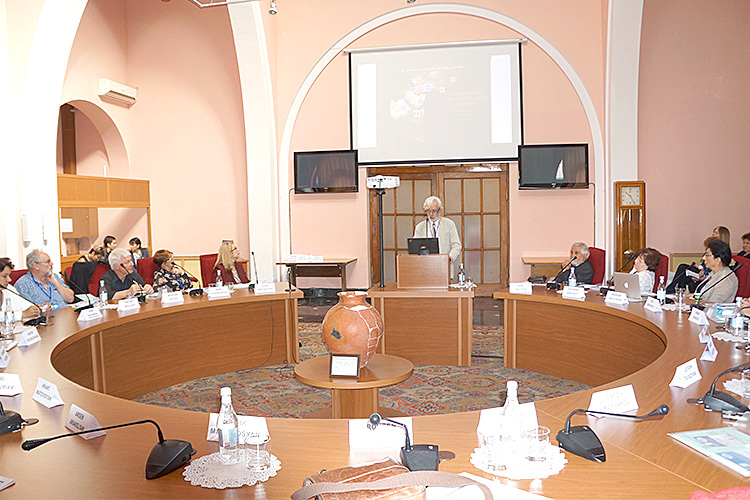 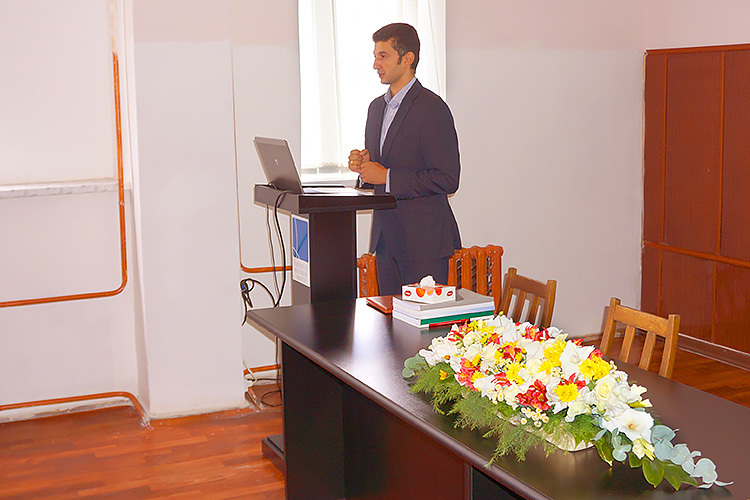 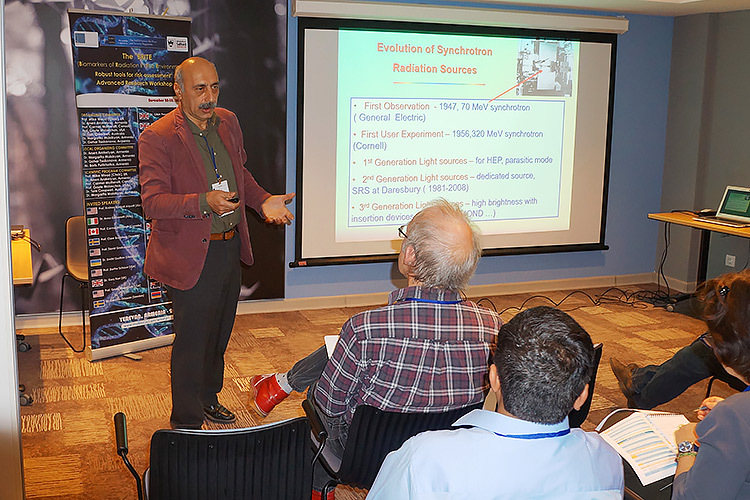 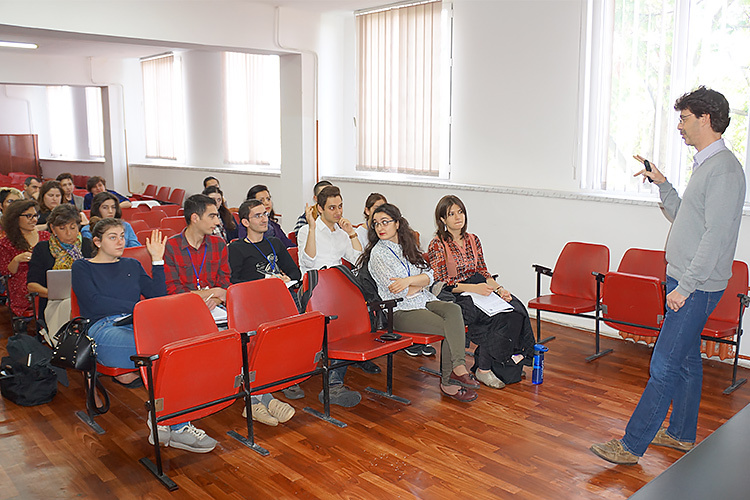 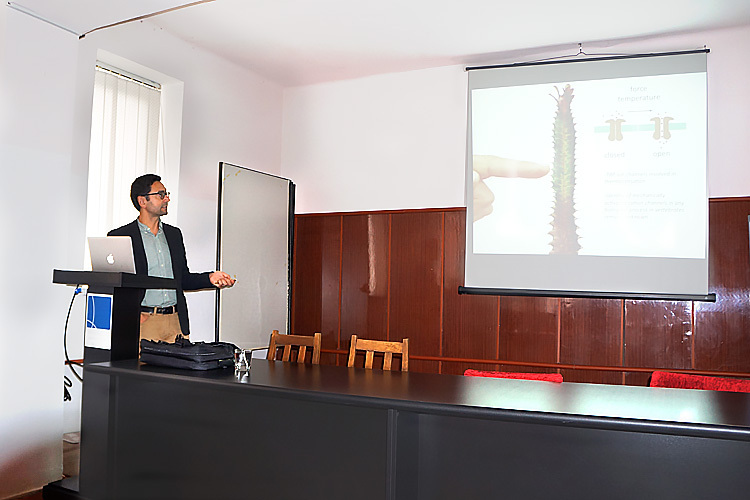 "Scientific lecture for young scientists by Prof. V. Zakian". 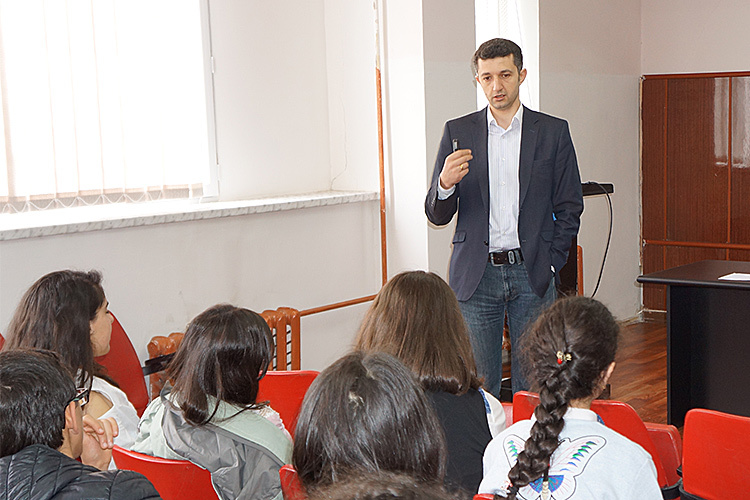 May 03, 2016, Yerevan, Armenia. 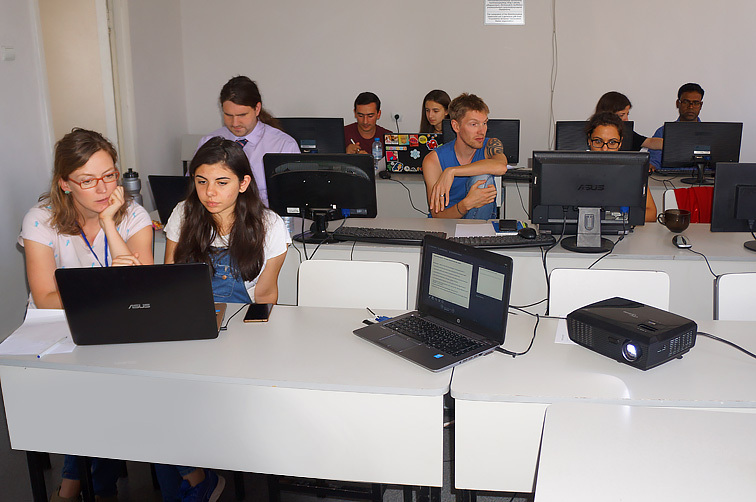 "Disentangling diversity in complex biodata: an R course". 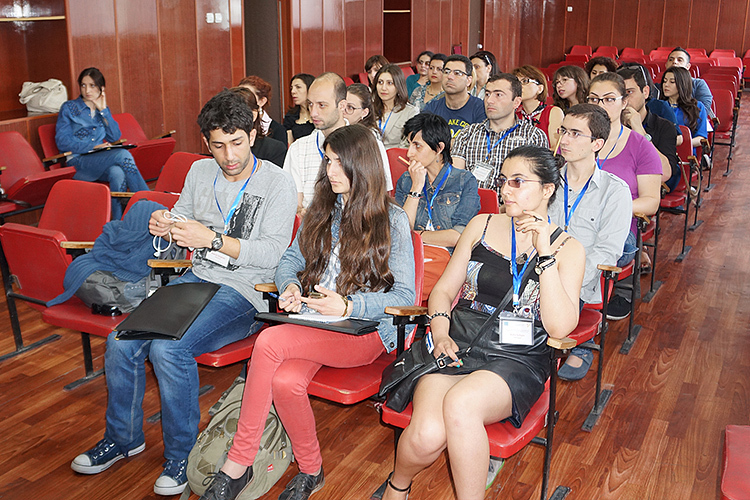 April 4-8, 2016, Yerevan, Armenia. 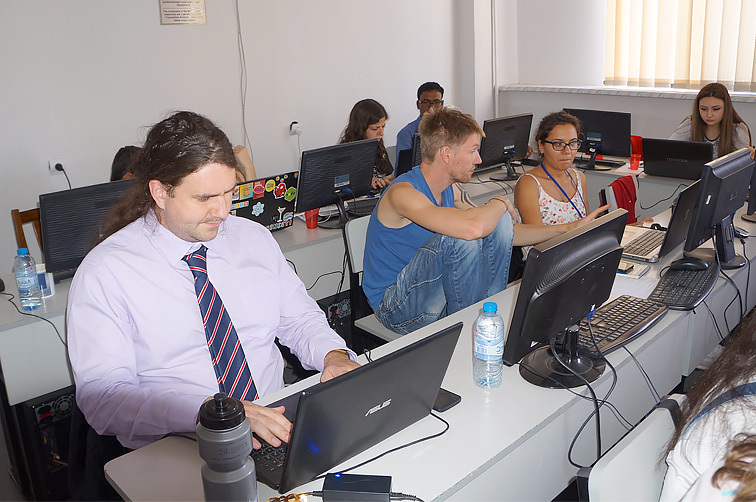 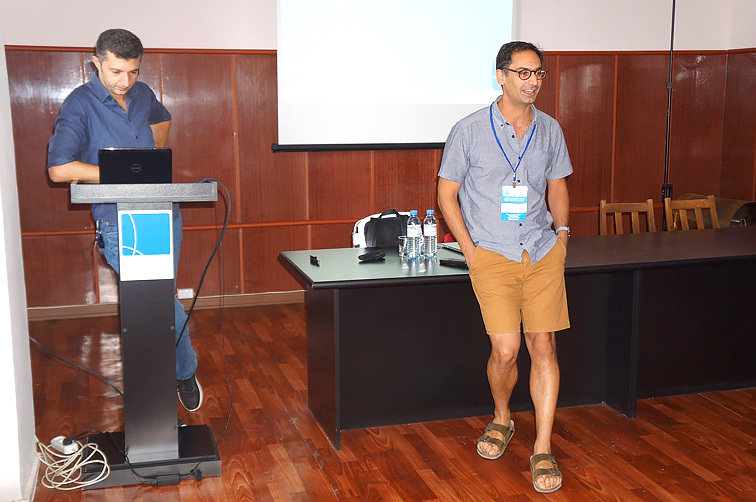 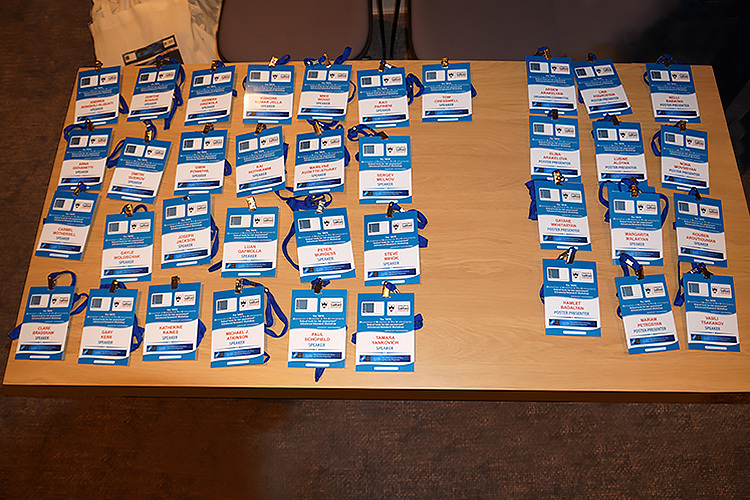 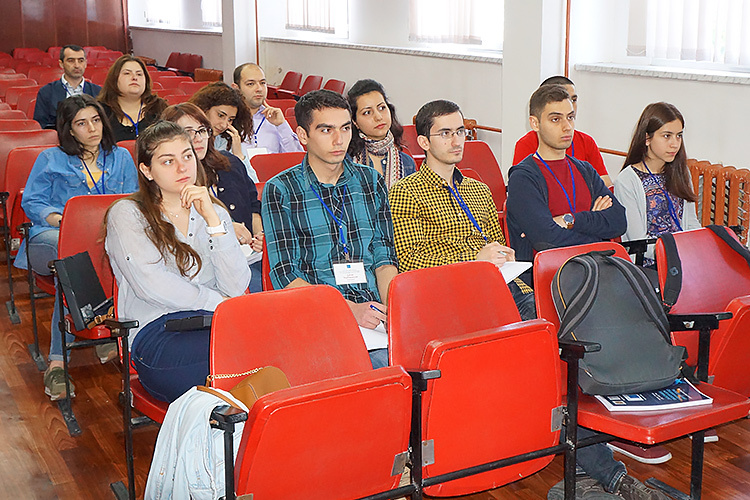 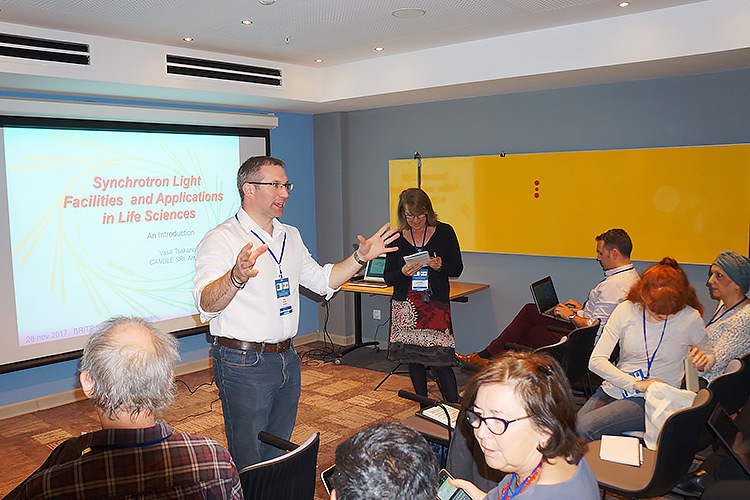 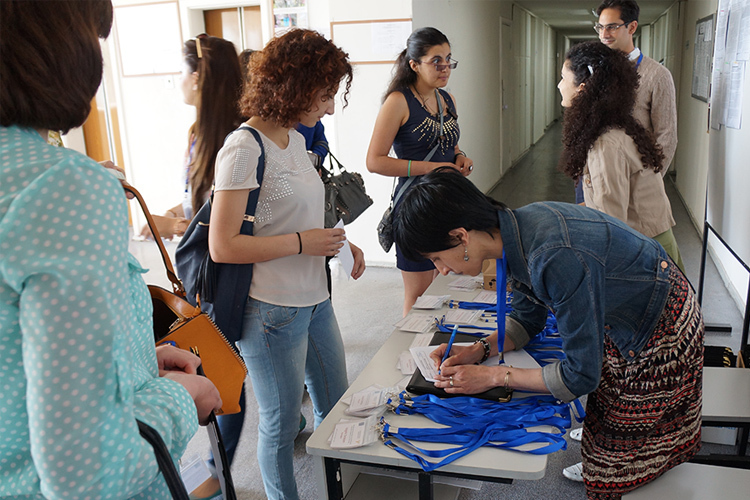 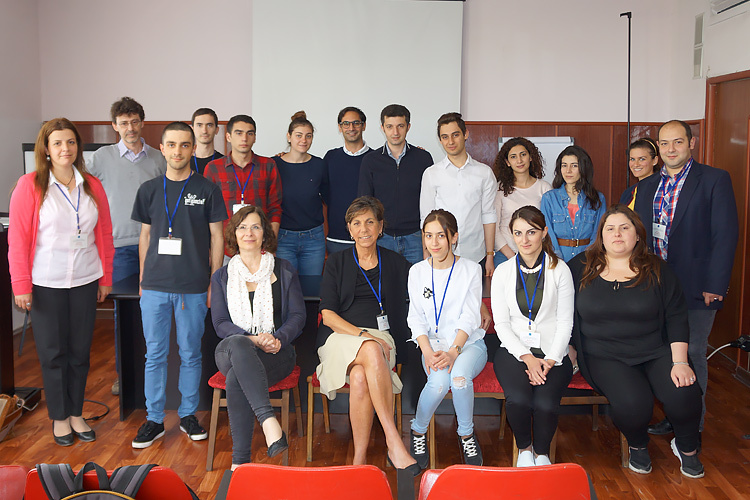 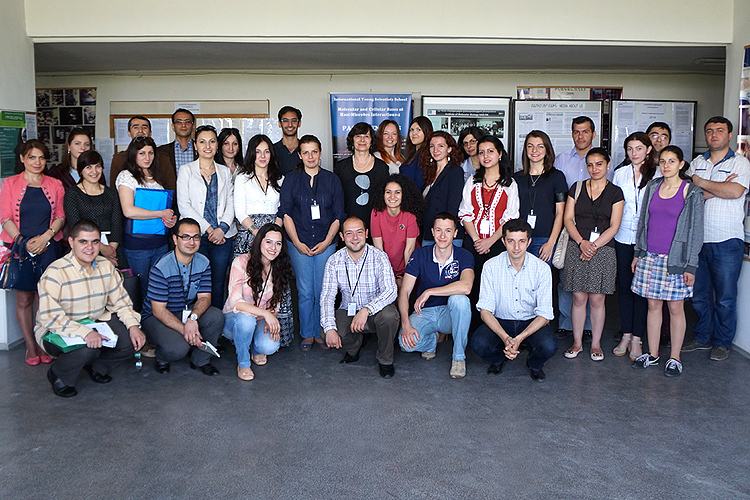 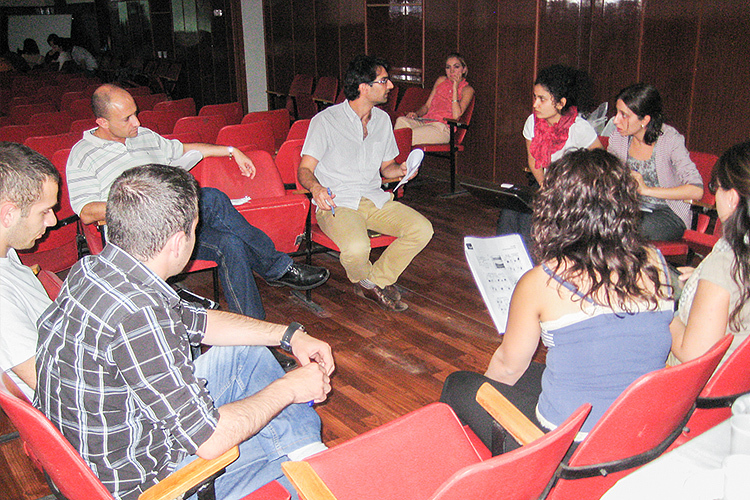 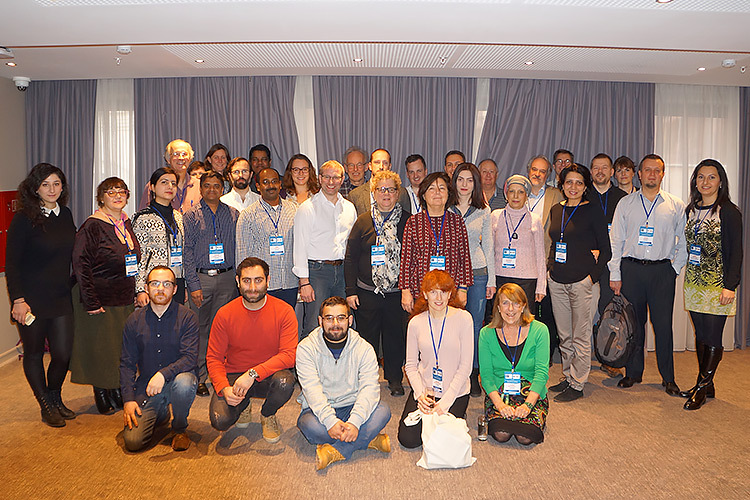 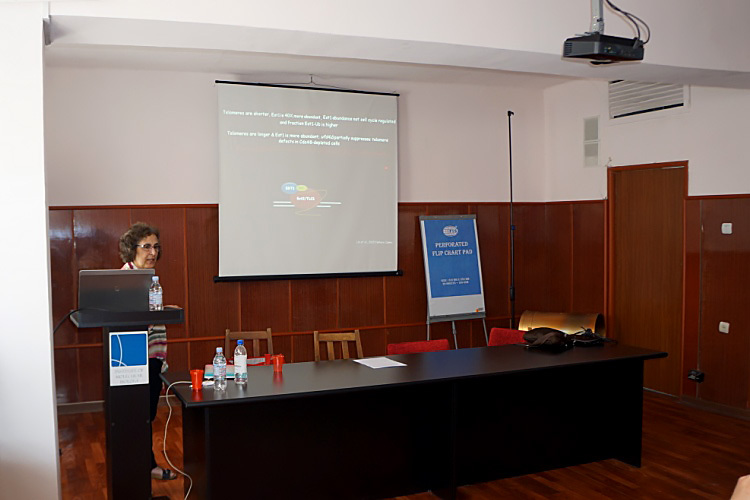 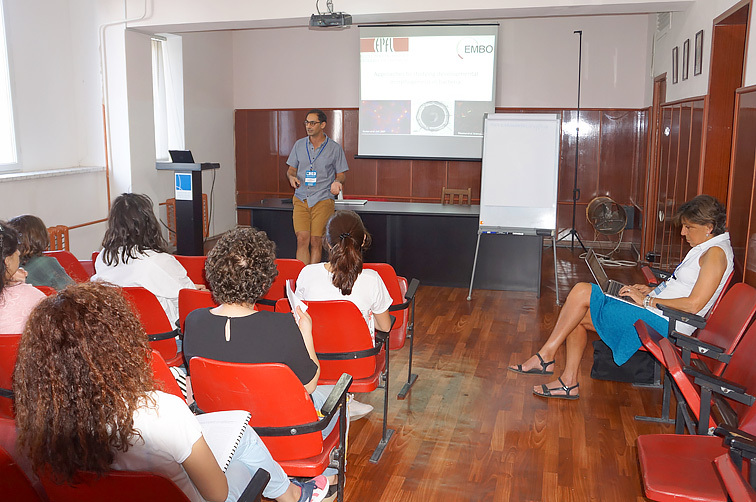 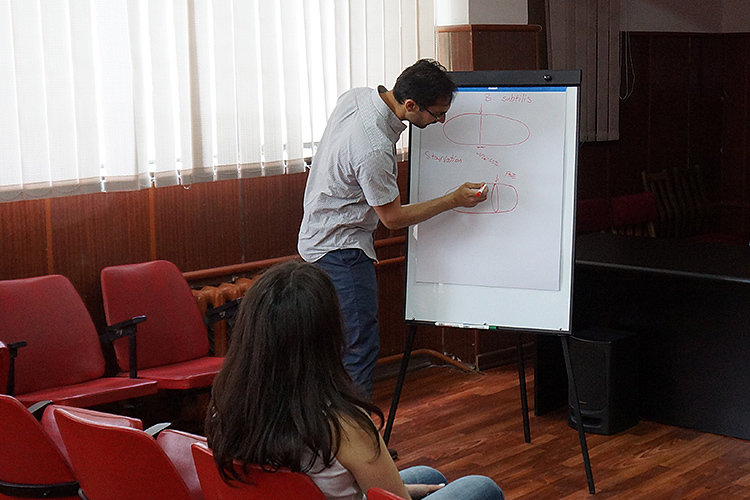 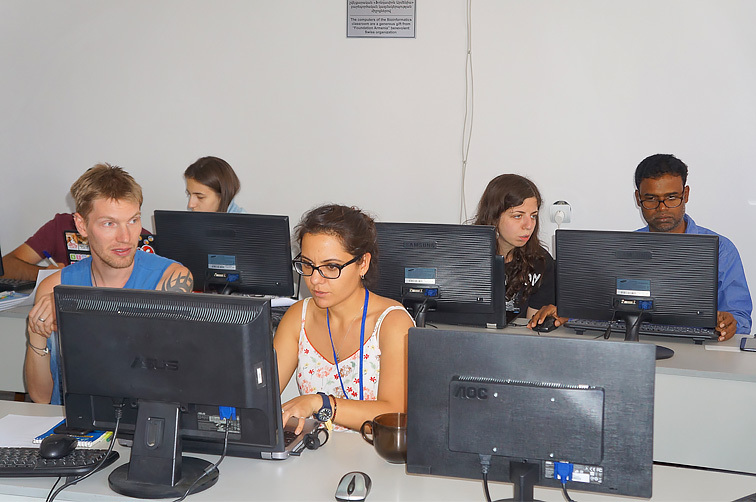 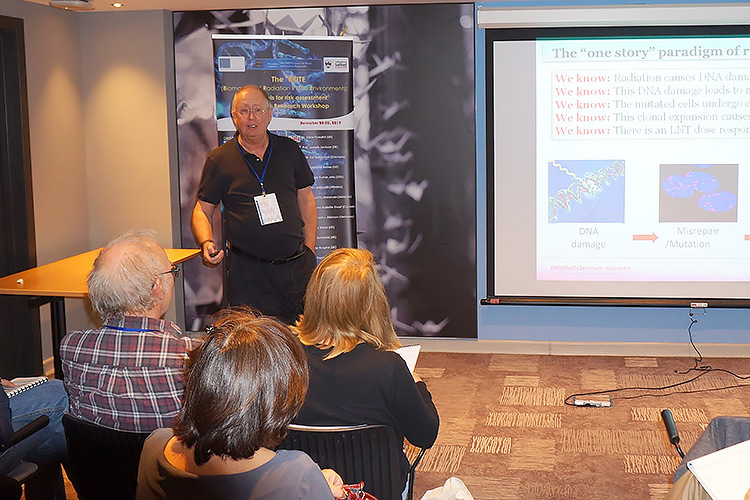 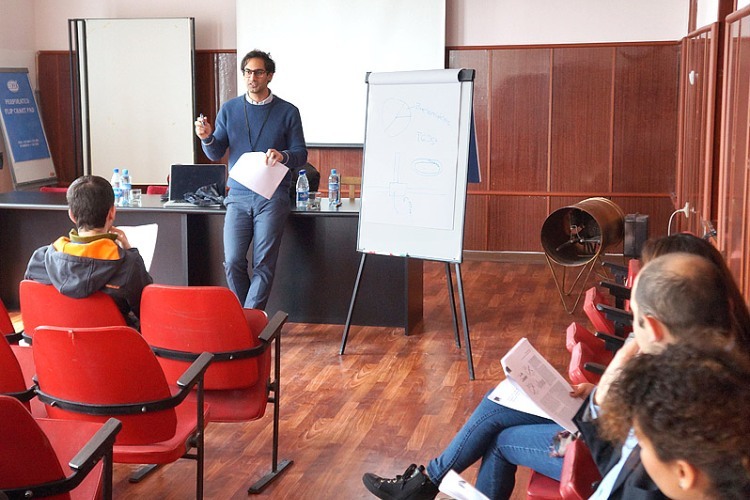 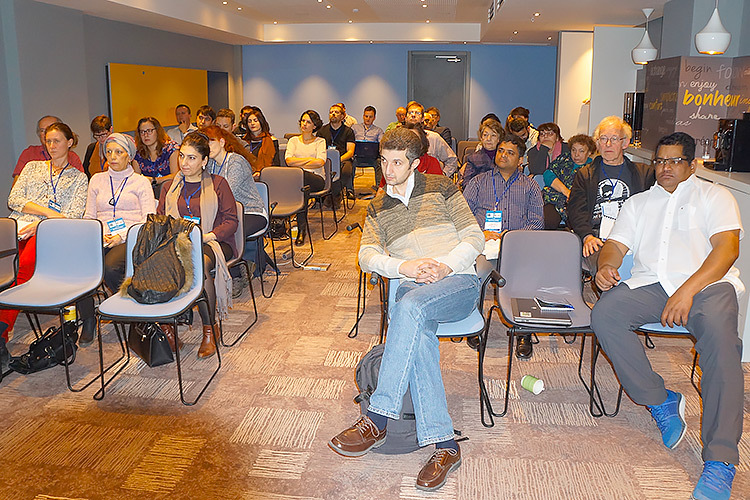 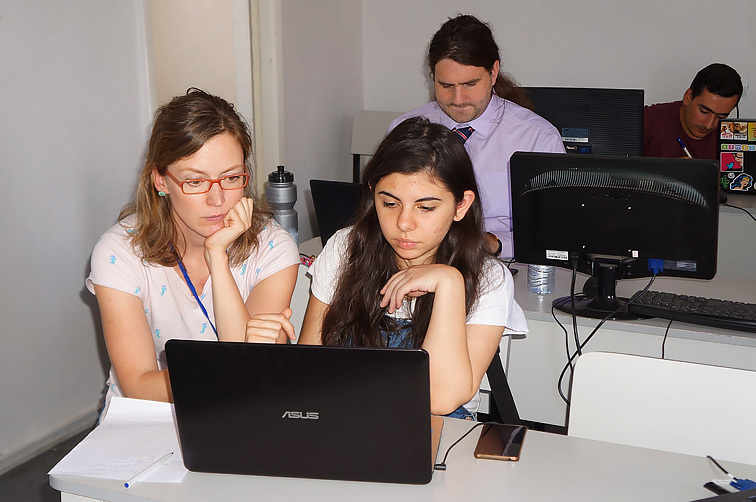 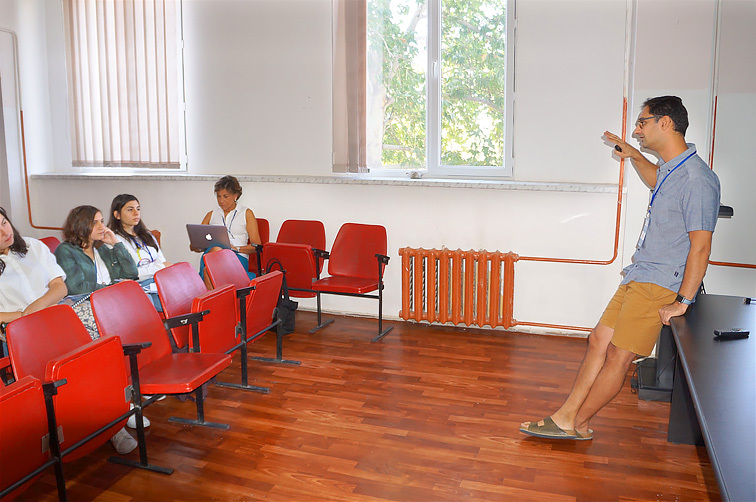 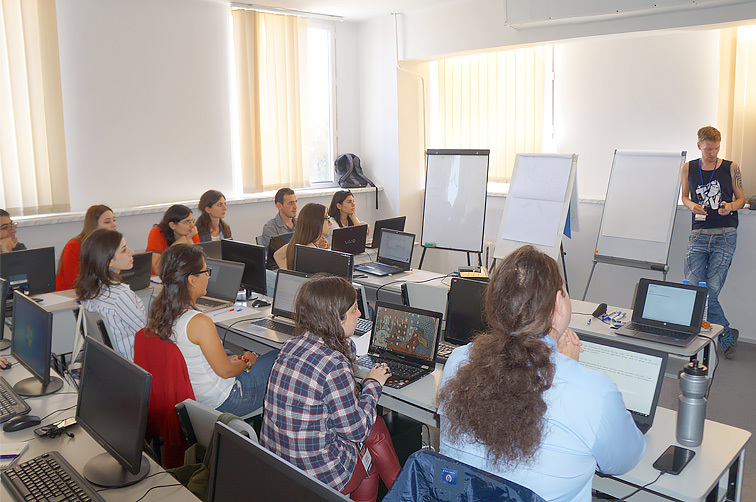 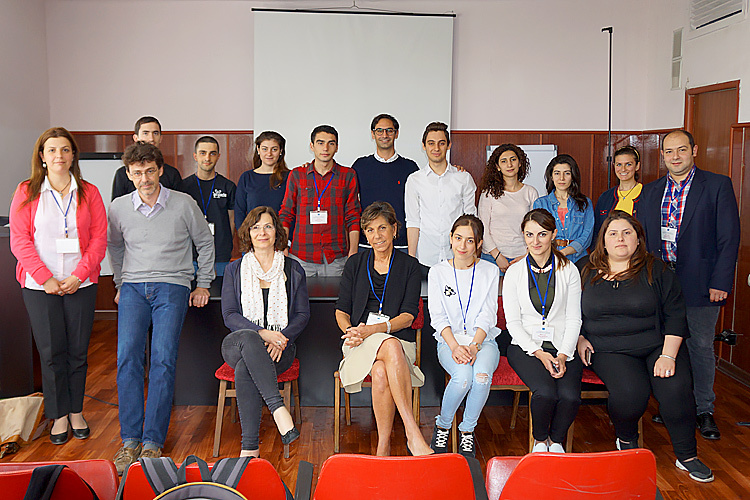 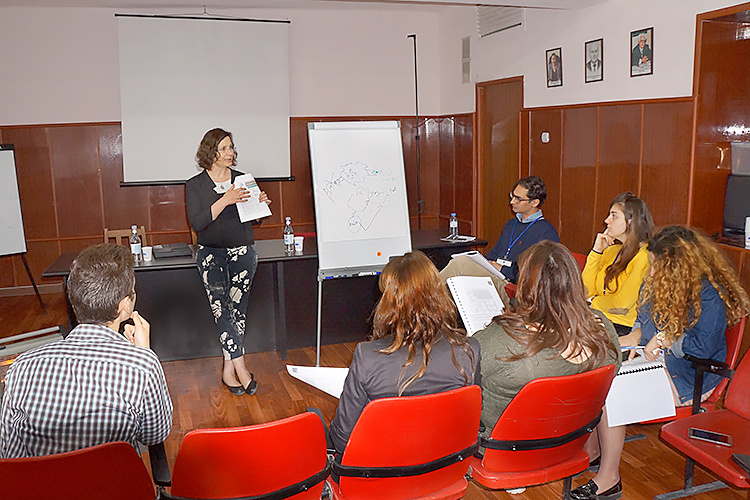 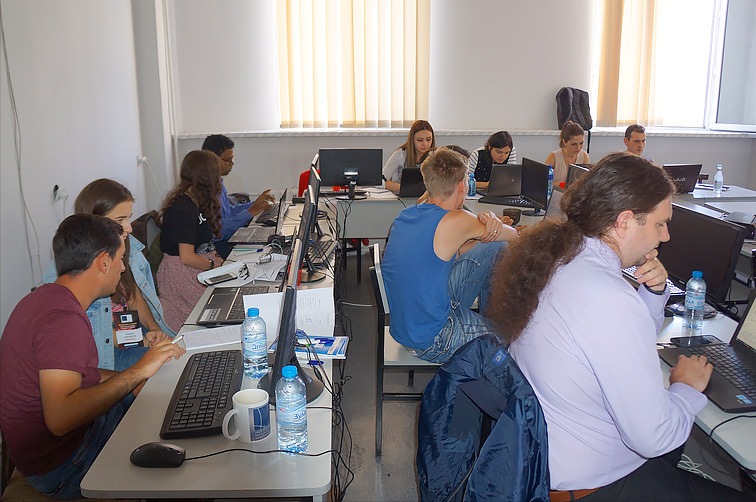 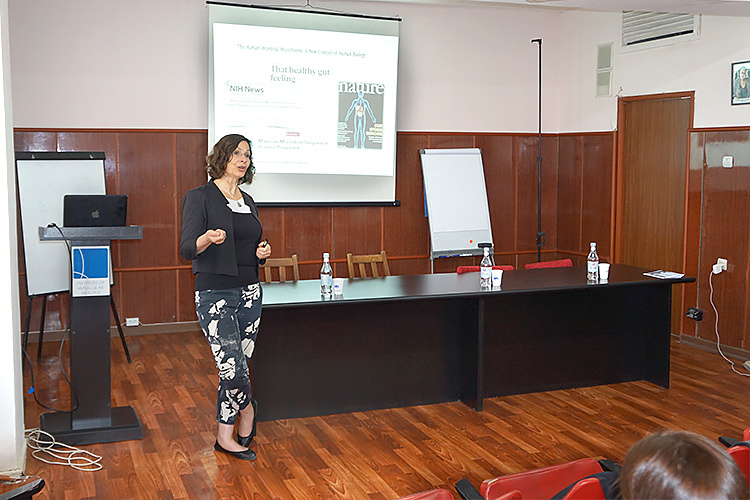 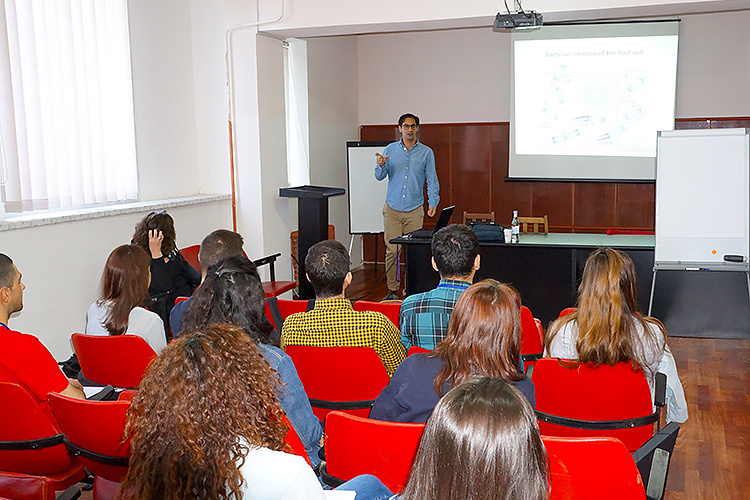 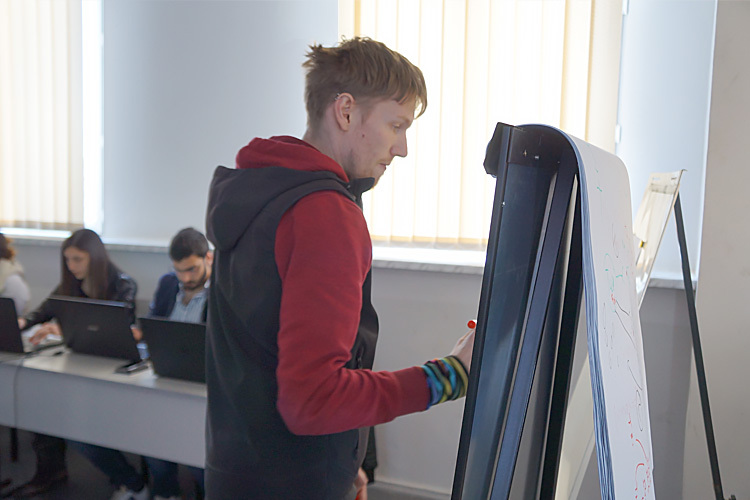 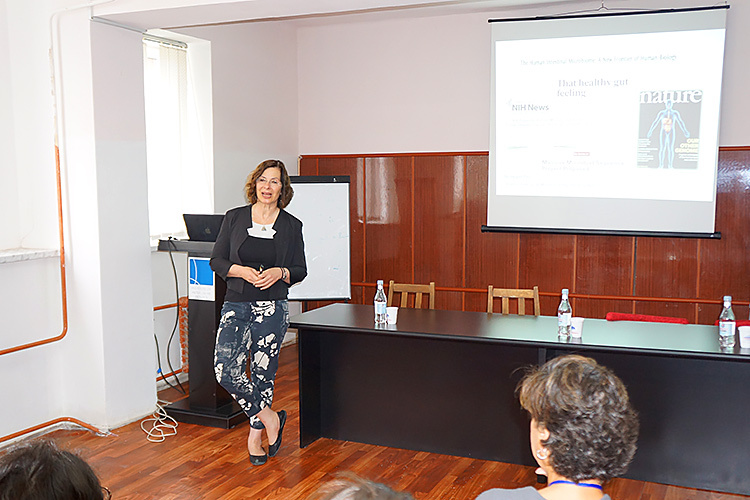 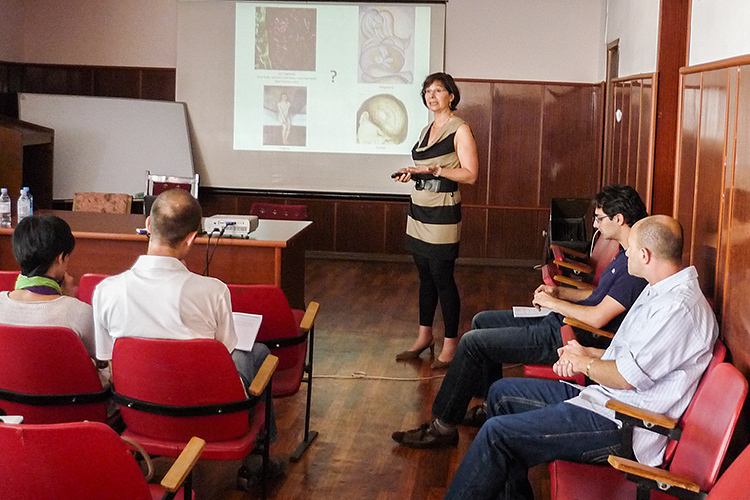 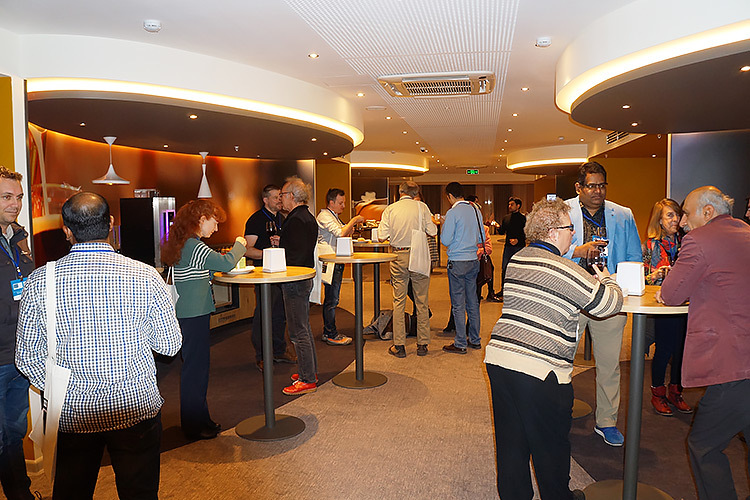 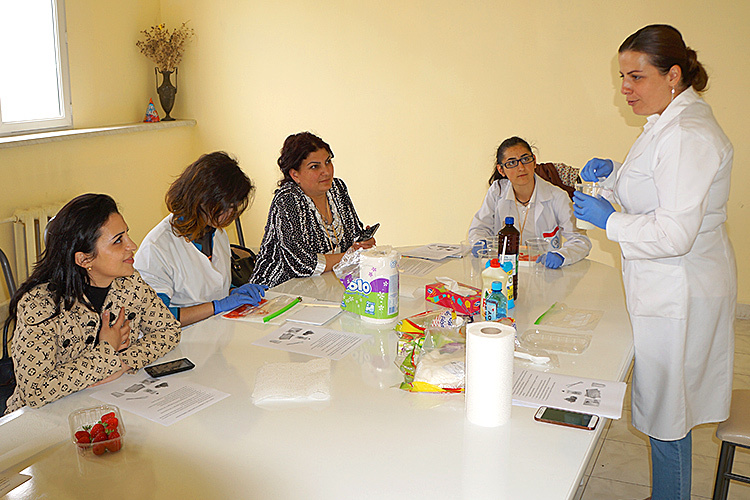 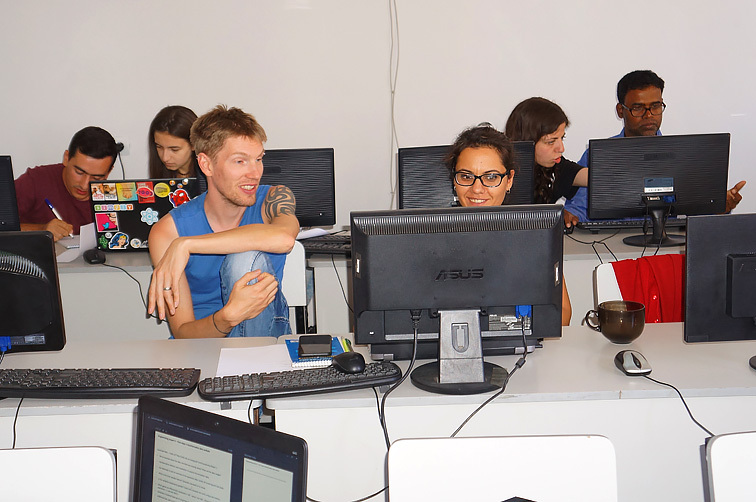 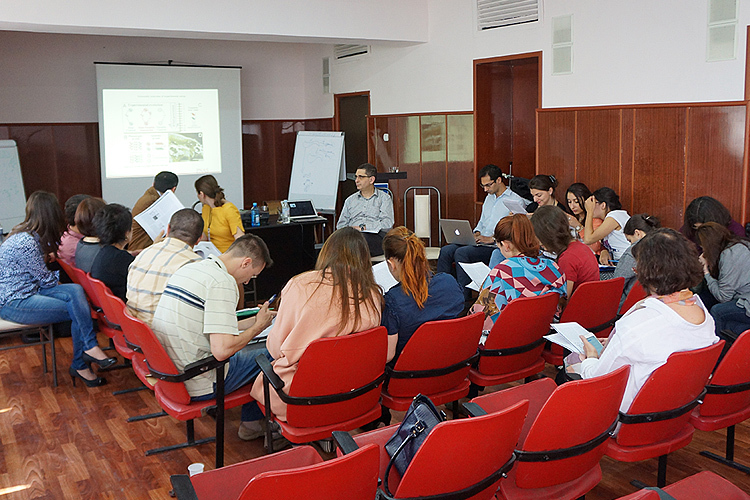 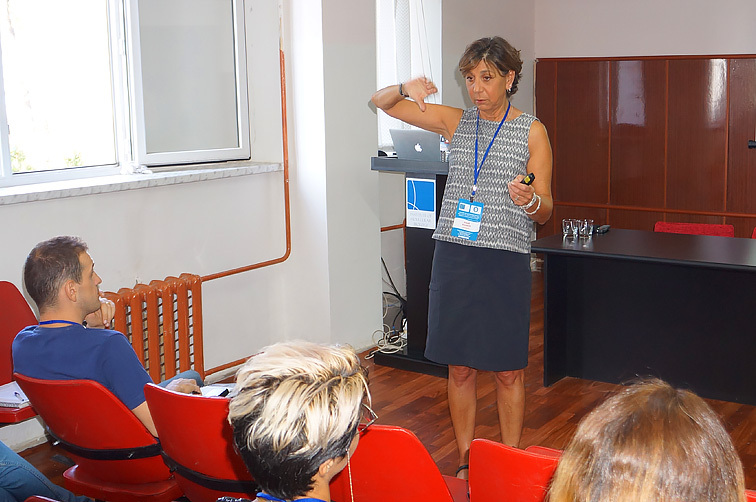 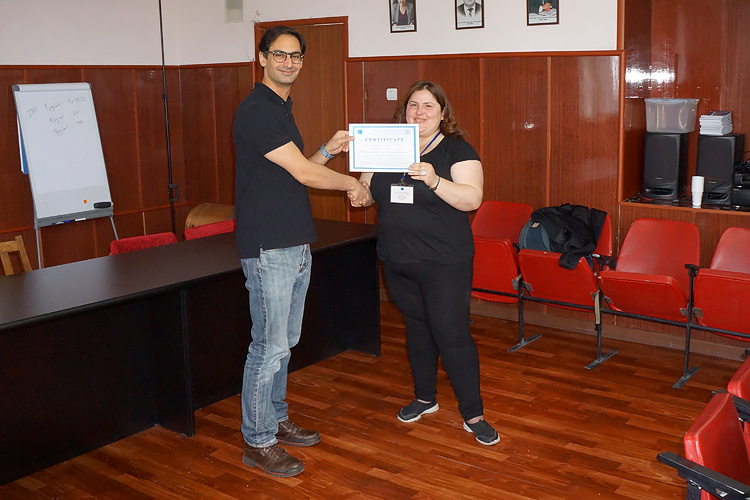 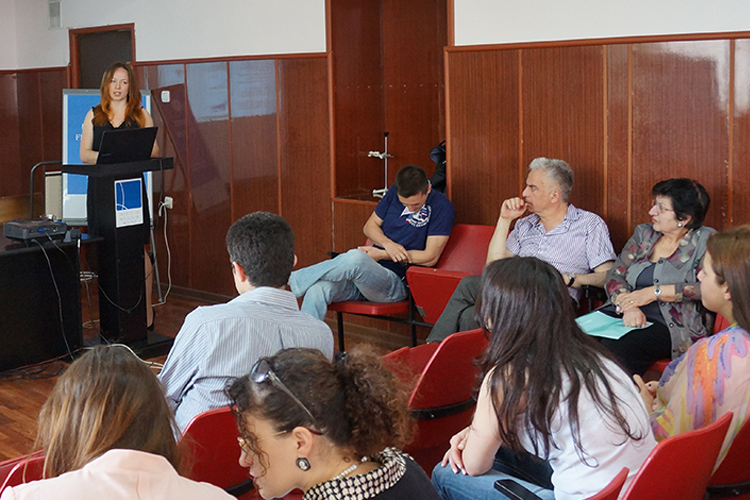 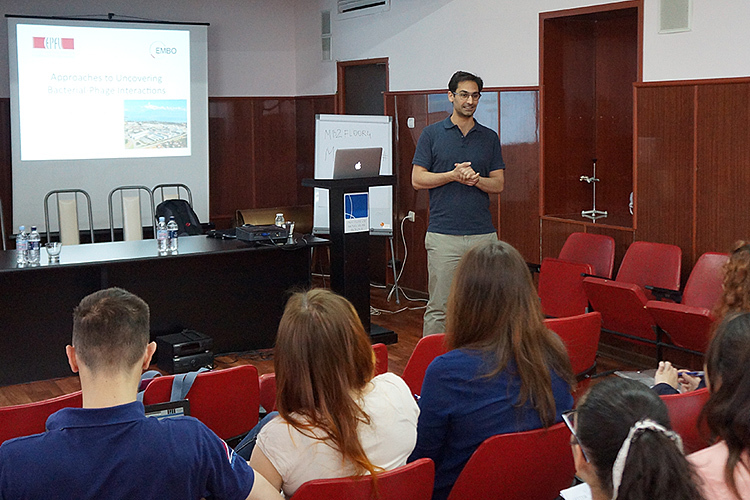 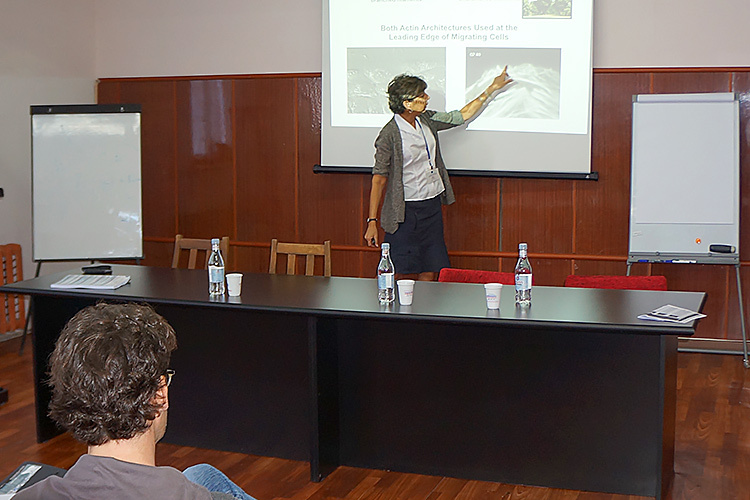 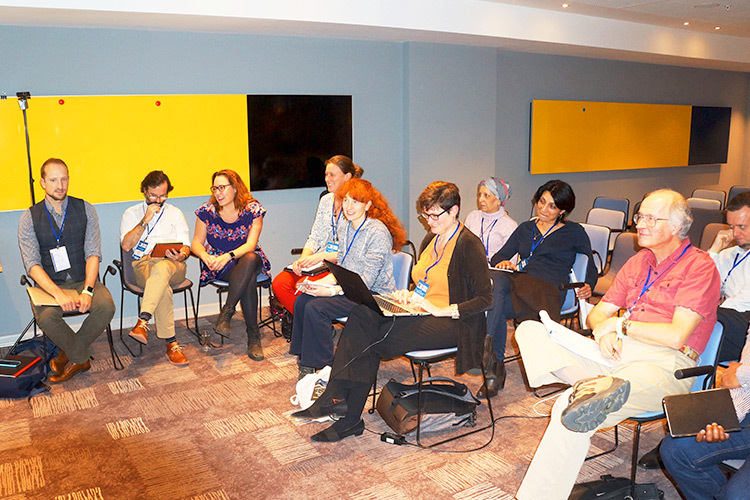 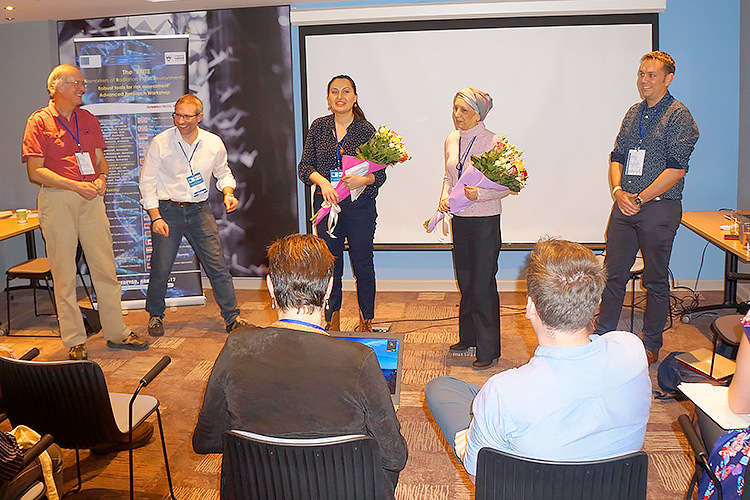 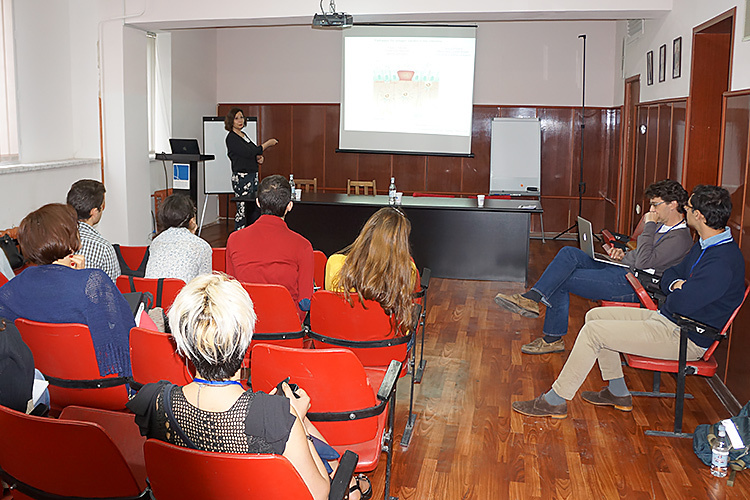 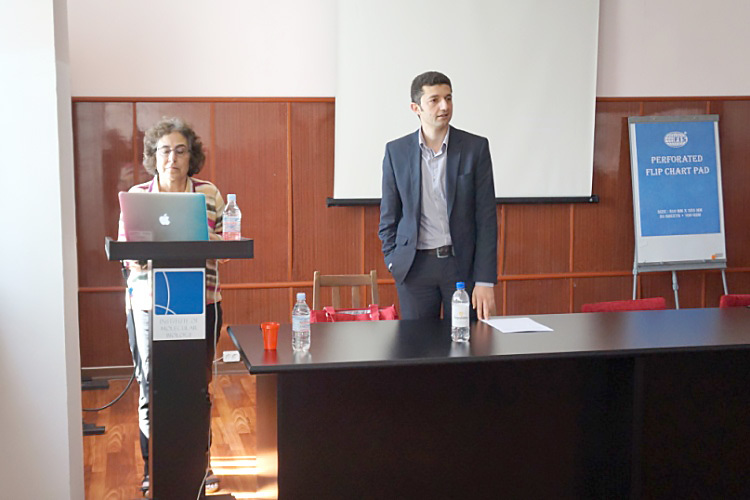 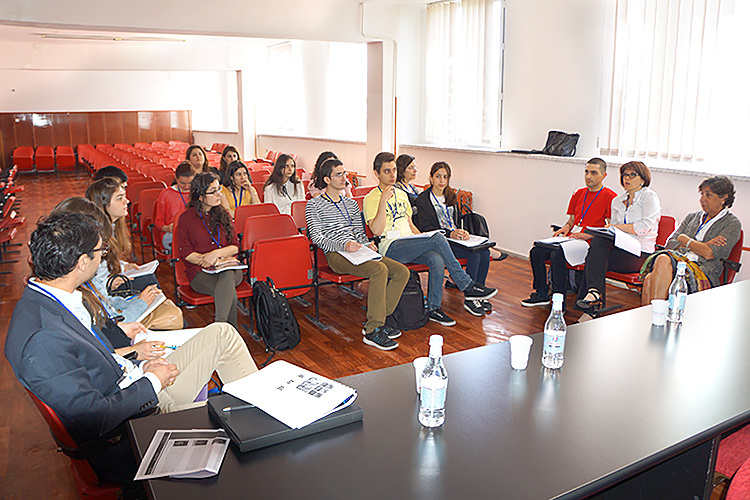 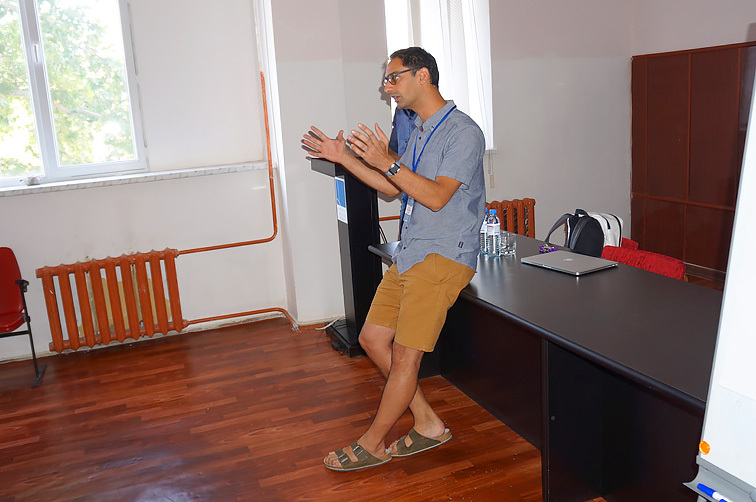 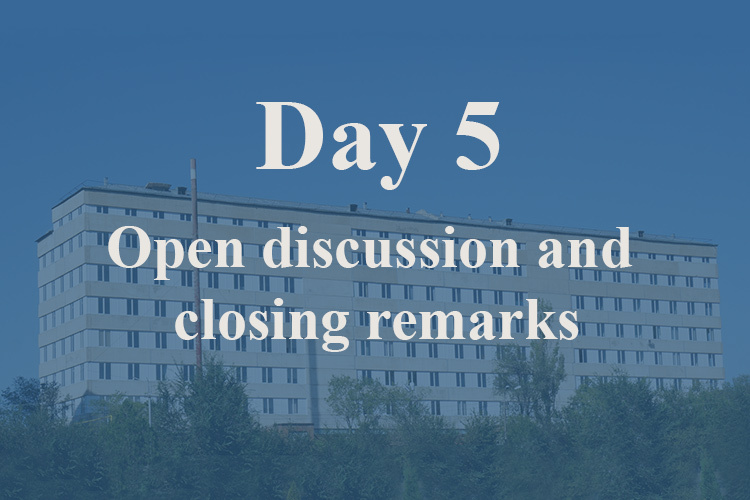 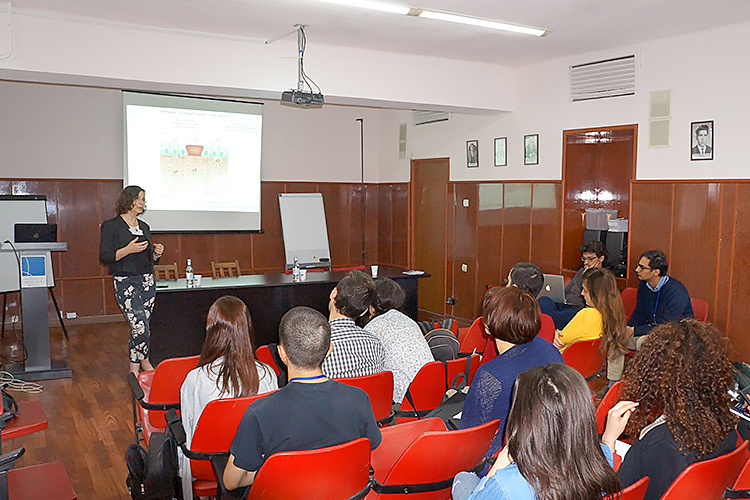 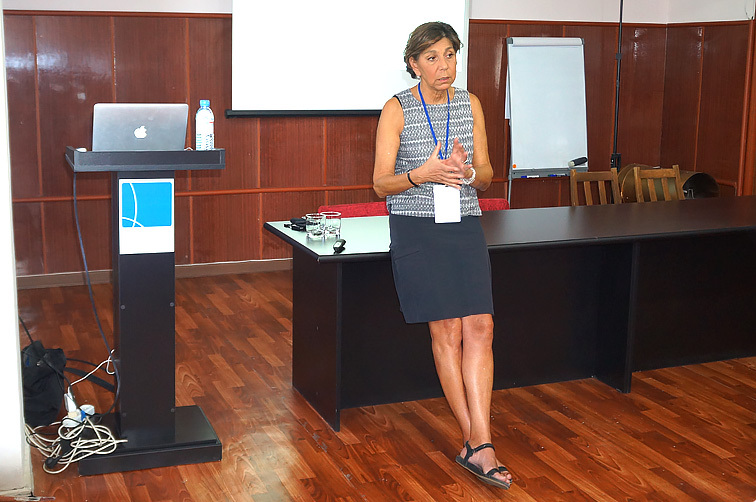 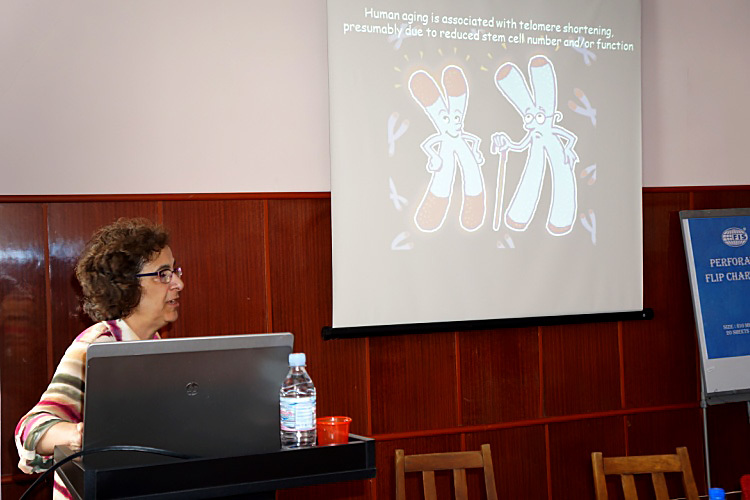 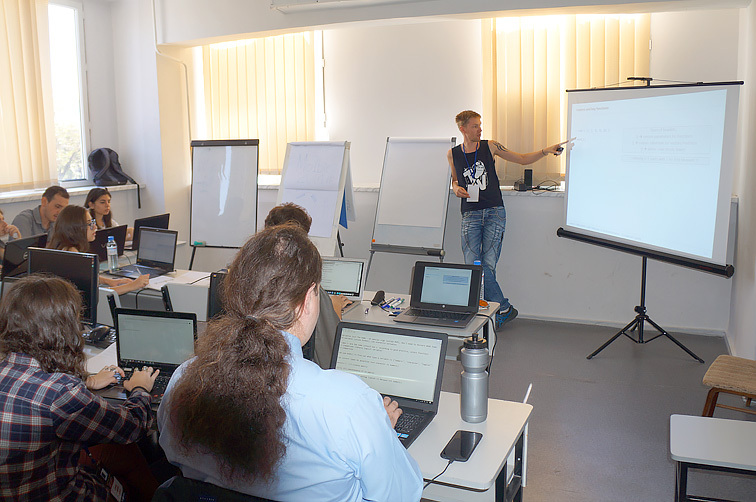 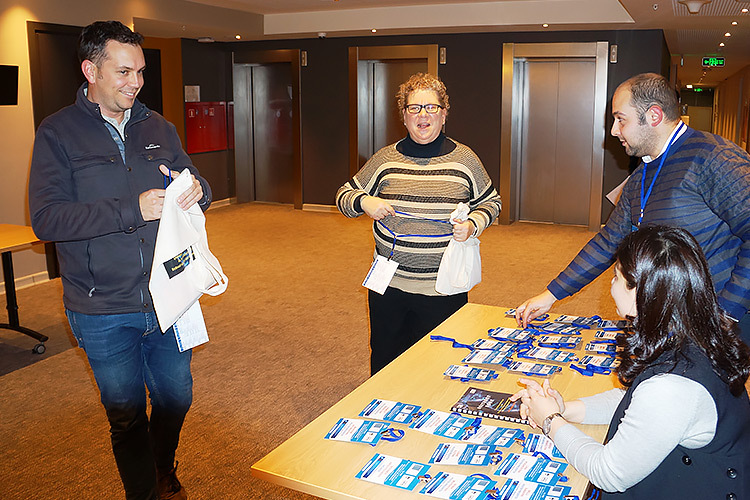 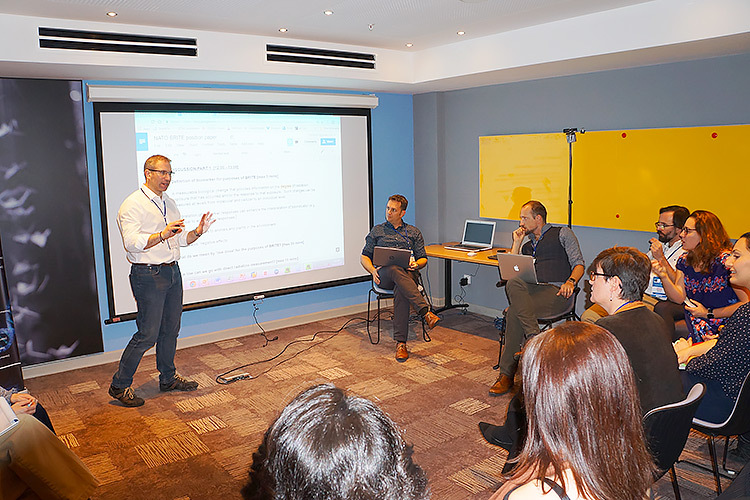 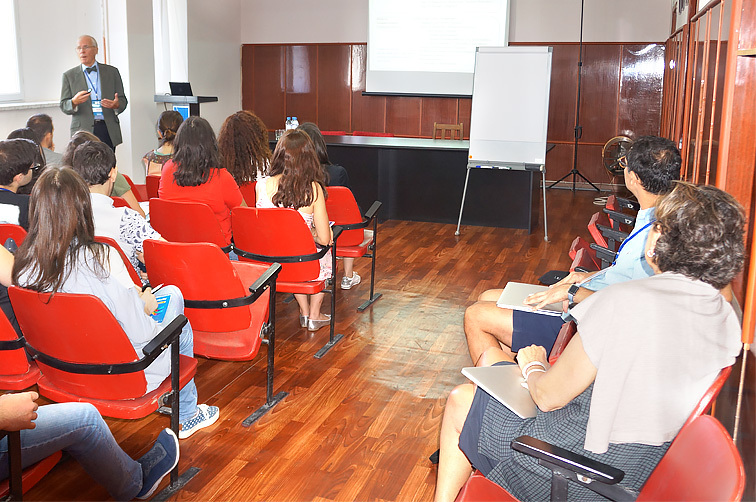 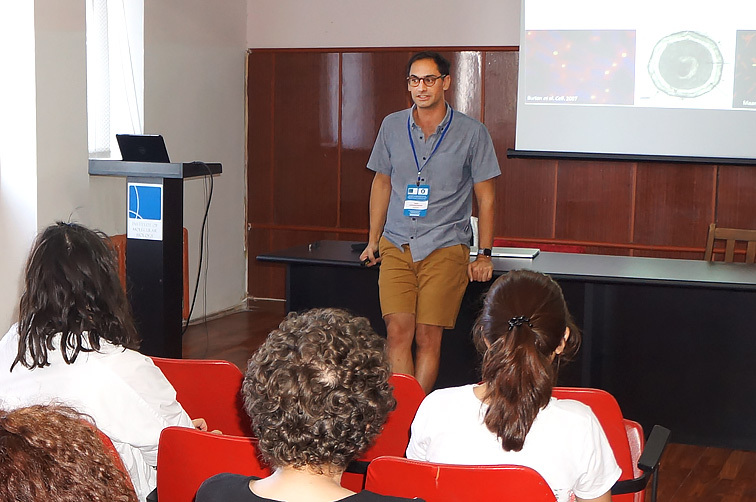 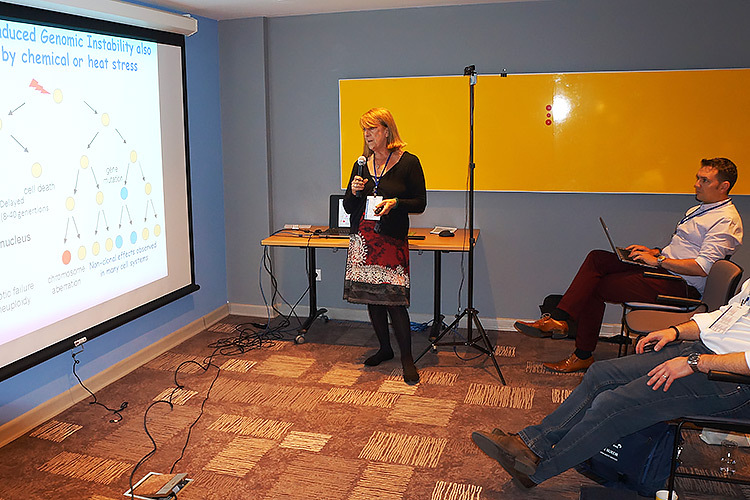 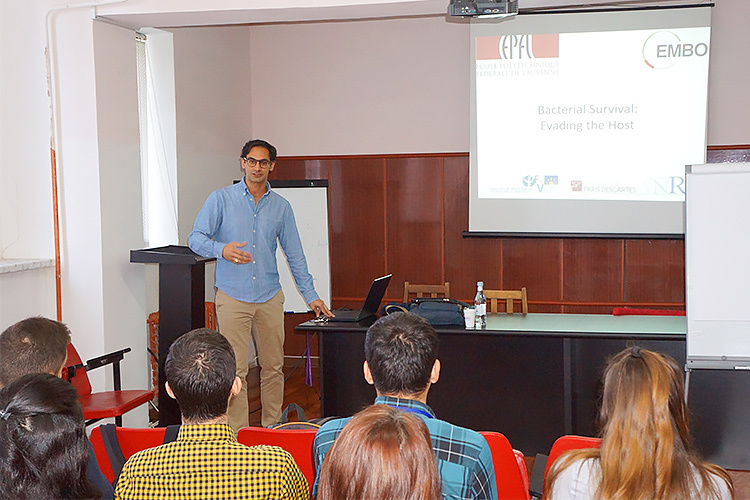 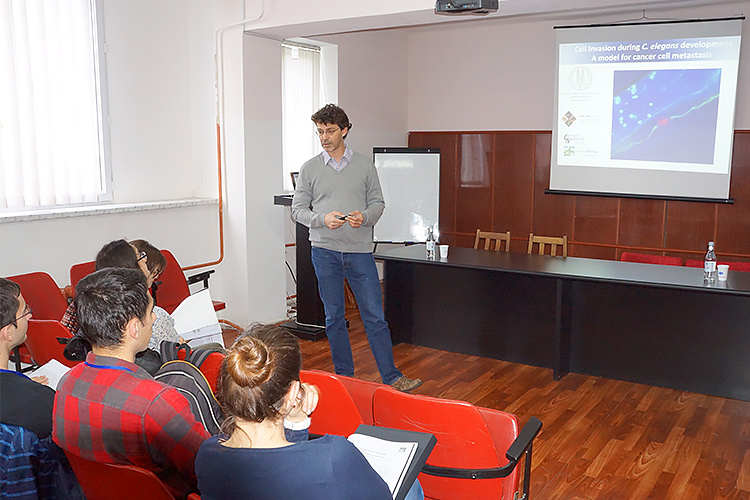 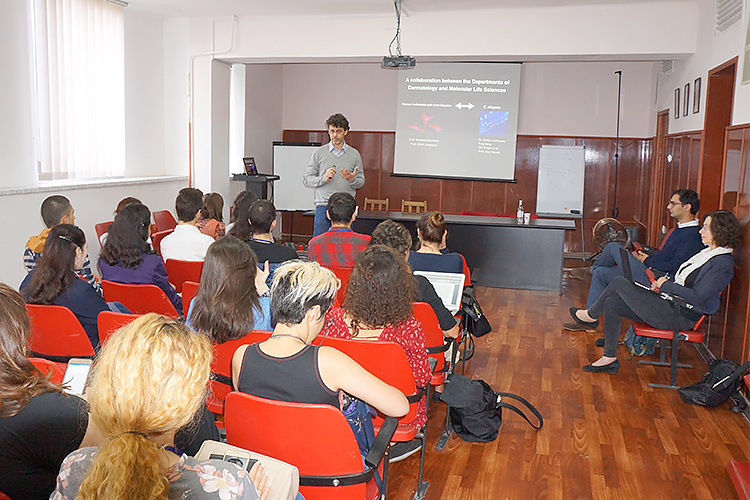 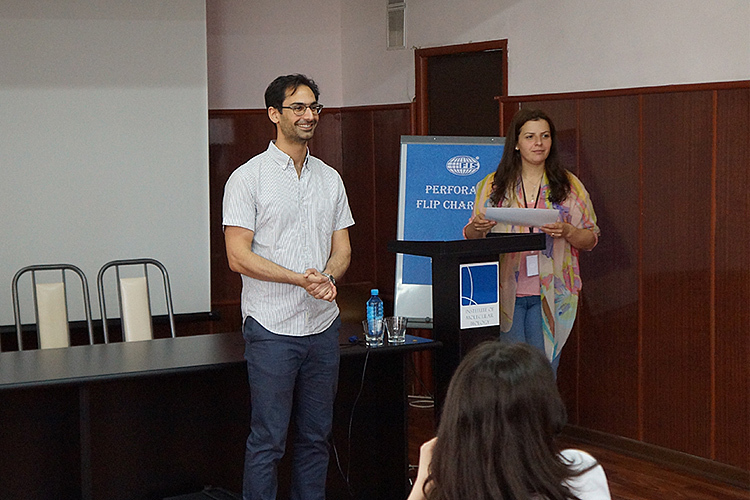 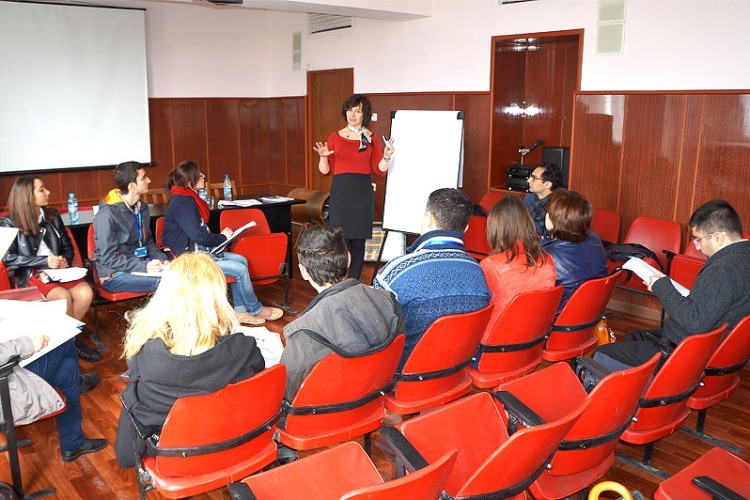 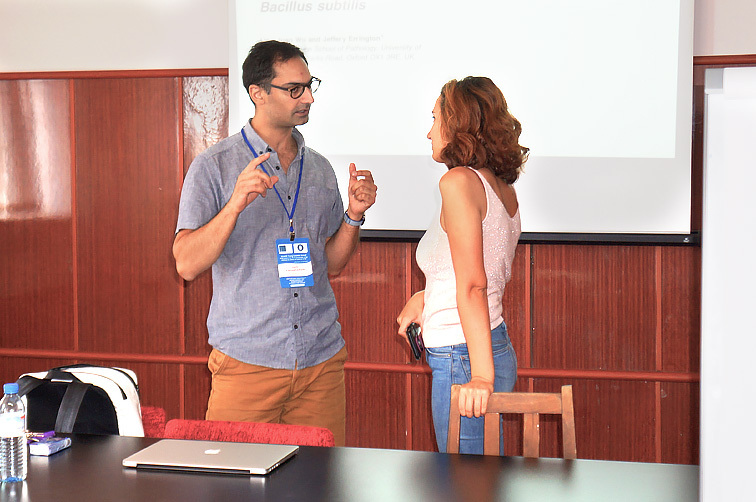 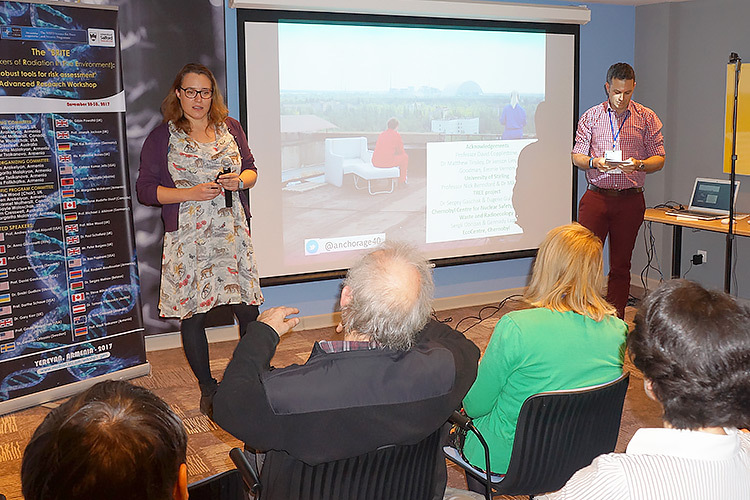 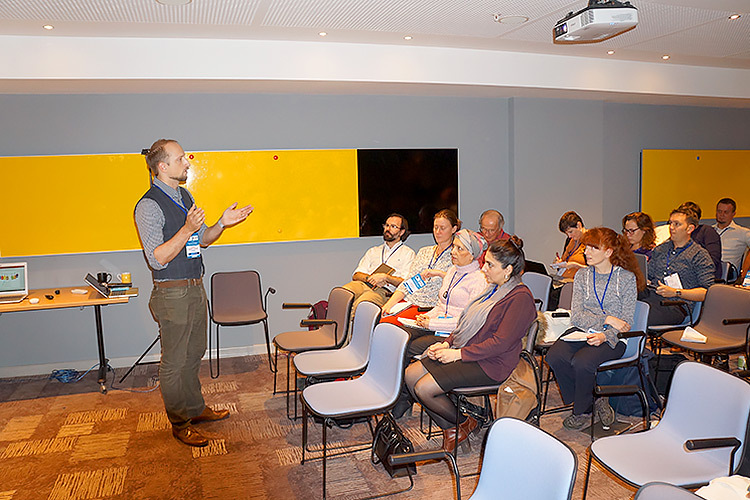 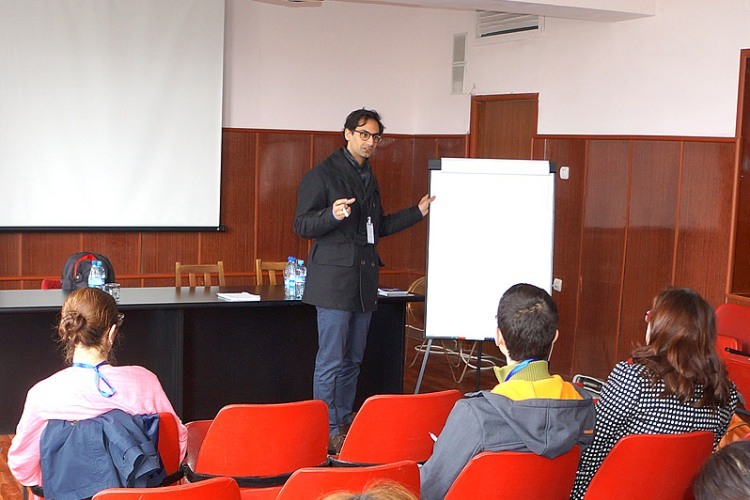 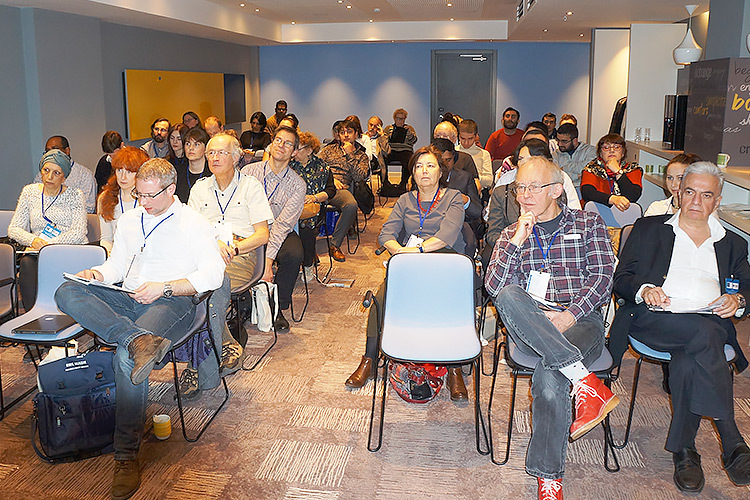 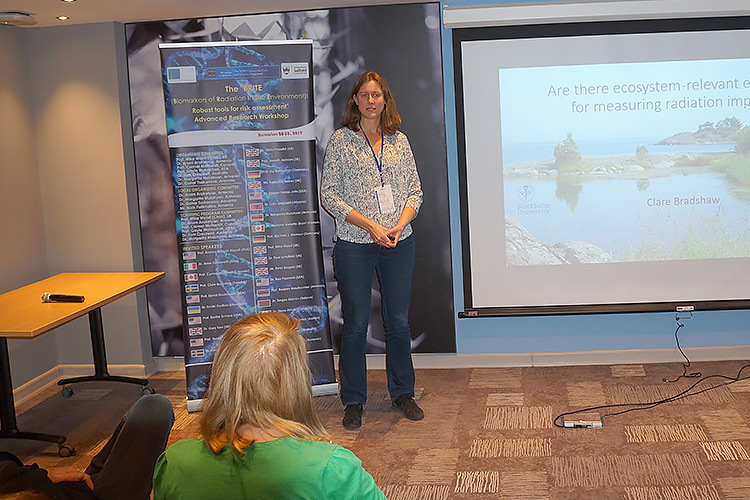 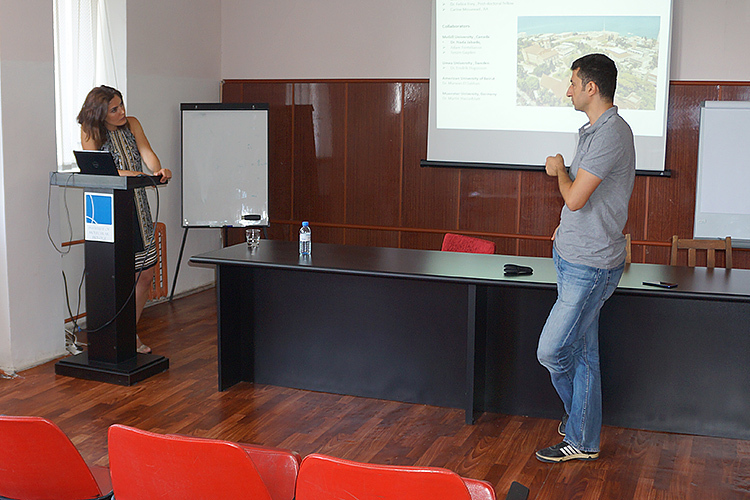 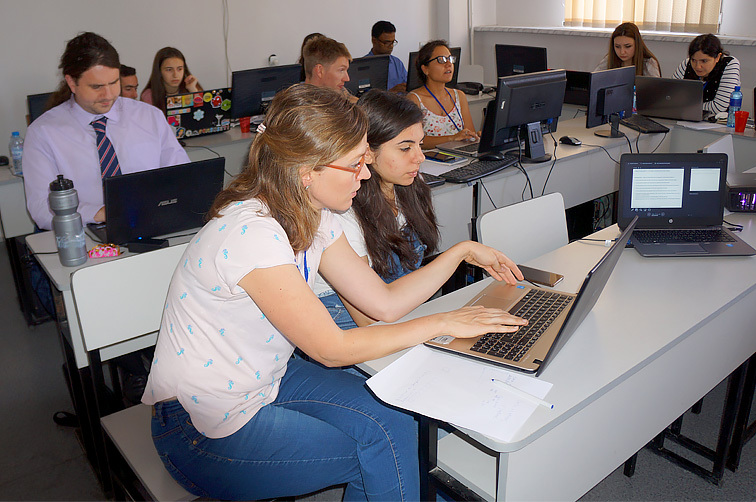 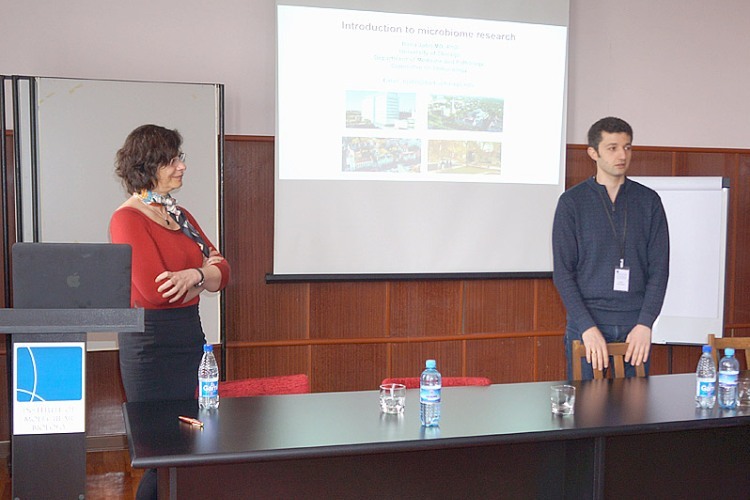 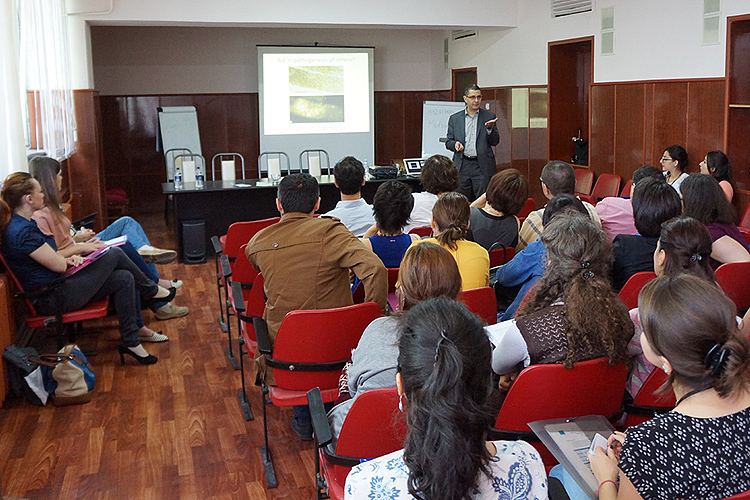 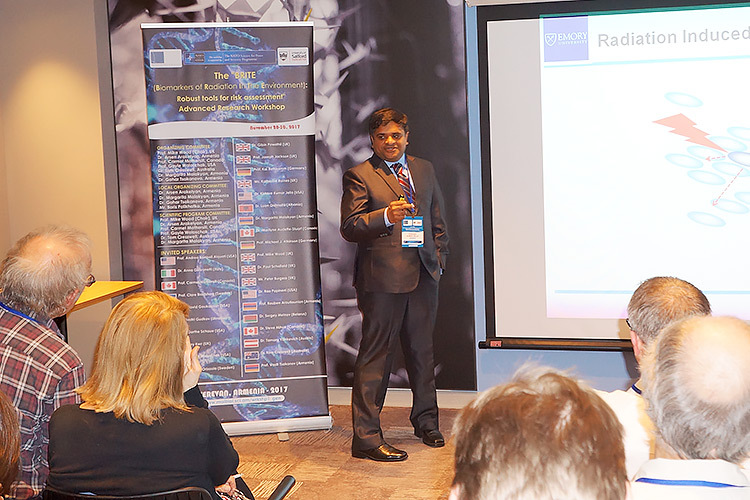 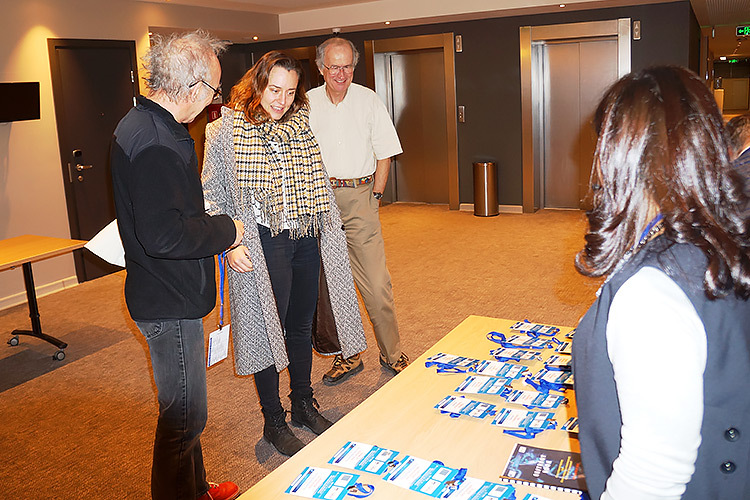 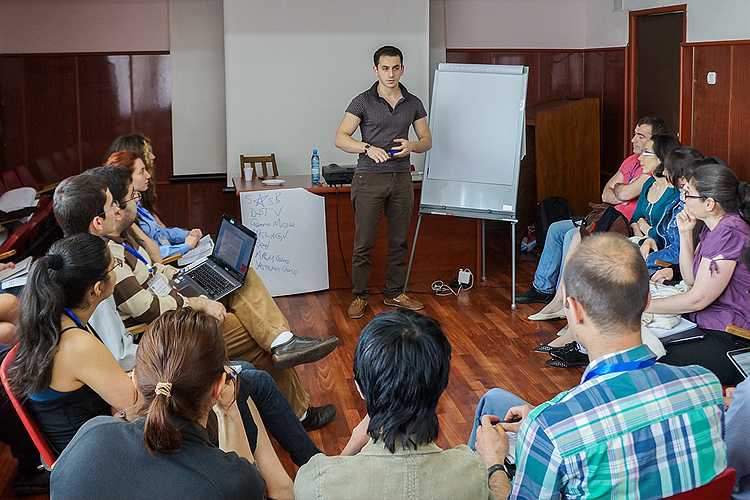 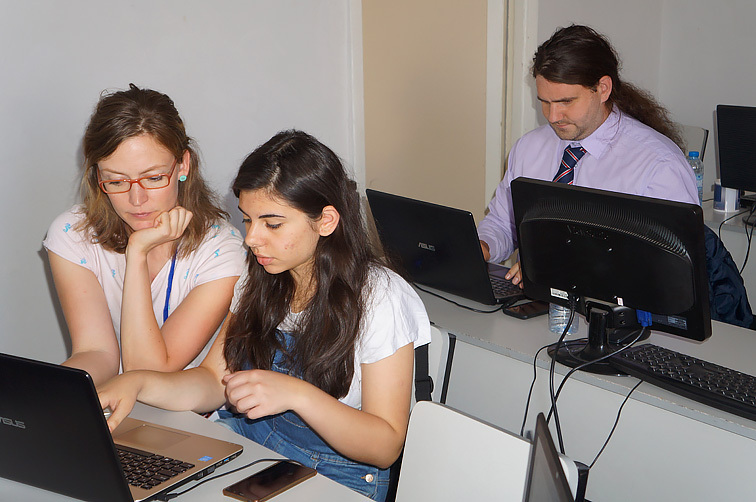 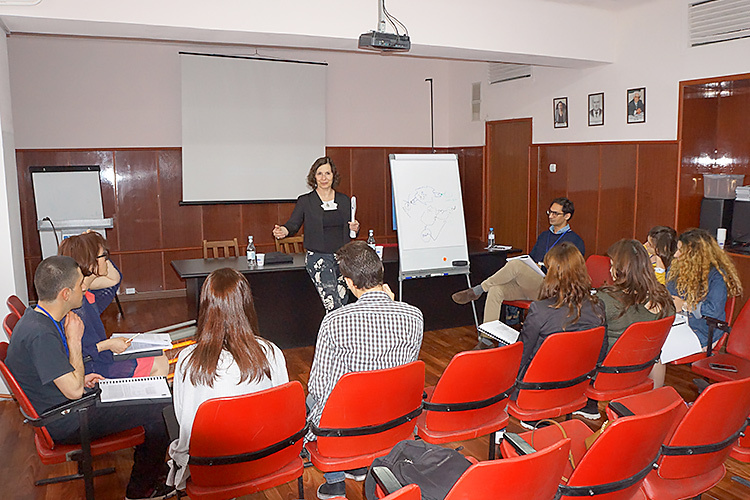 The Fifth Young Scientists School "Molecular and cellular bases of host-microbes interactions: microbiome research". 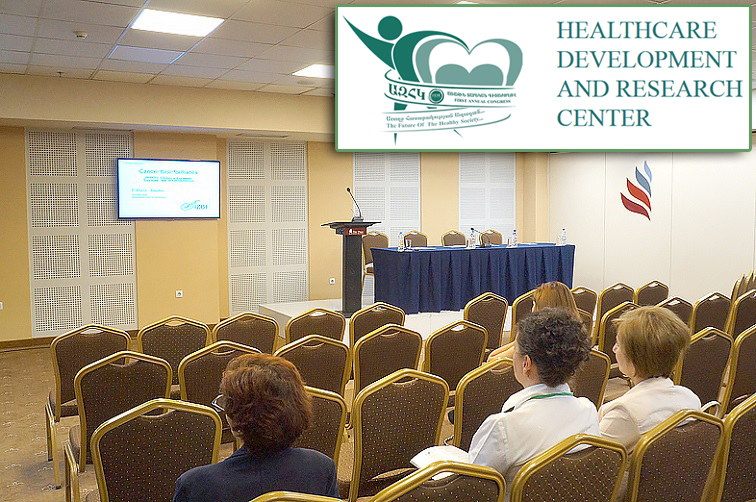 March 28-31, 2016, Yerevan, Armenia. 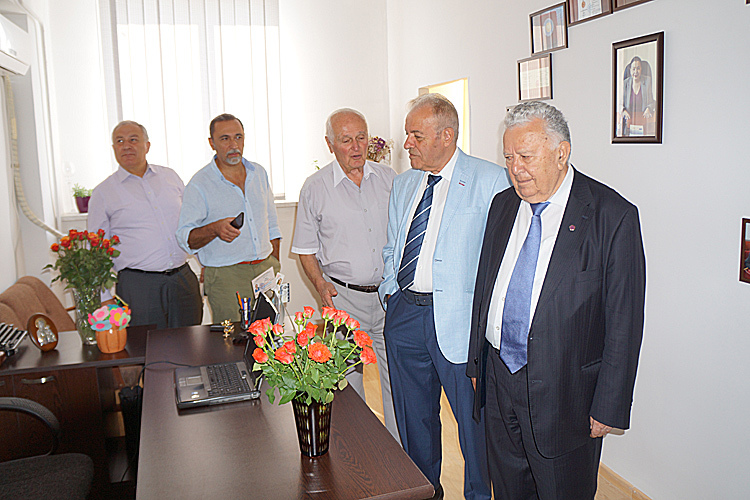 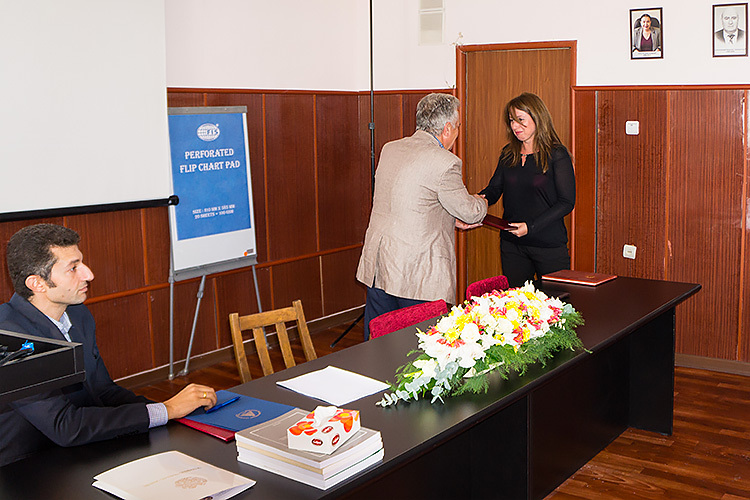 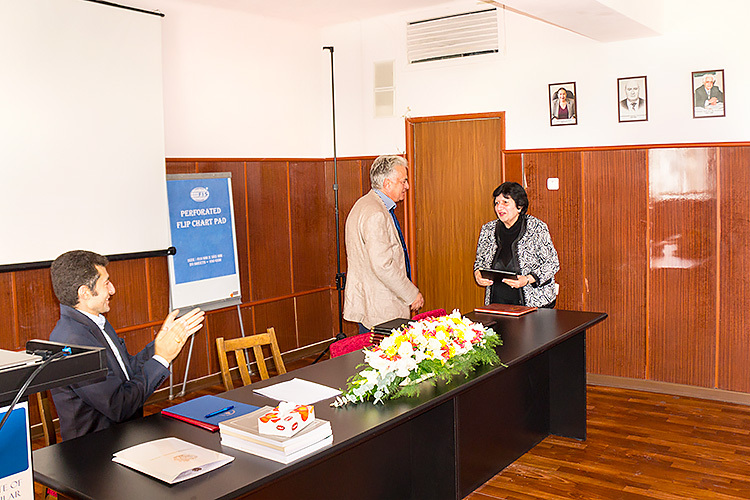 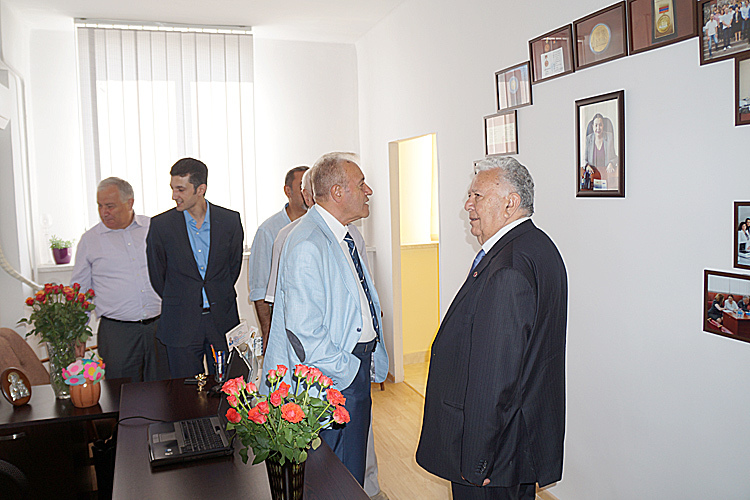 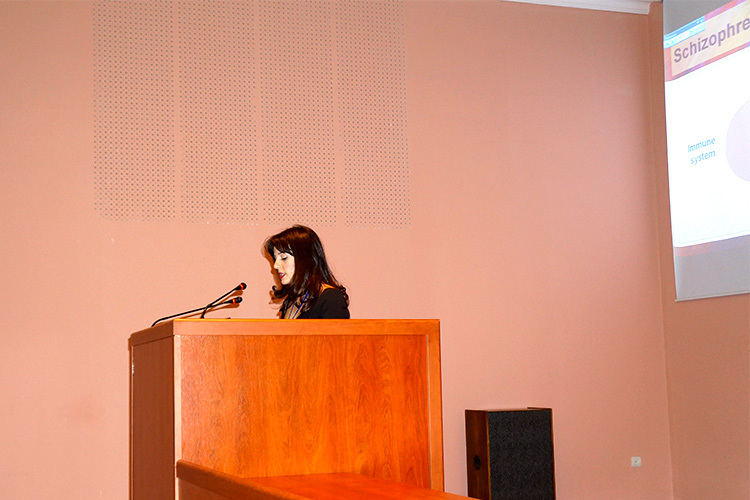 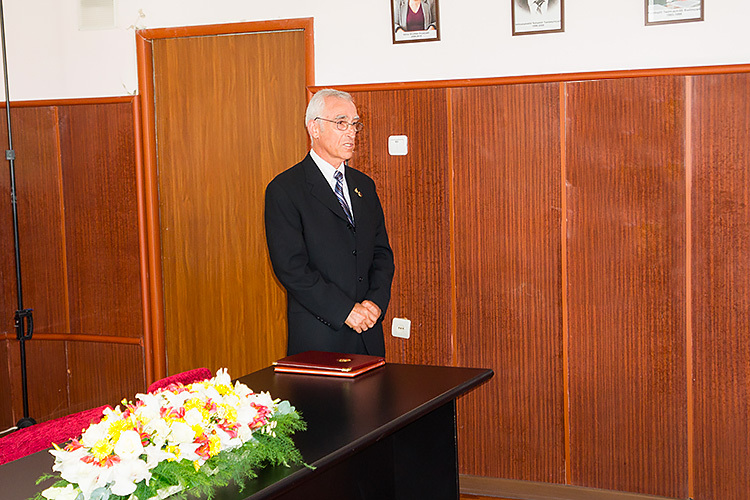 OPENING OF THE MEMORIAL ROOM IN MEMORY OF ANNA BOYAJYAN. 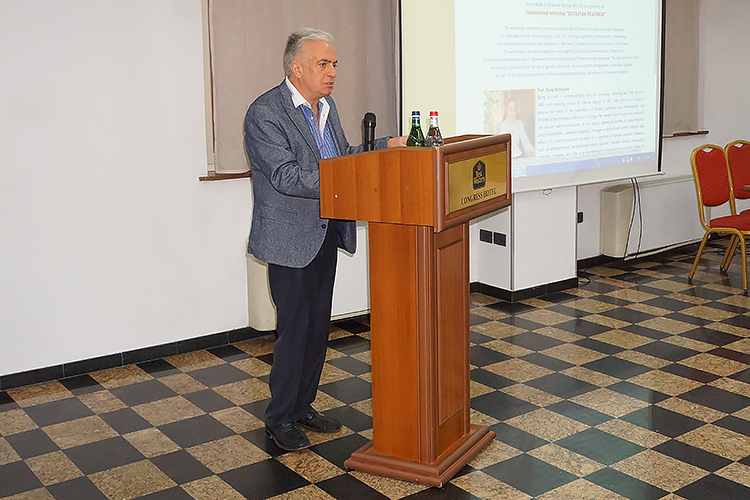 October 5, 2015, Yerevan, Armenia. 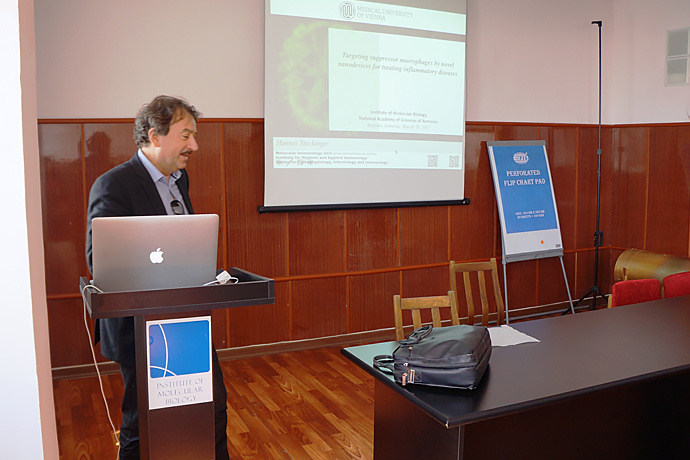 "Molecular and Cellular Bases of Host-Microbes Interactions: Immunogenomics". 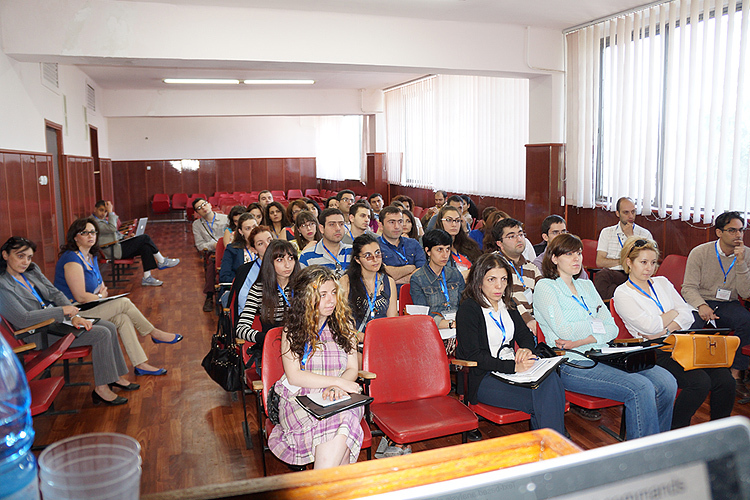 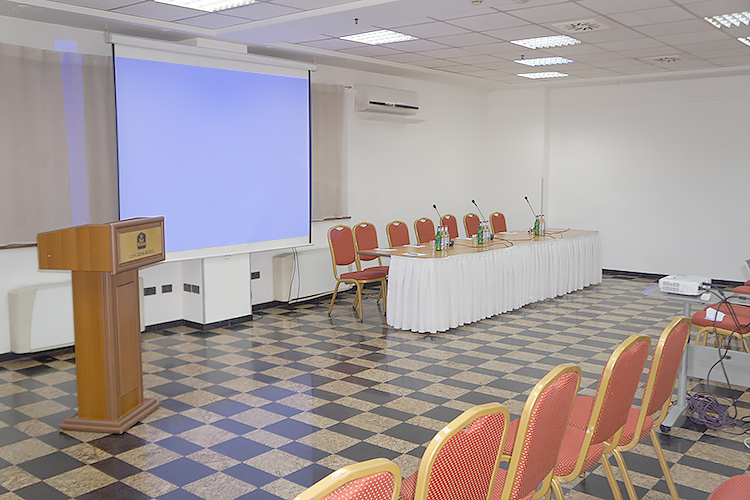 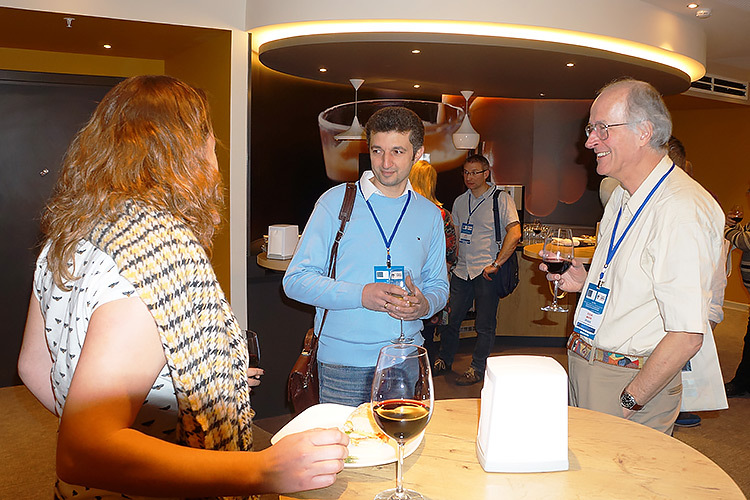 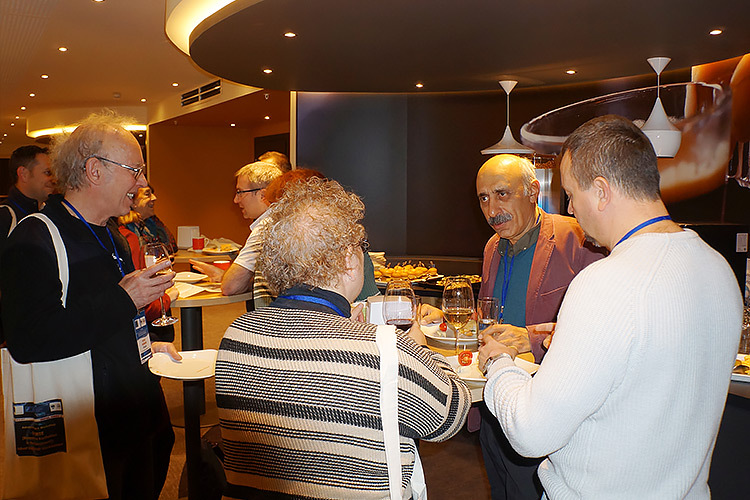 May 25 - 29, 2015, Yerevan, Armenia. 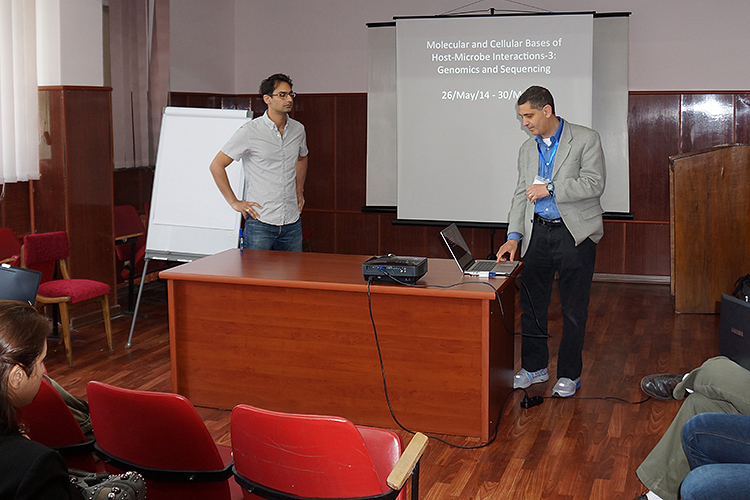 "Molecular and Cellular Bases of Host-Microbes Interactions: Genomics and Sequencing". 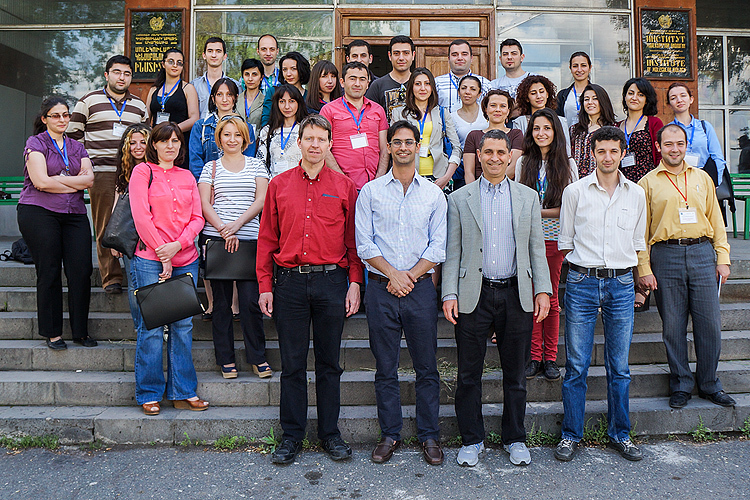 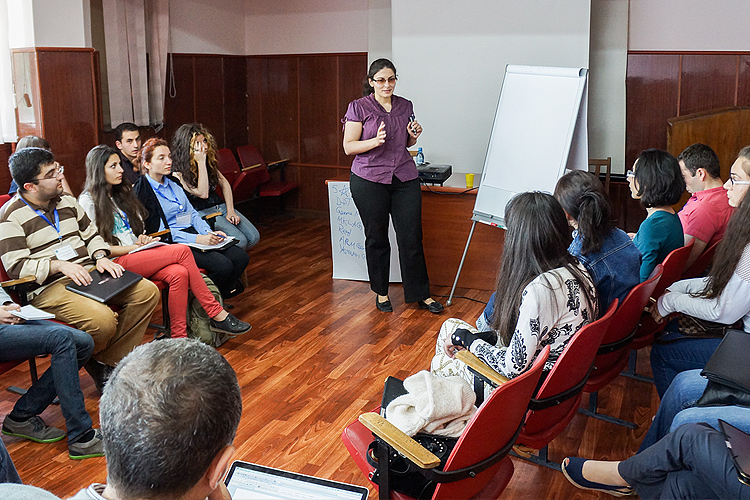 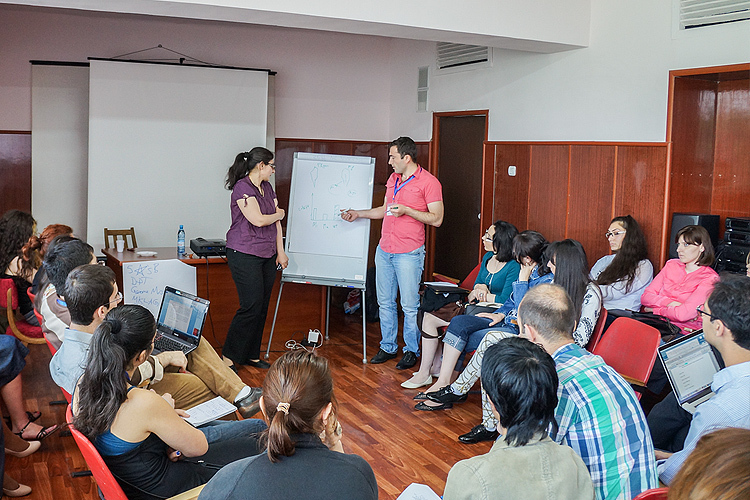 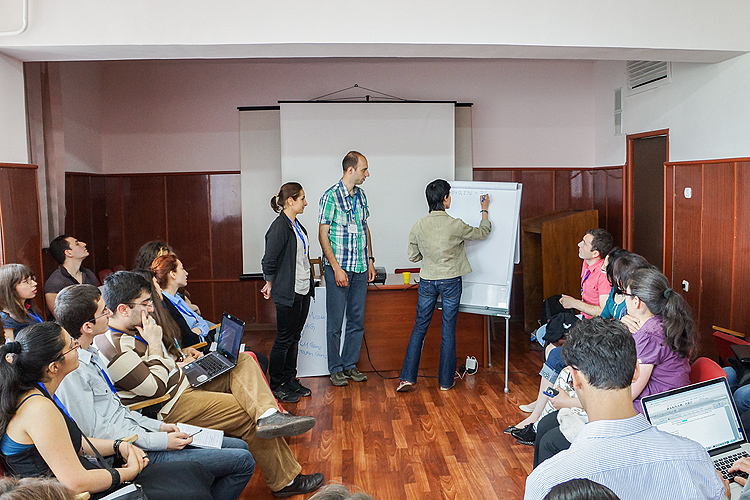 May 26 - June 08, 2014, Yerevan, Armenia. 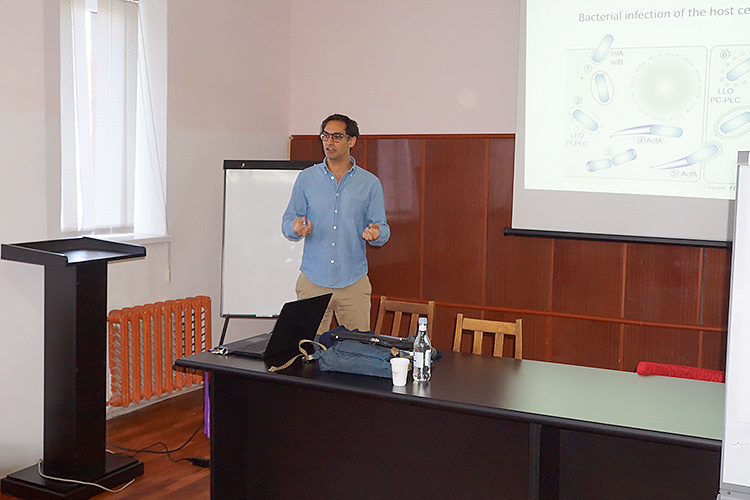 "Molecular and Immunological Bases of Host-Microbes Interactions-2. 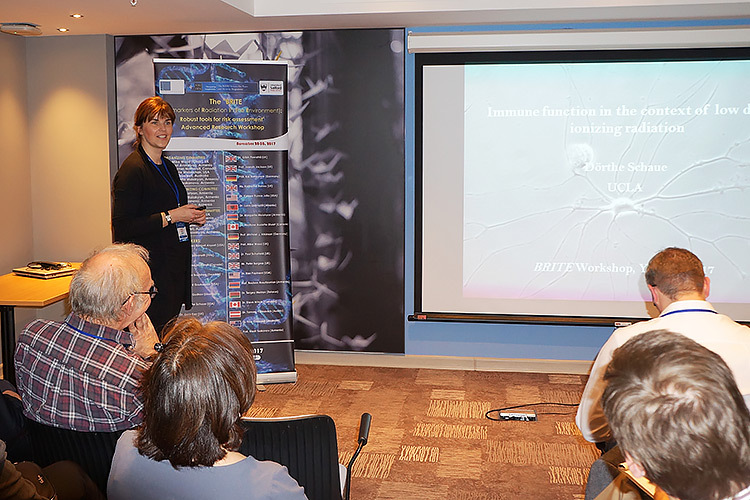 Focus on Inflammasome". 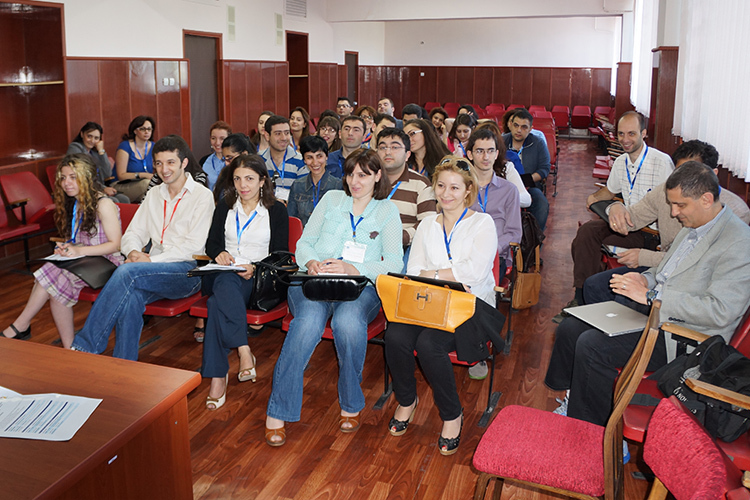 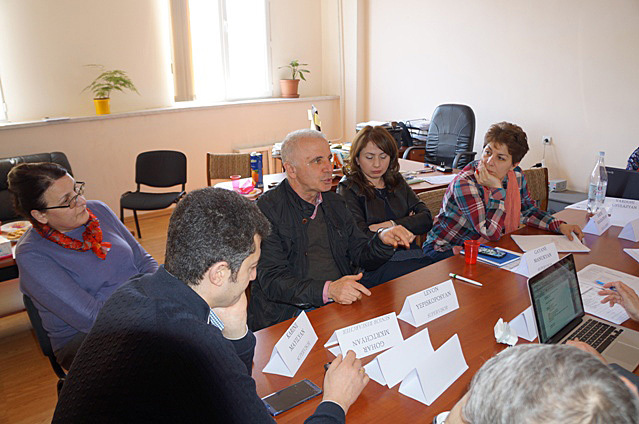 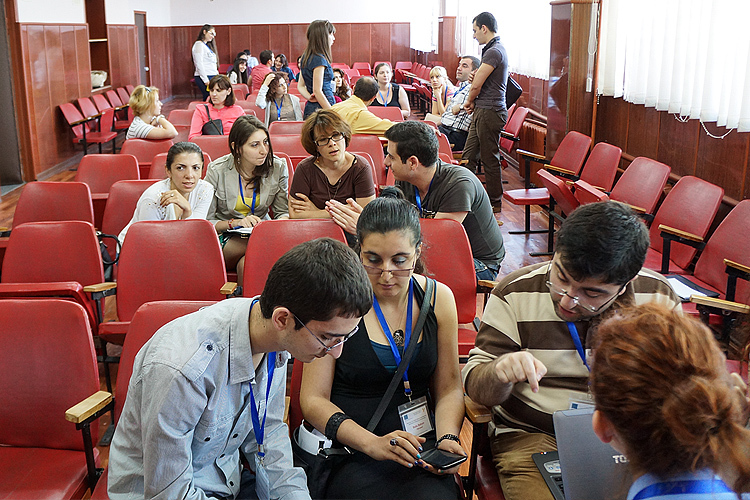 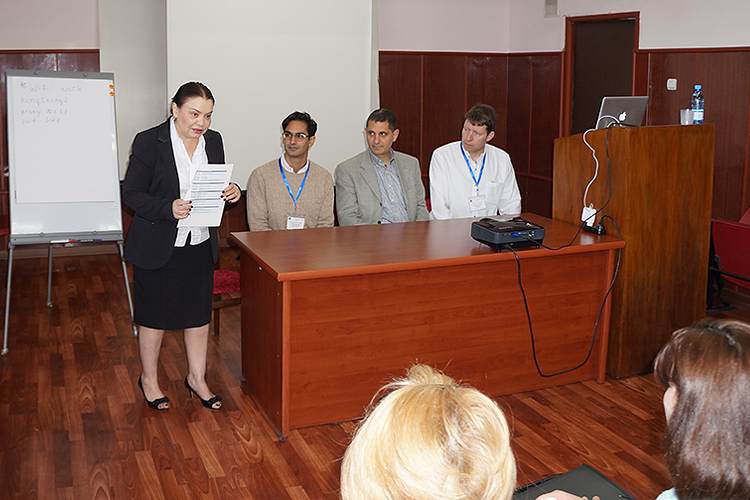 October 2 - 4, 2012, Yerevan, Armenia.